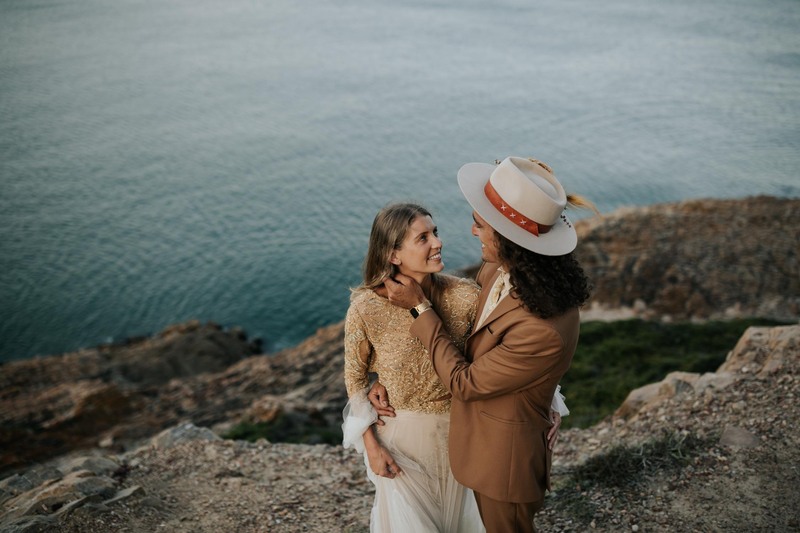 “Emmanuel and I met in Tuscany. 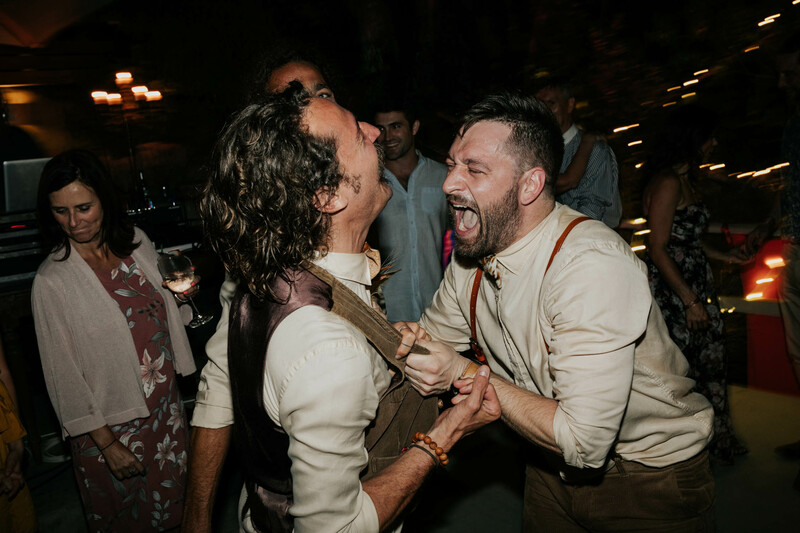 We were both working in the super yacht industry and a mutual friend played cupid. 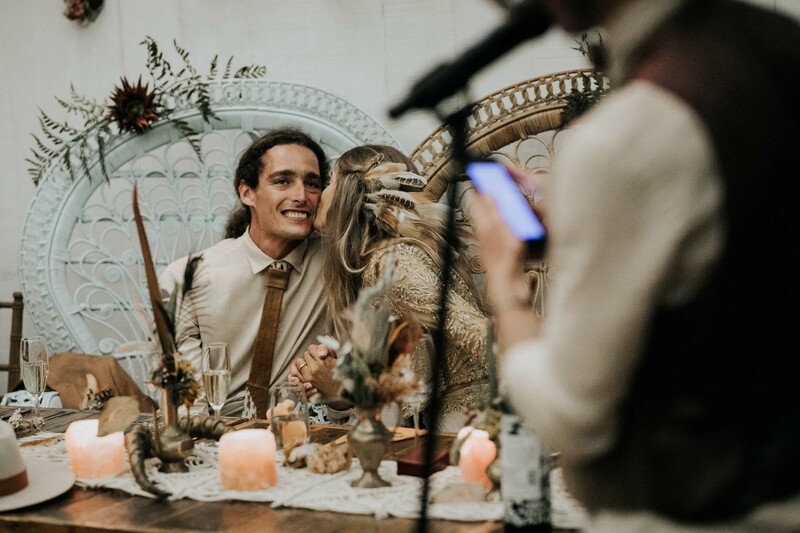 He was convinced we were going to fall in love. 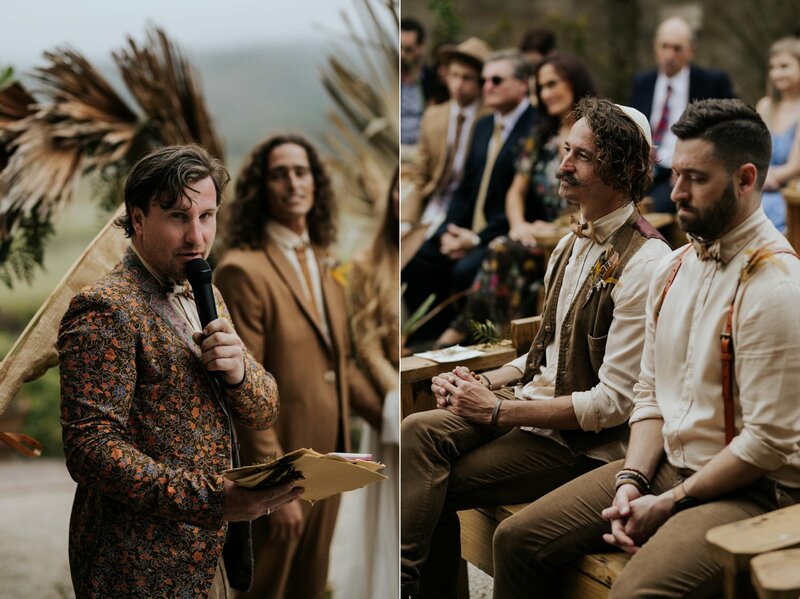 What he didn’t know is that he was introducing soul mates. 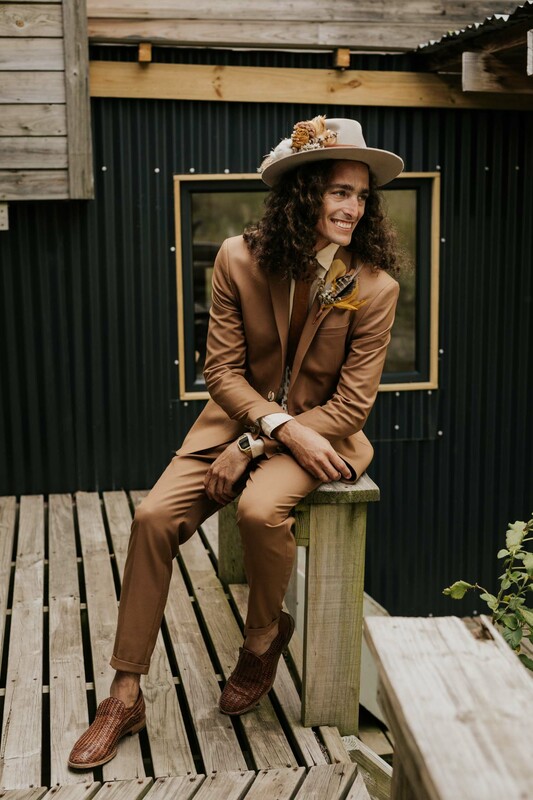 One day during work, our friend Johnny called Emmanuel and told him to pop over to the yacht I was working on, unbeknown to me. 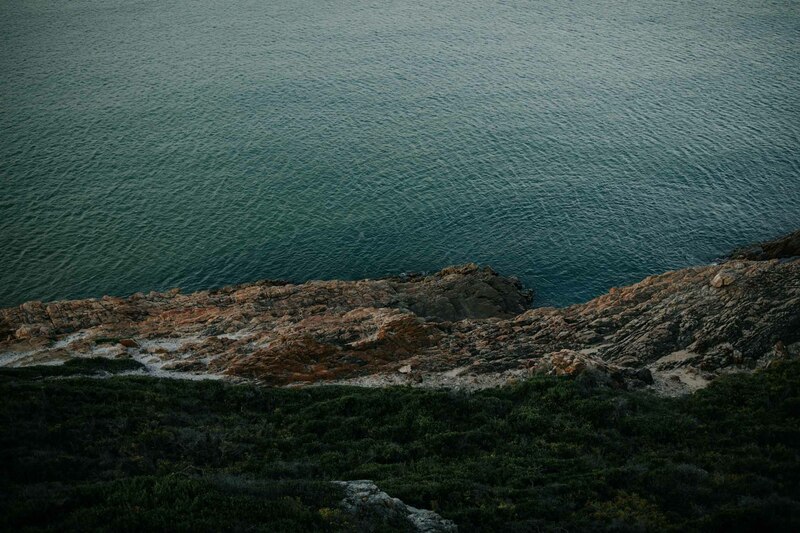 Johnny radioed me to come out to the dock. 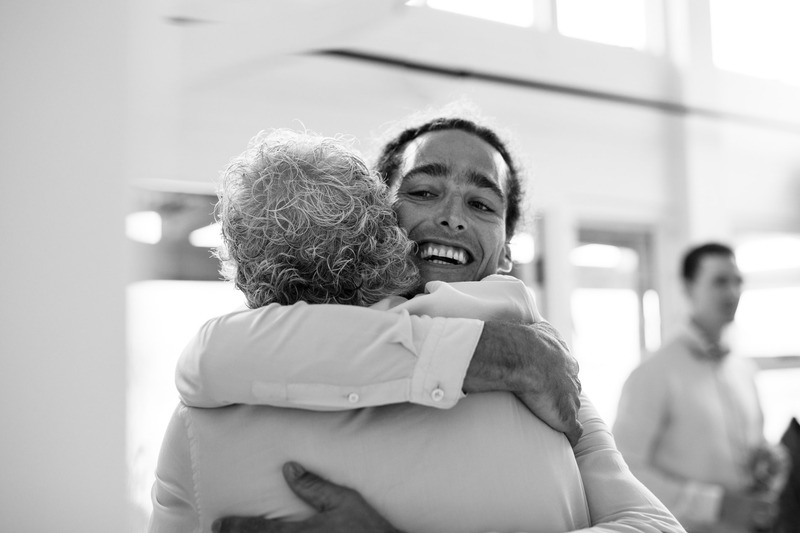 I was met by the most honest and beautiful smile, curls for days and a heart that glowed straight through his chest, Emmanuel. 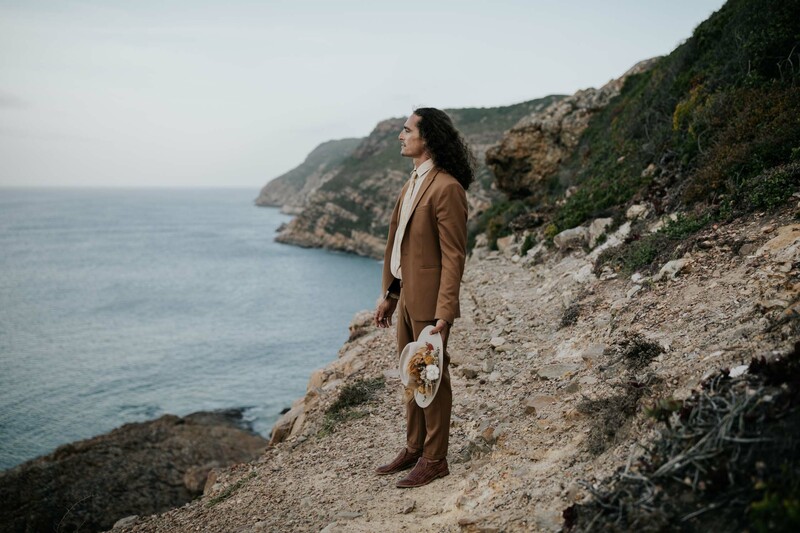 After a short encounter and a few messages, Emmanuel and I went out for some aperitivos, which became a ritual for us (part of the reason our hearts belong in Italy). 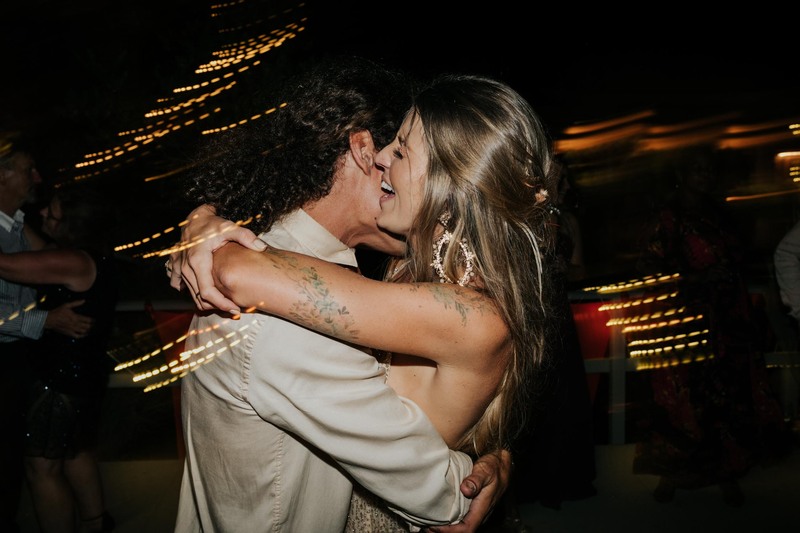 After about a week of seeing each other, we returned to his apartment one night. 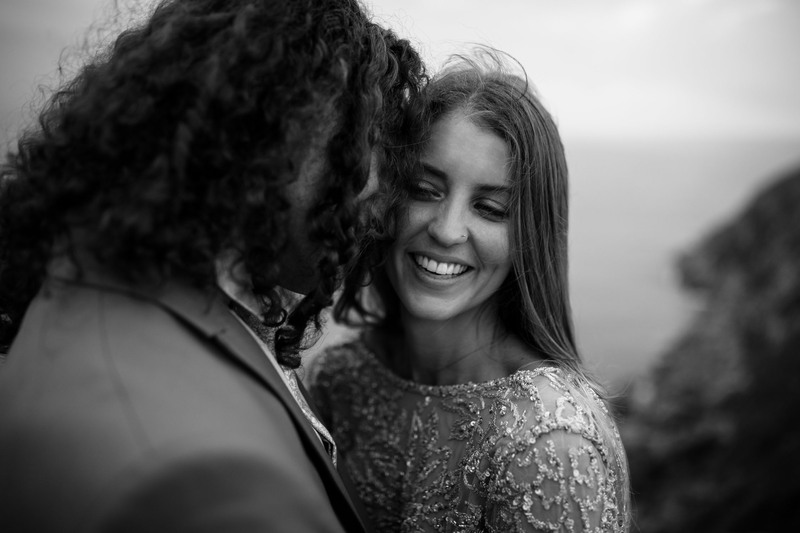 As he unlocked the front door he looked at me and said ‘welcome home’ – the rest was truly written in the stars. 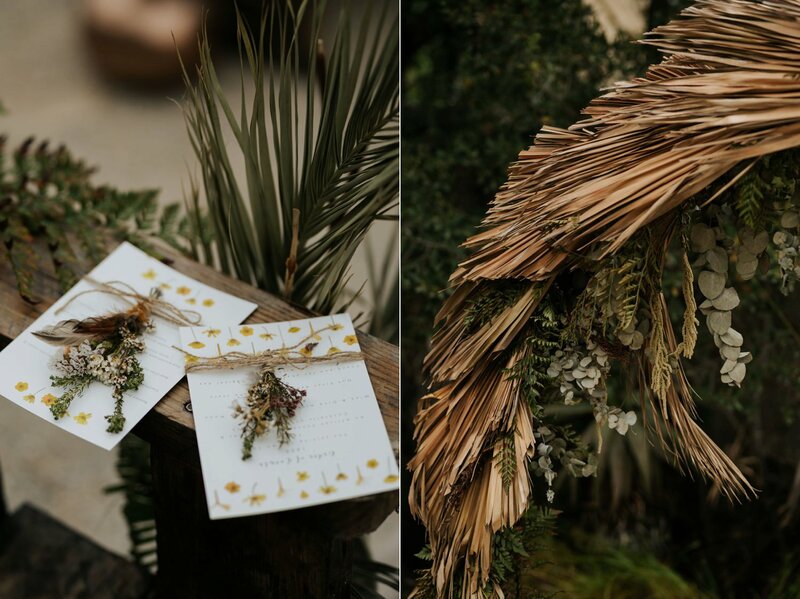 The inspiration behind our theme was completely organic. 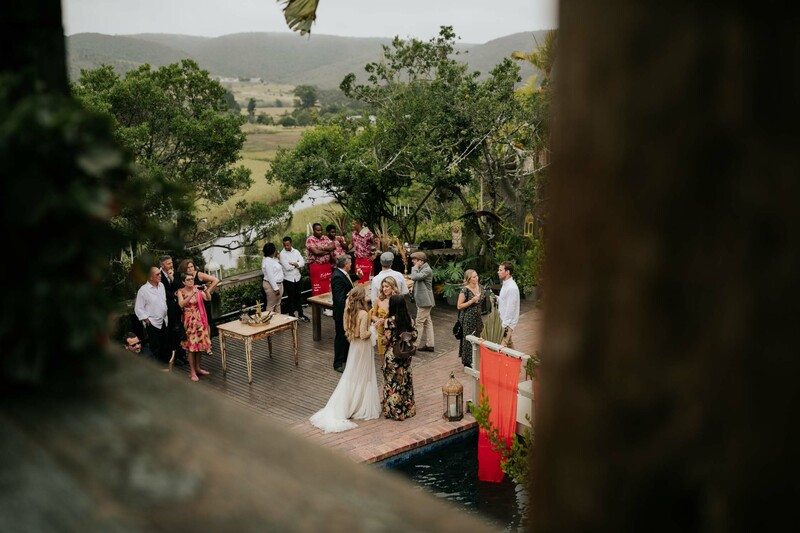 Our wedding day was merely a reflection of the things, places, colours and elements that we love and hold close to our hearts. 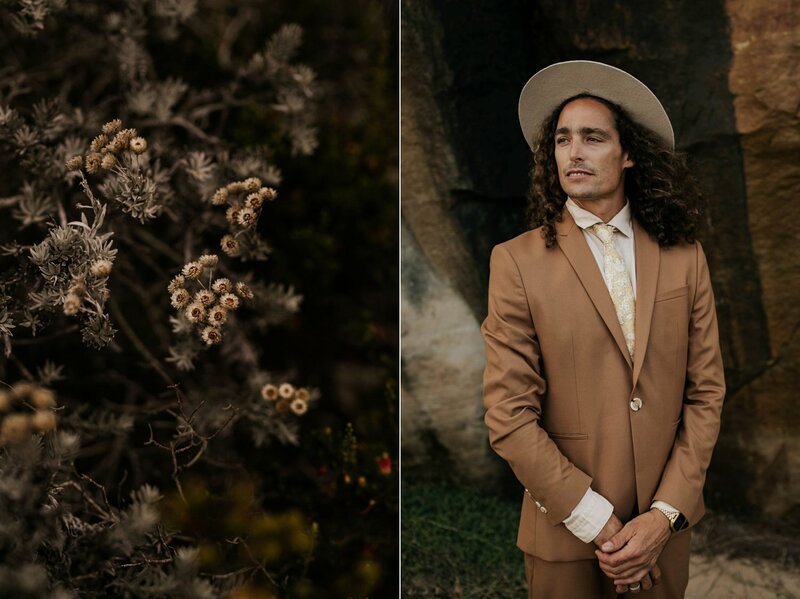 We are inspired by nature everyday and more so, idolise the sunset. 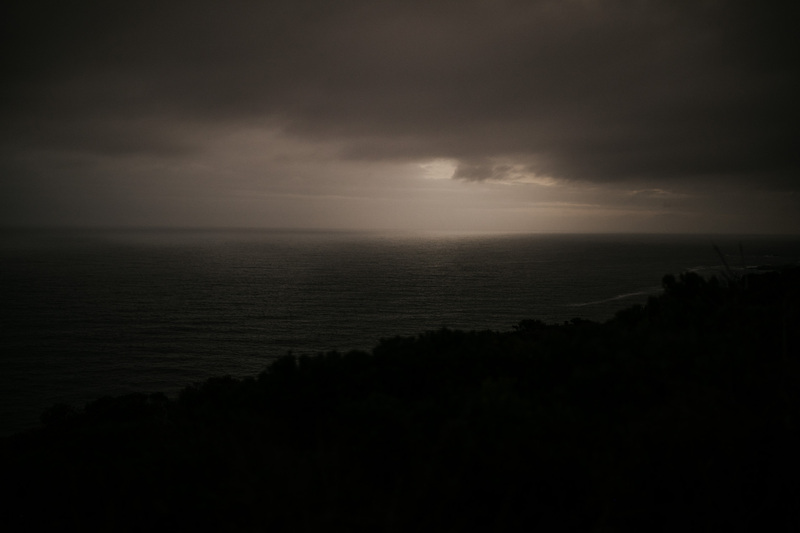 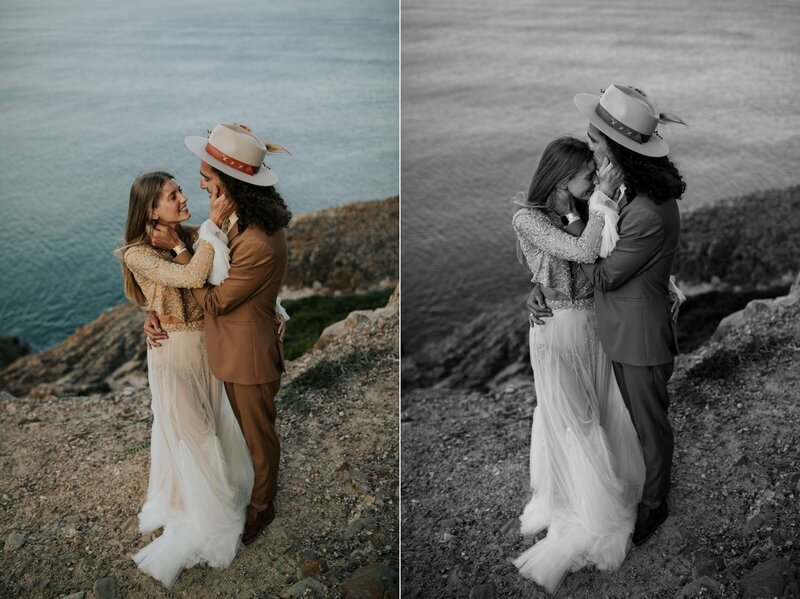 So, using the tones and hues from the setting sun was our main inspiration. 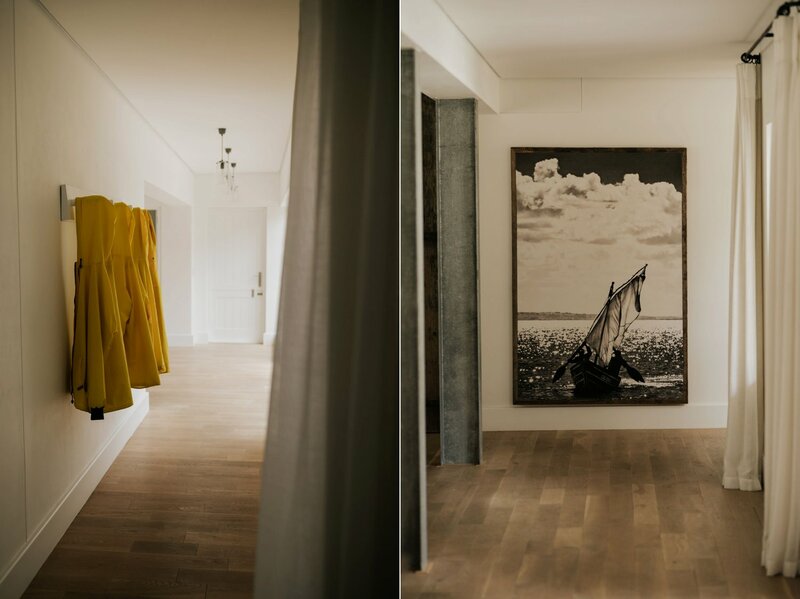 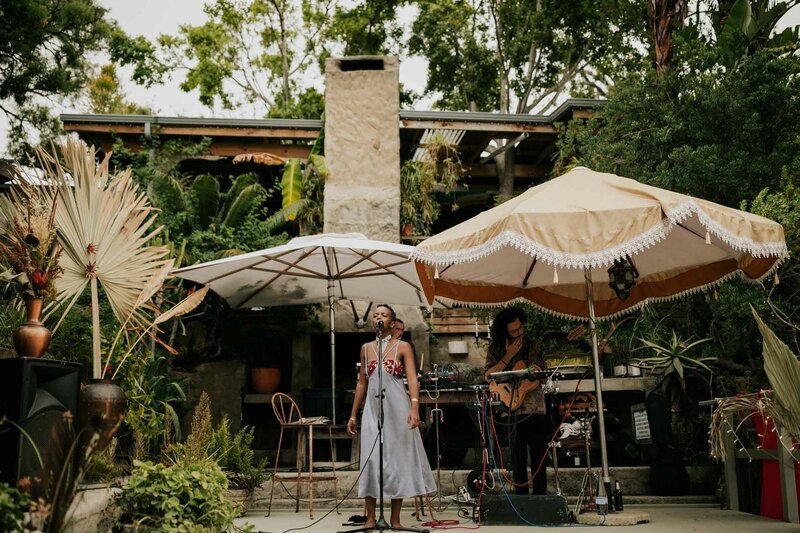 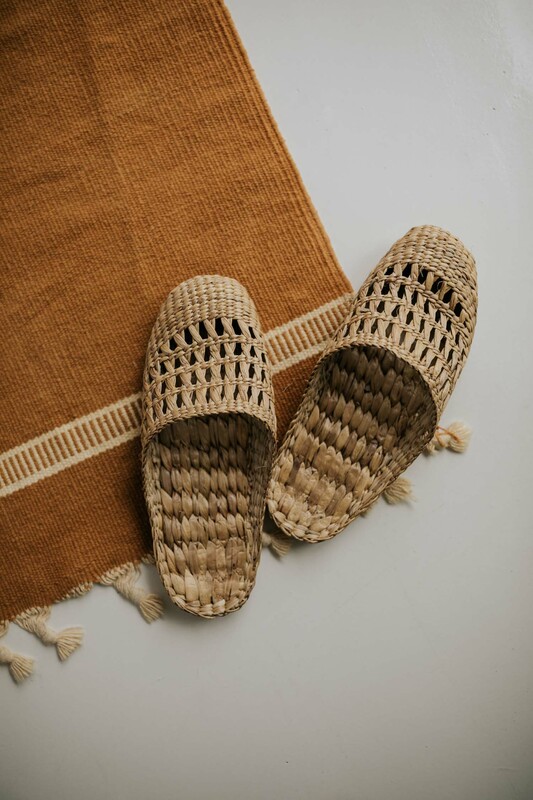 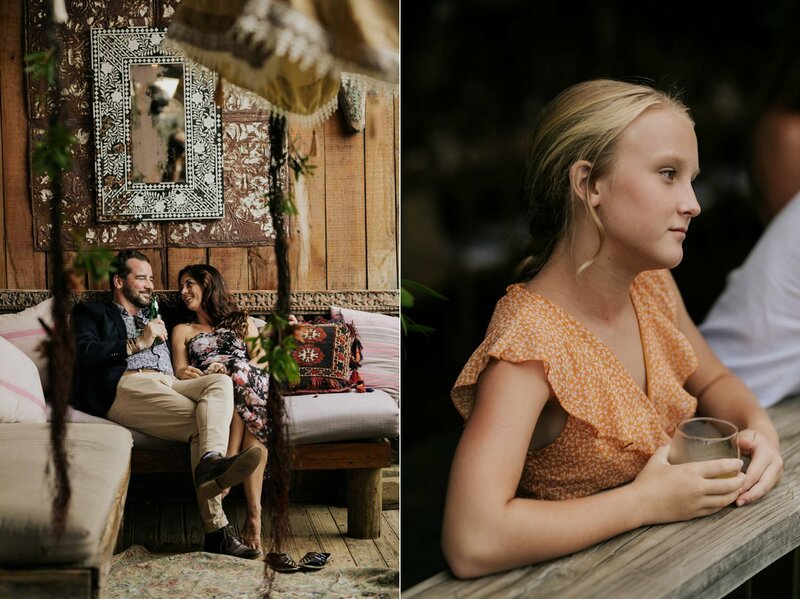 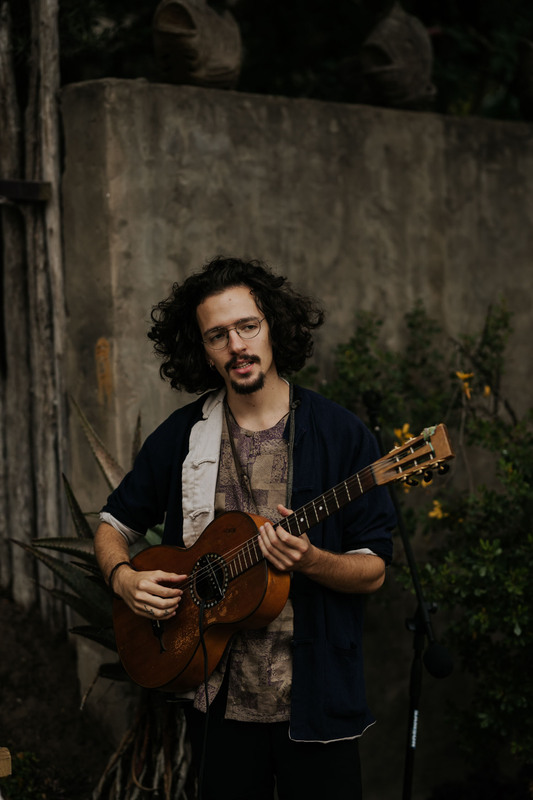 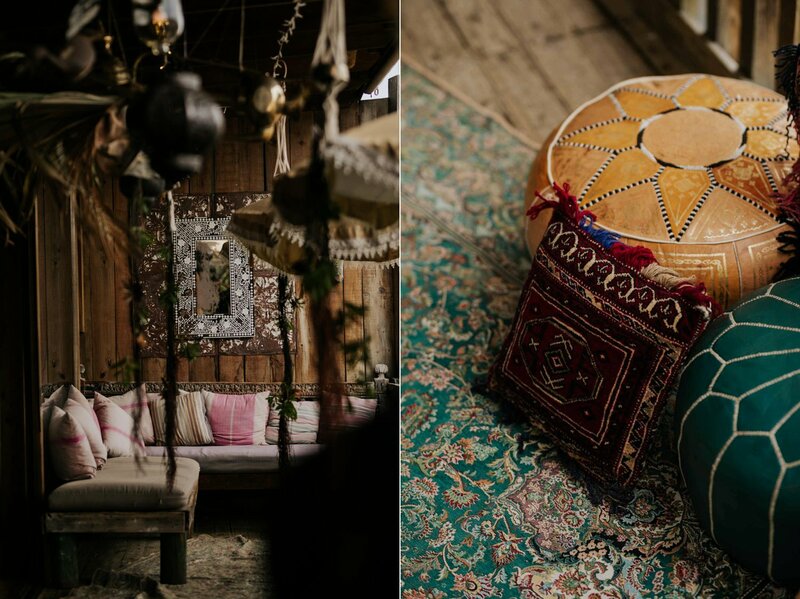 We were very inspired by Emily Moon – the love story behind finding paradise and the various finishings and furnishings that come from all over the world. 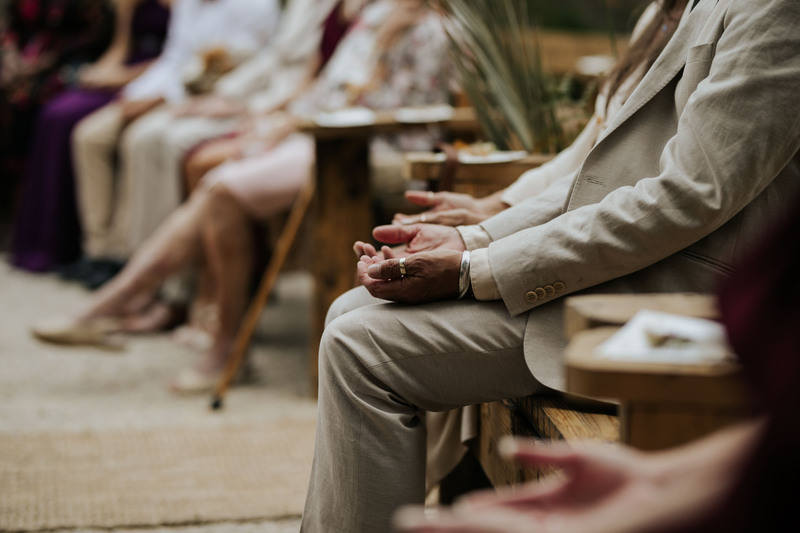 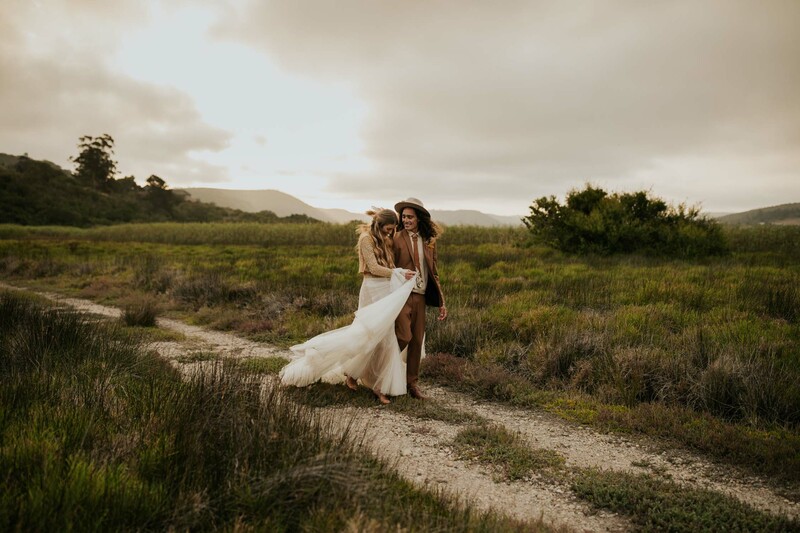 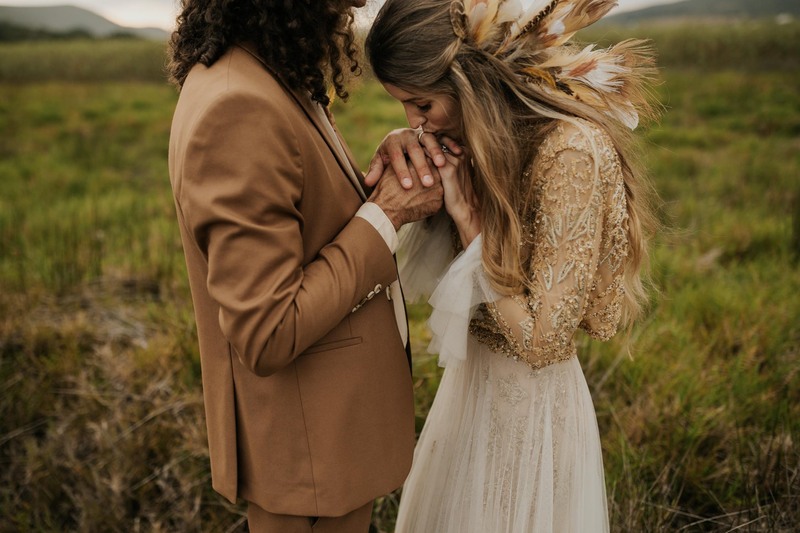 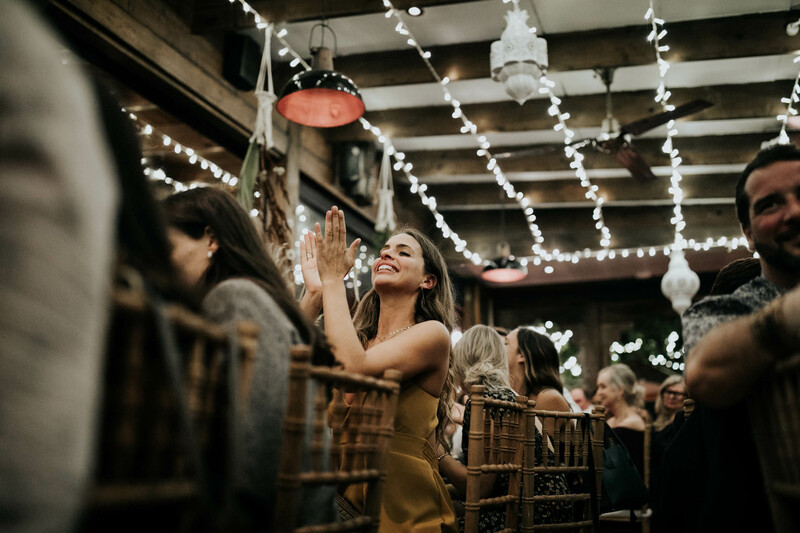 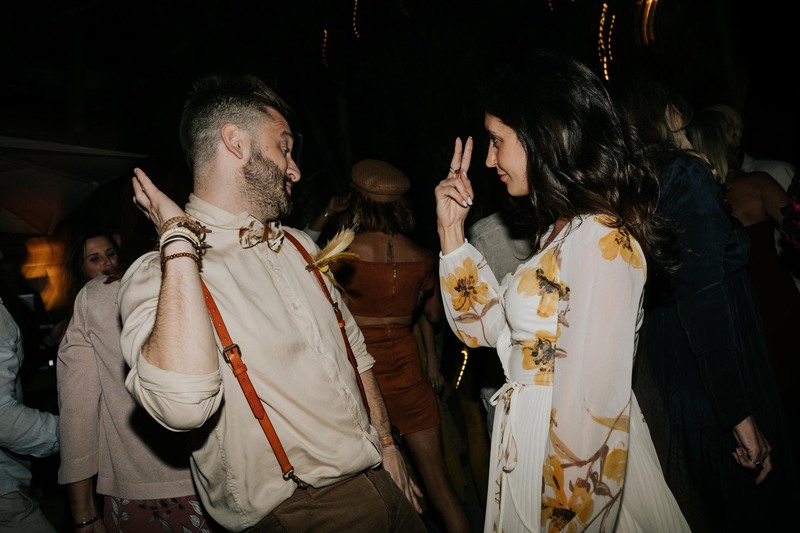 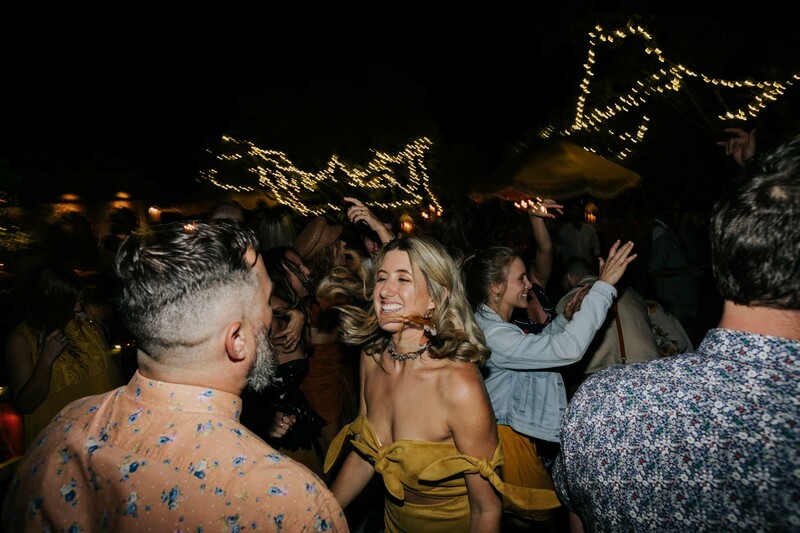 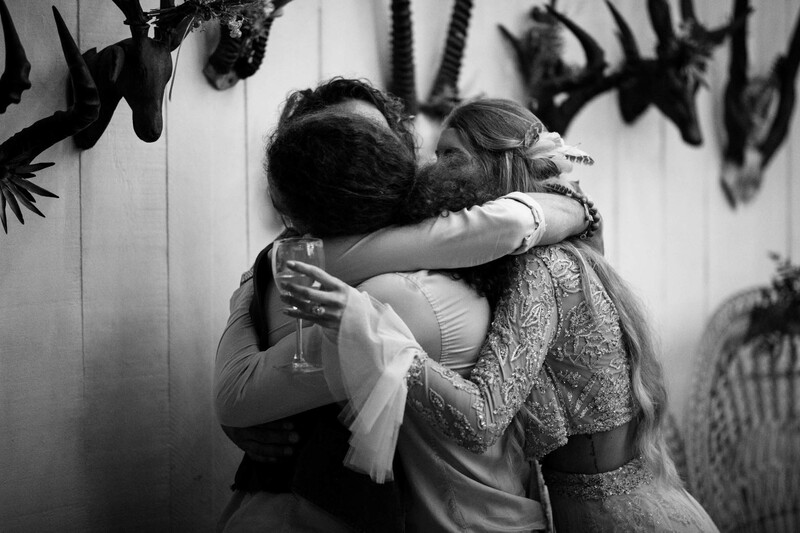 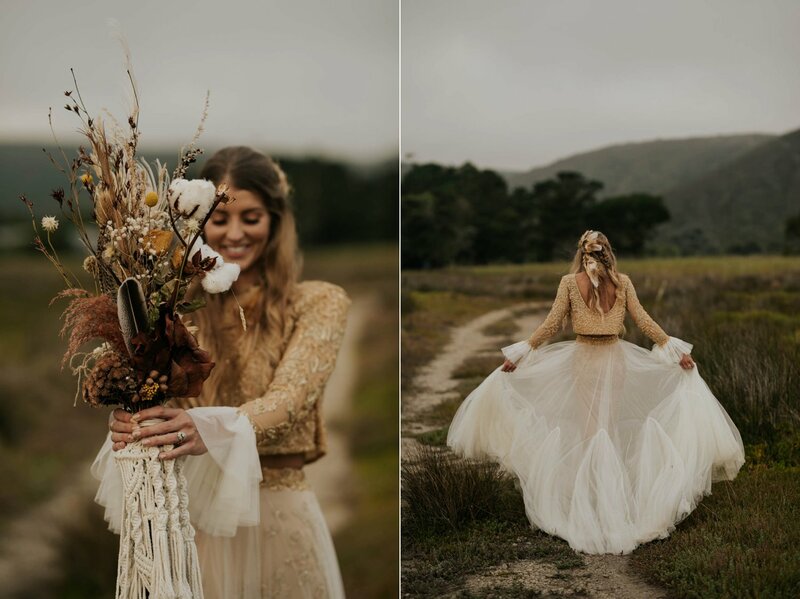 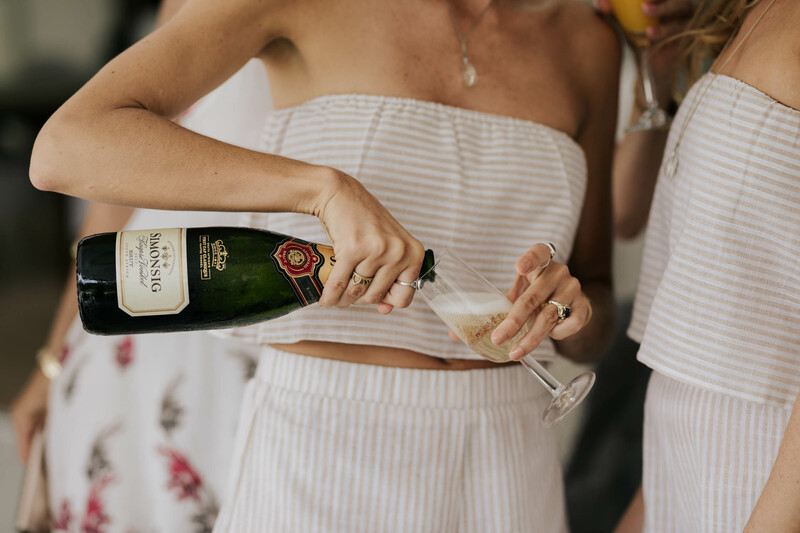 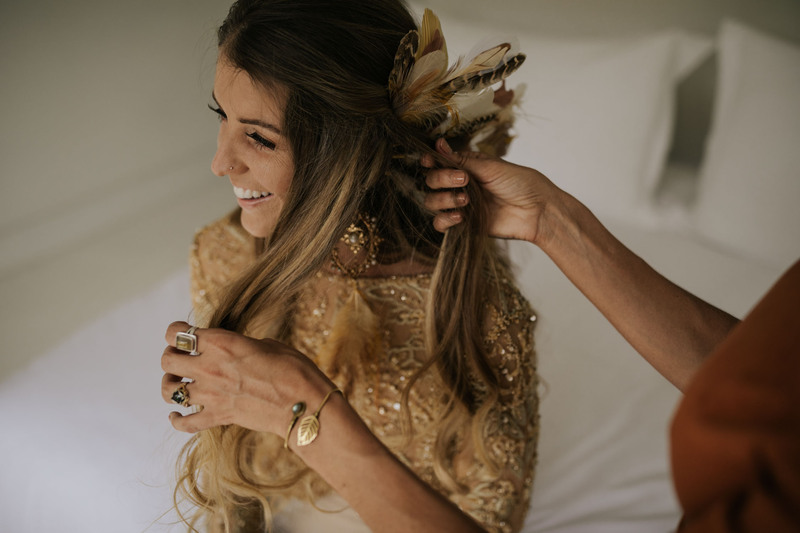 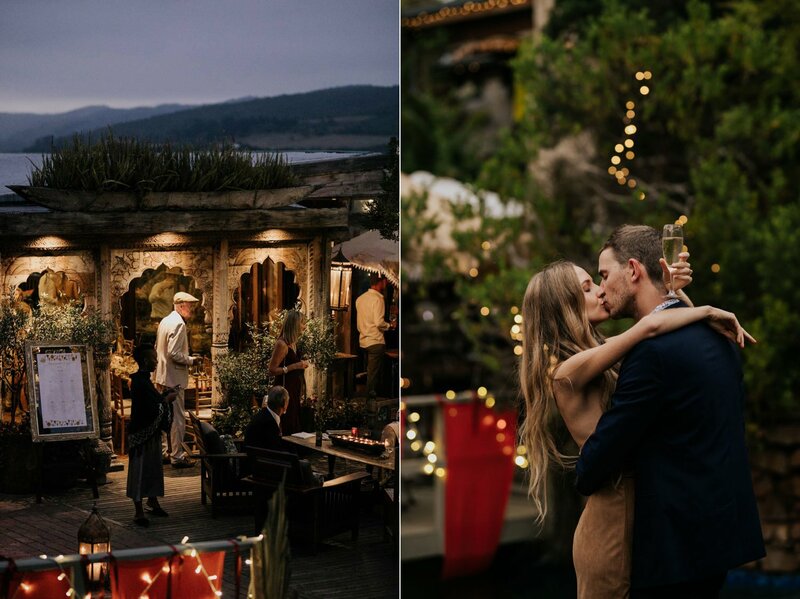 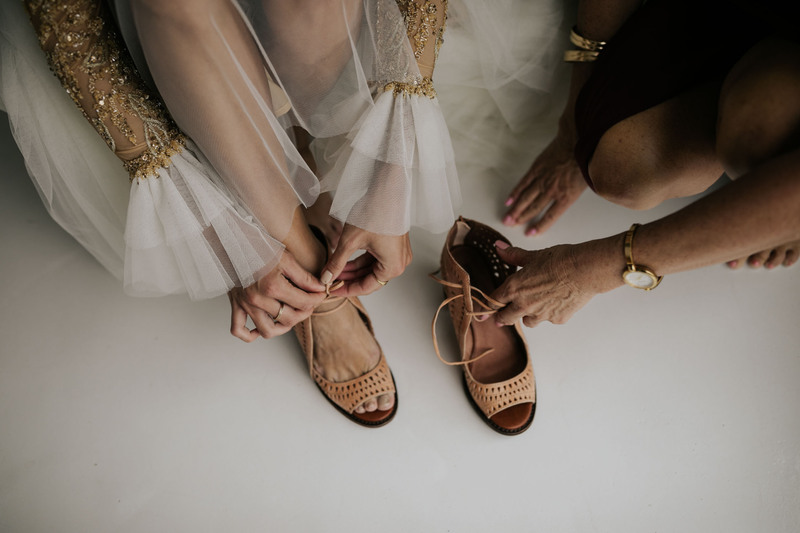 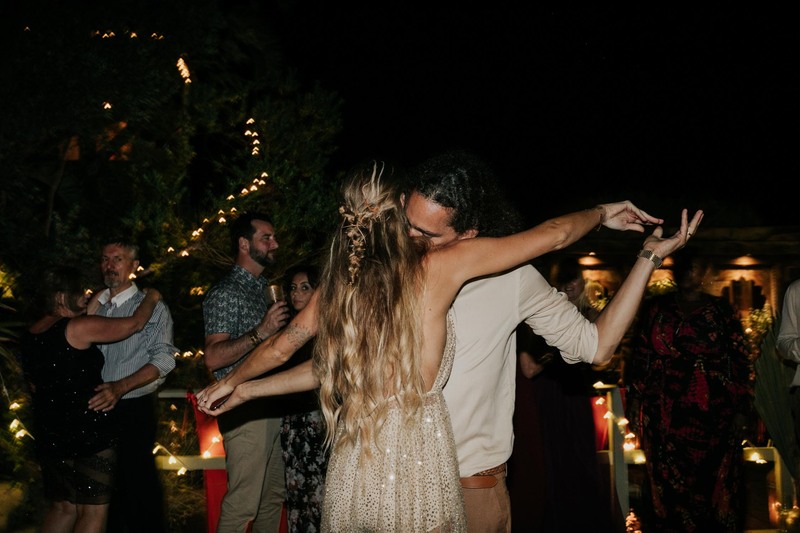 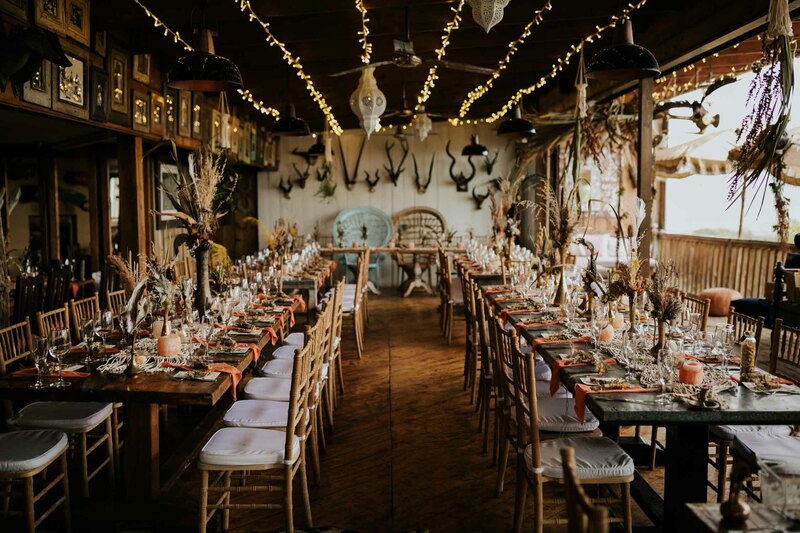 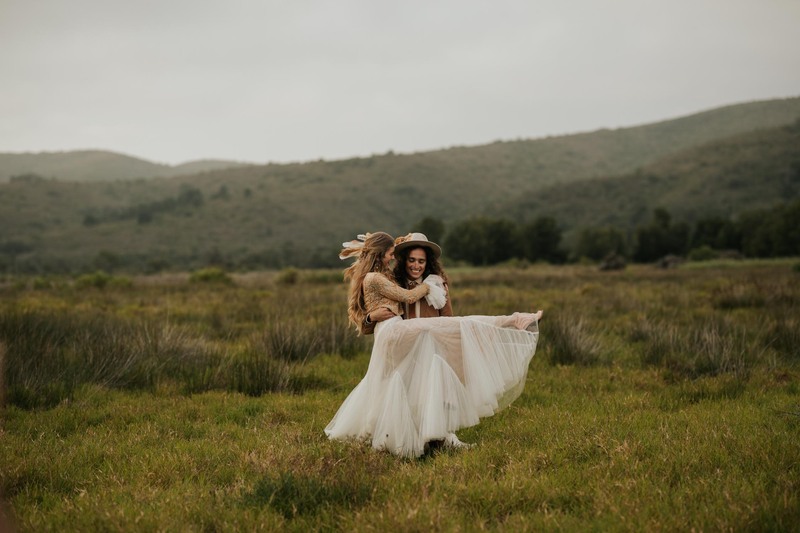 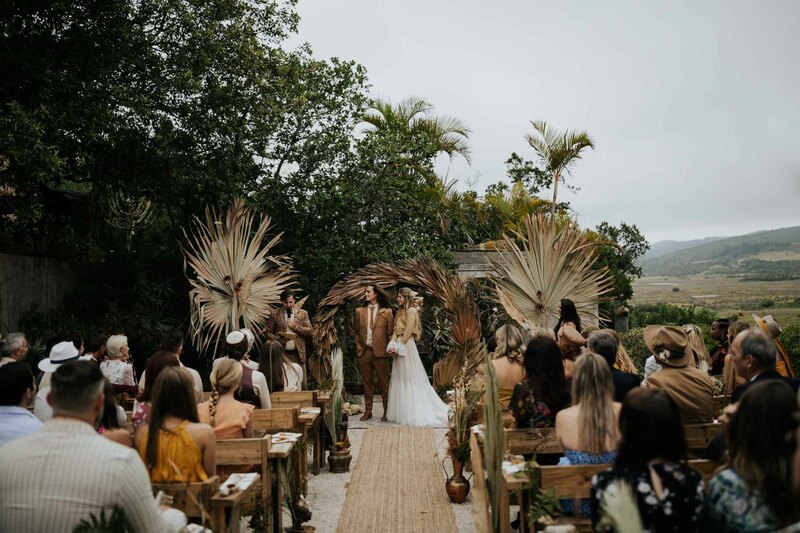 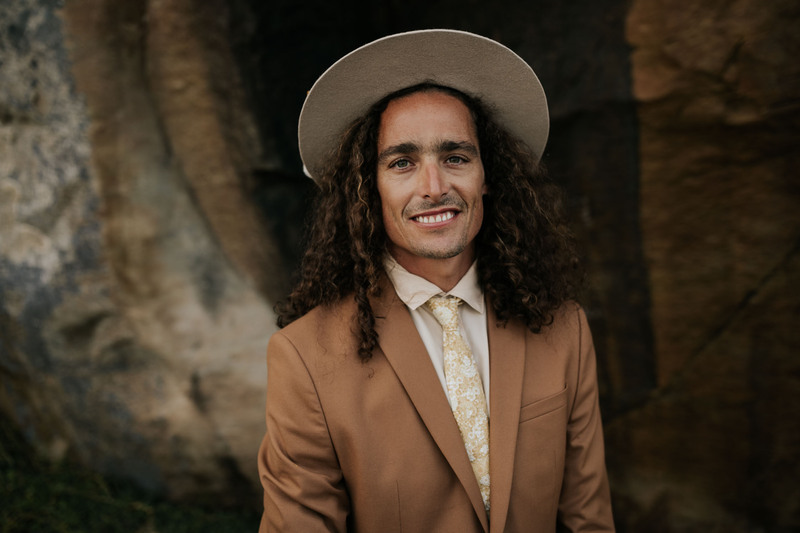 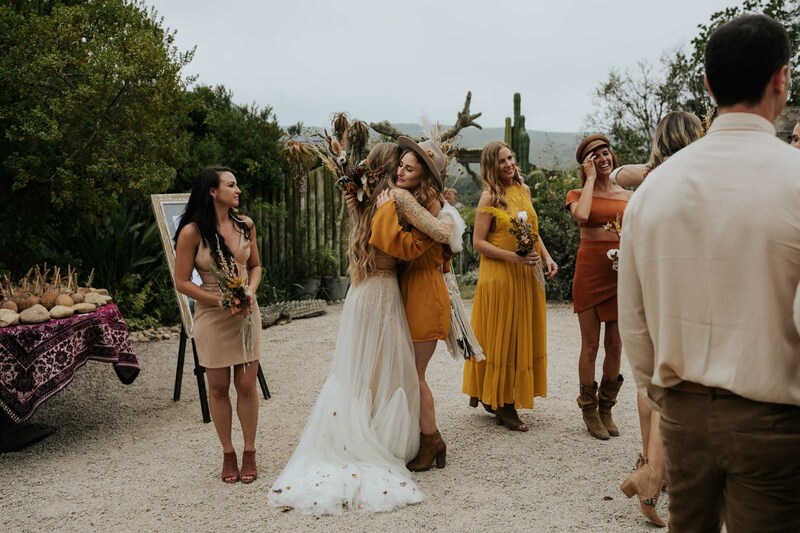 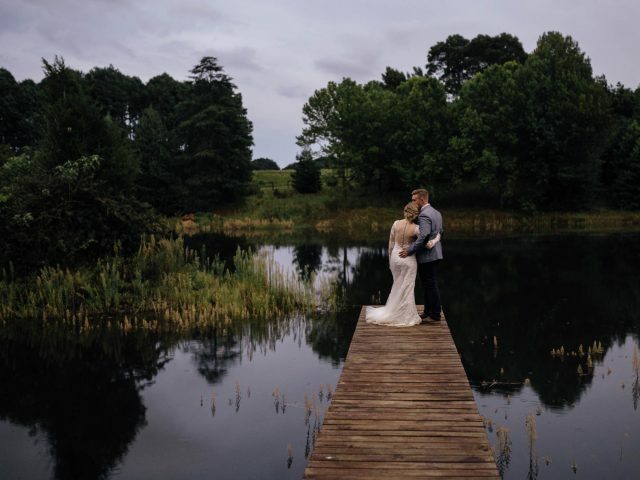 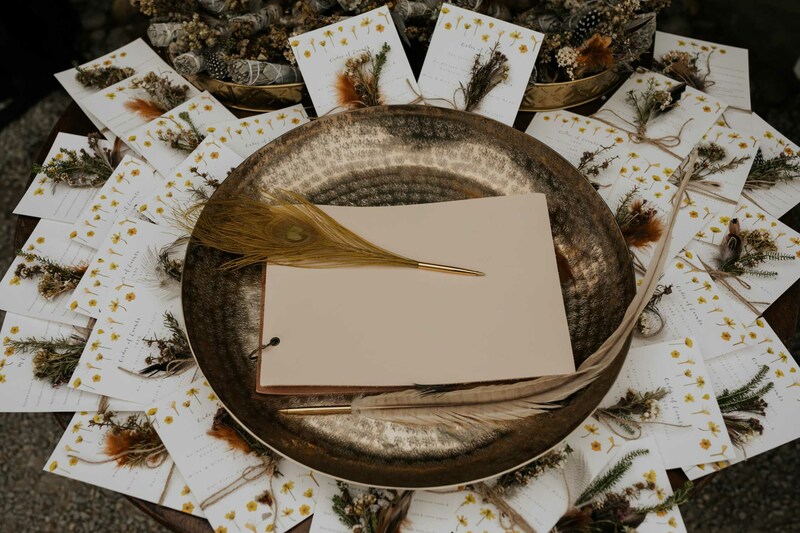 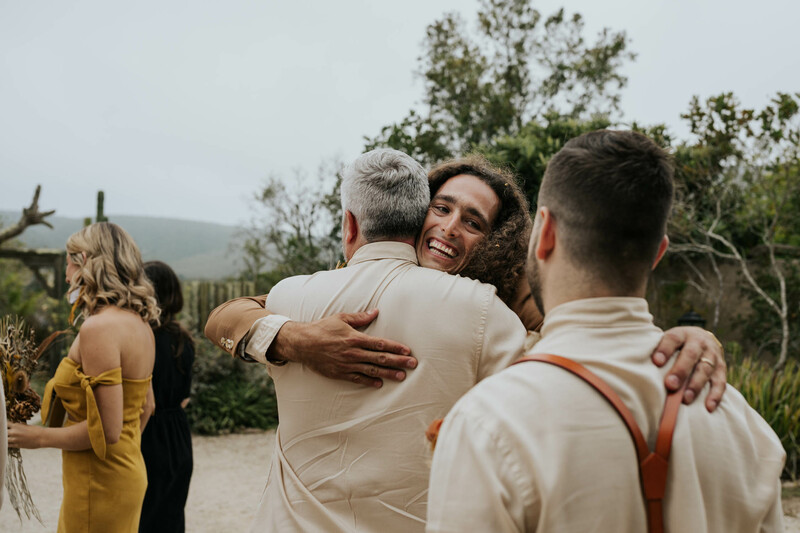 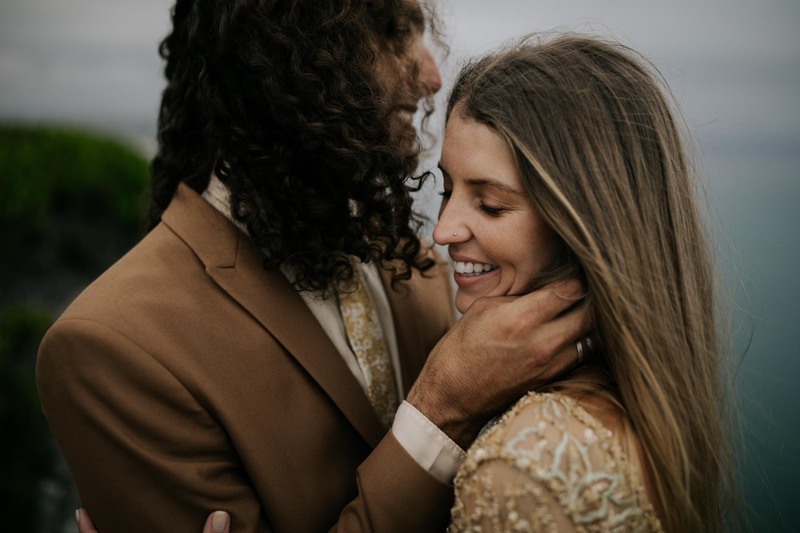 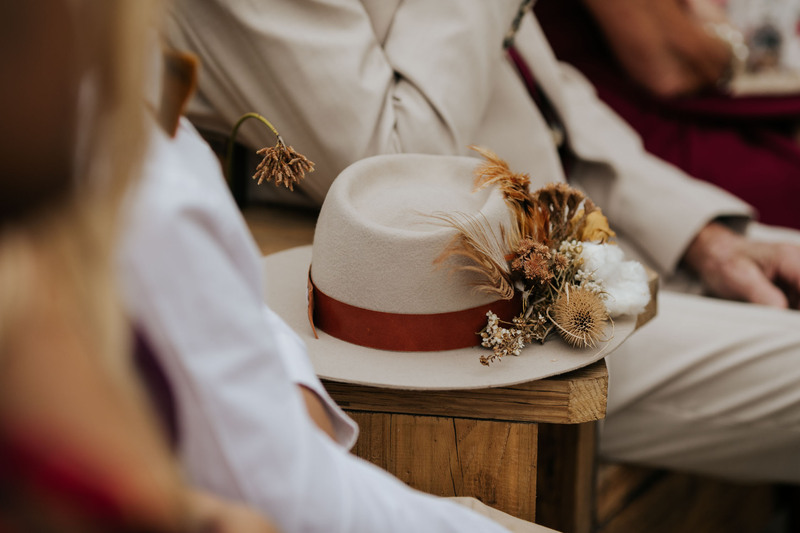 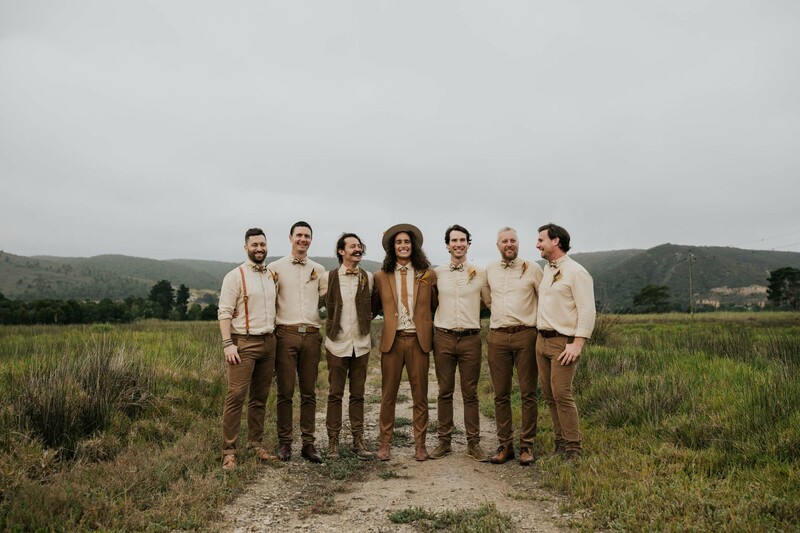 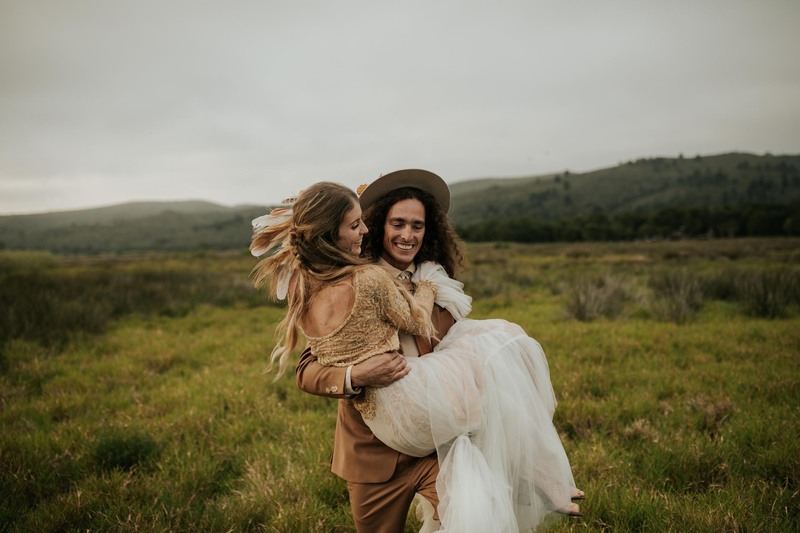 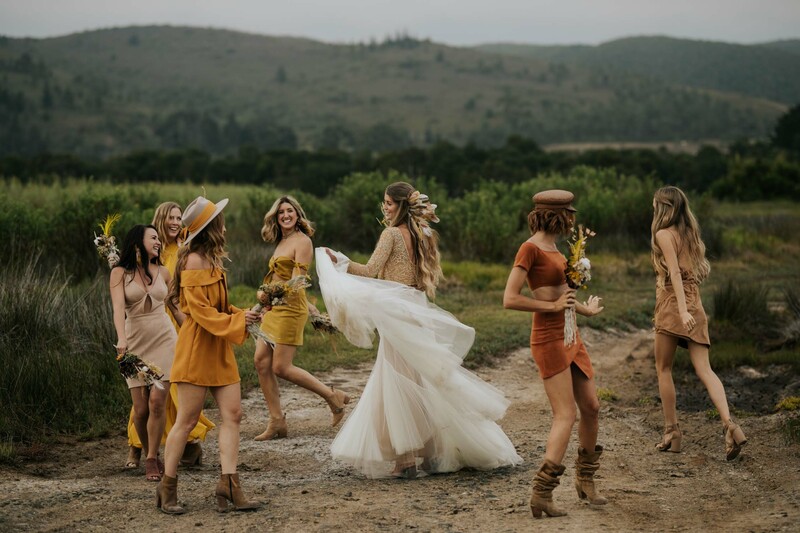 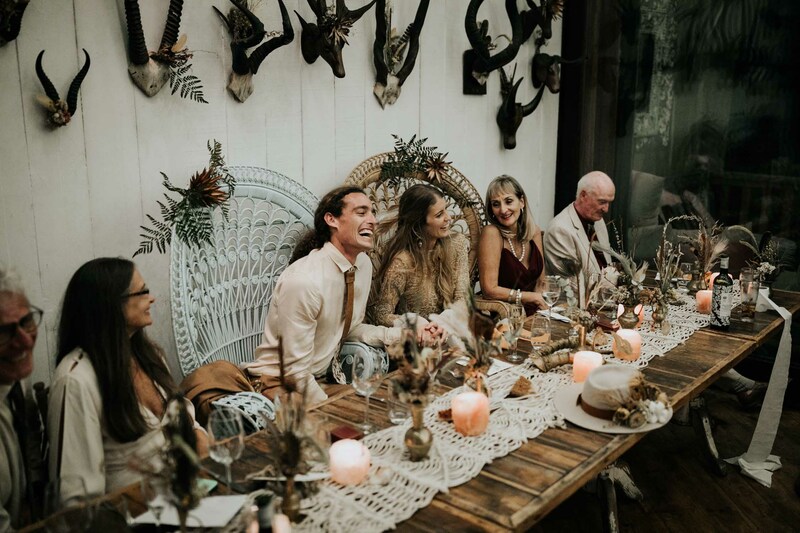 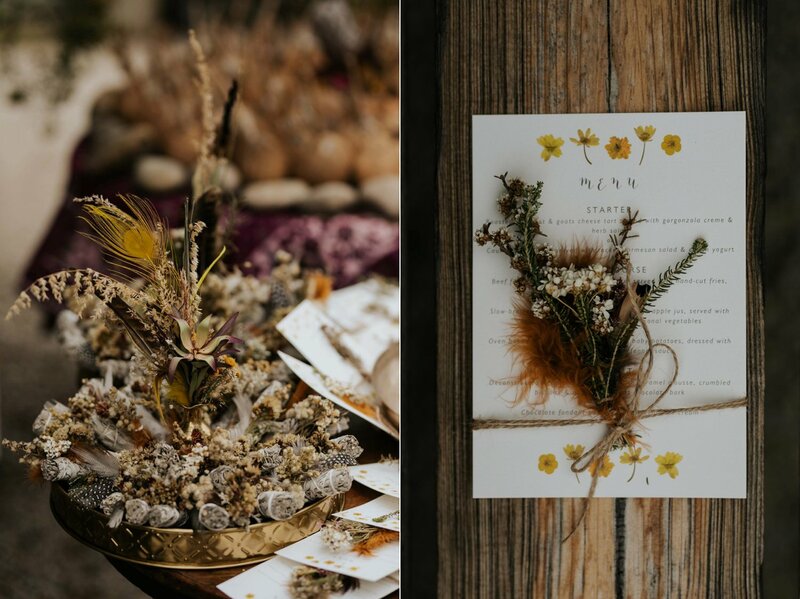 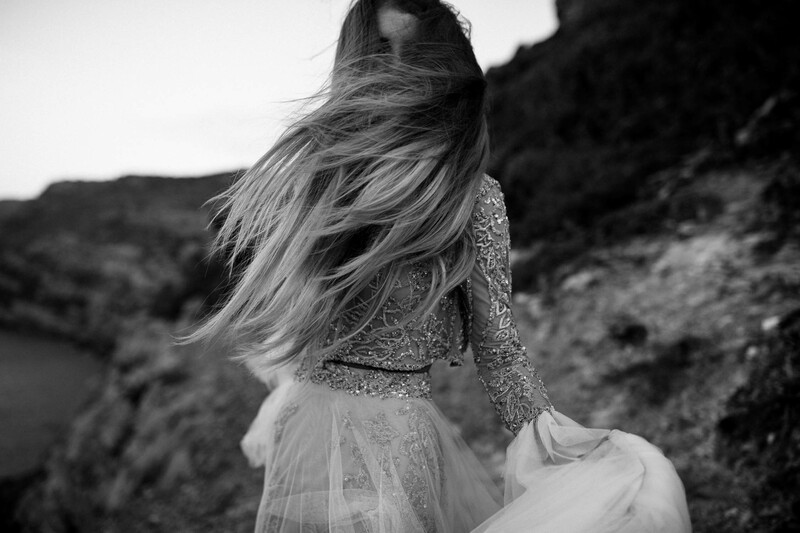 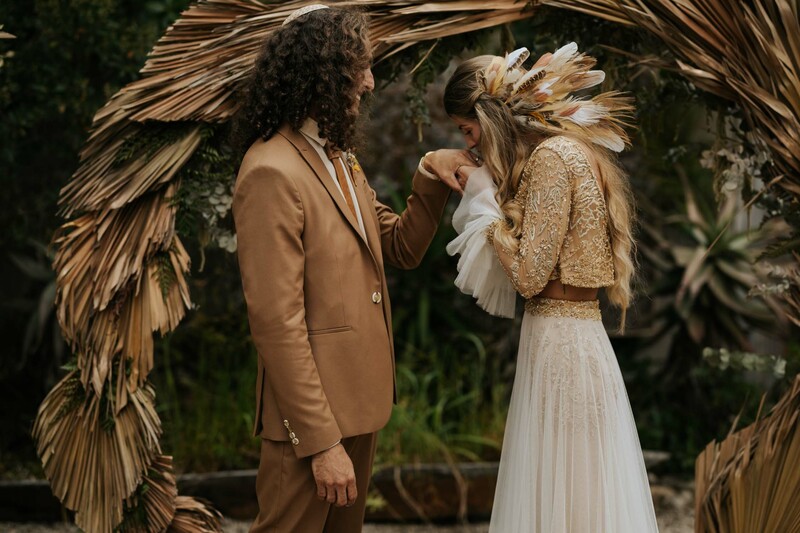 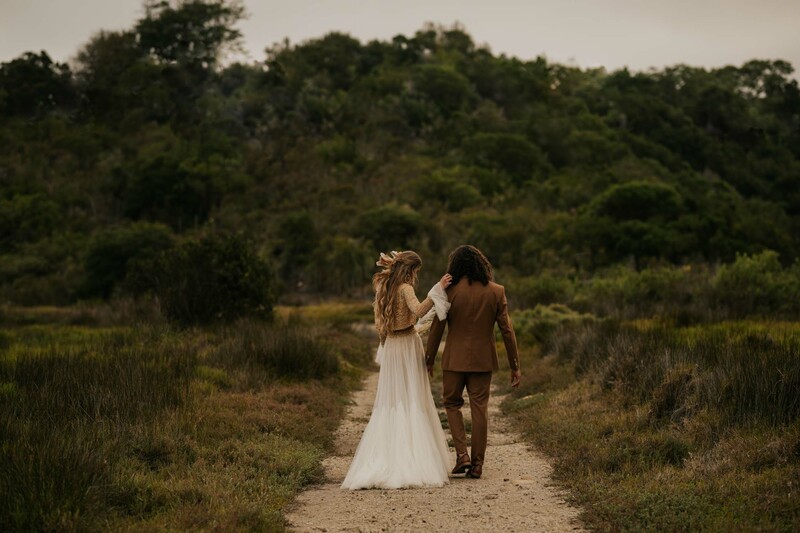 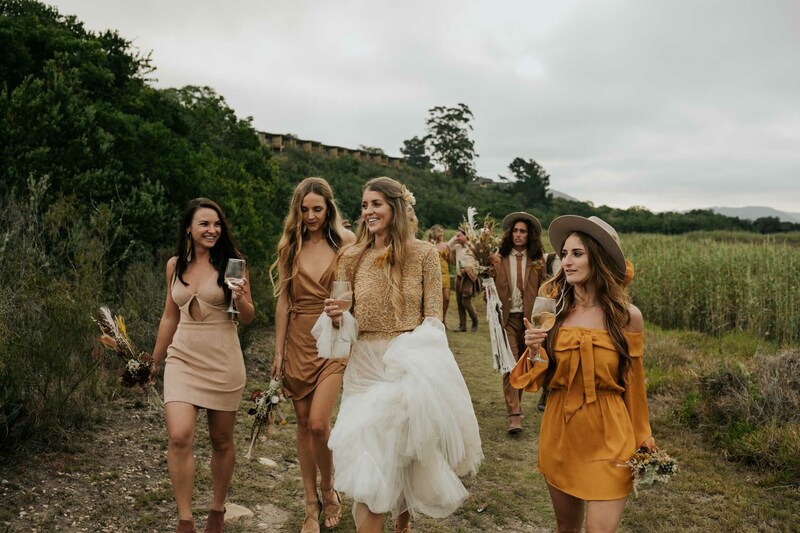 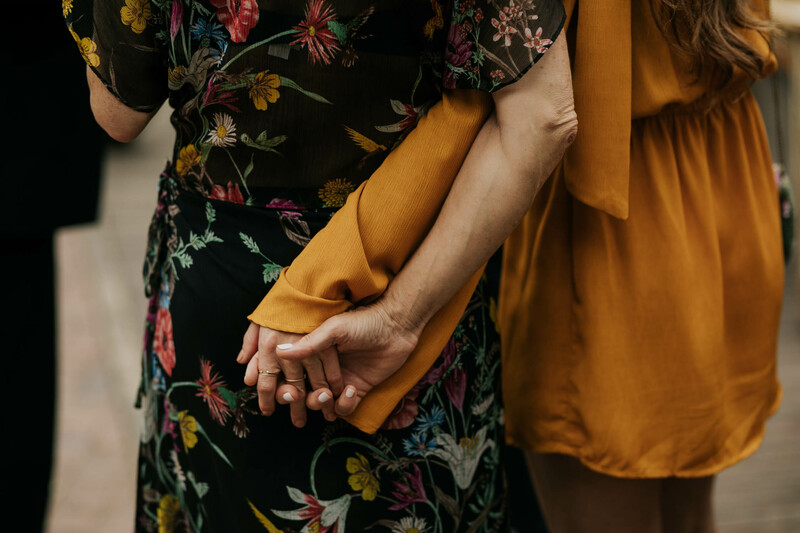 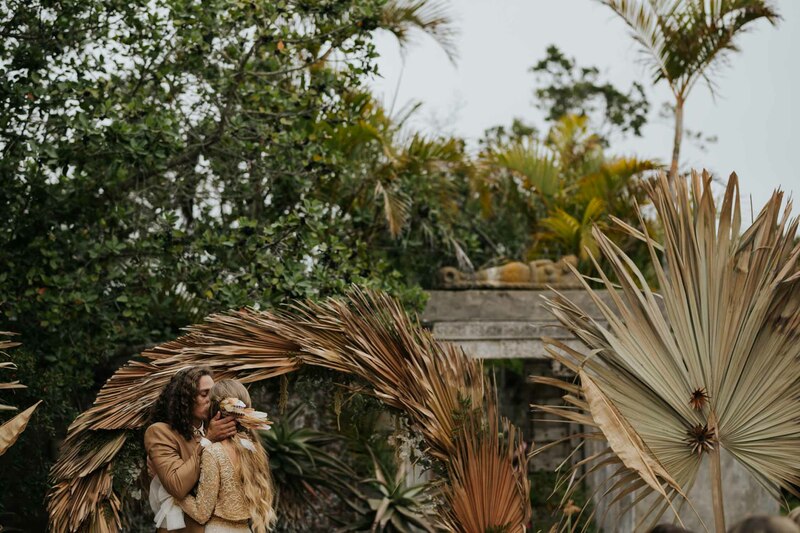 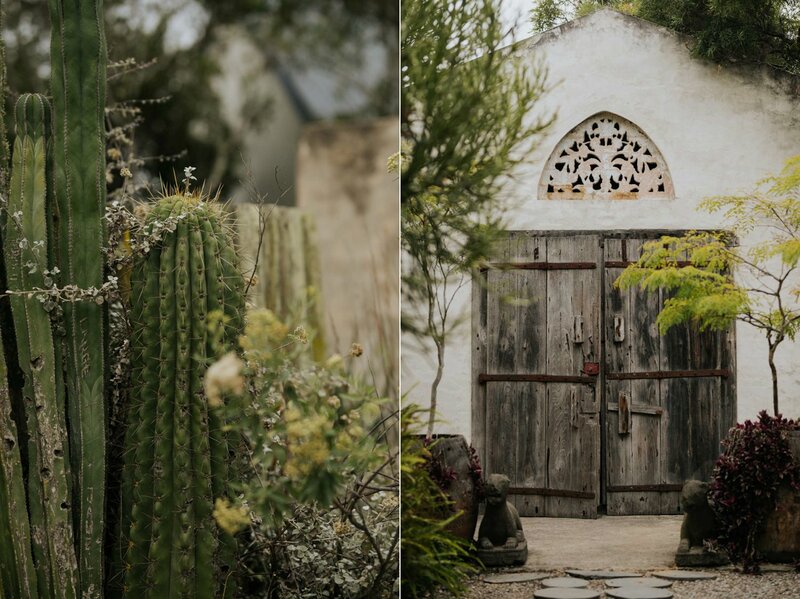 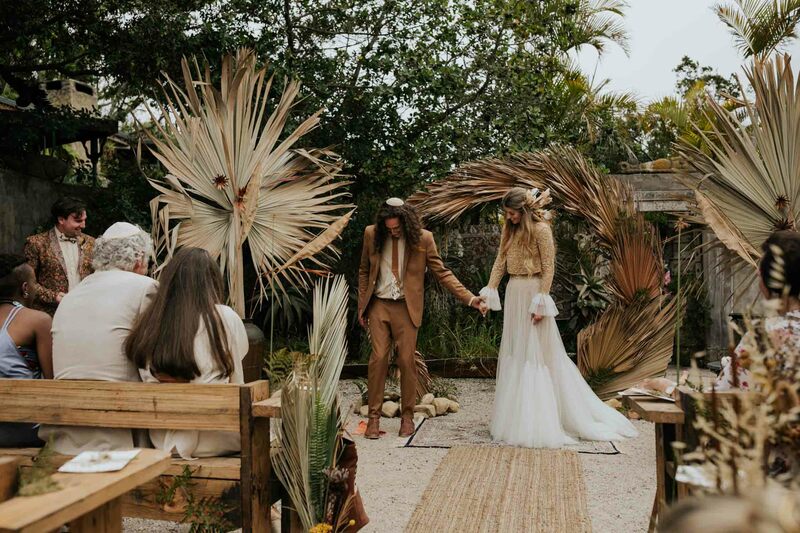 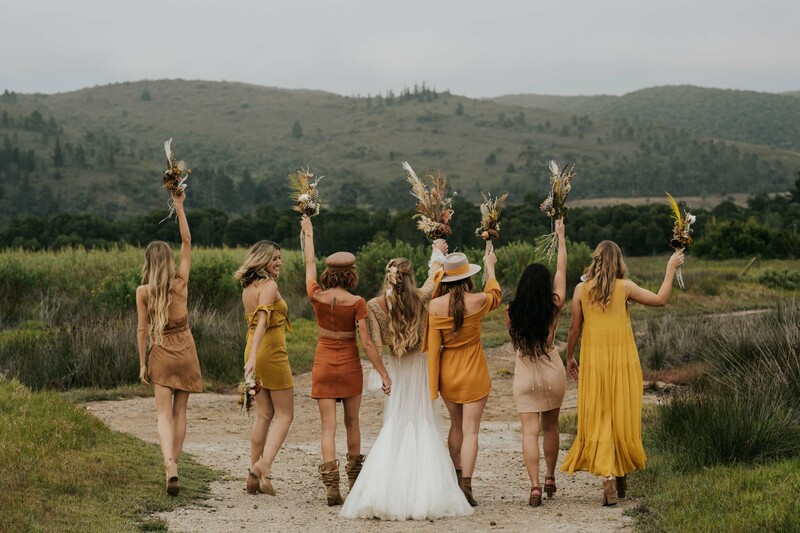 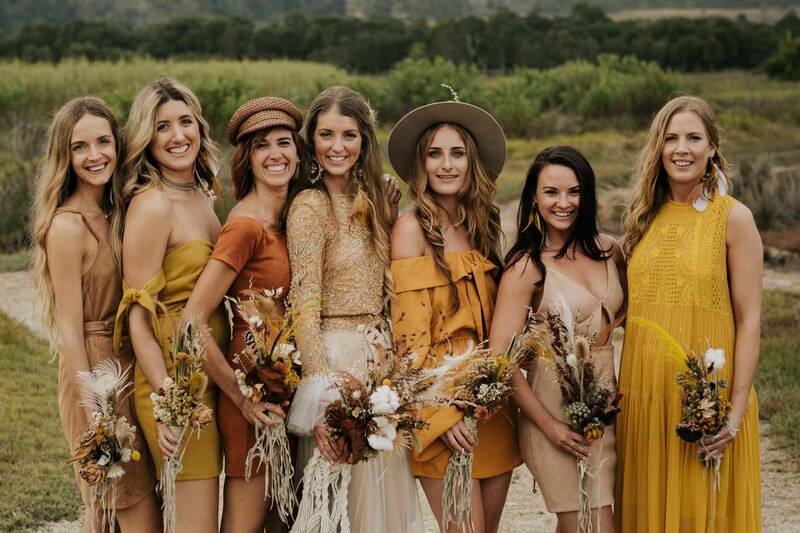 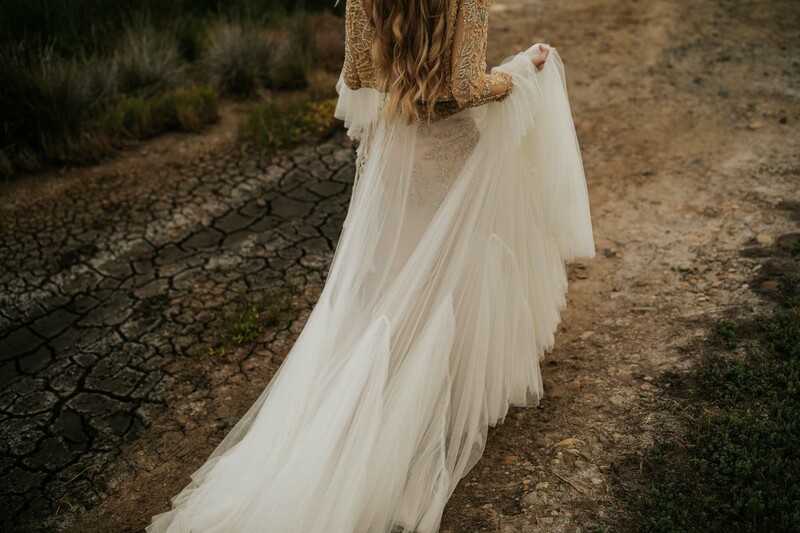 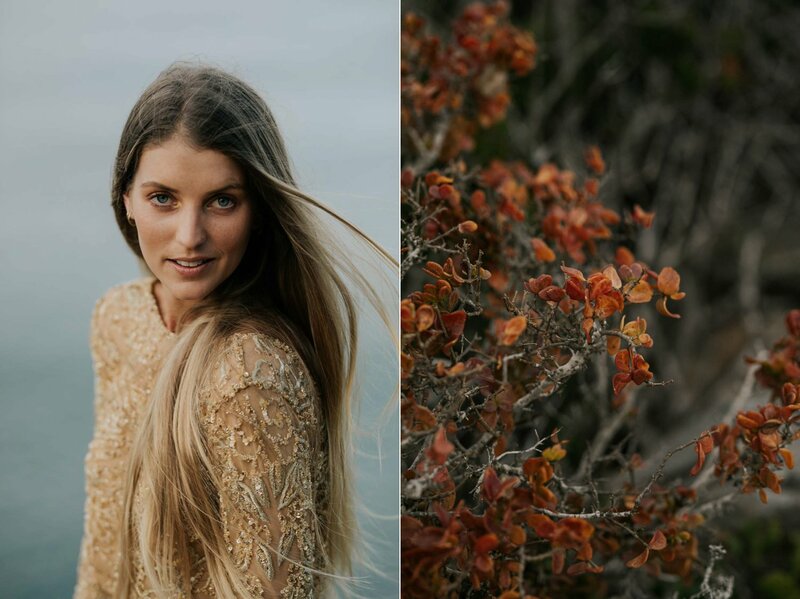 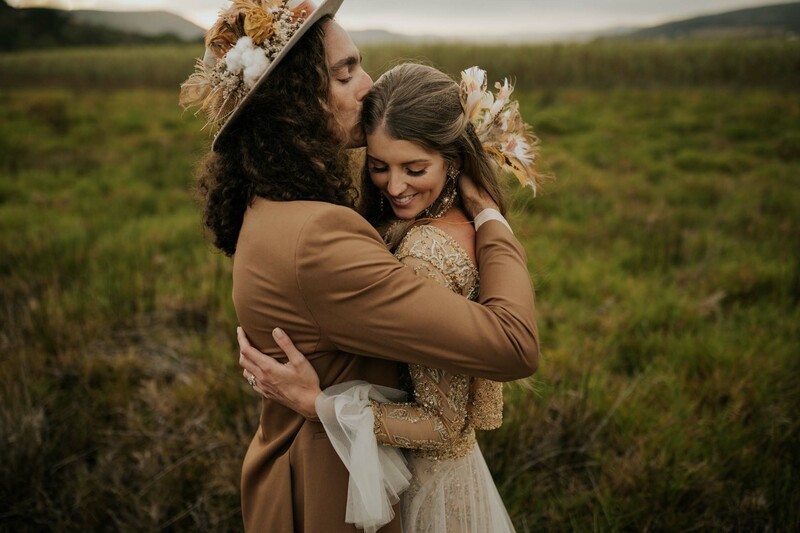 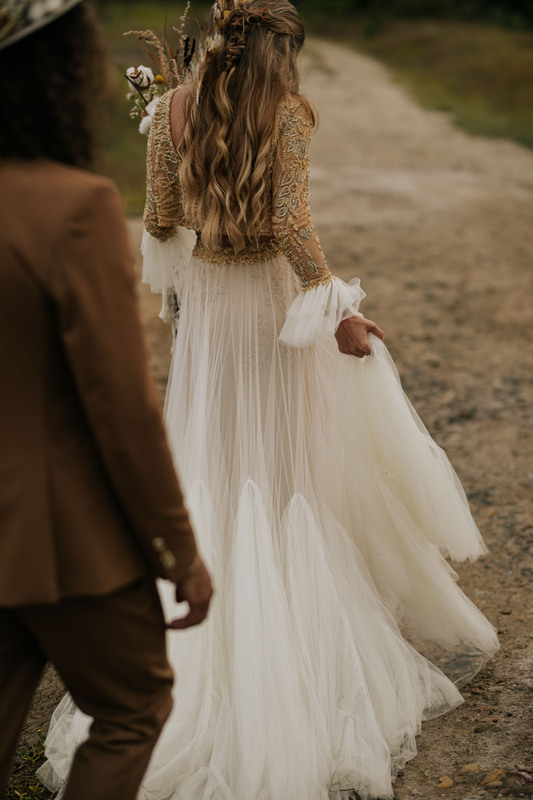 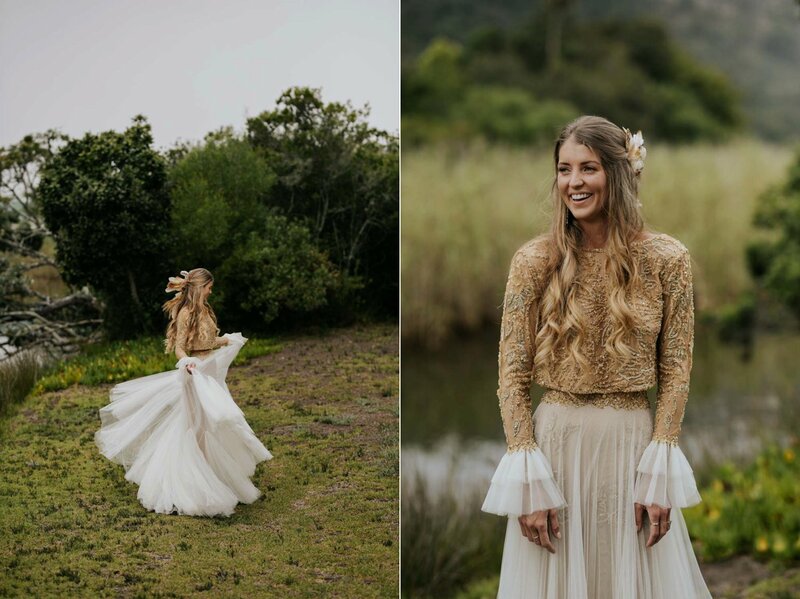 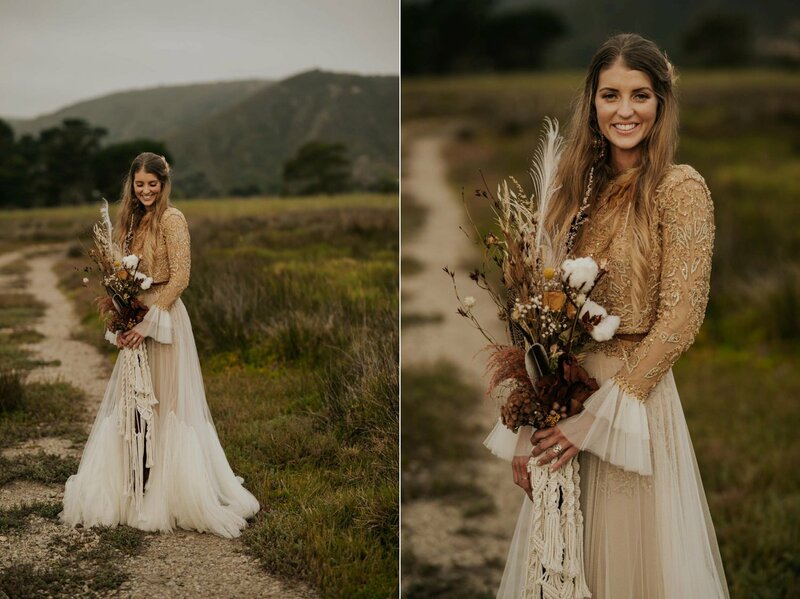 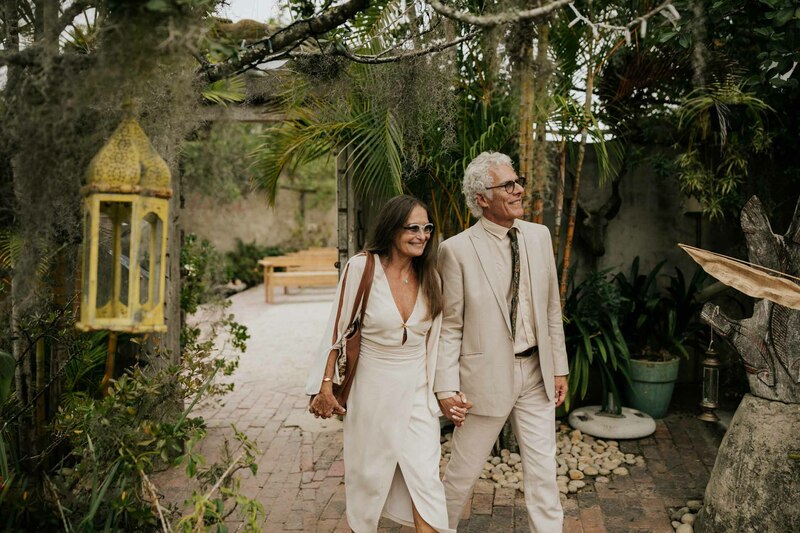 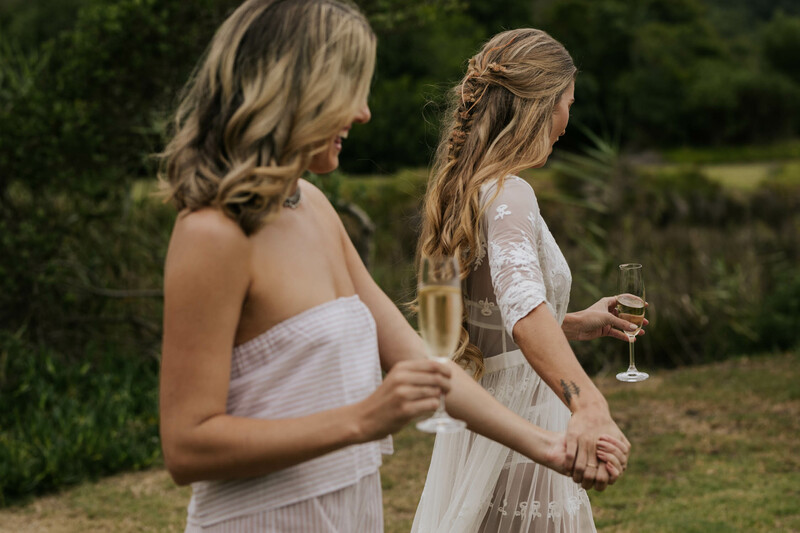 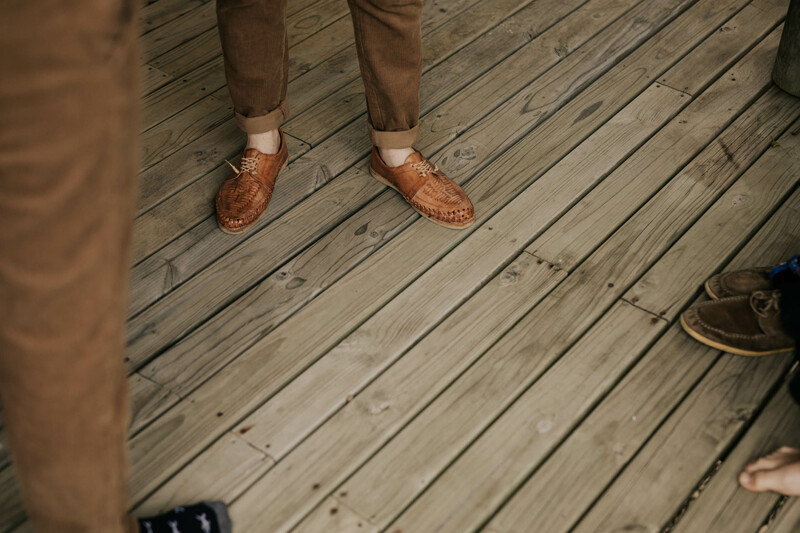 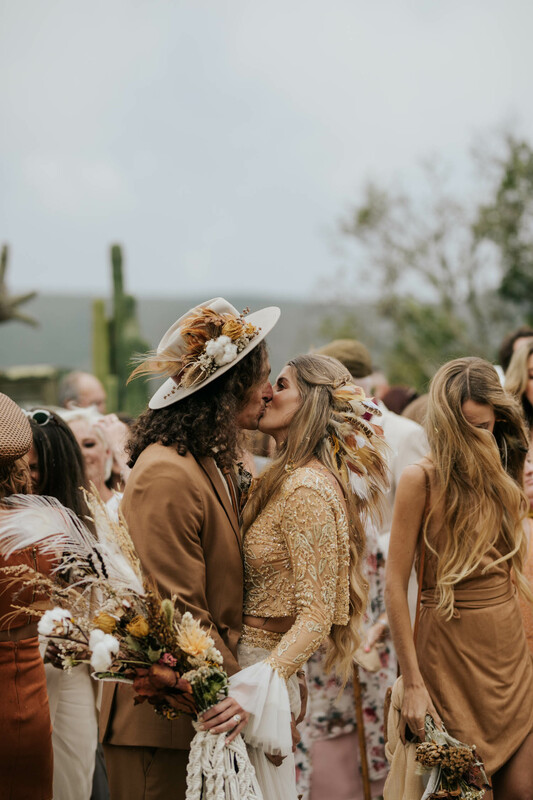 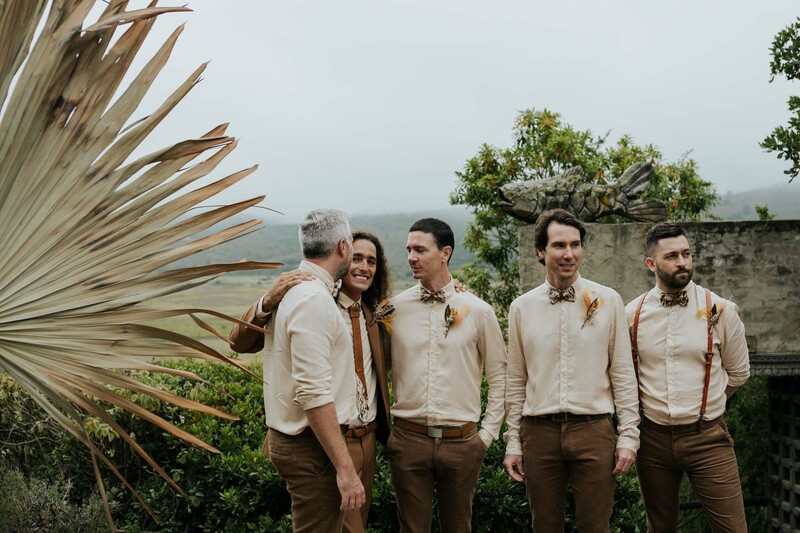 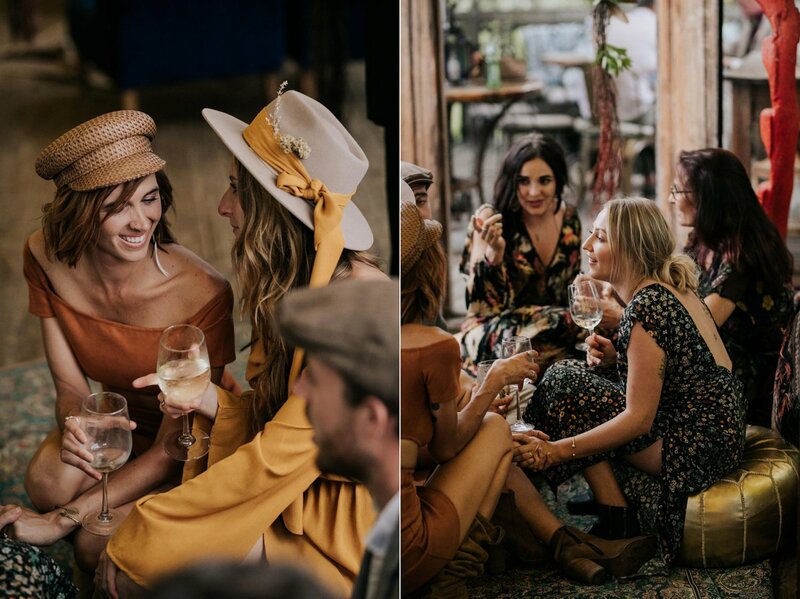 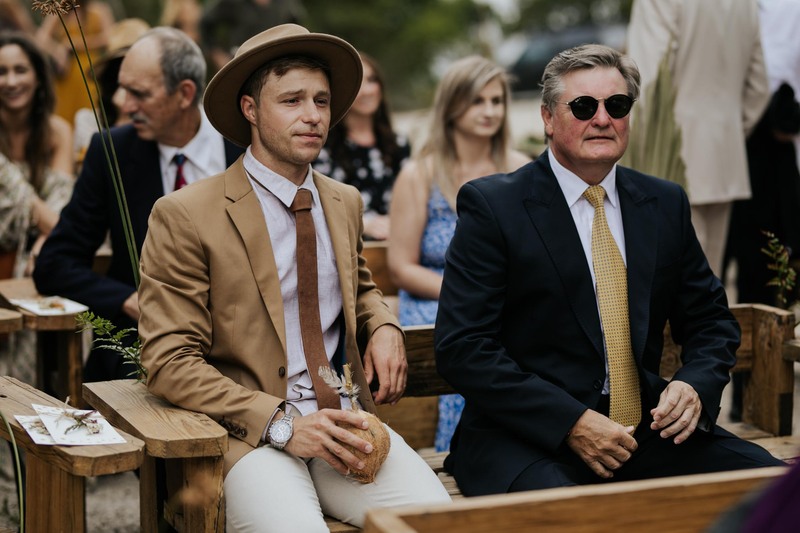 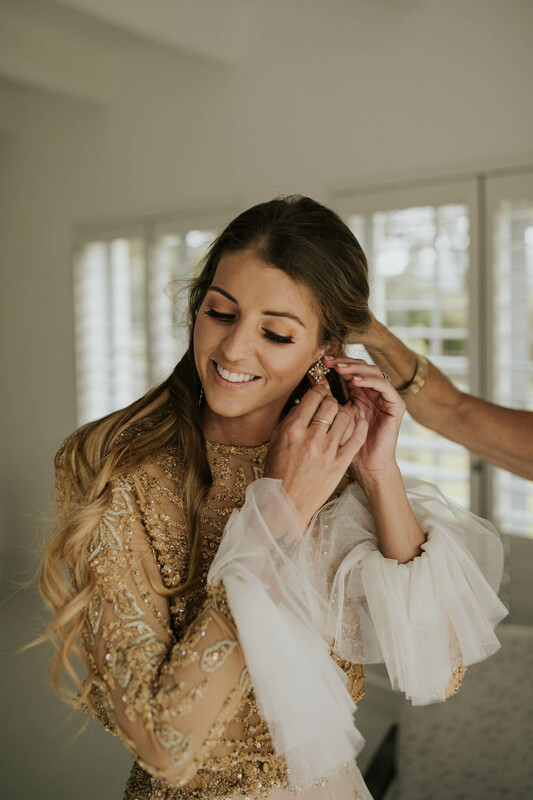 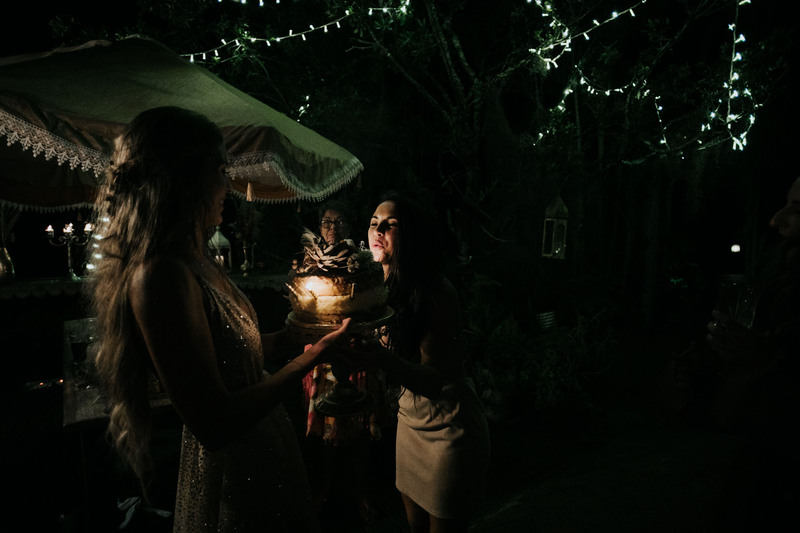 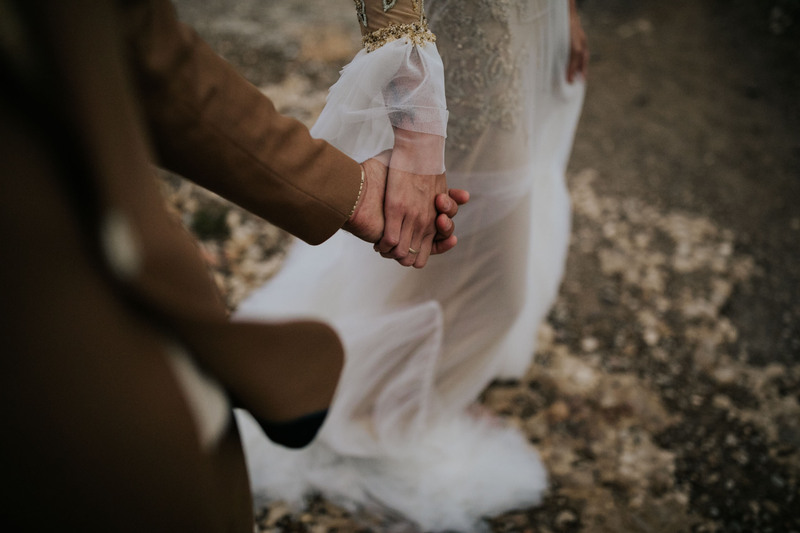 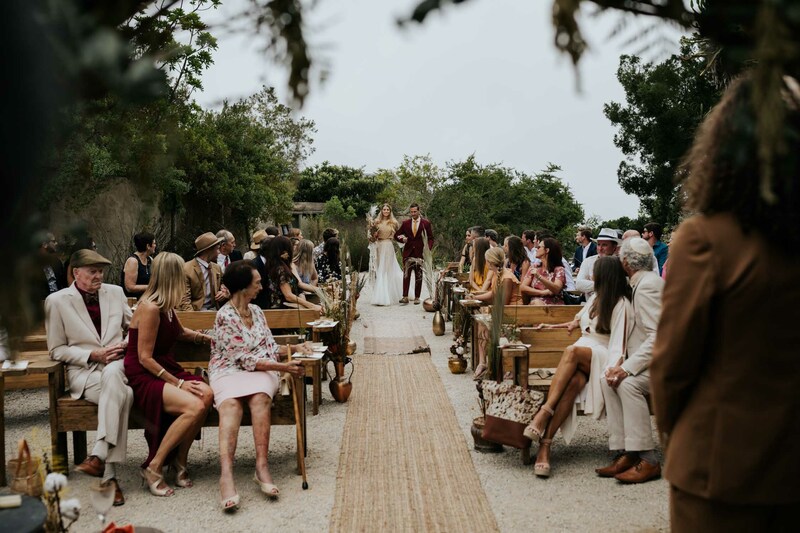 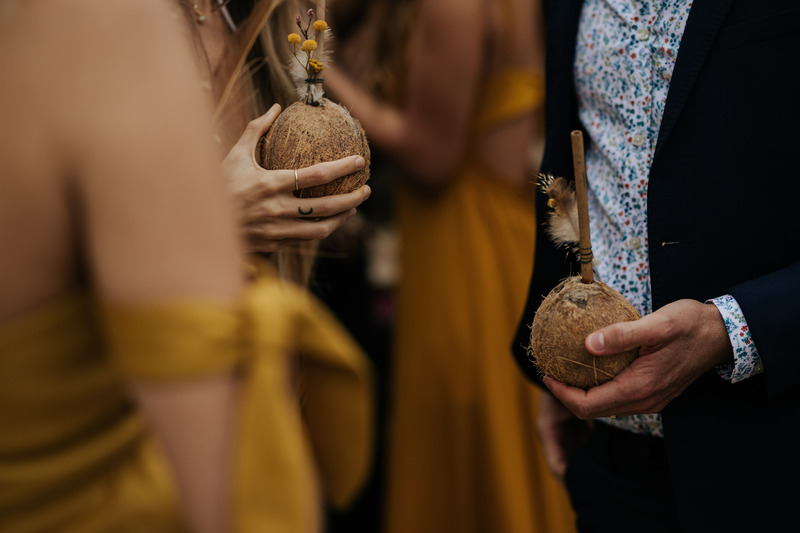 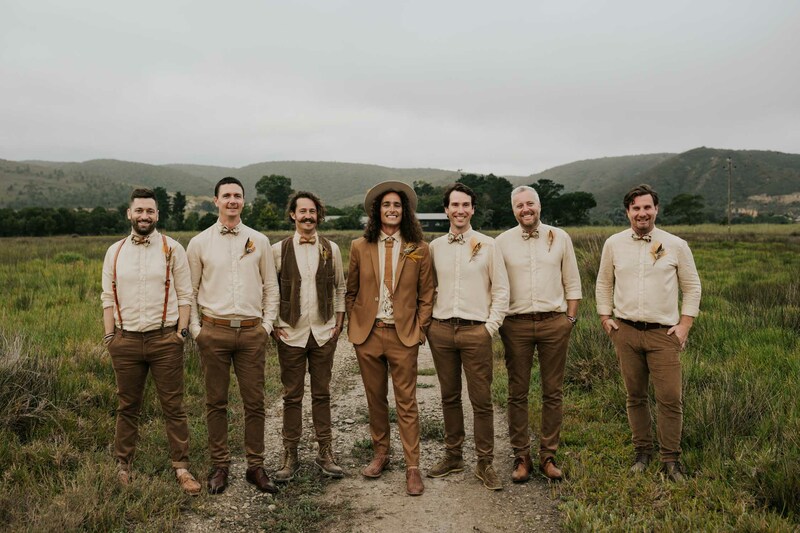 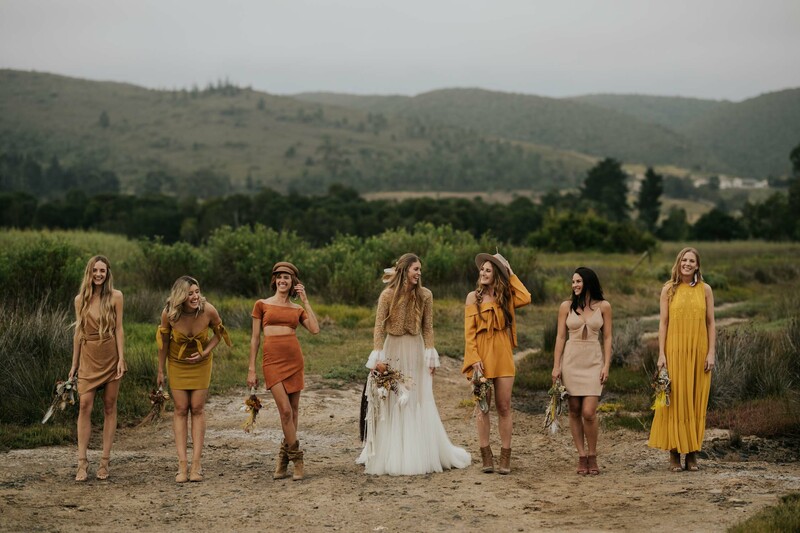 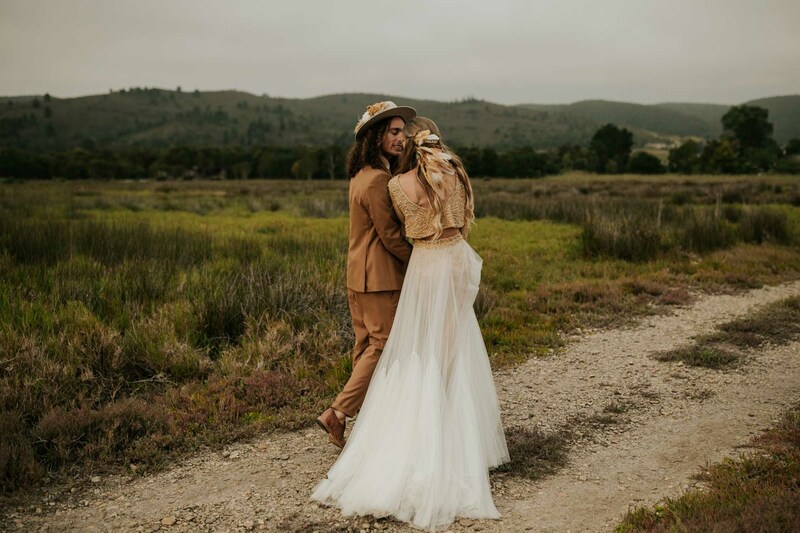 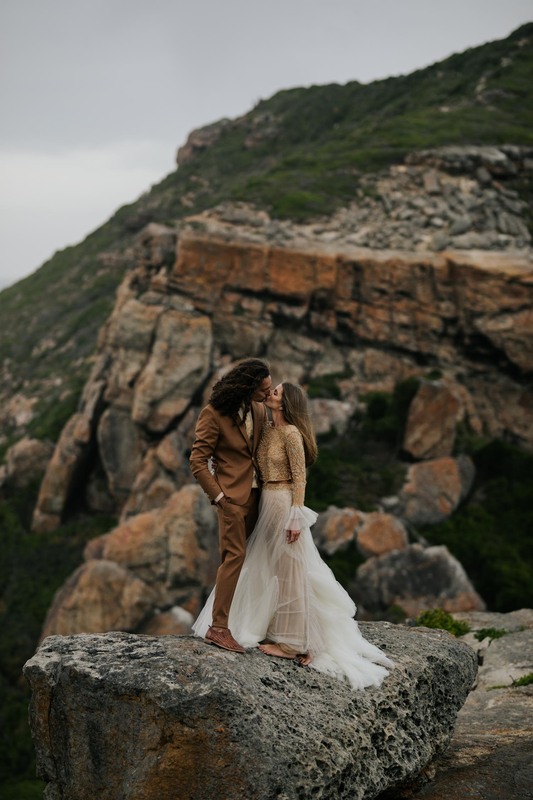 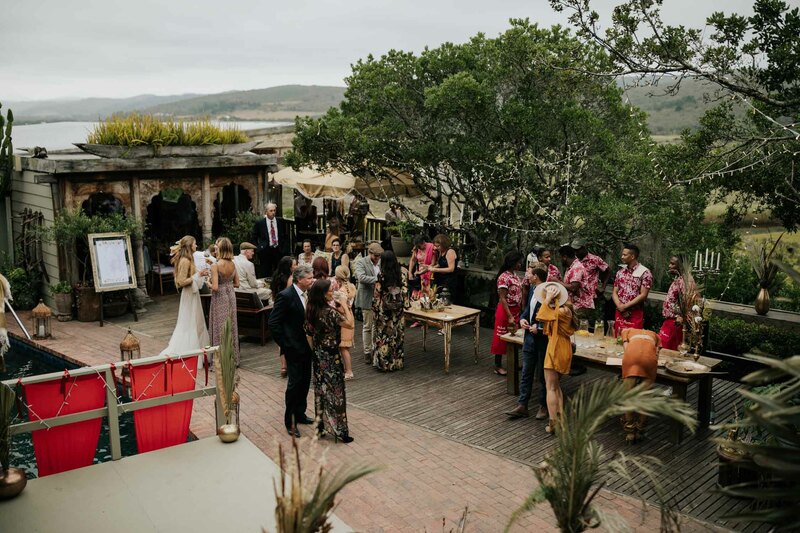 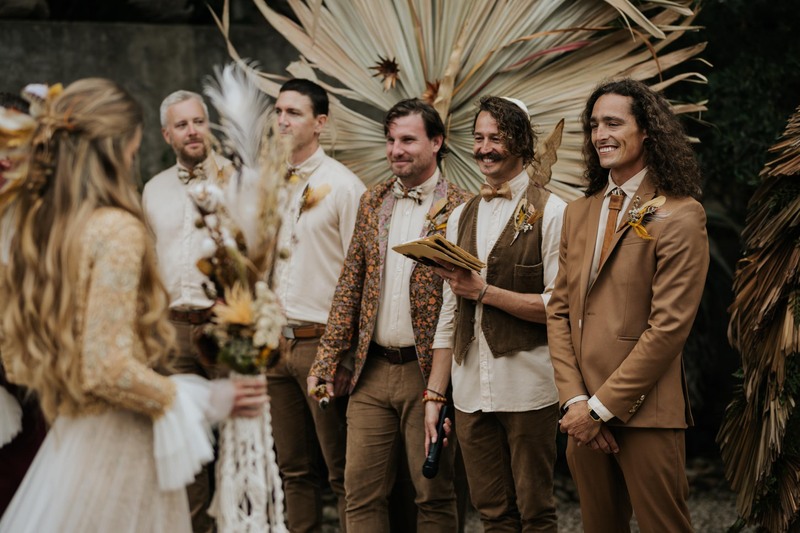 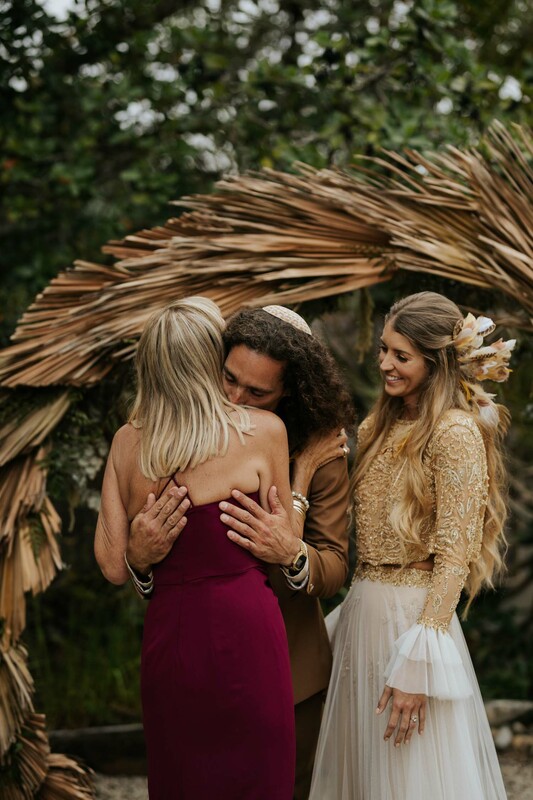 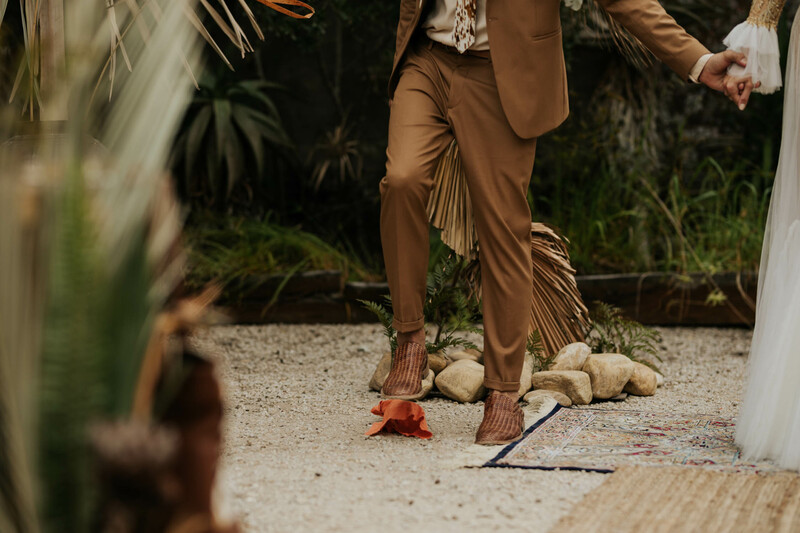 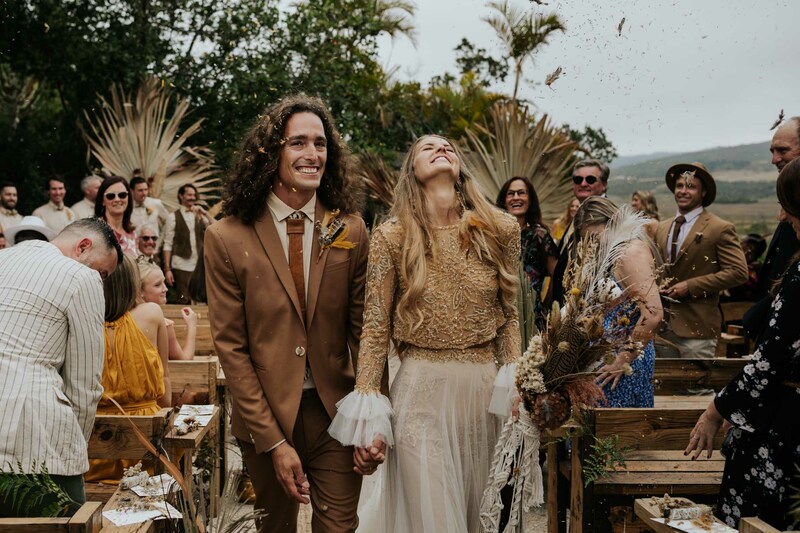 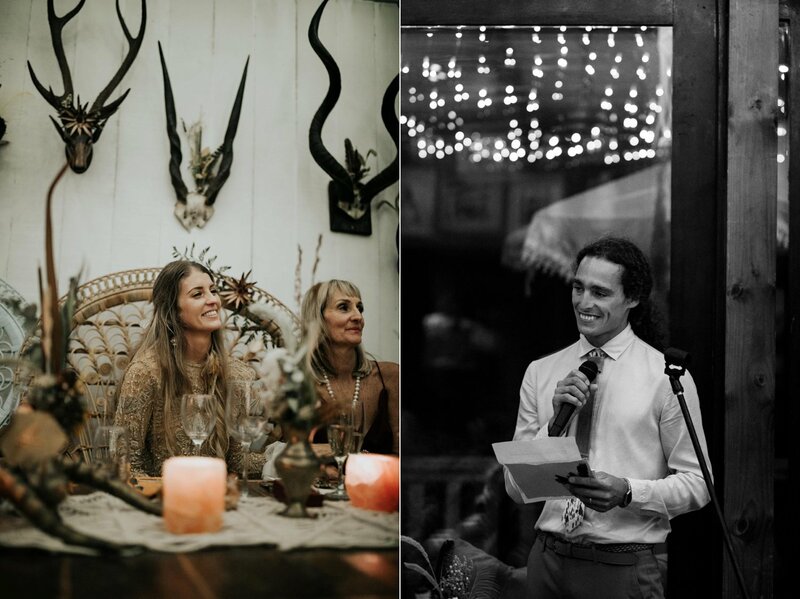 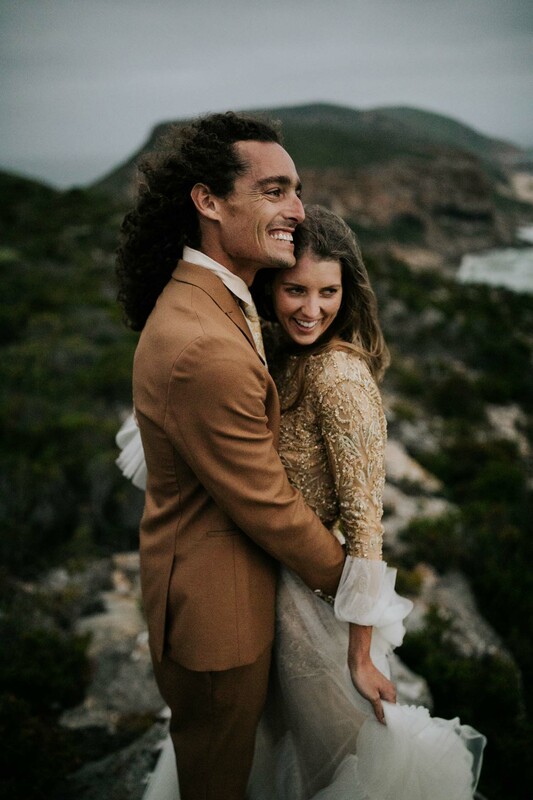 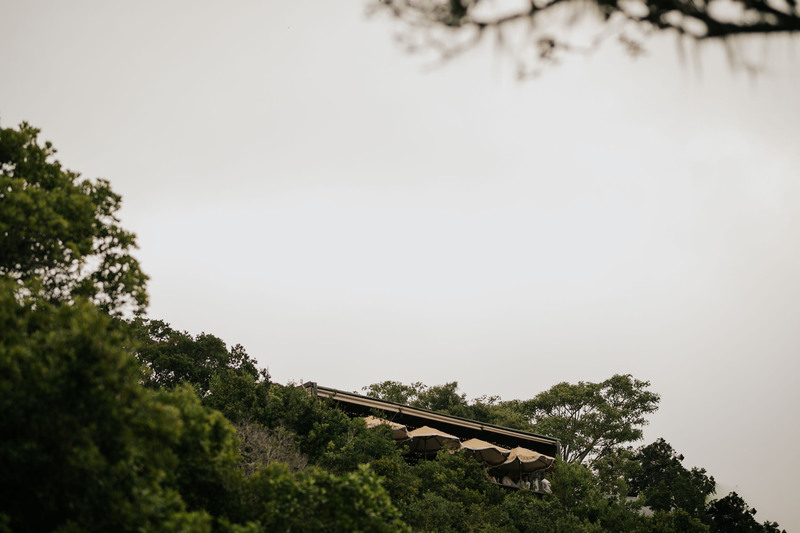 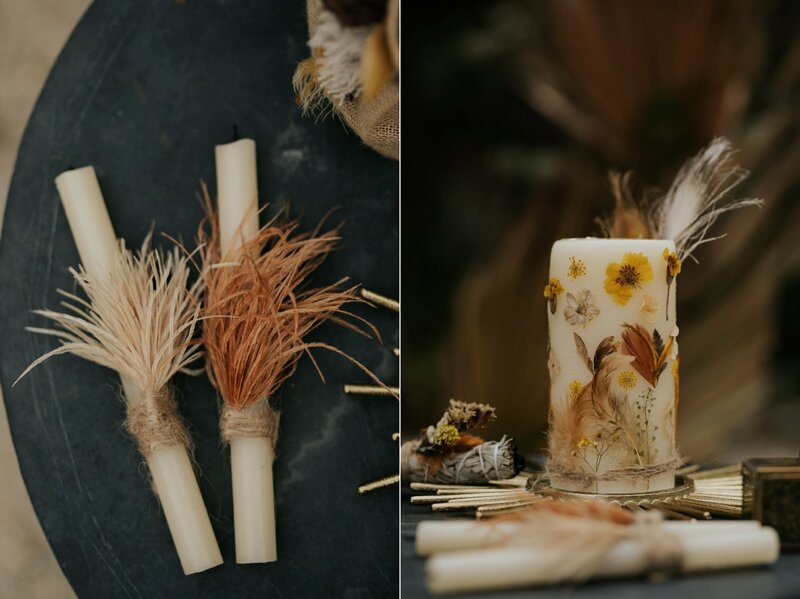 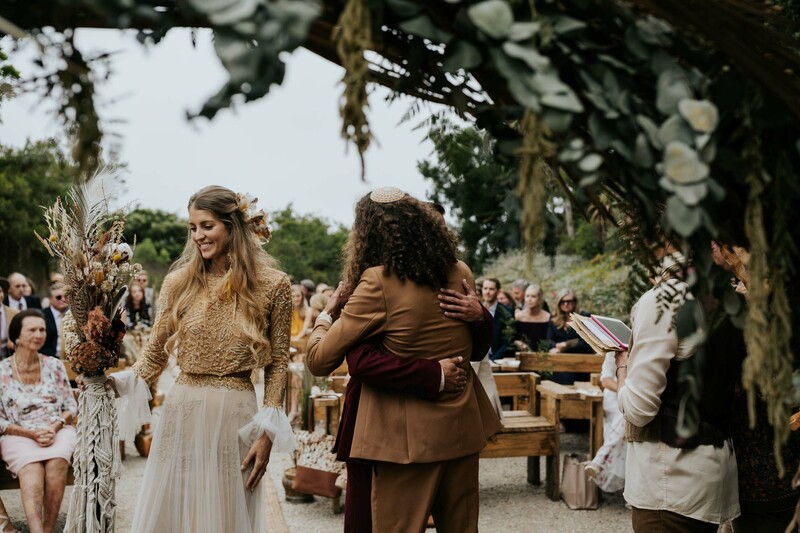 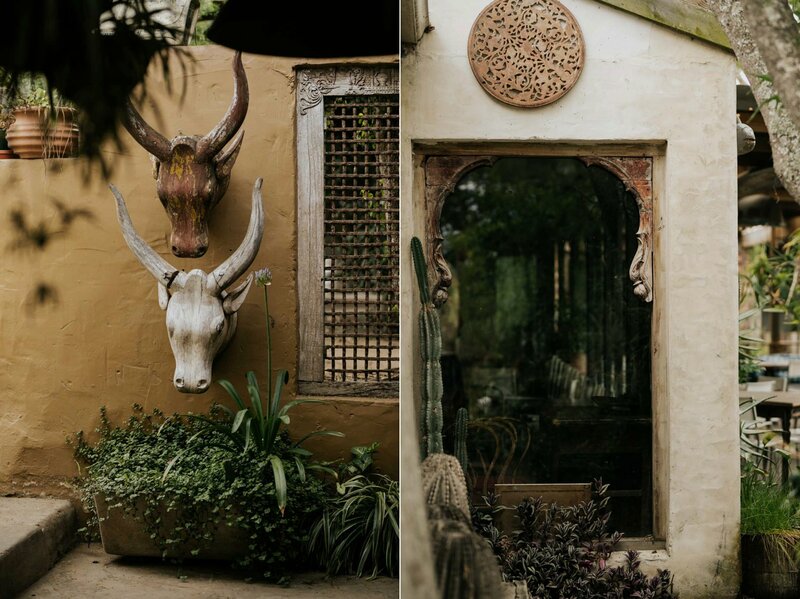 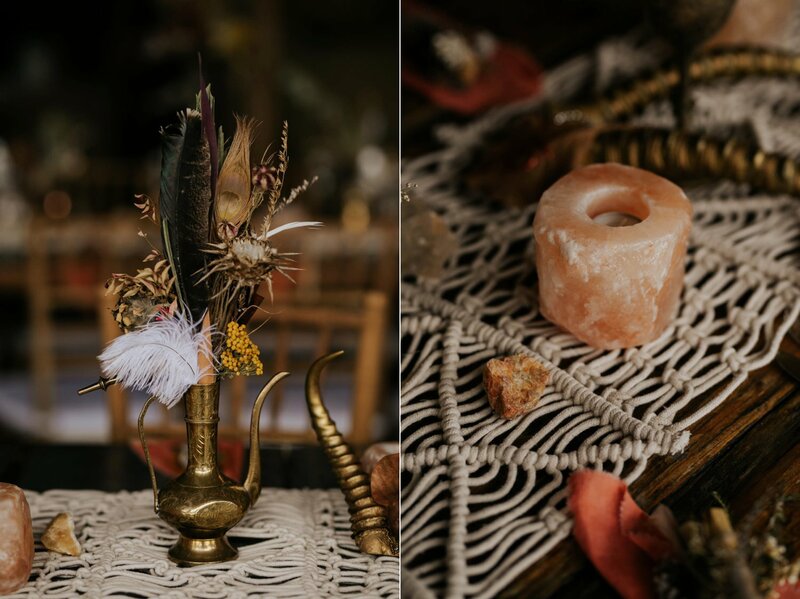 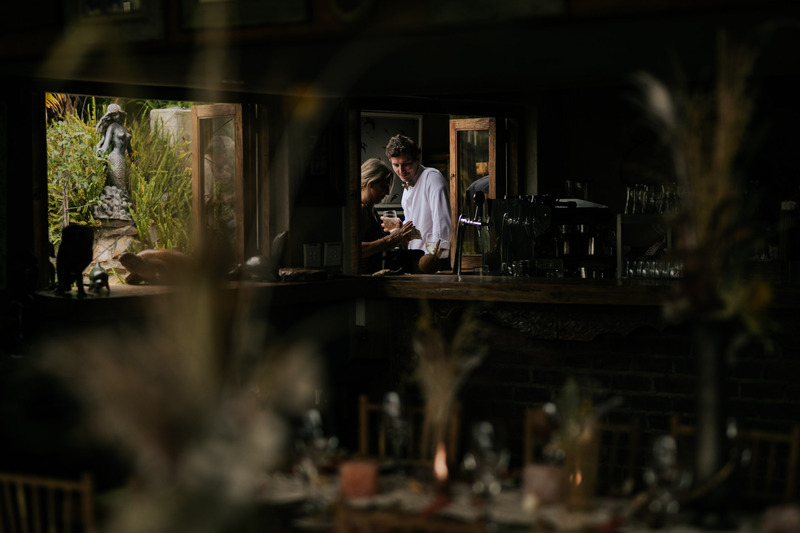 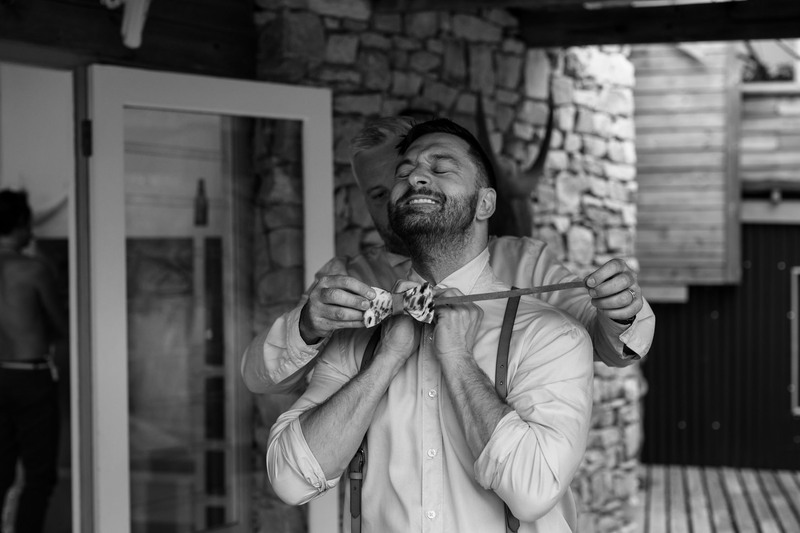 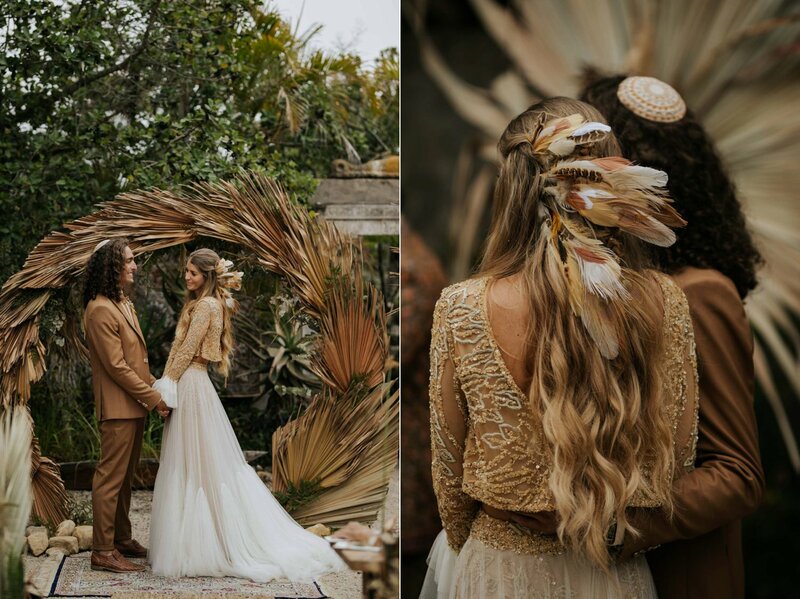 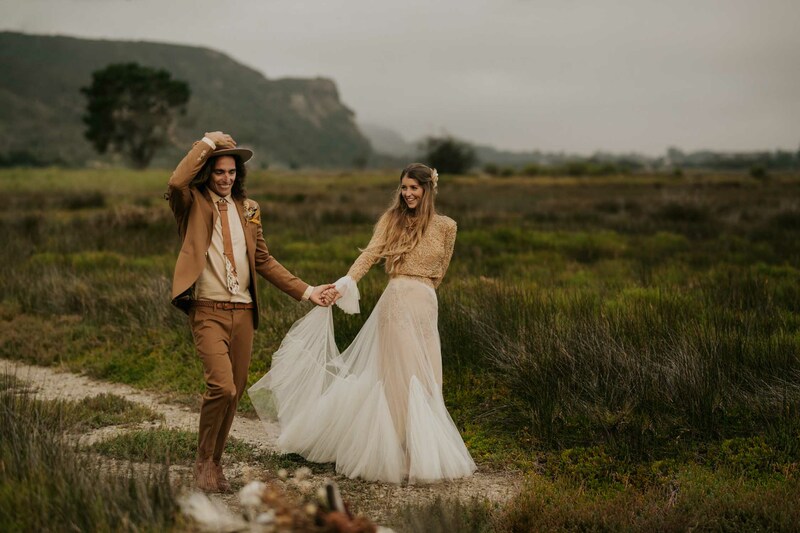 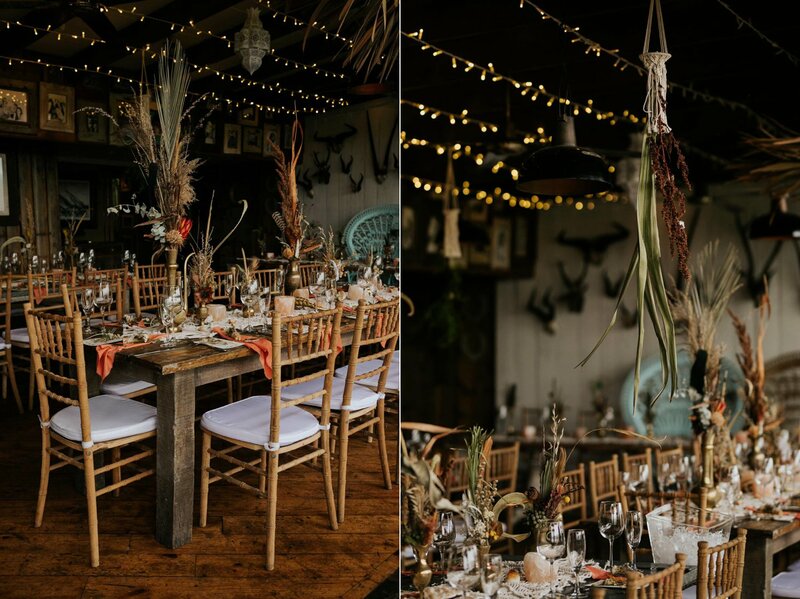 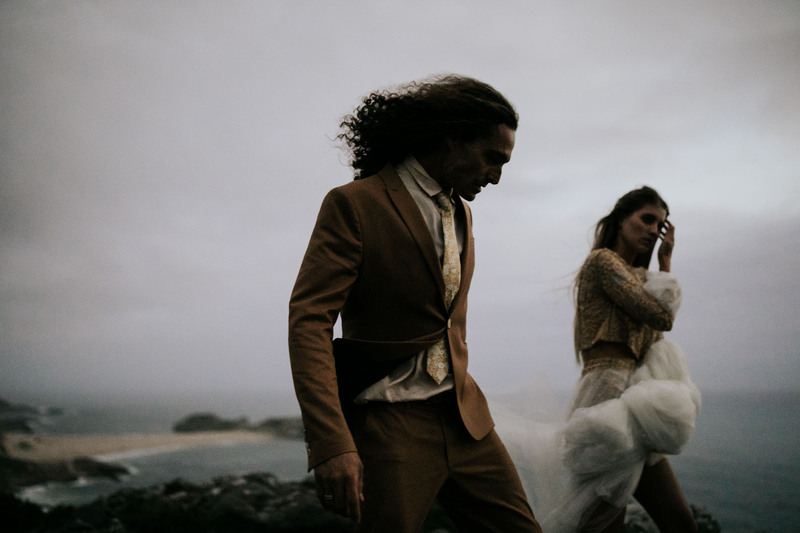 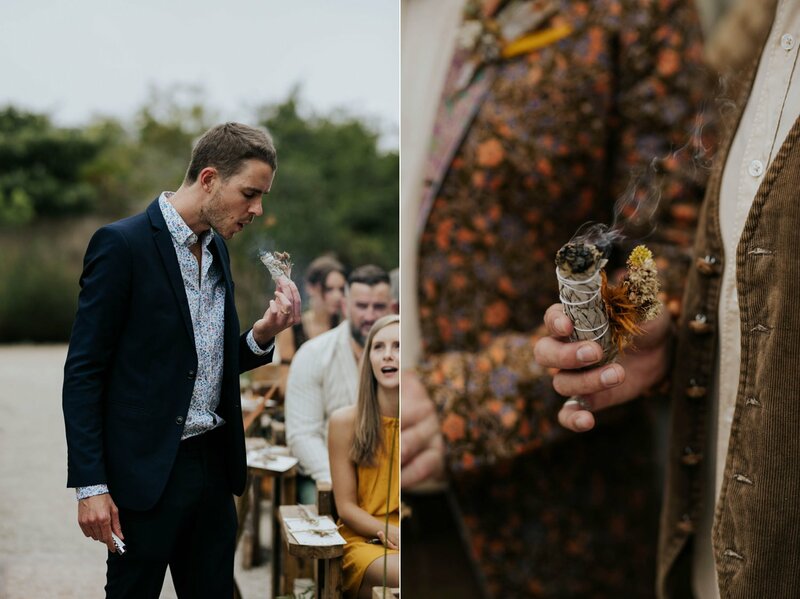 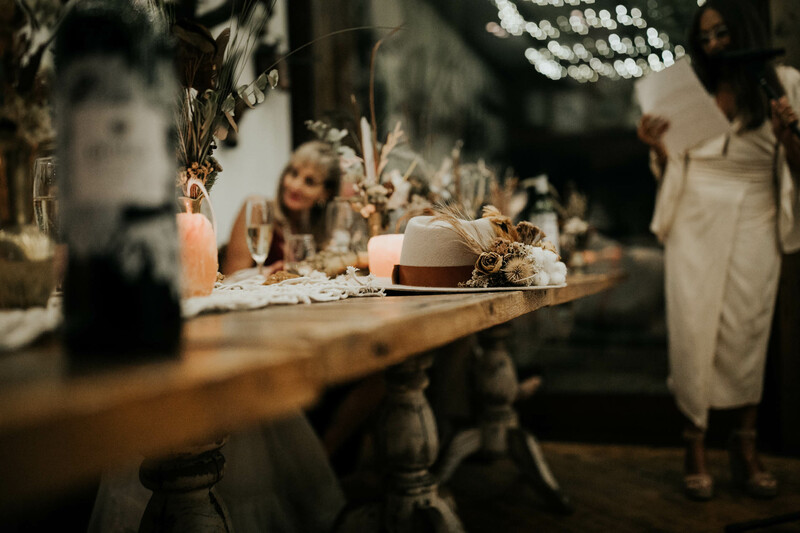 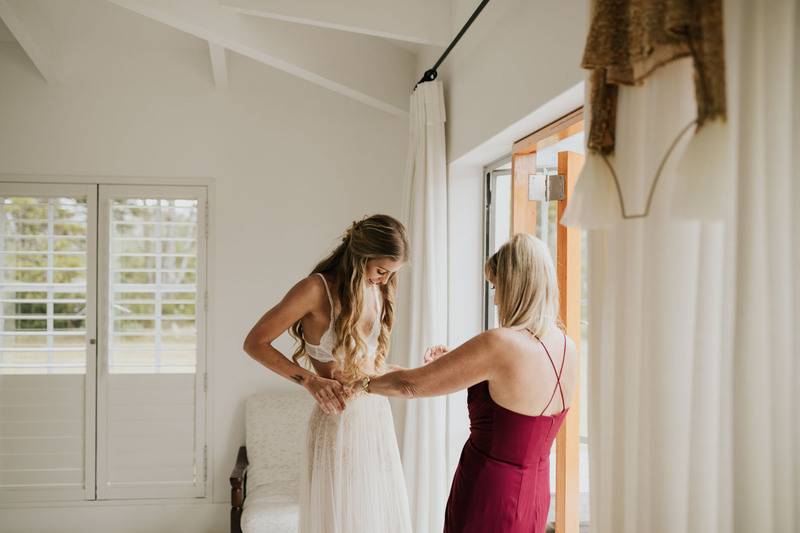 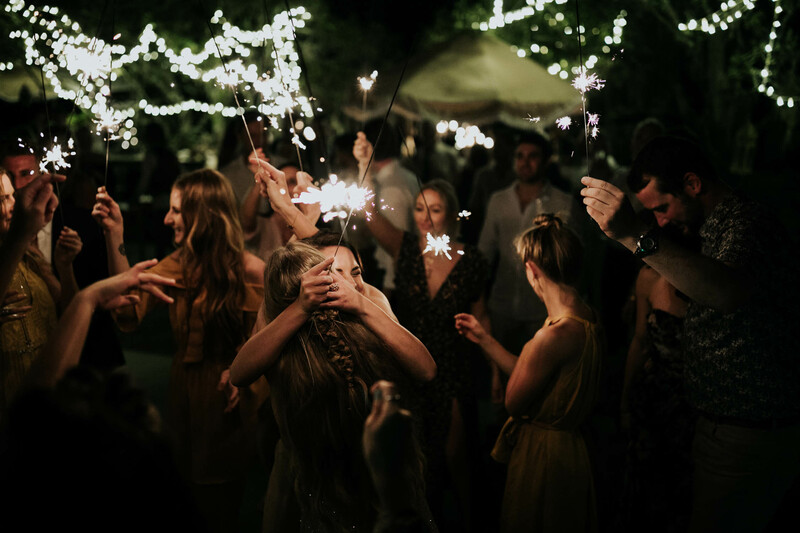 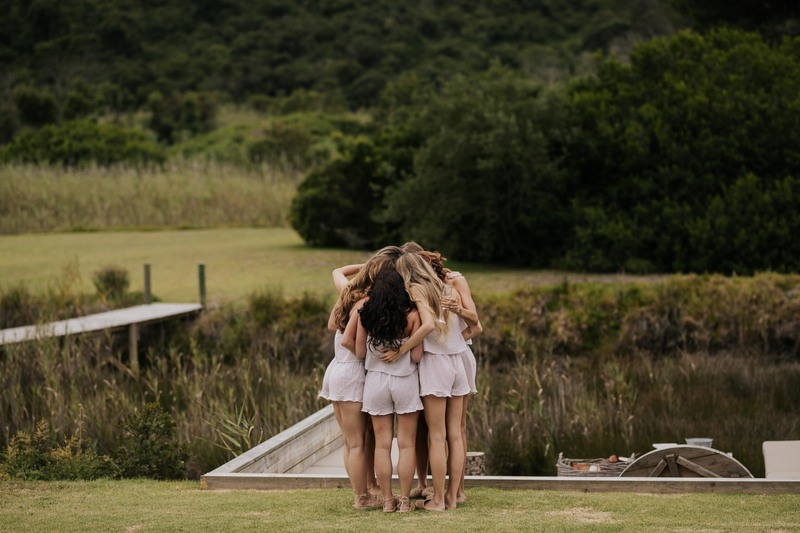 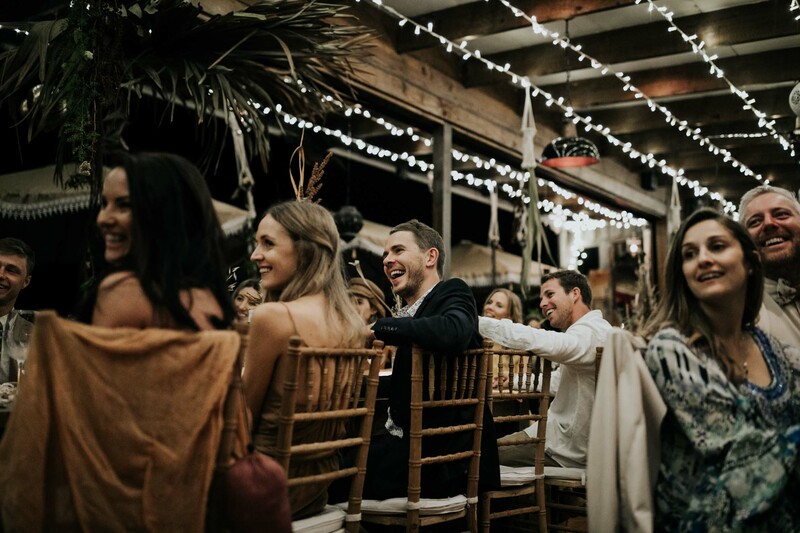 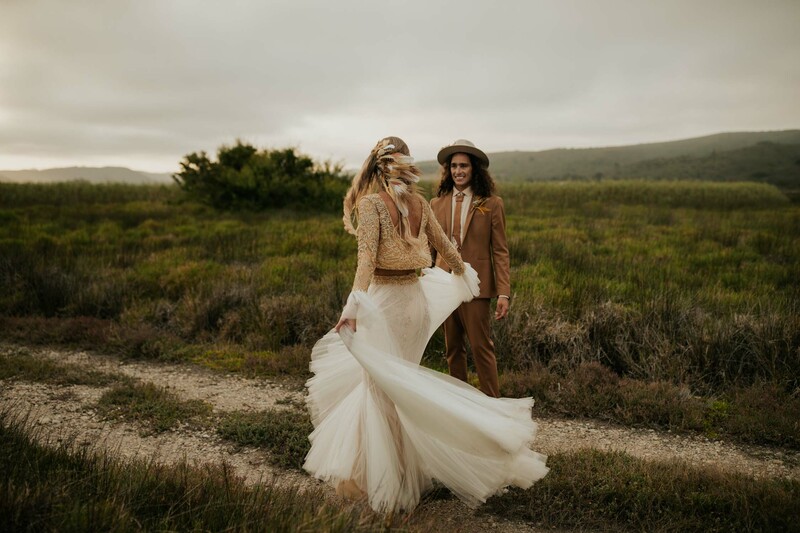 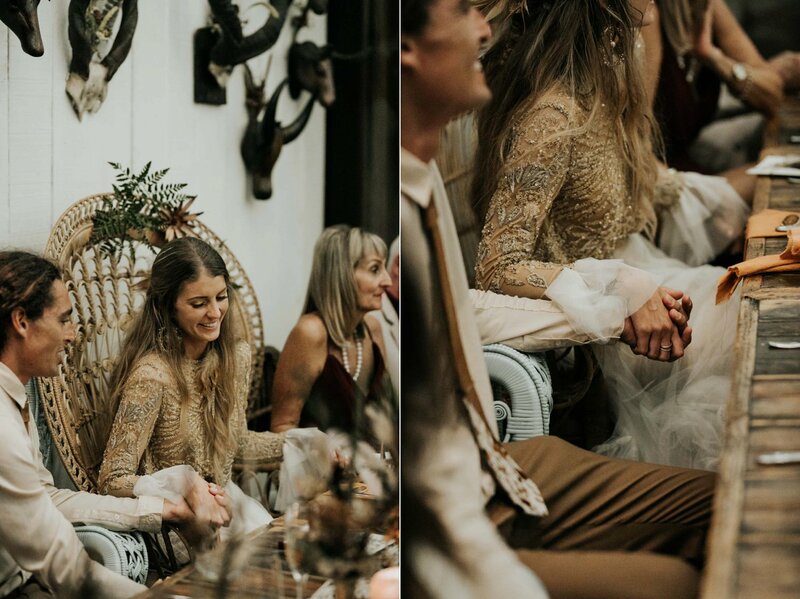 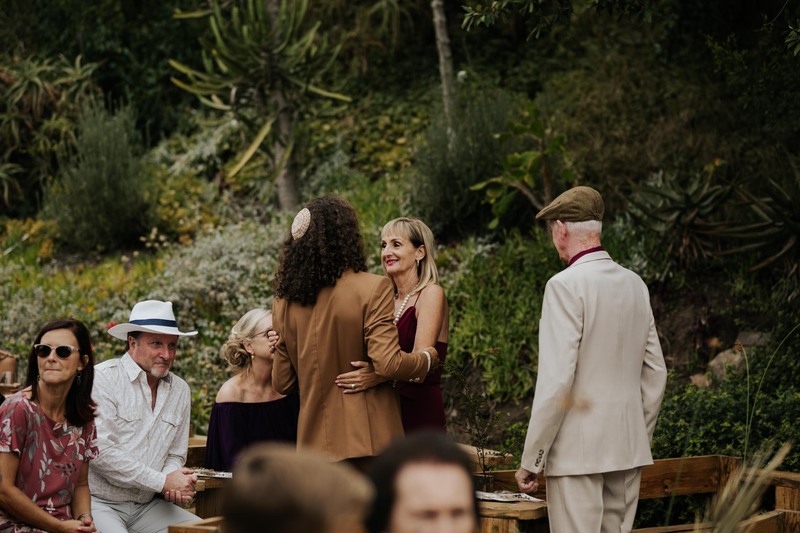 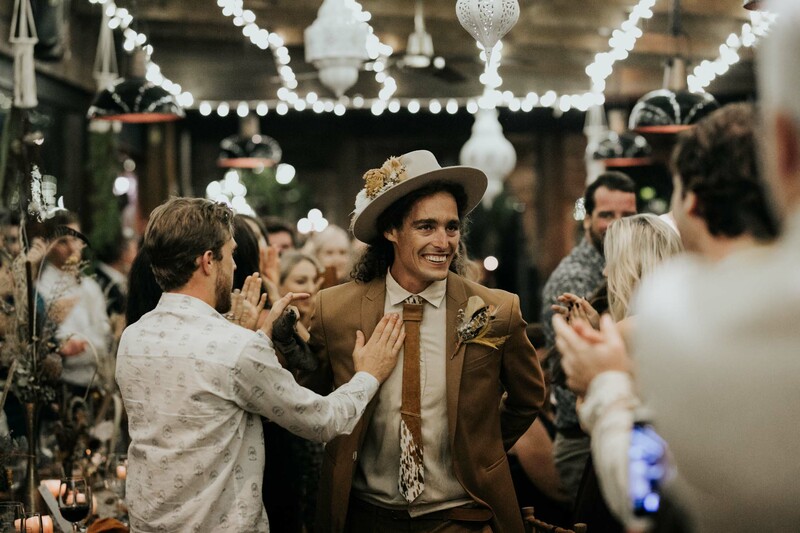 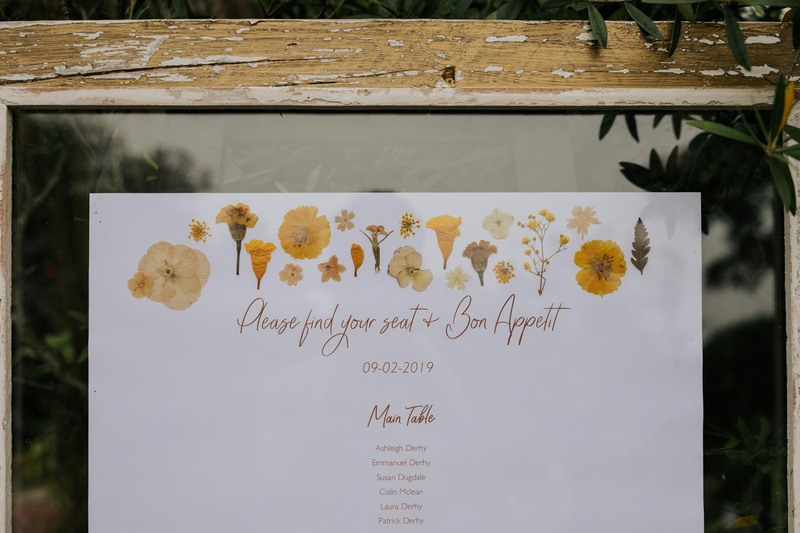 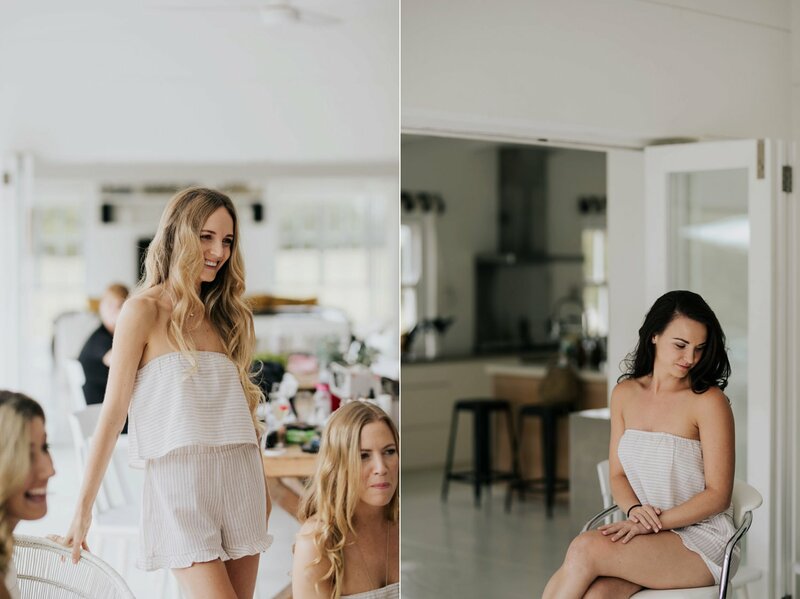 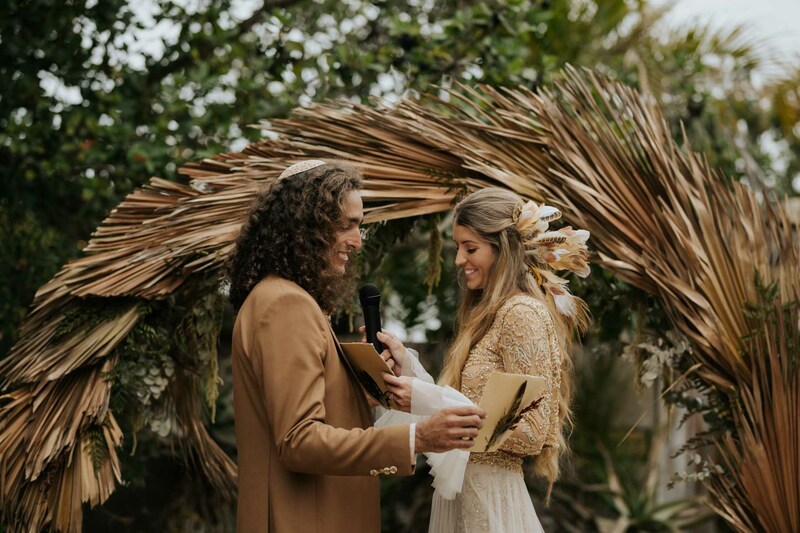 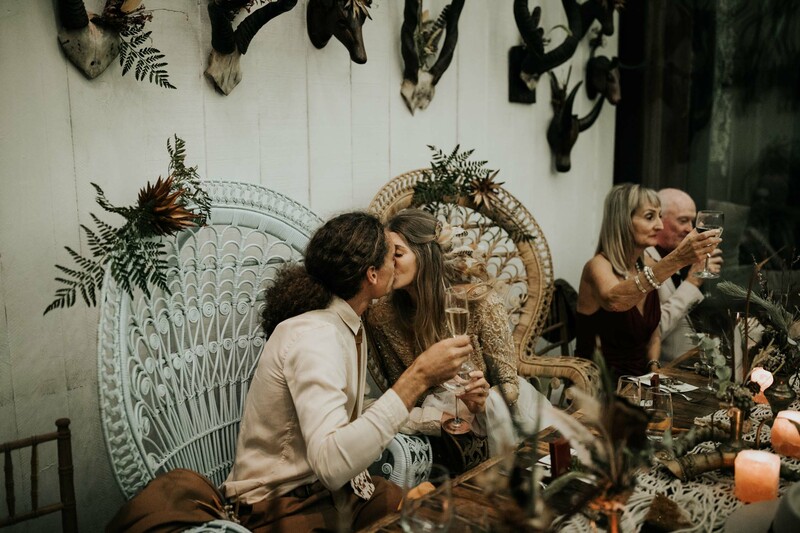 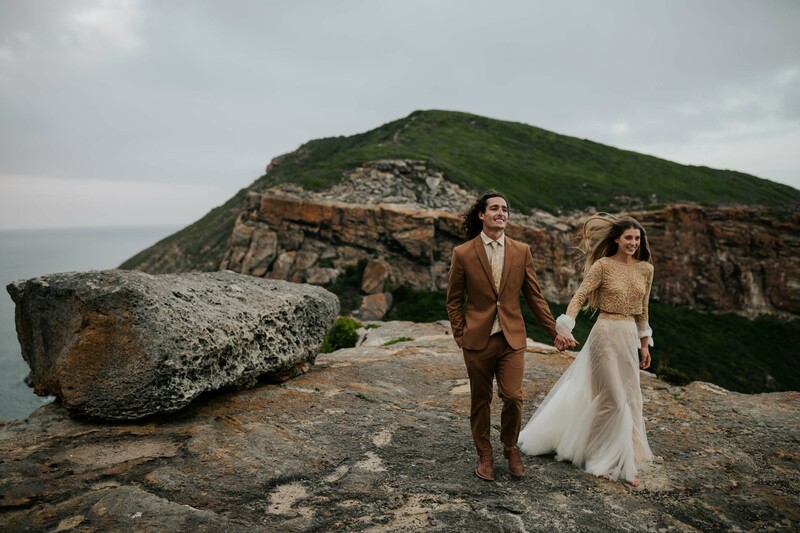 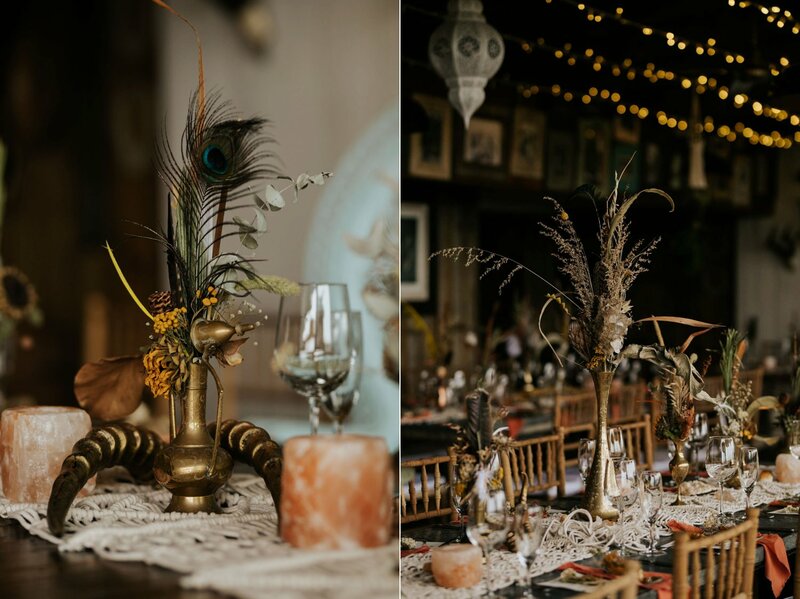 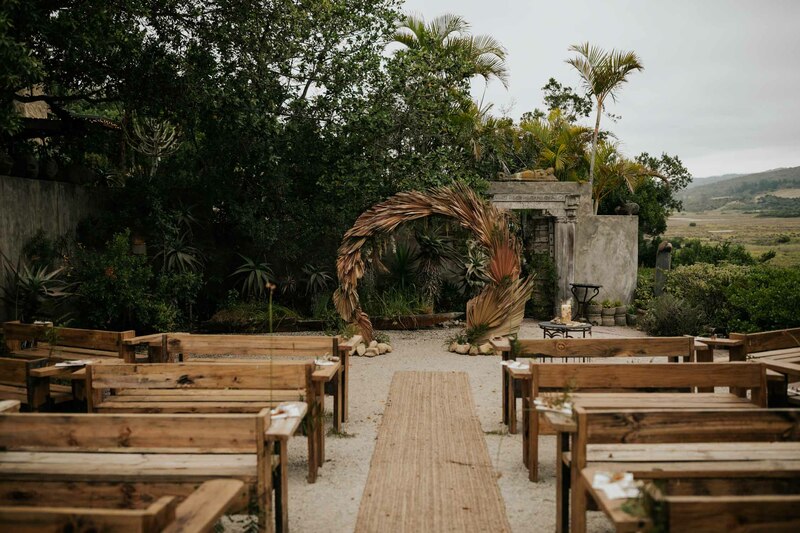 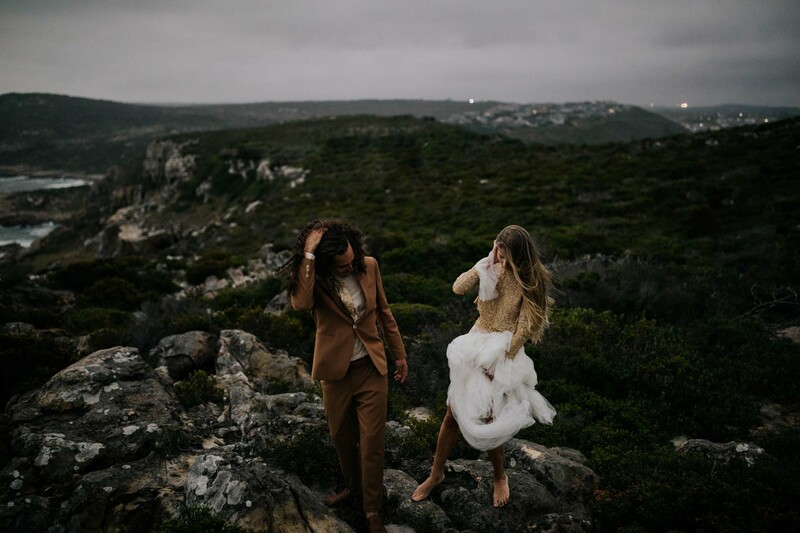 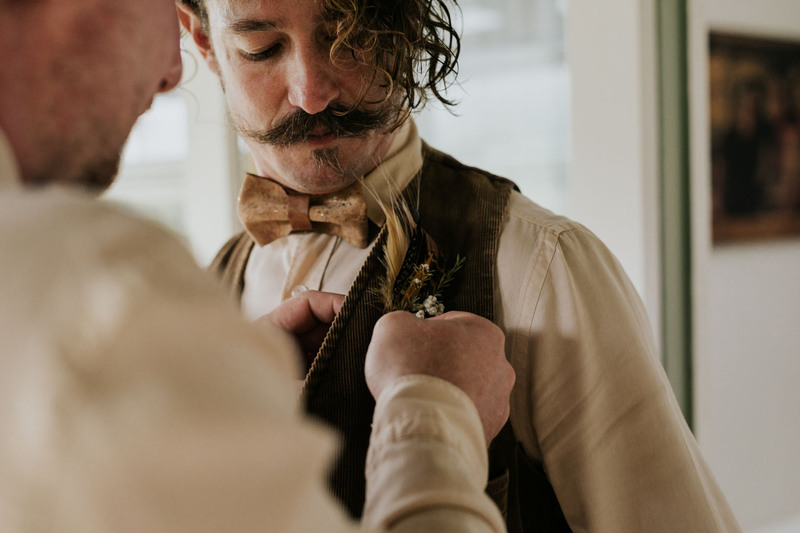 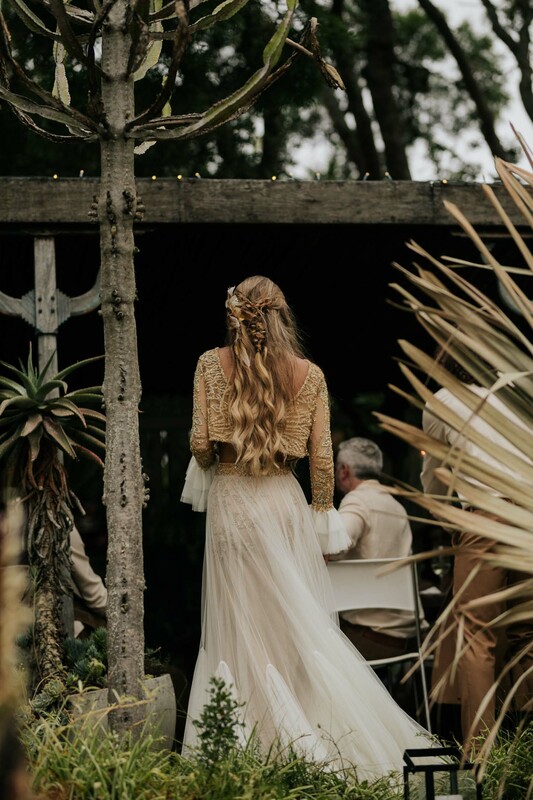 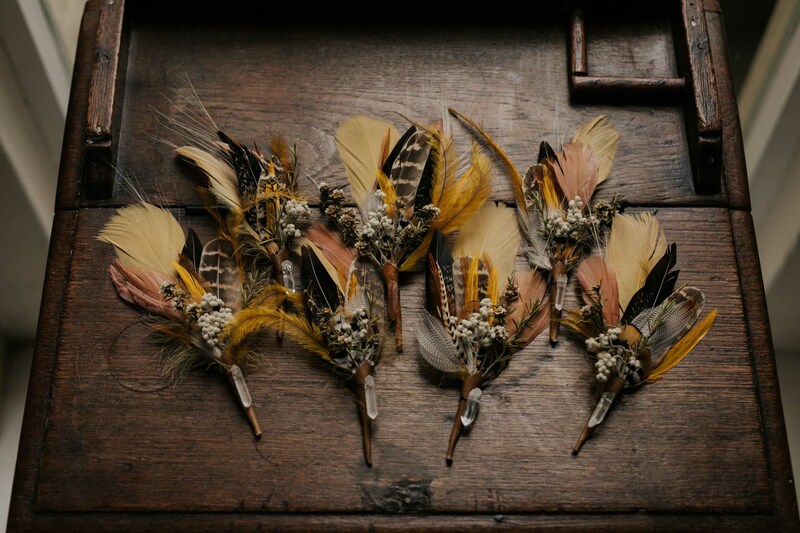 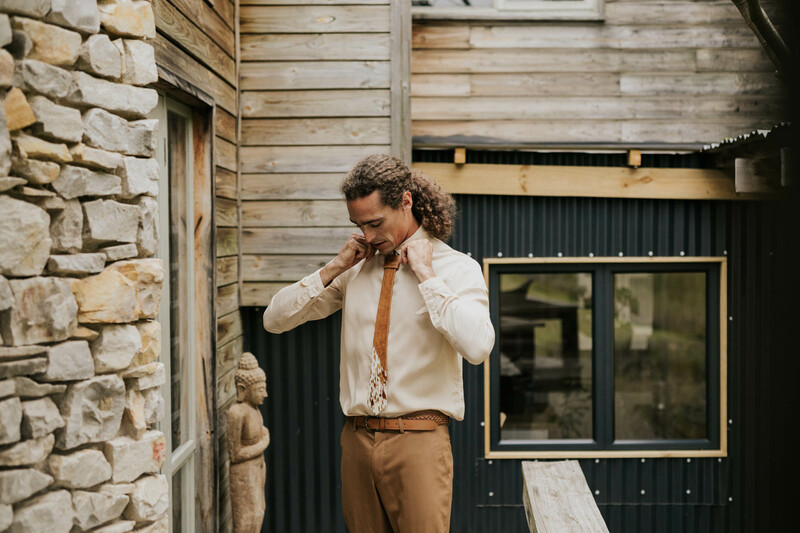 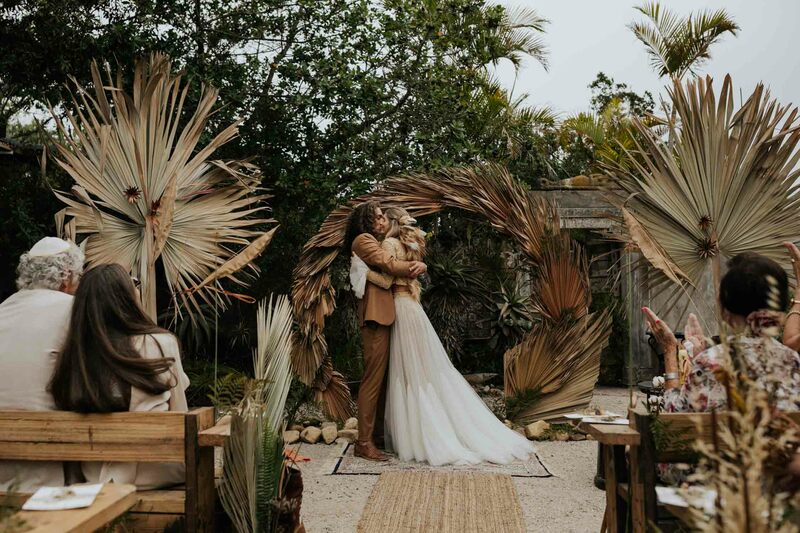 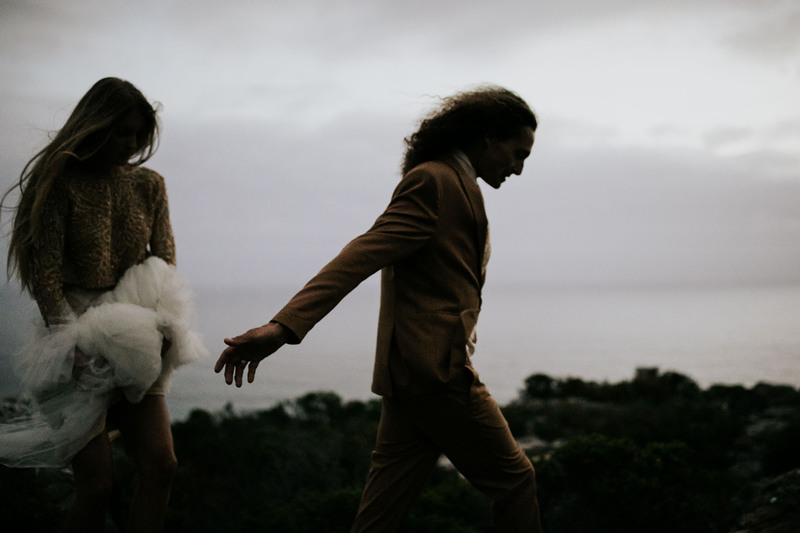 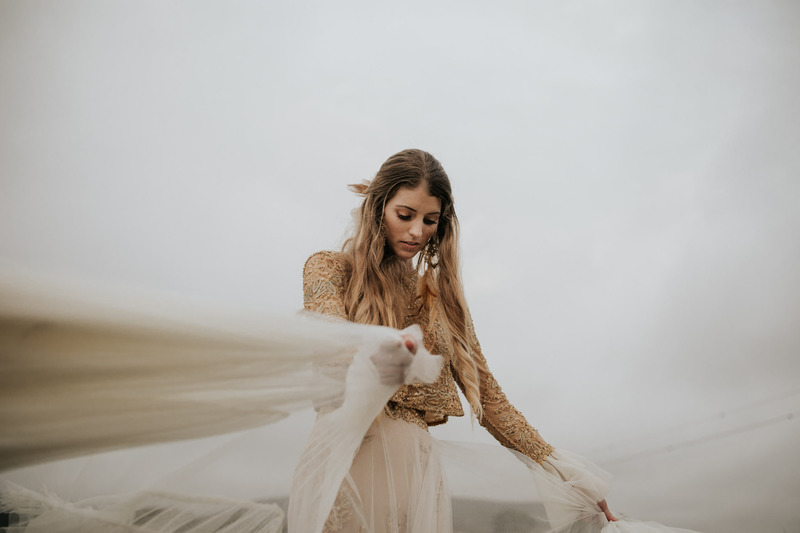 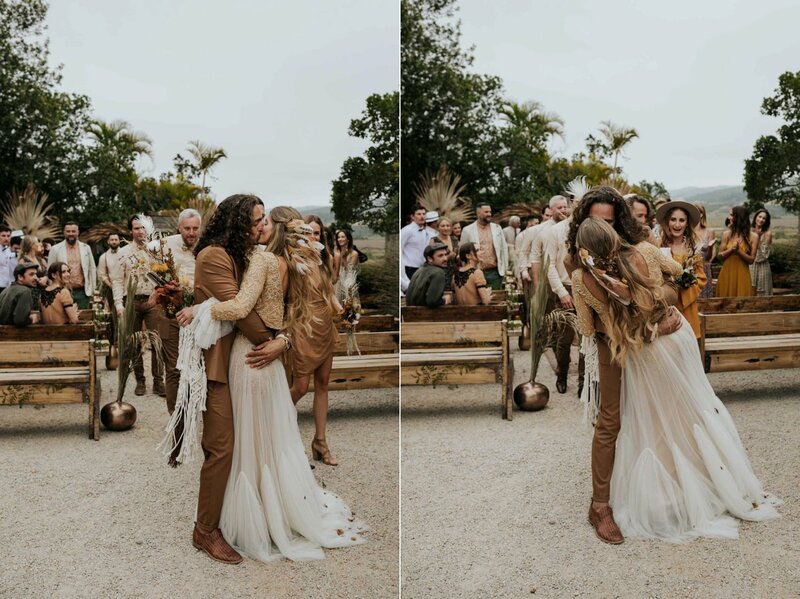 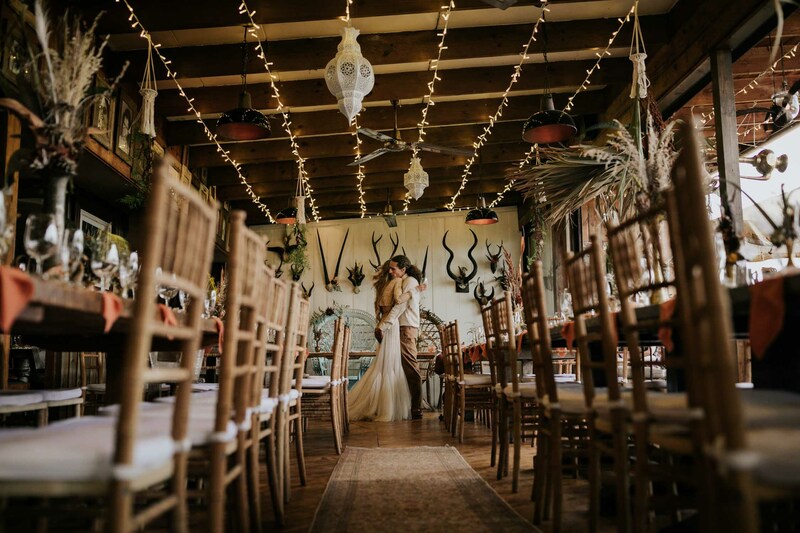 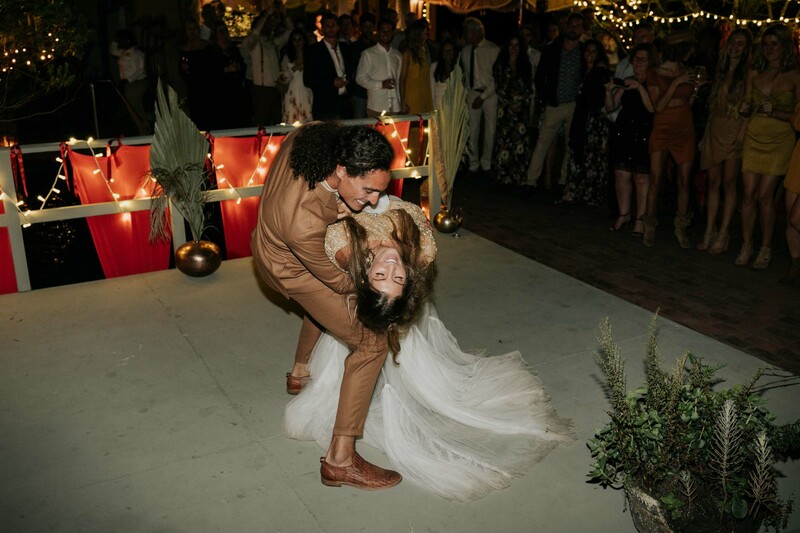 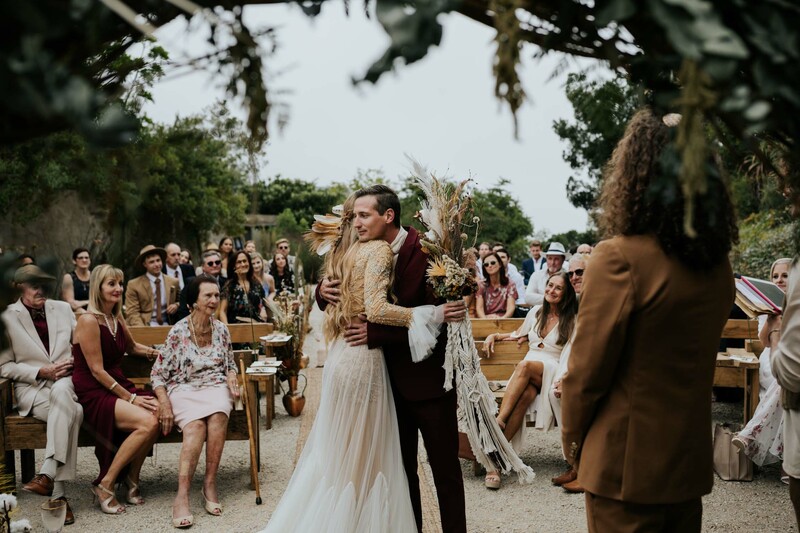 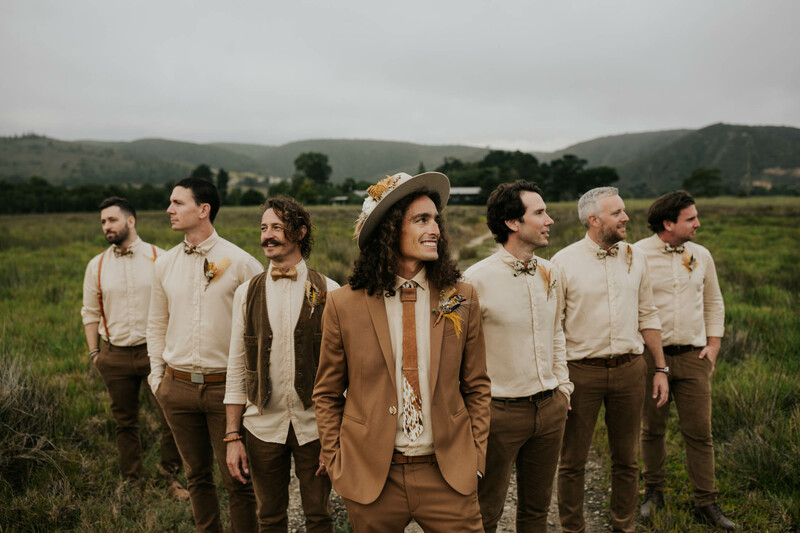 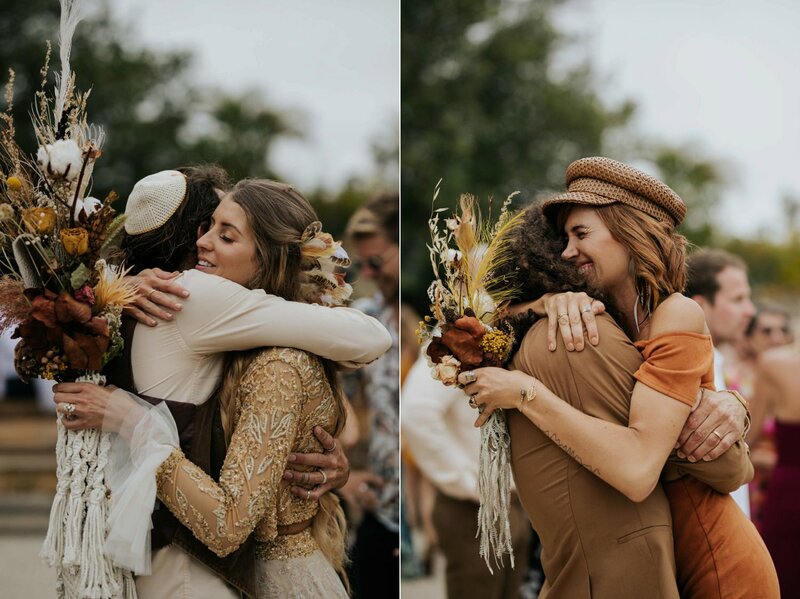 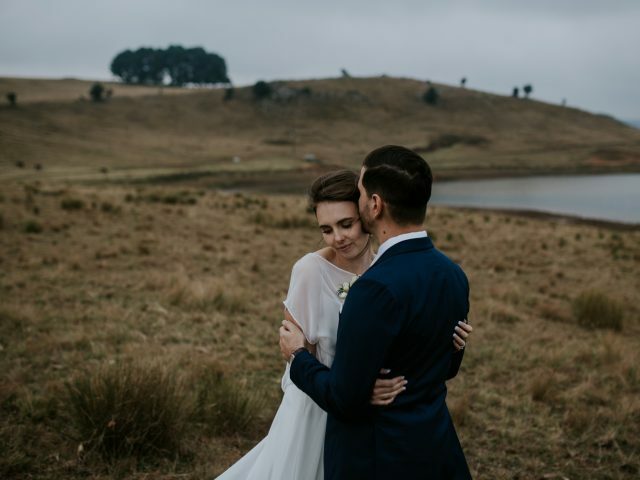 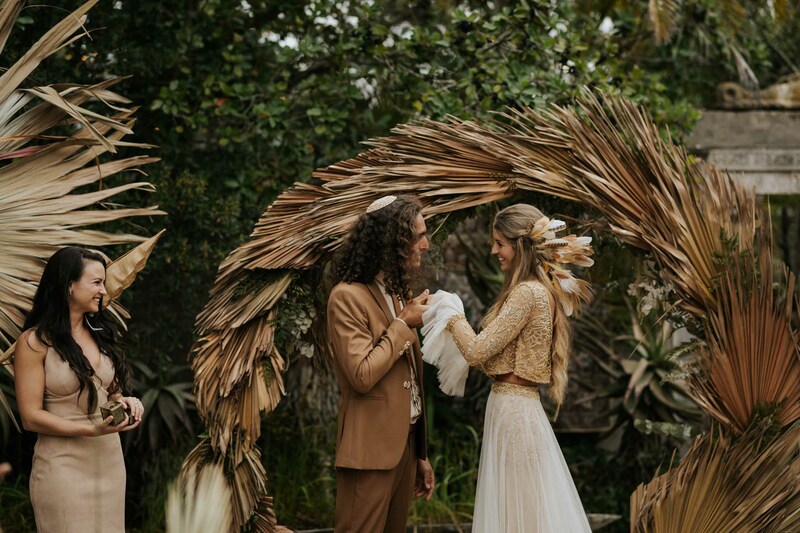 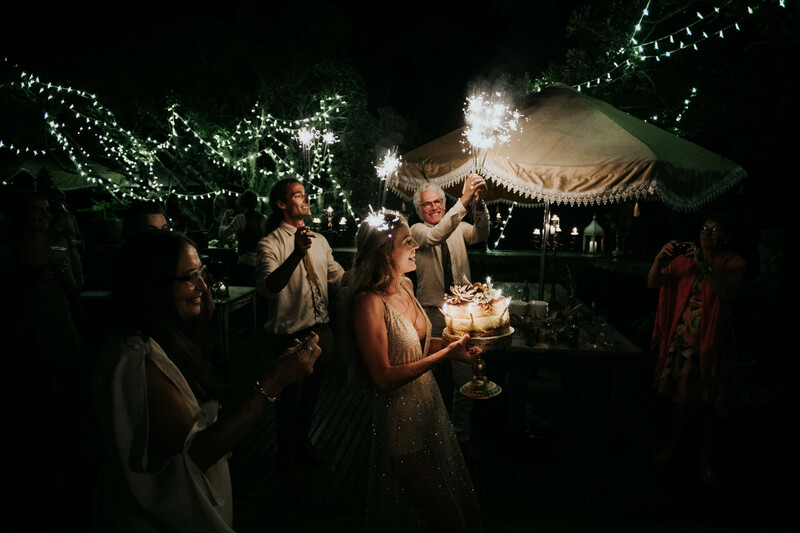 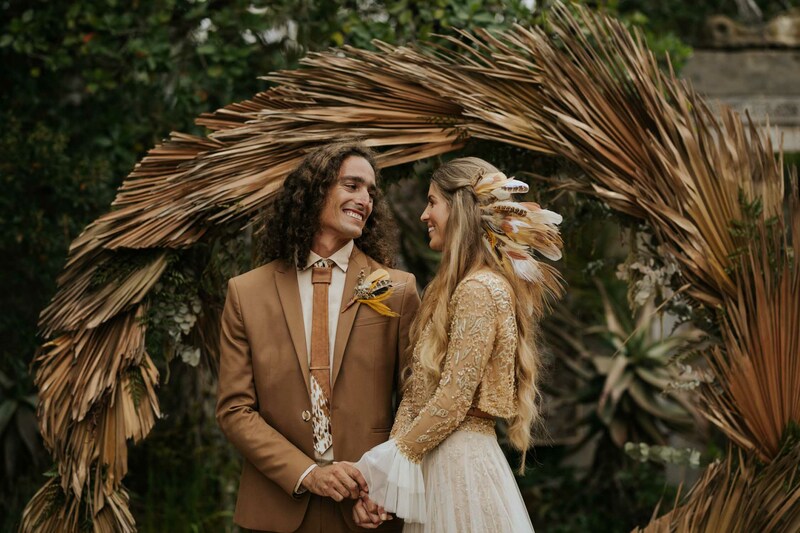 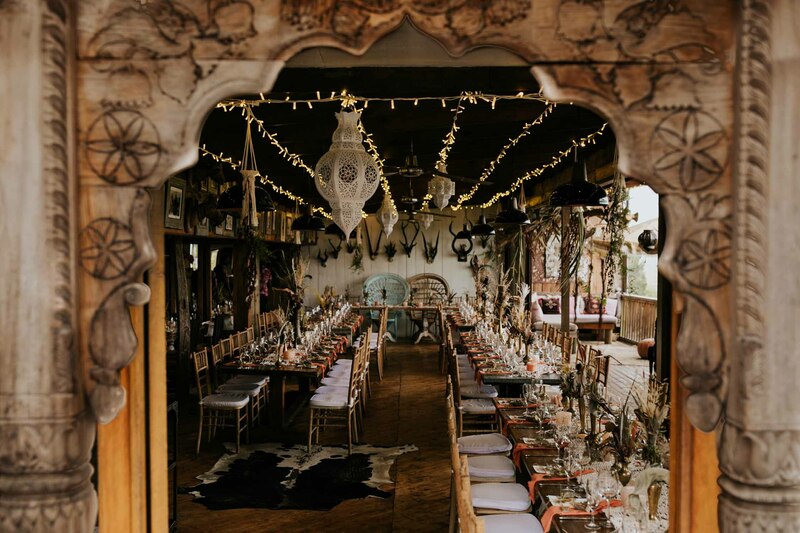 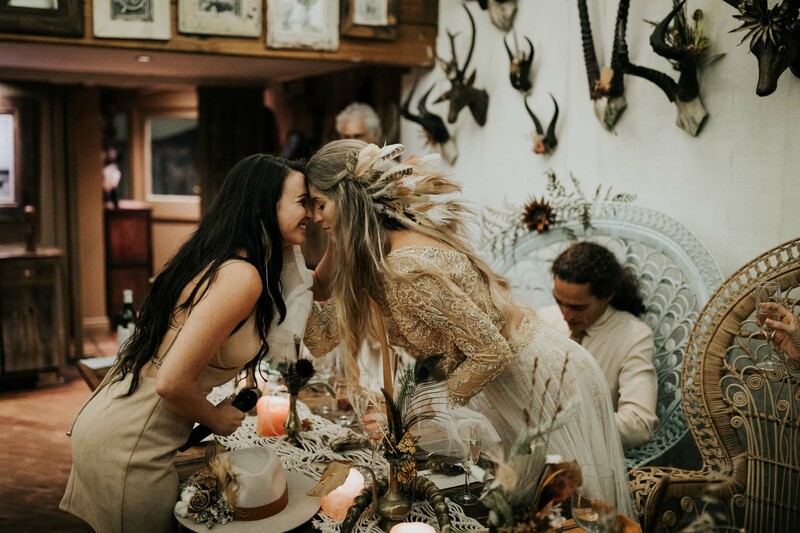 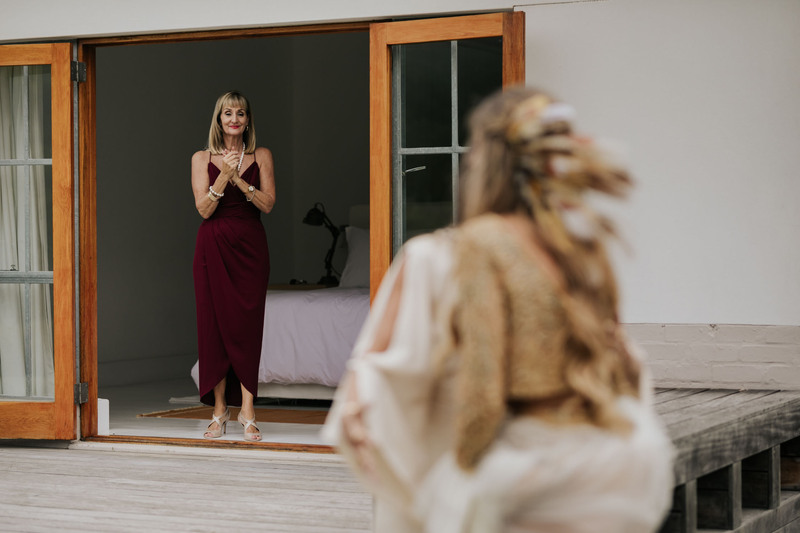 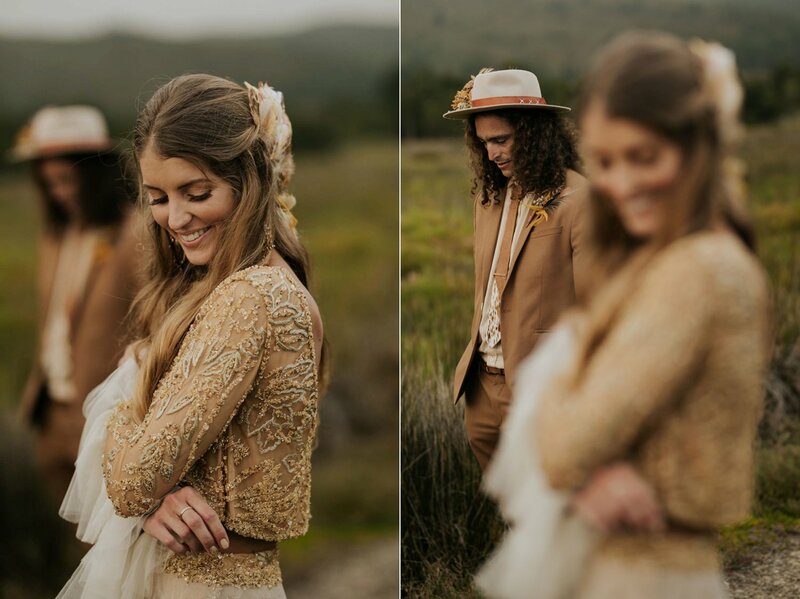 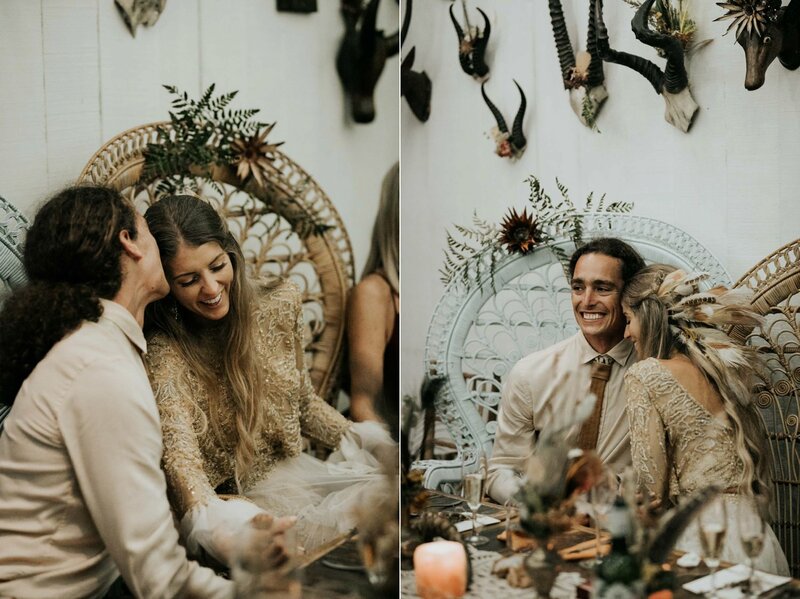 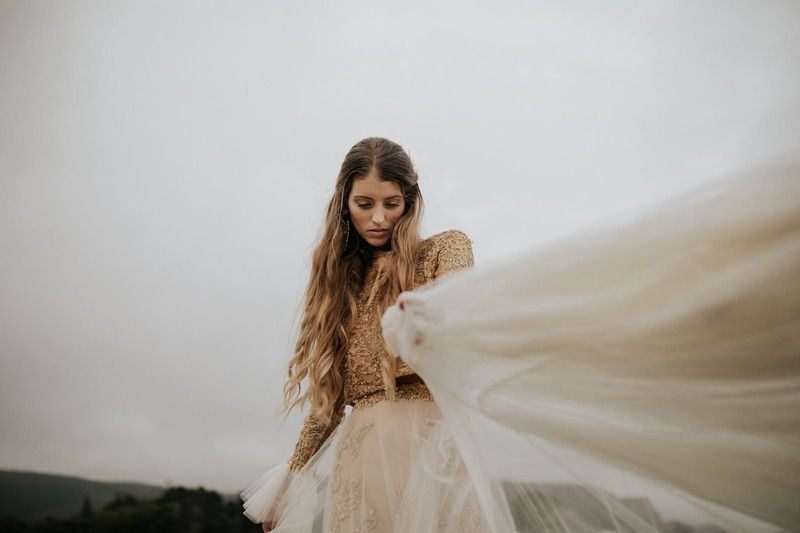 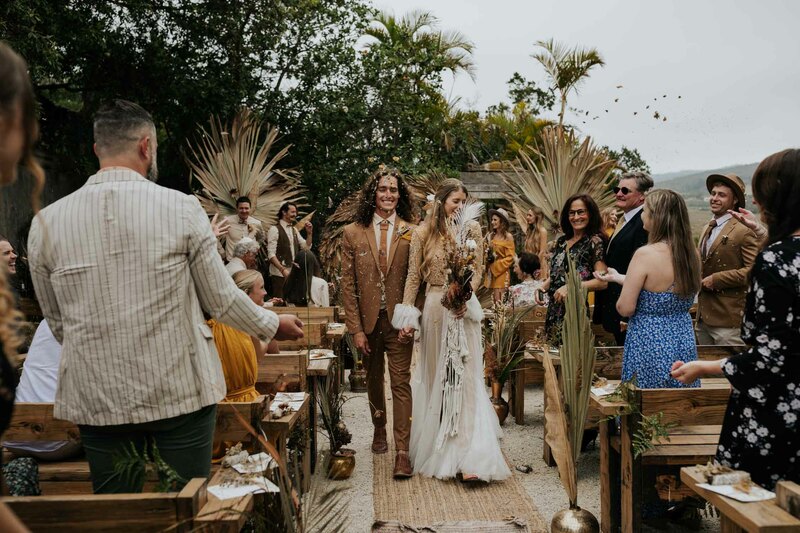 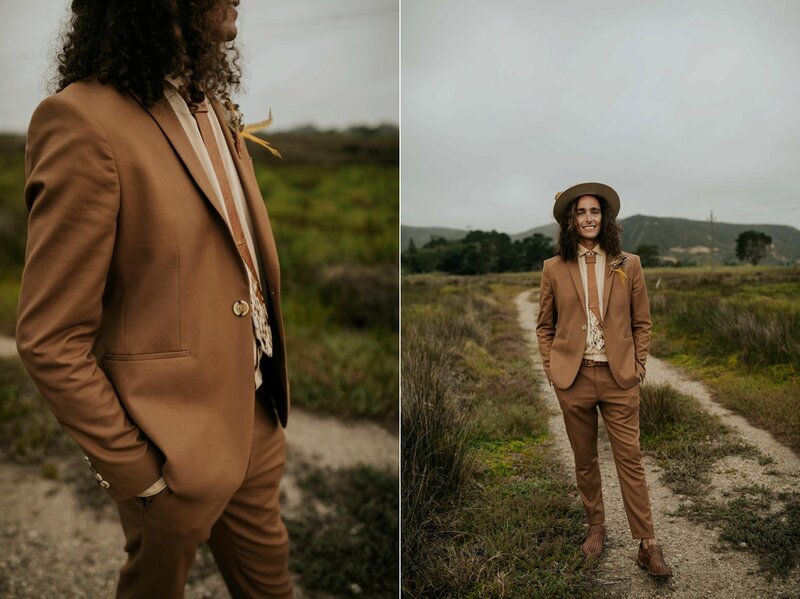 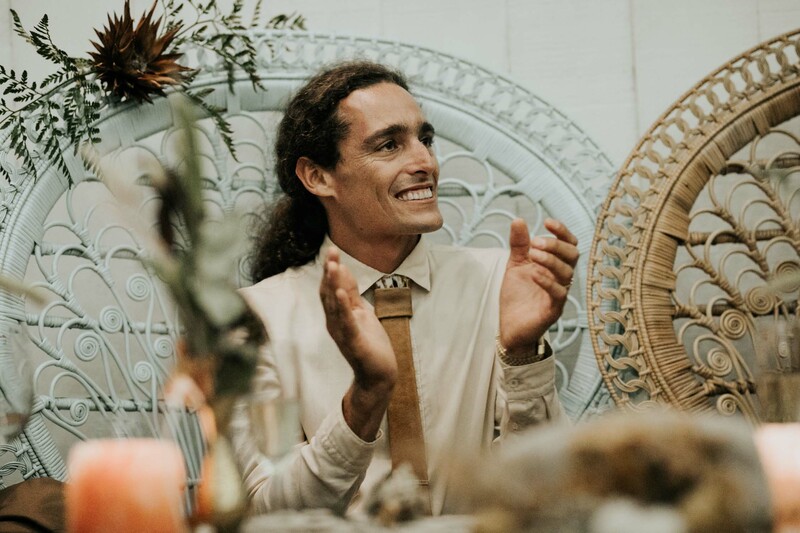 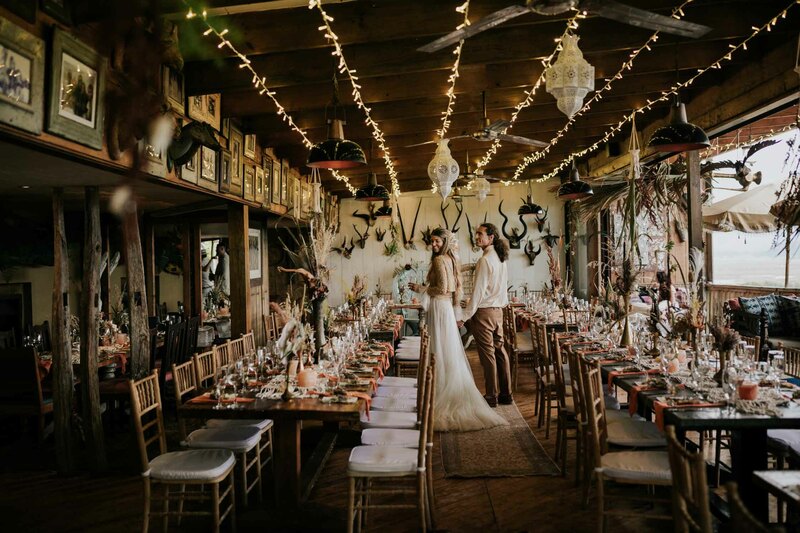 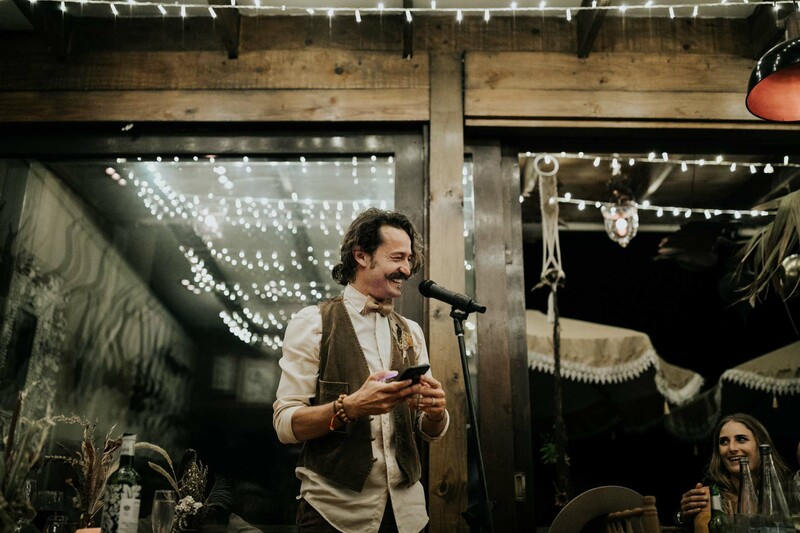 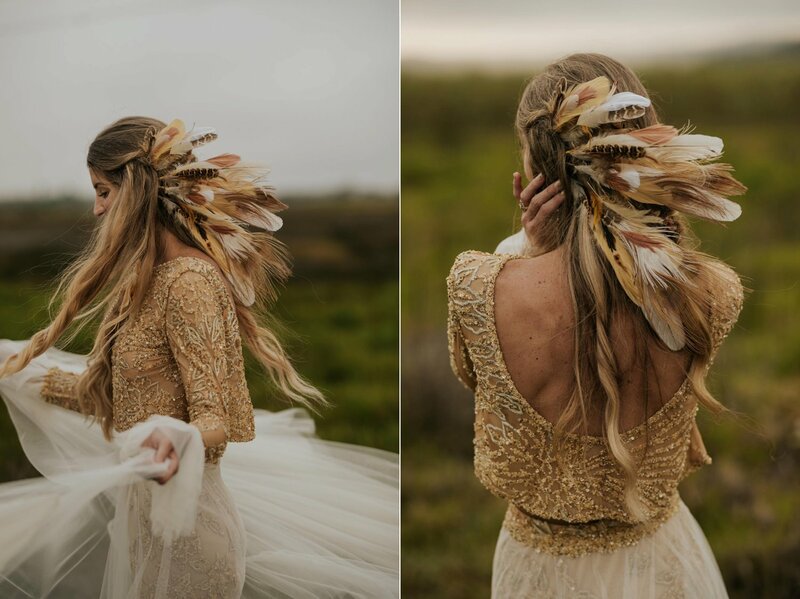 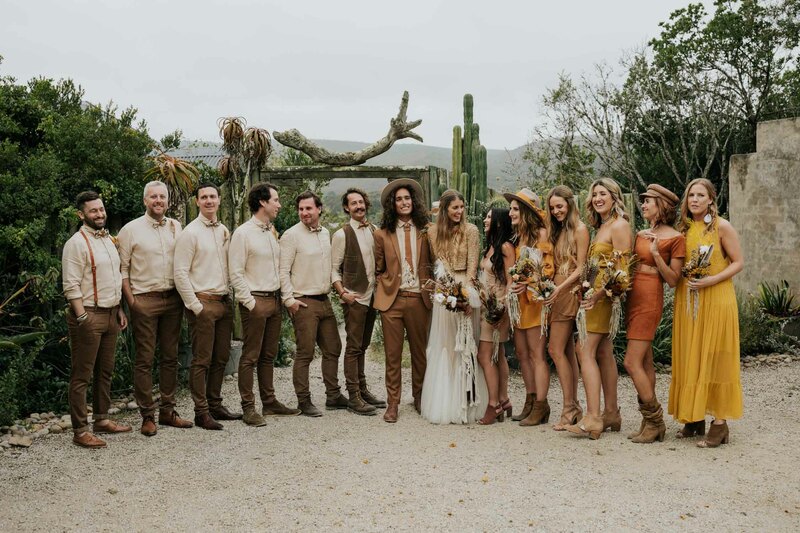 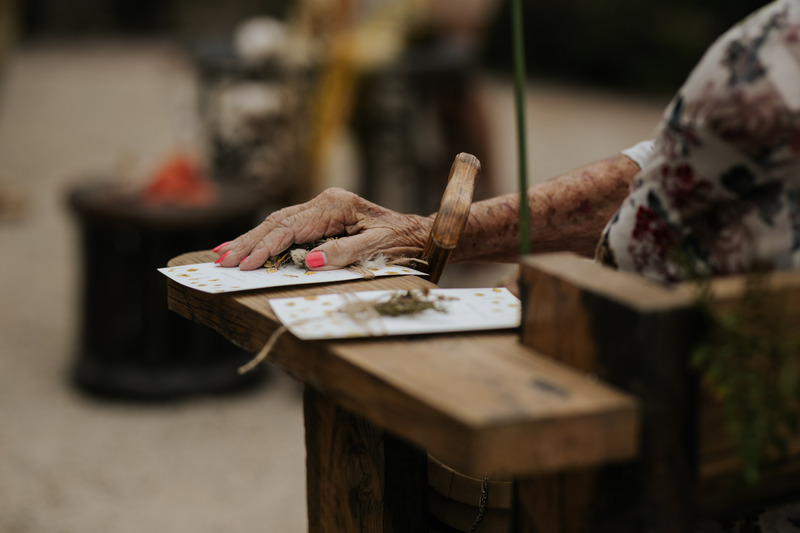 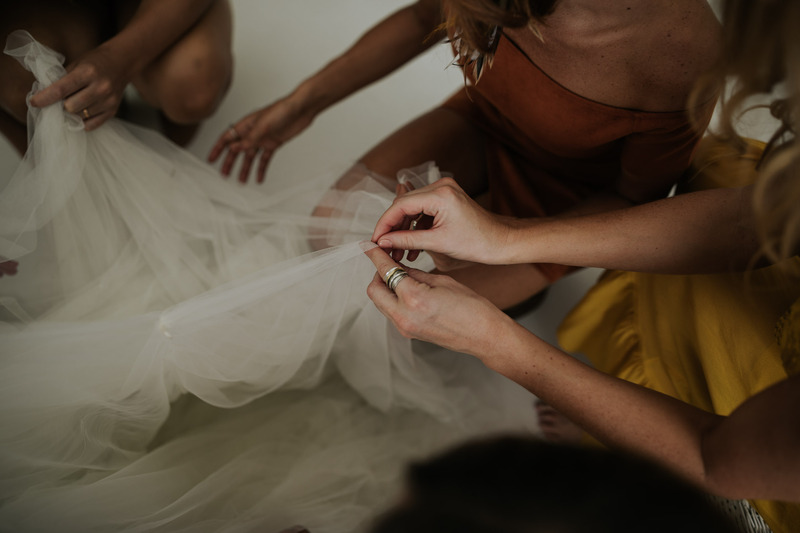 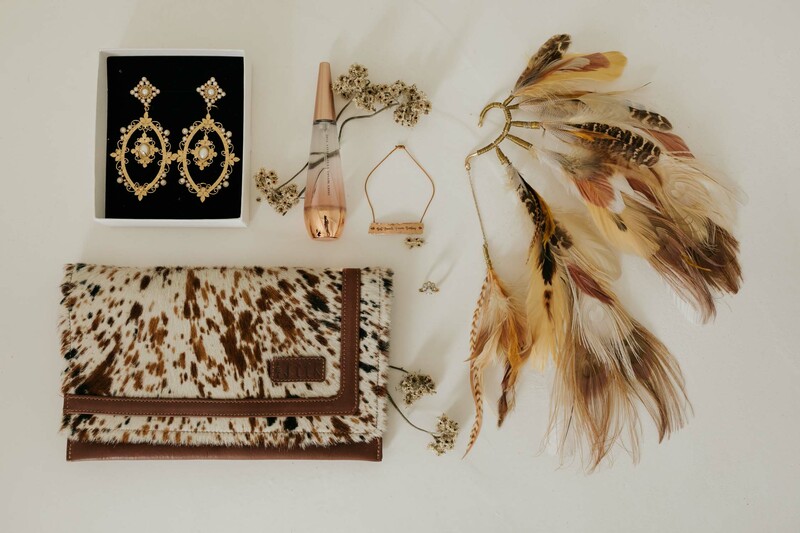 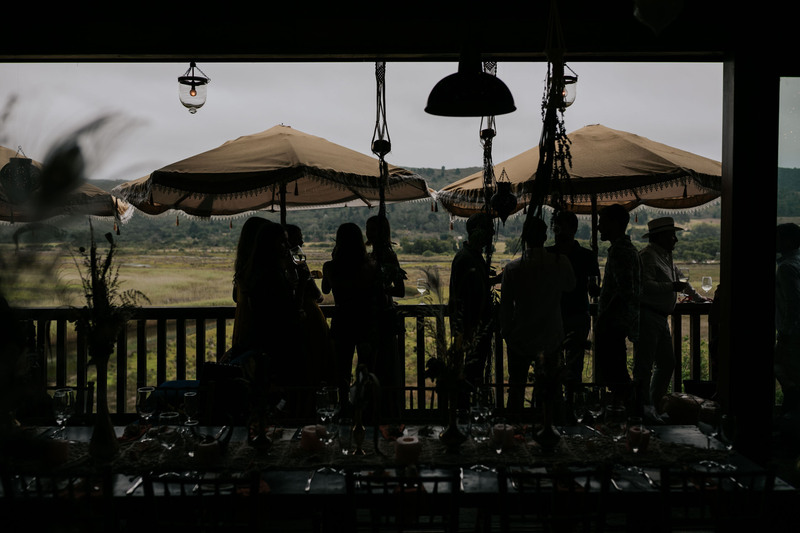 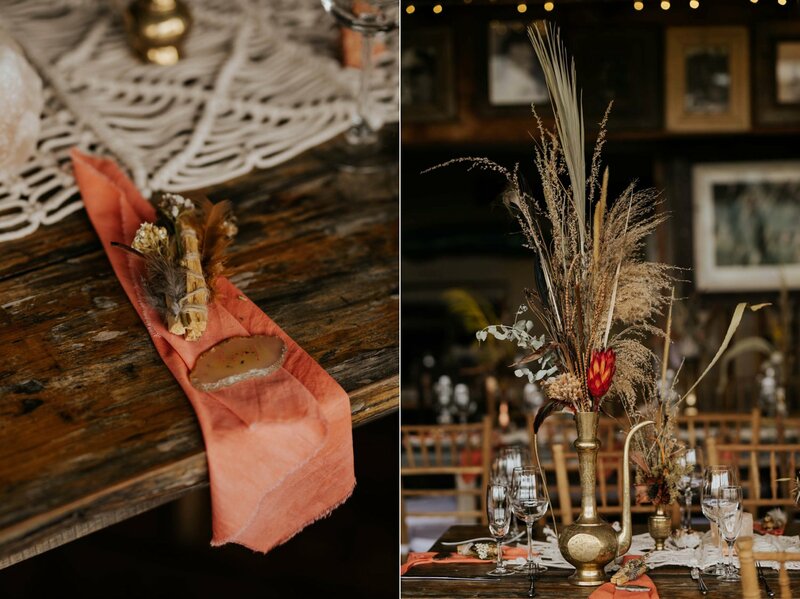 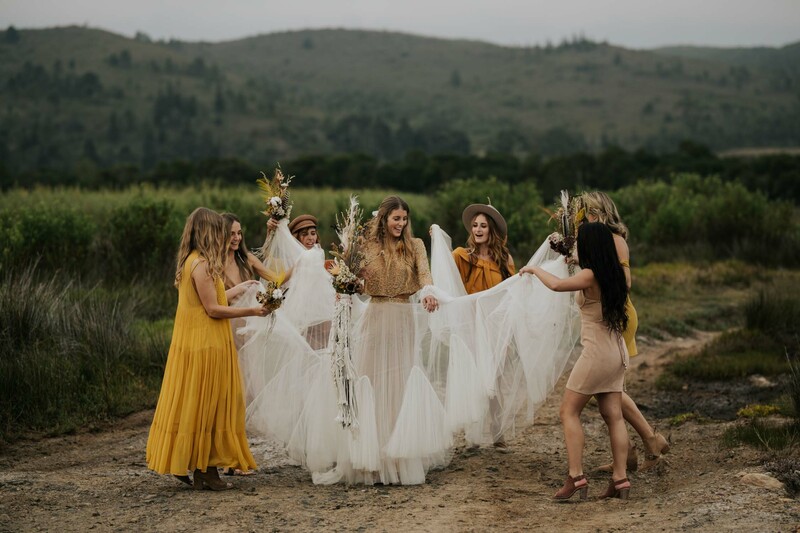 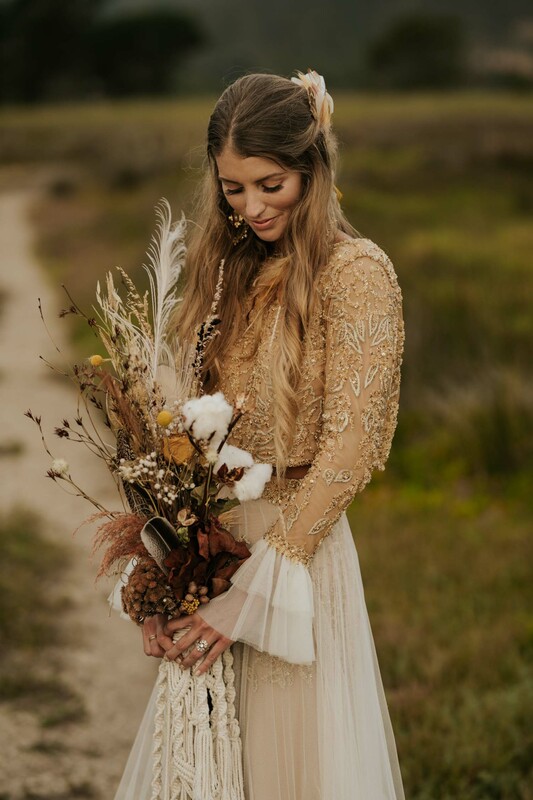 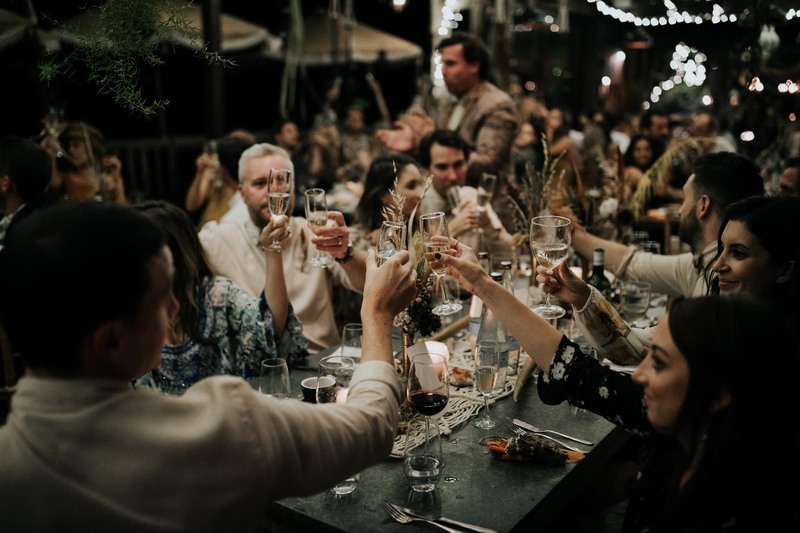 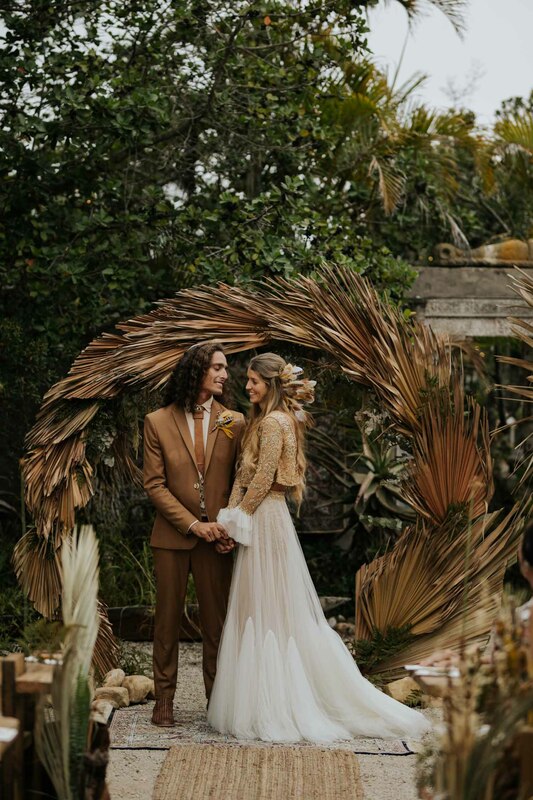 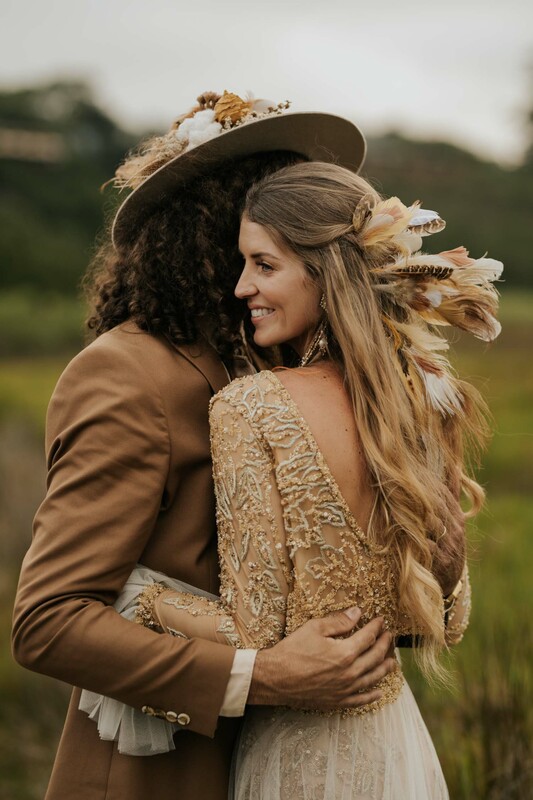 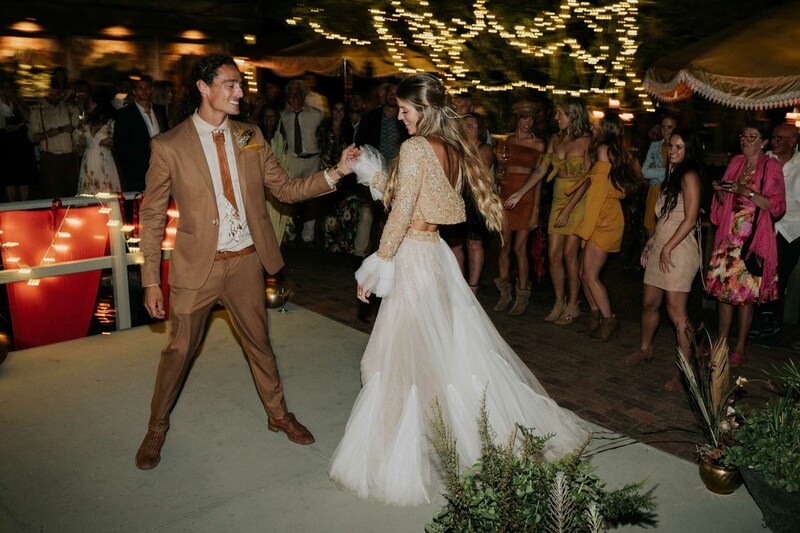 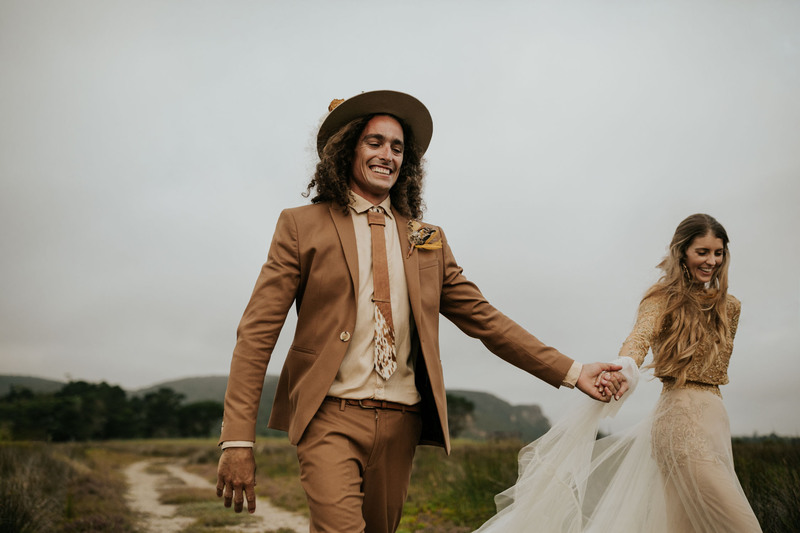 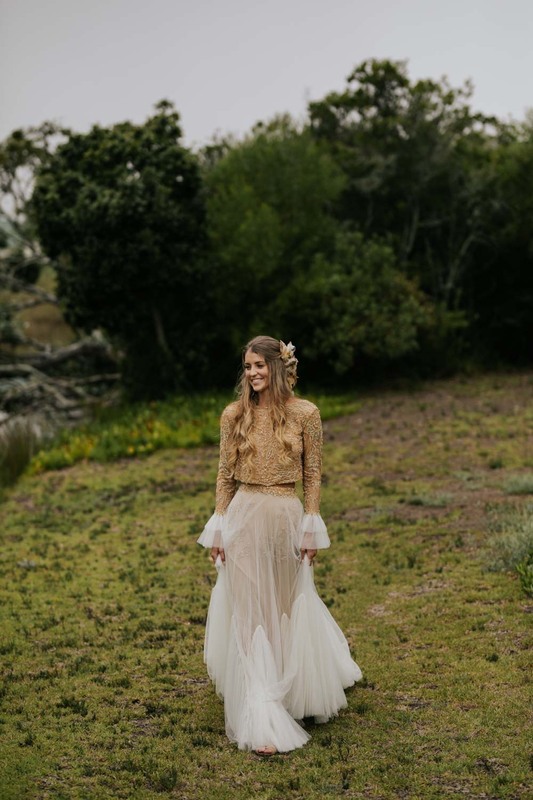 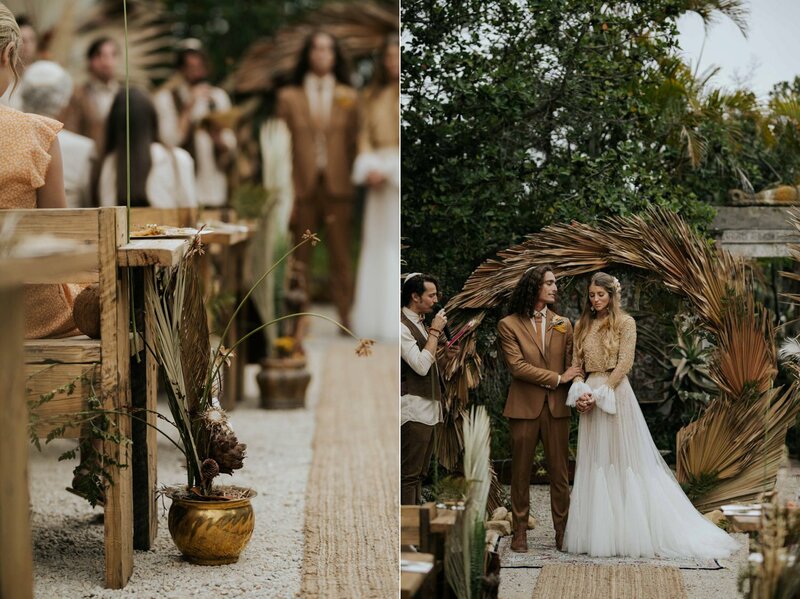 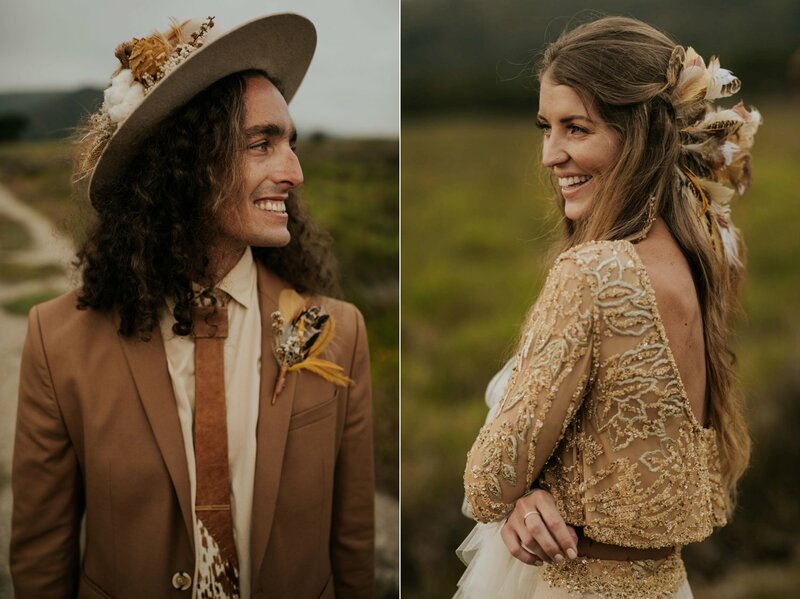 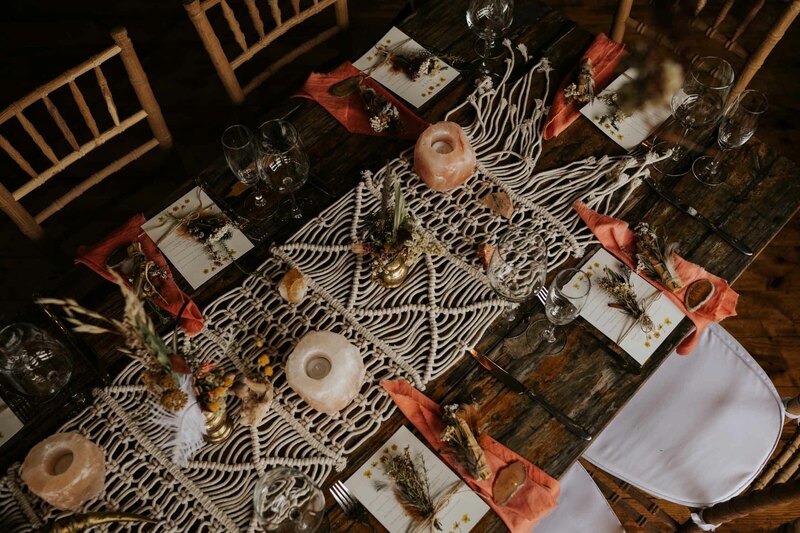 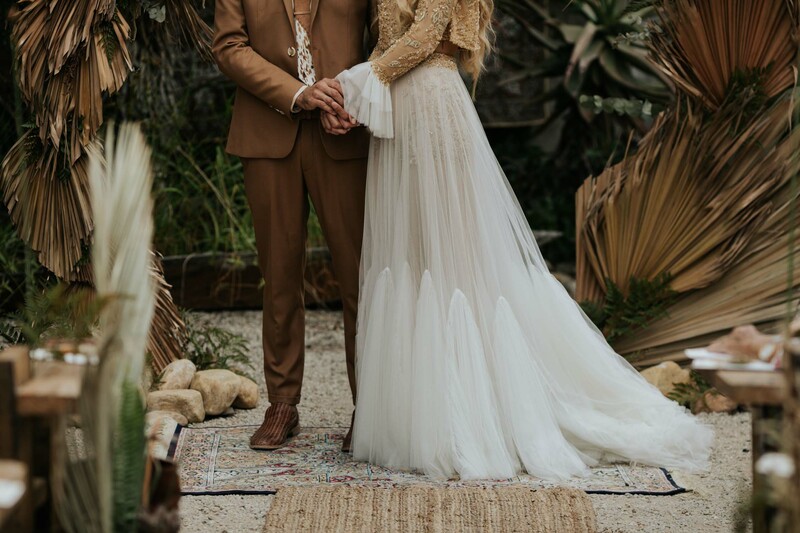 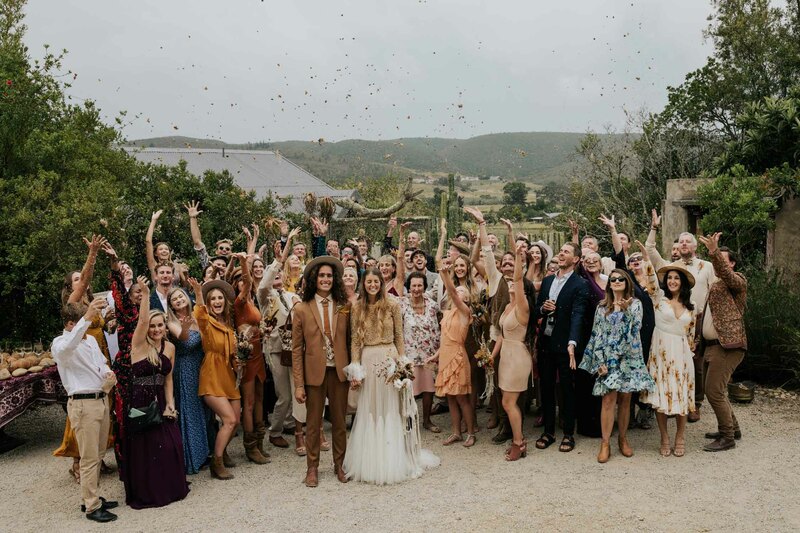 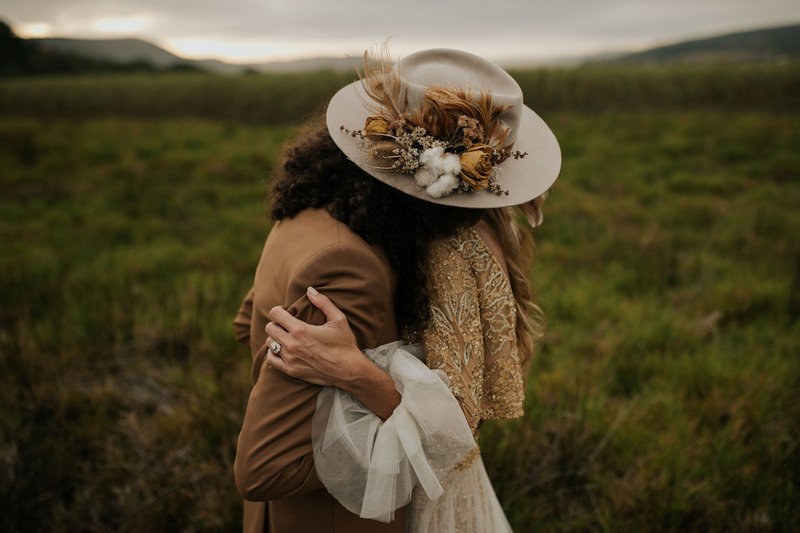 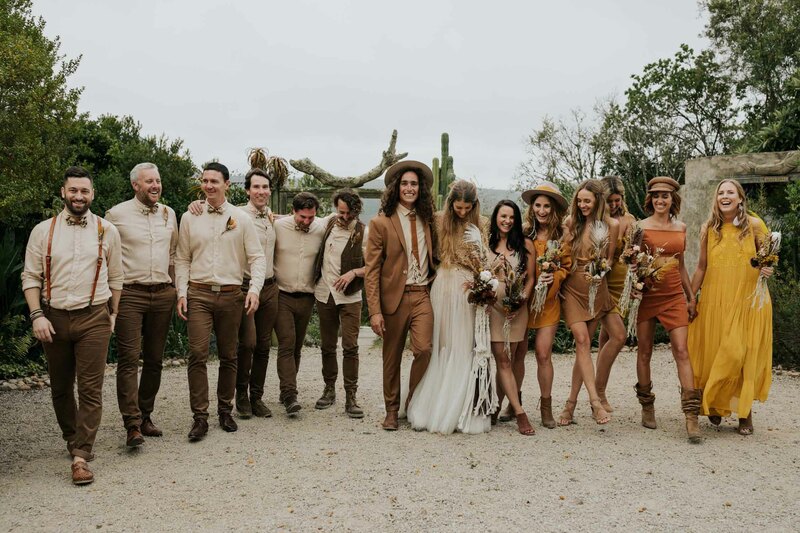 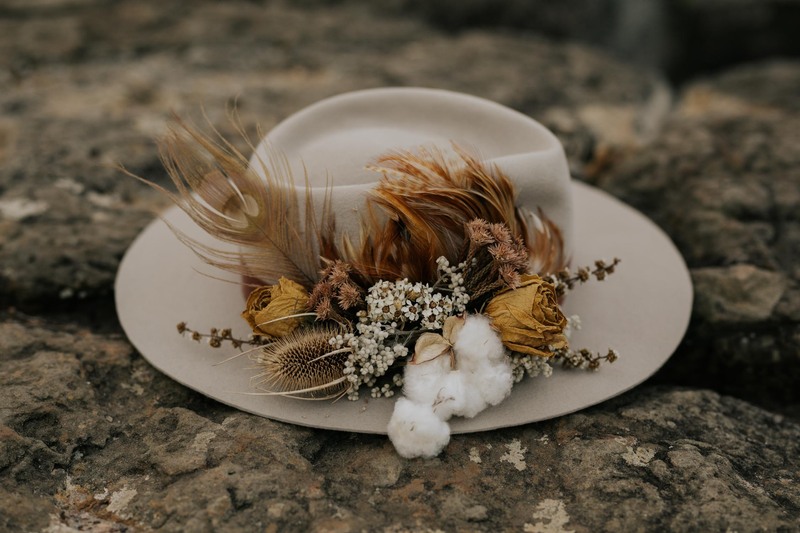 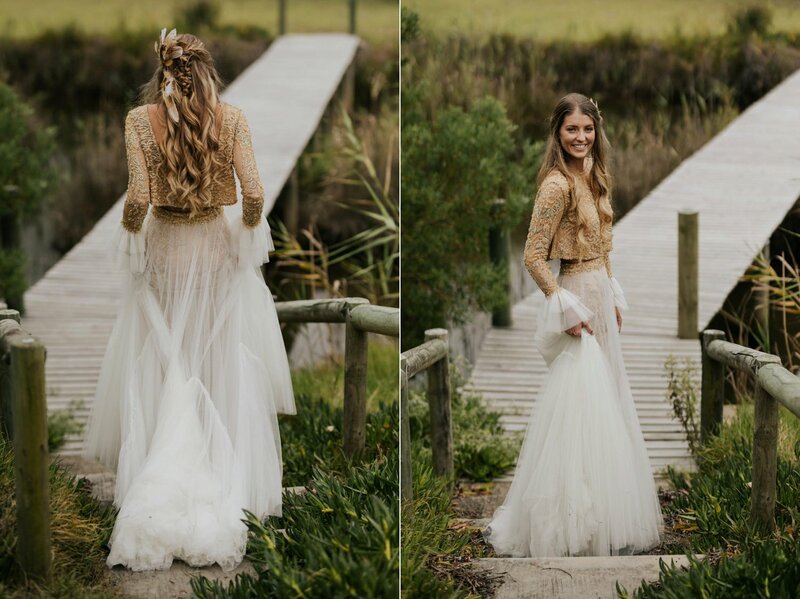 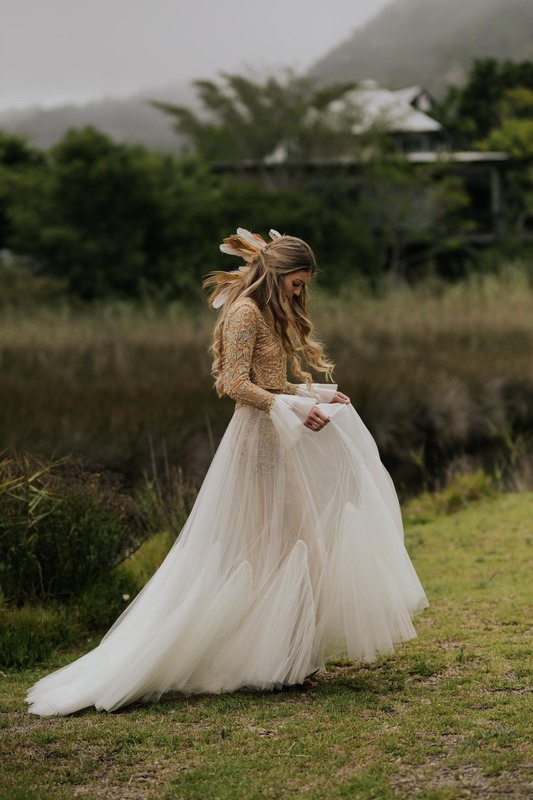 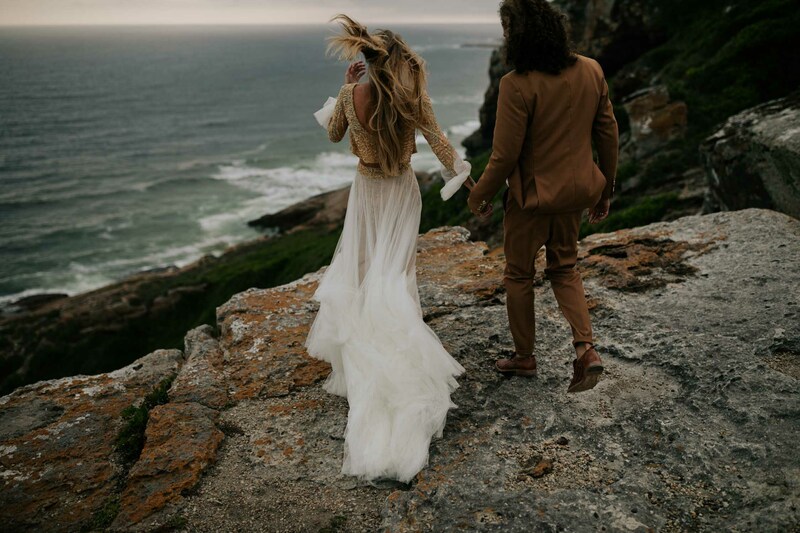 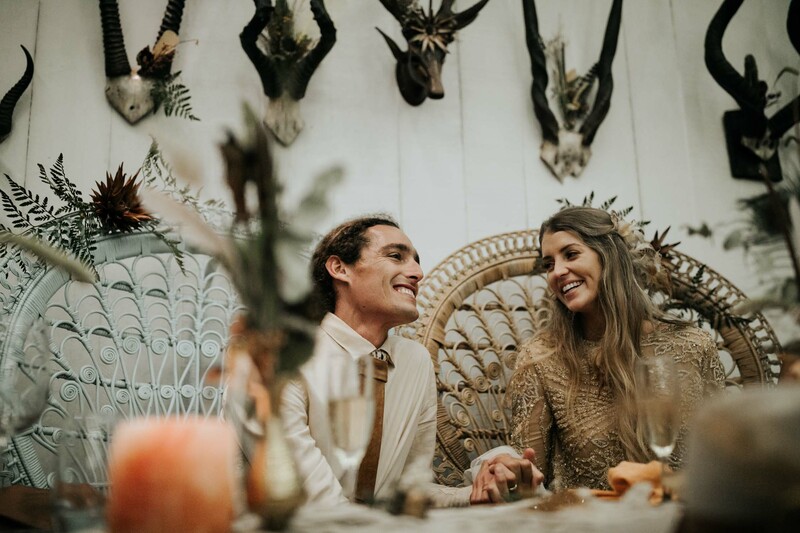 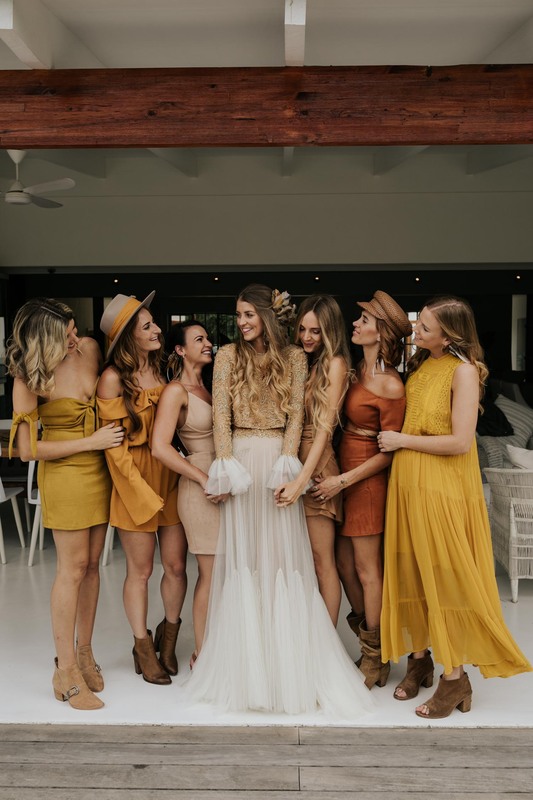 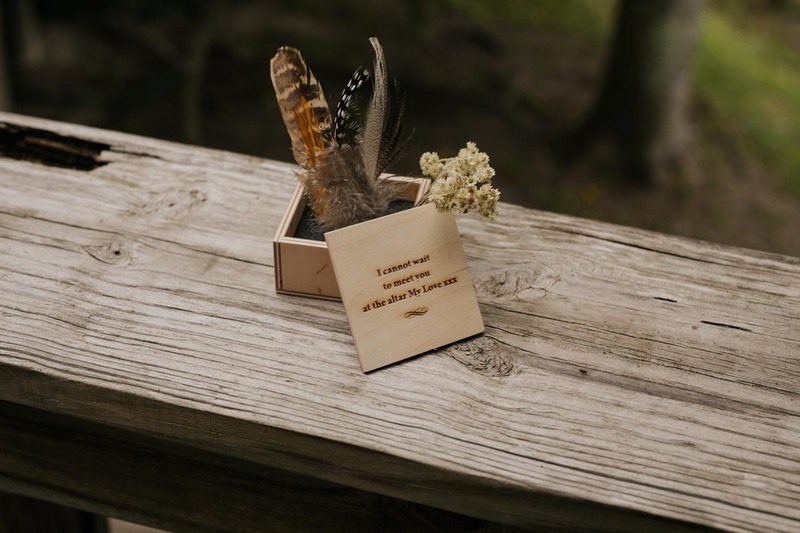 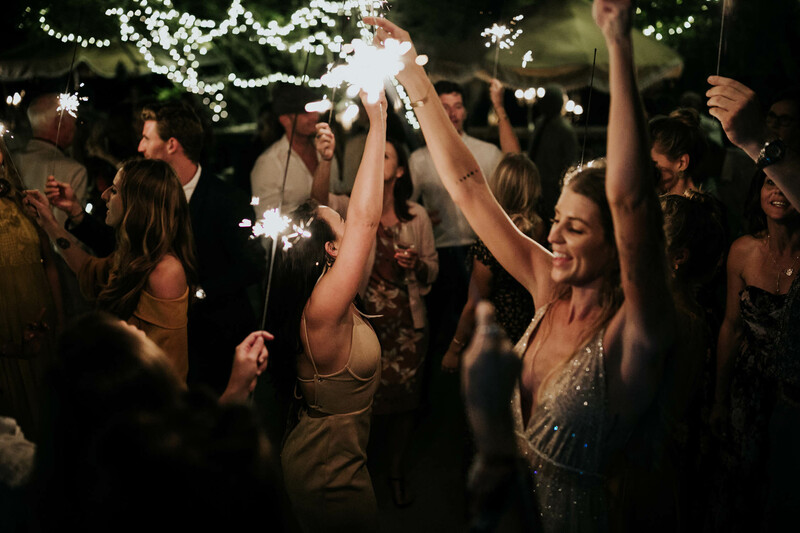 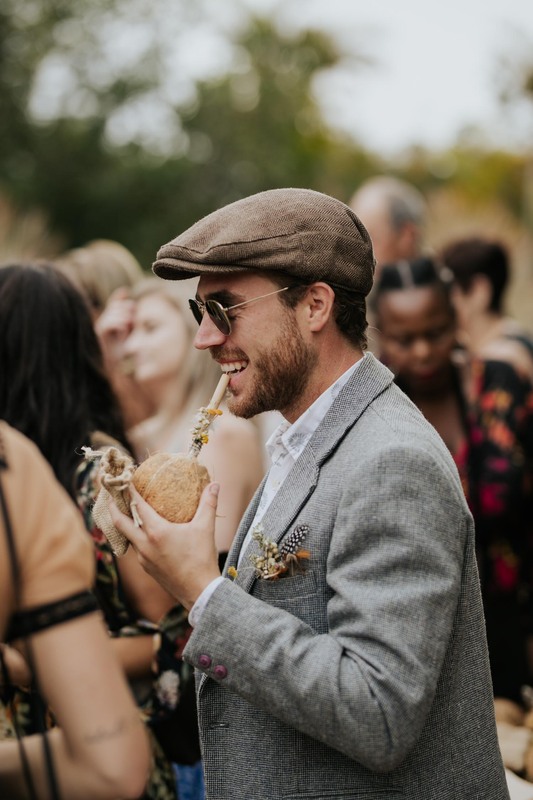 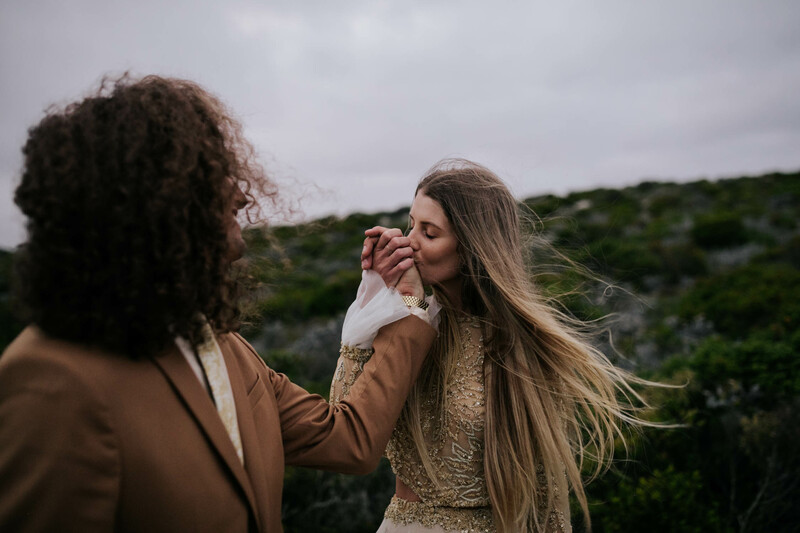 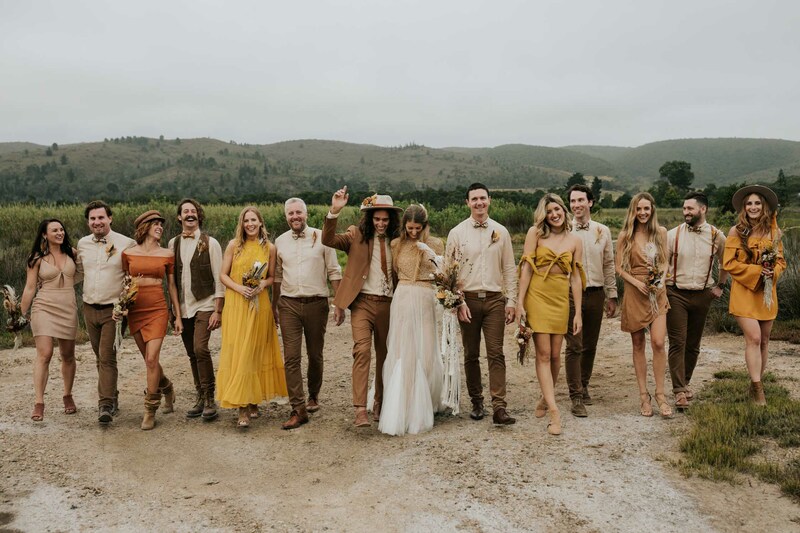 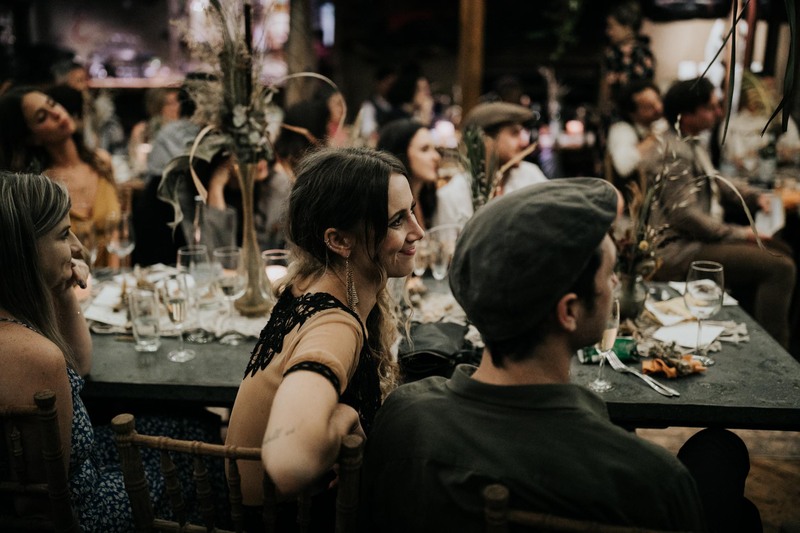 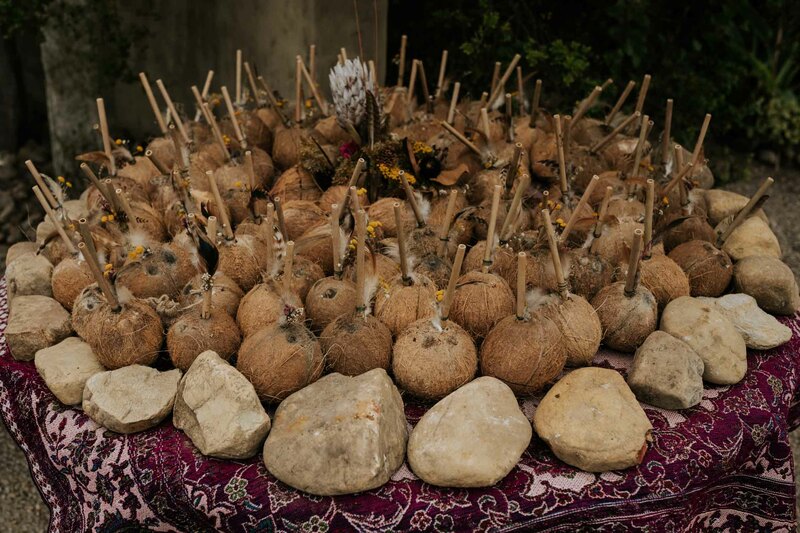 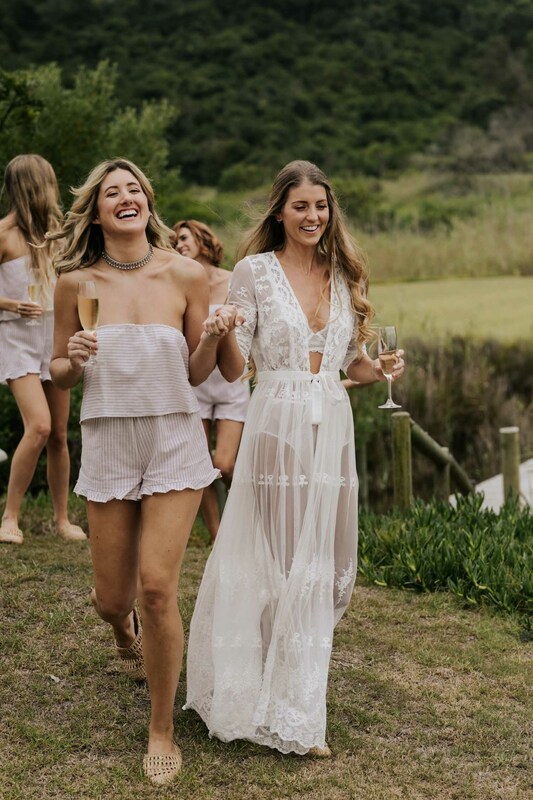 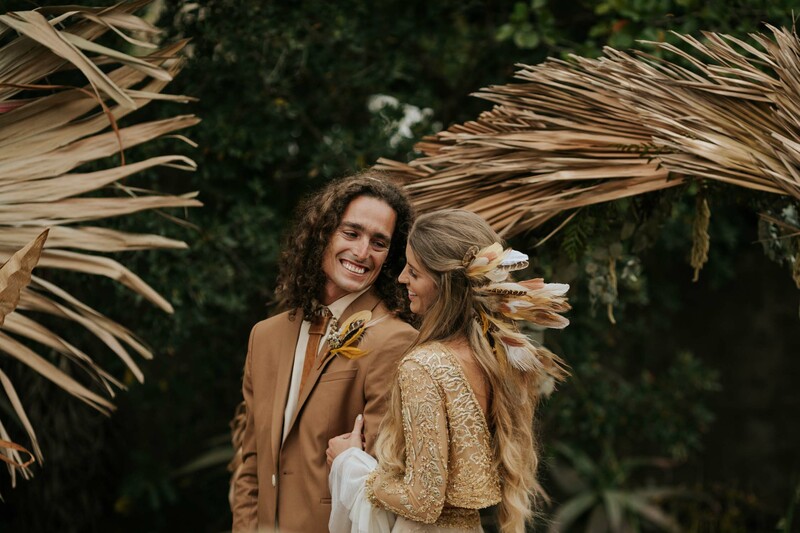 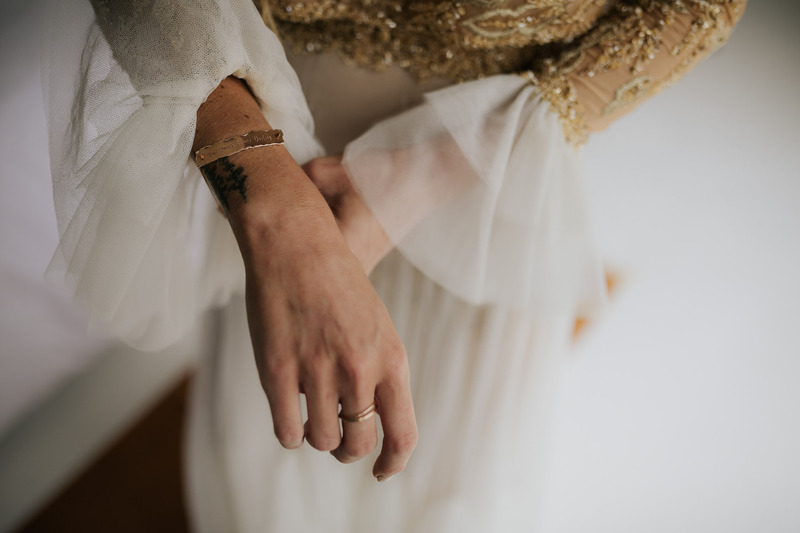 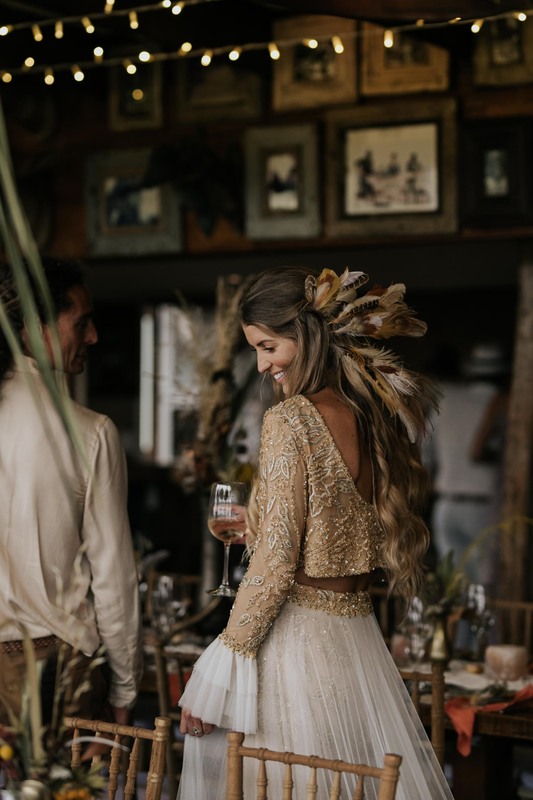 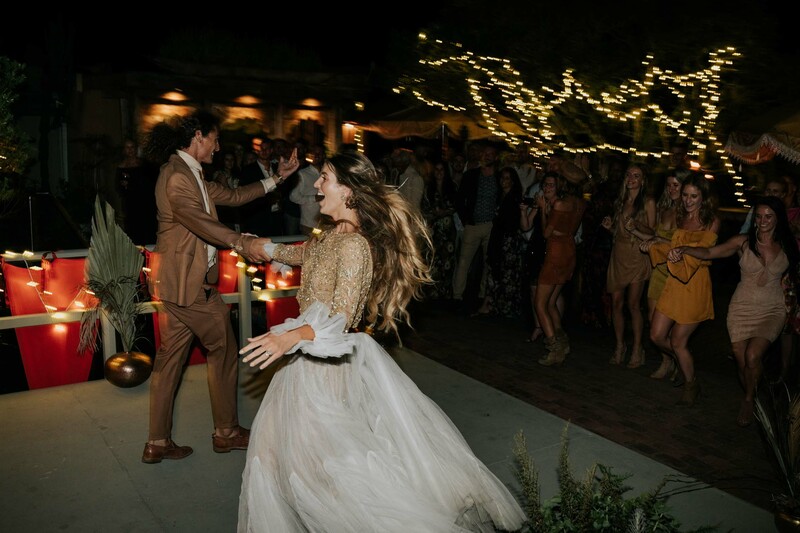 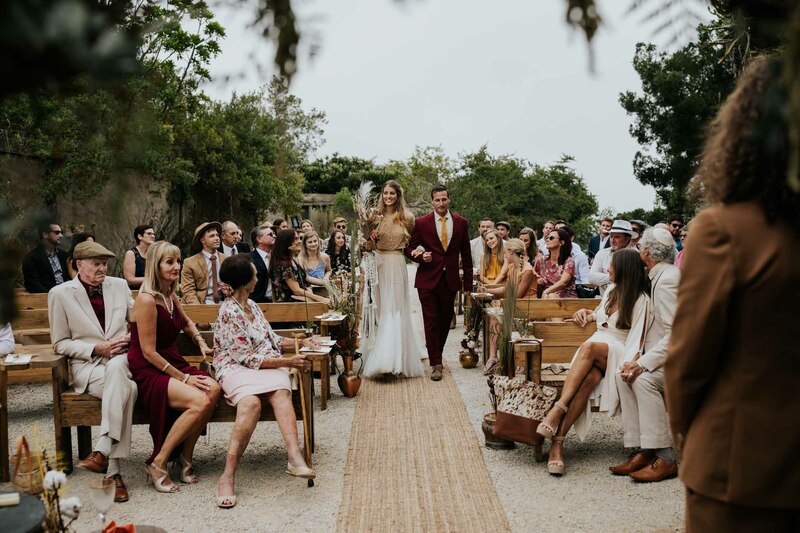 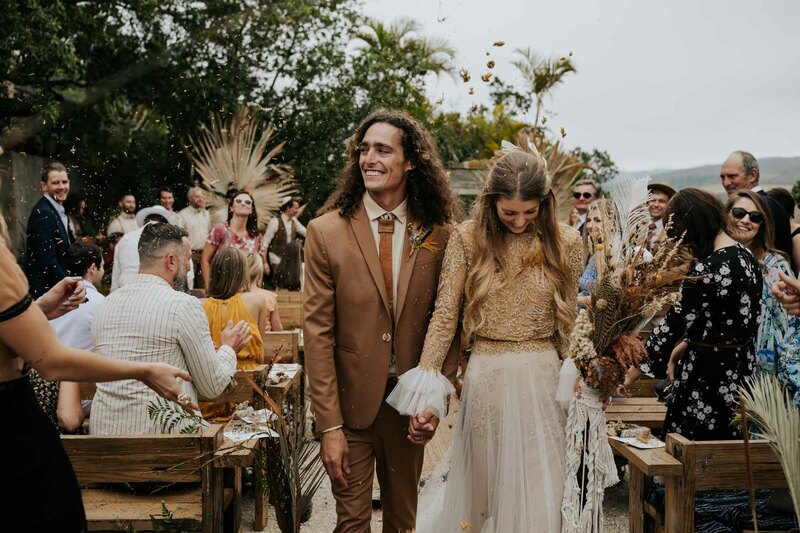 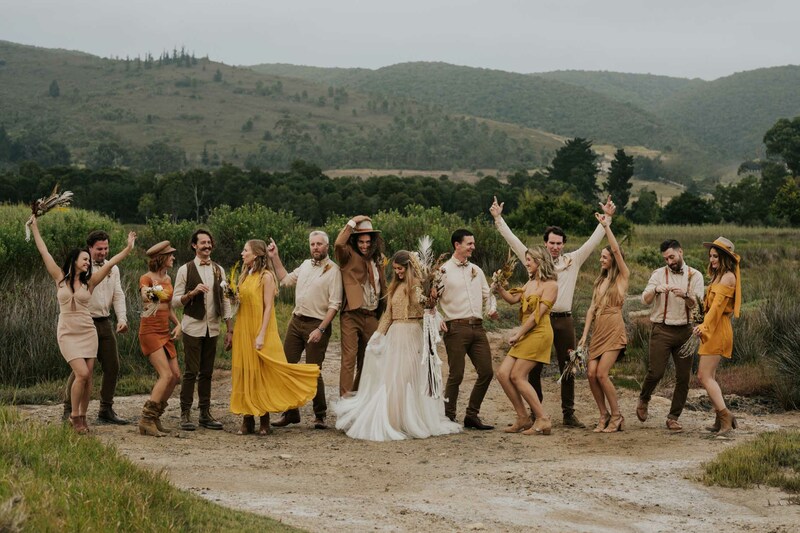 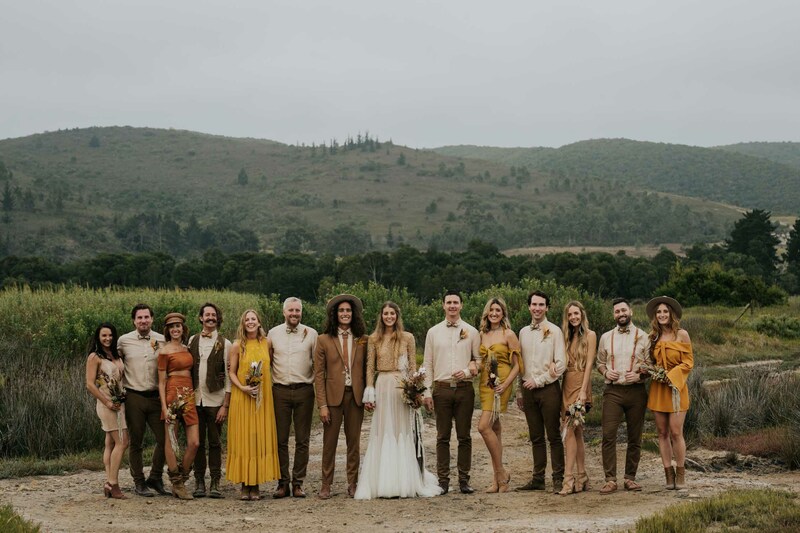 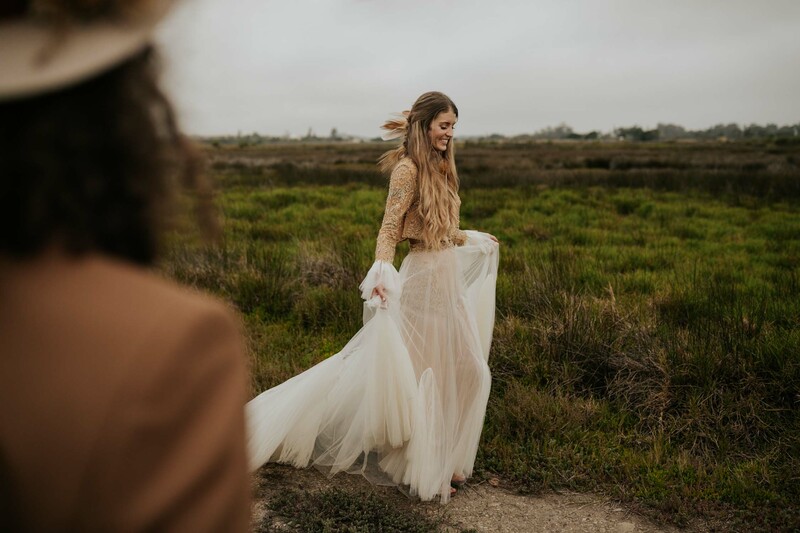 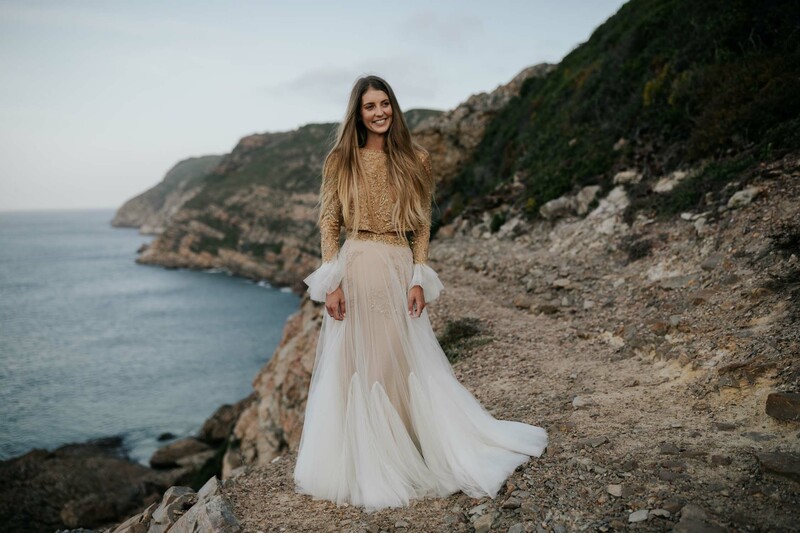 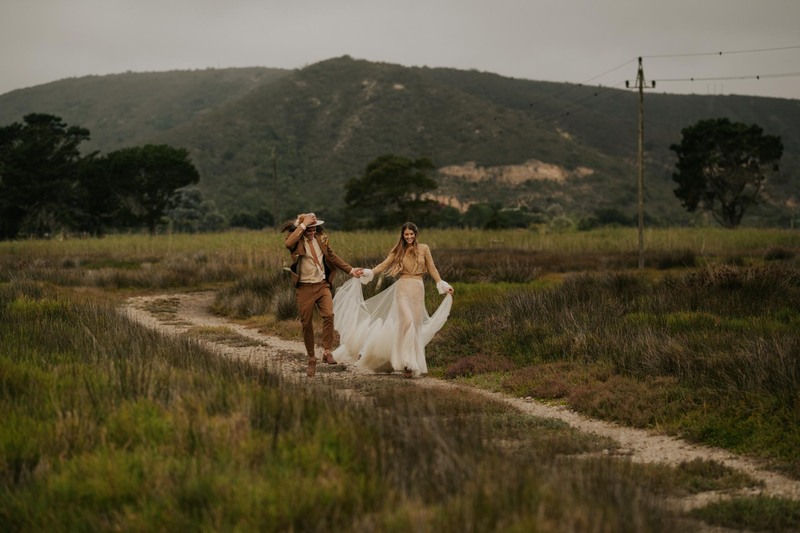 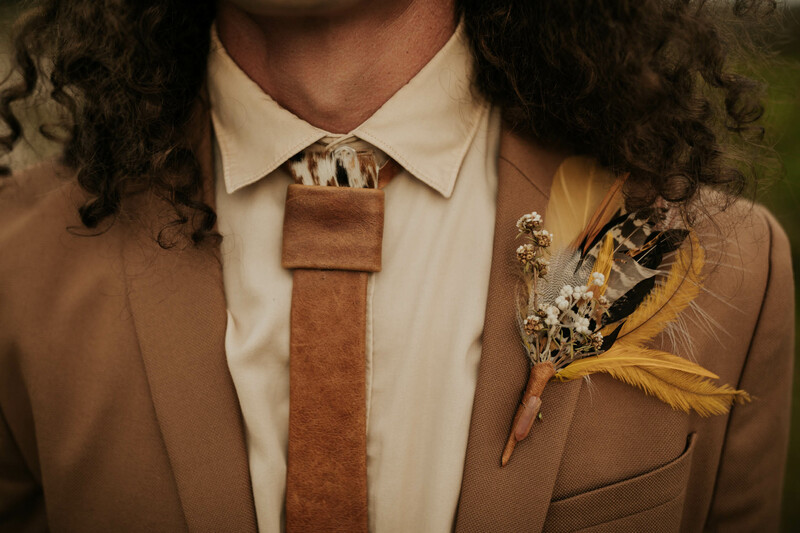 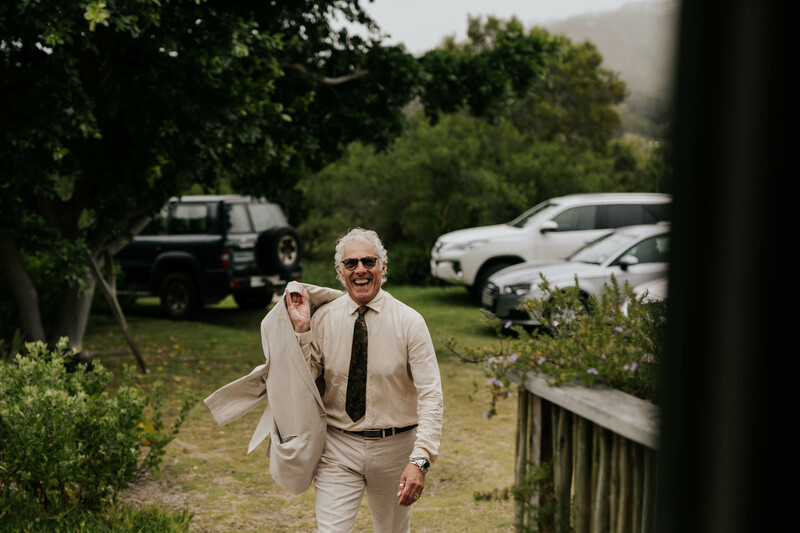 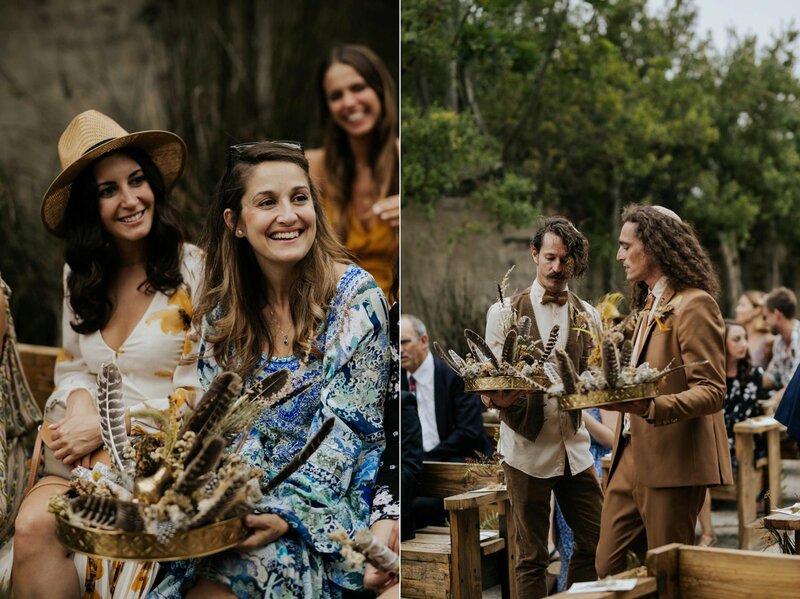 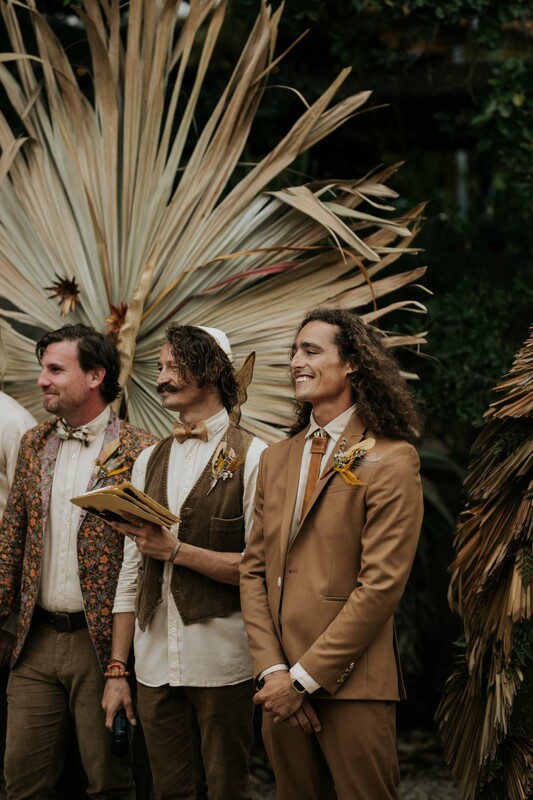 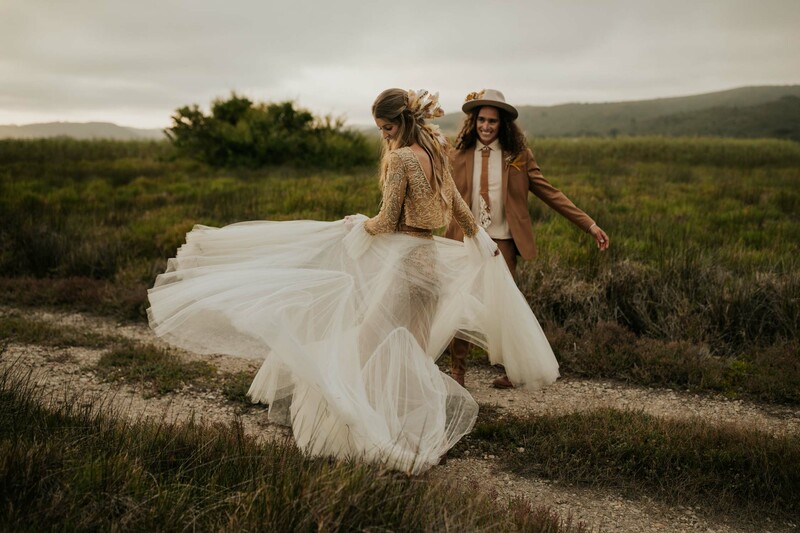 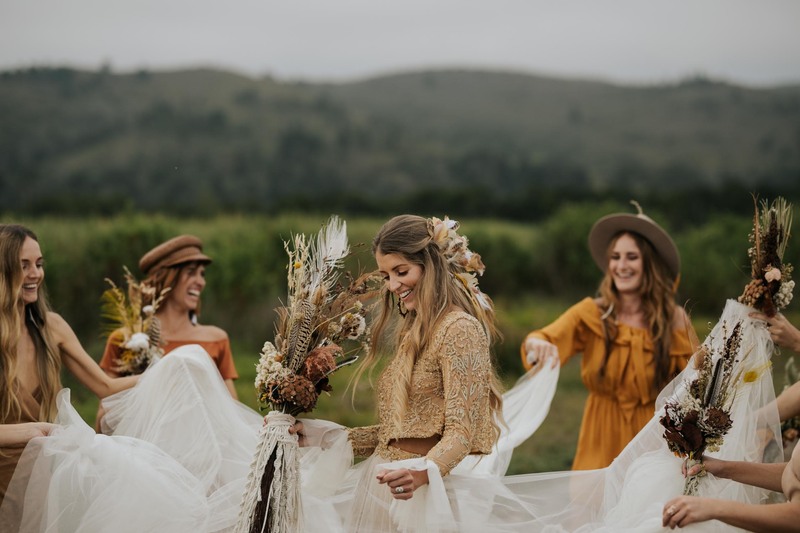 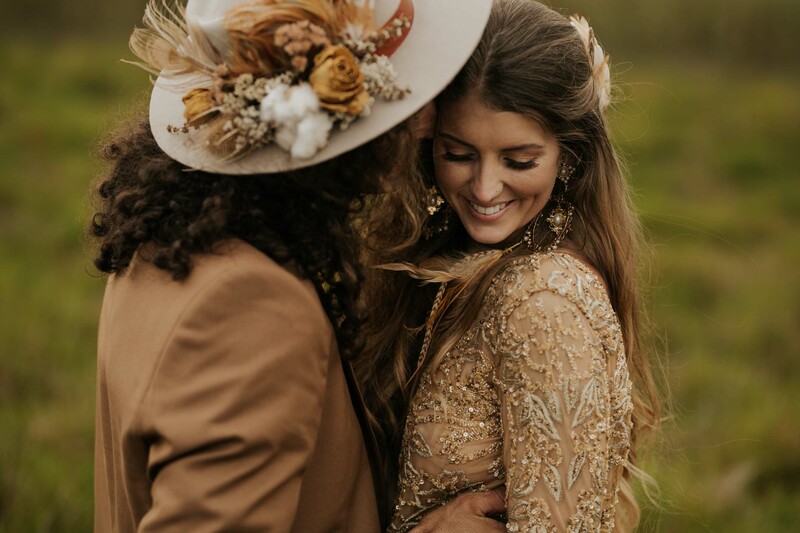 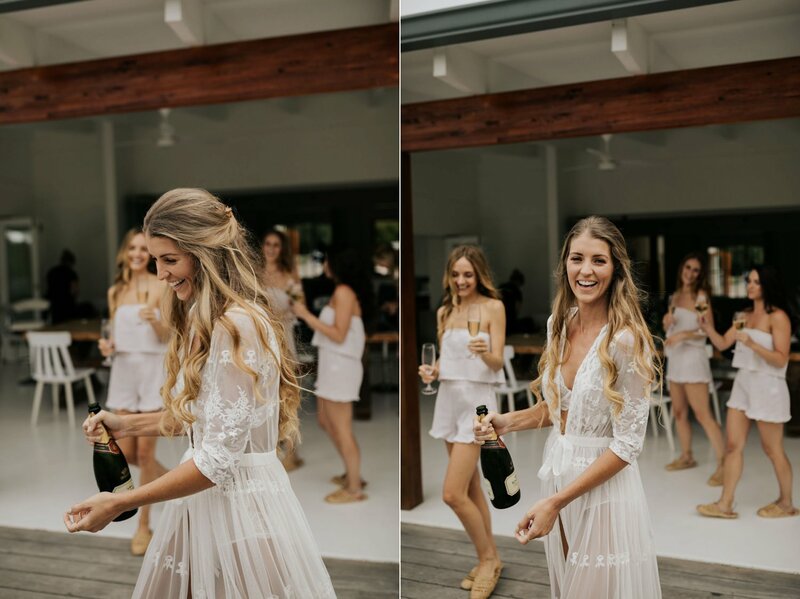 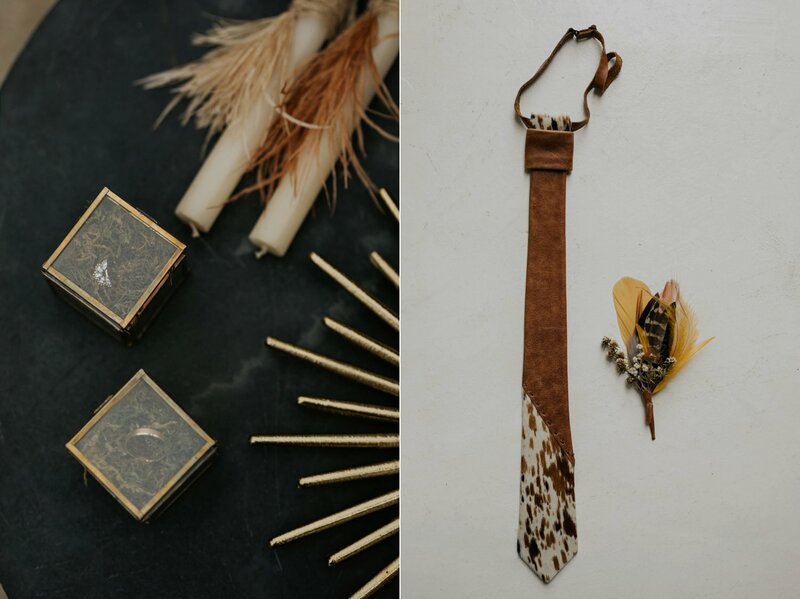 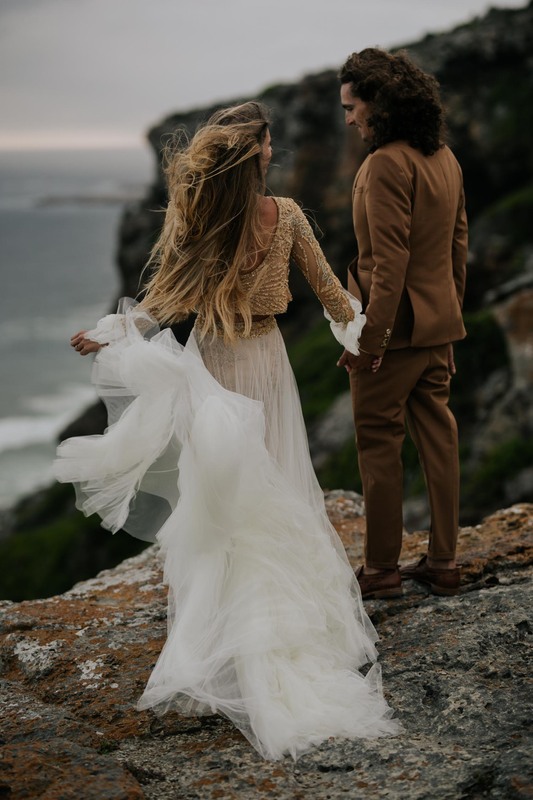 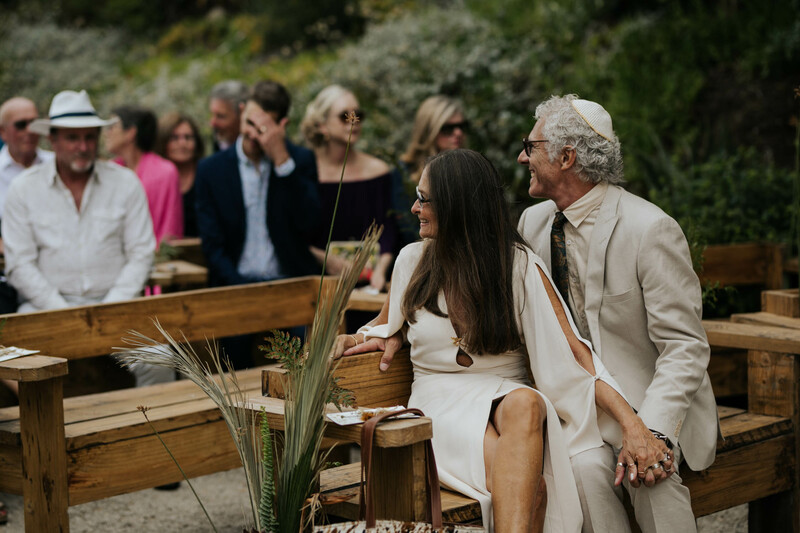 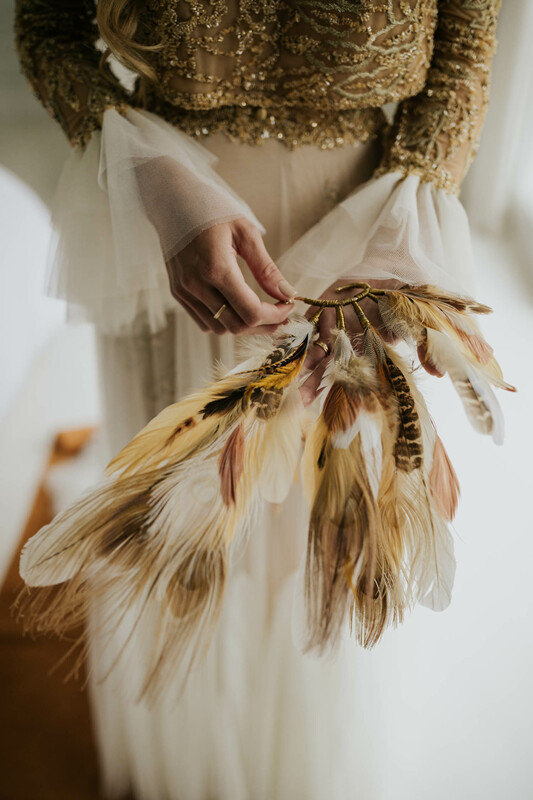 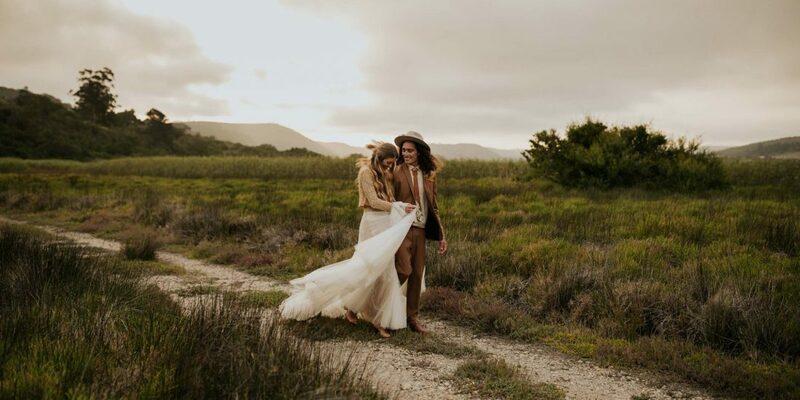 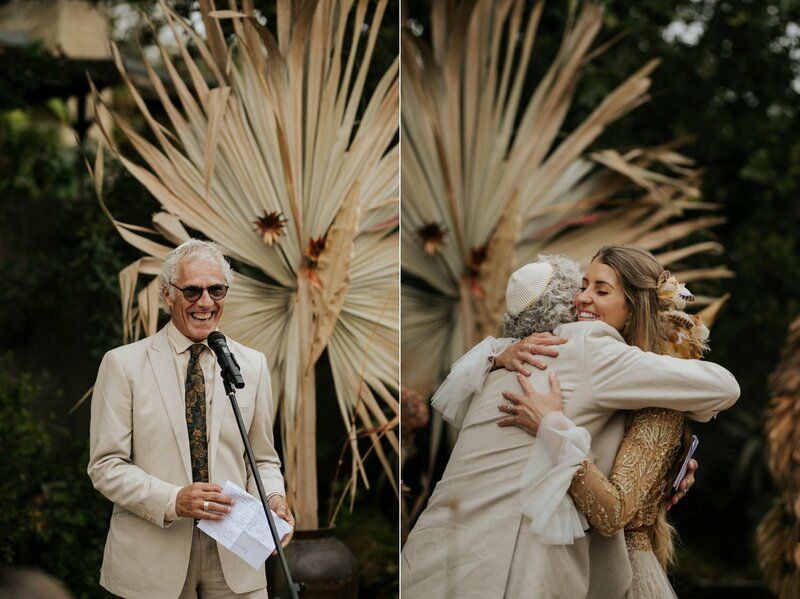 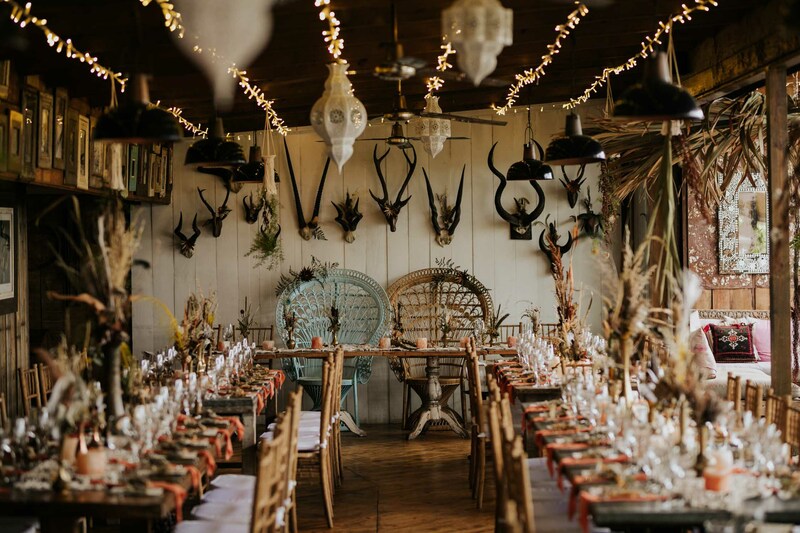 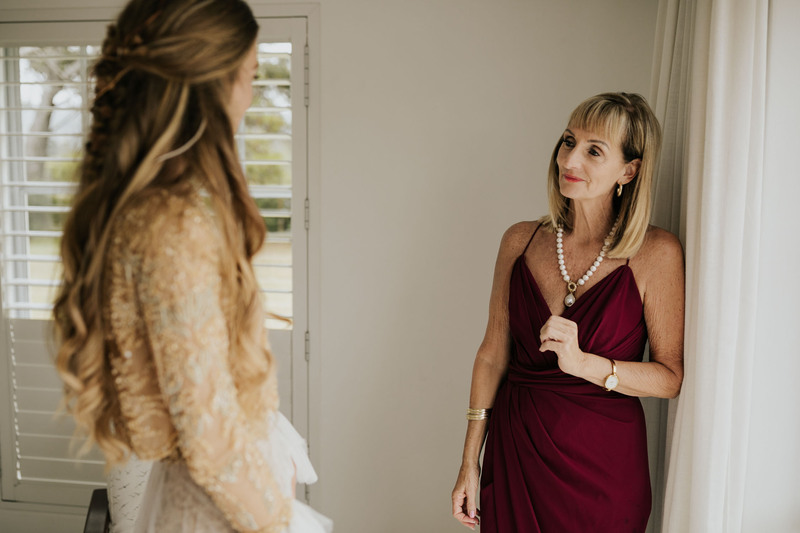 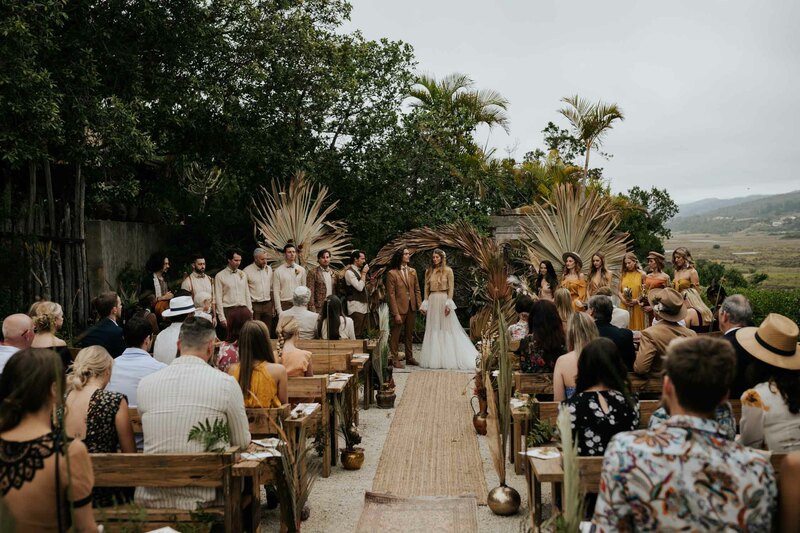 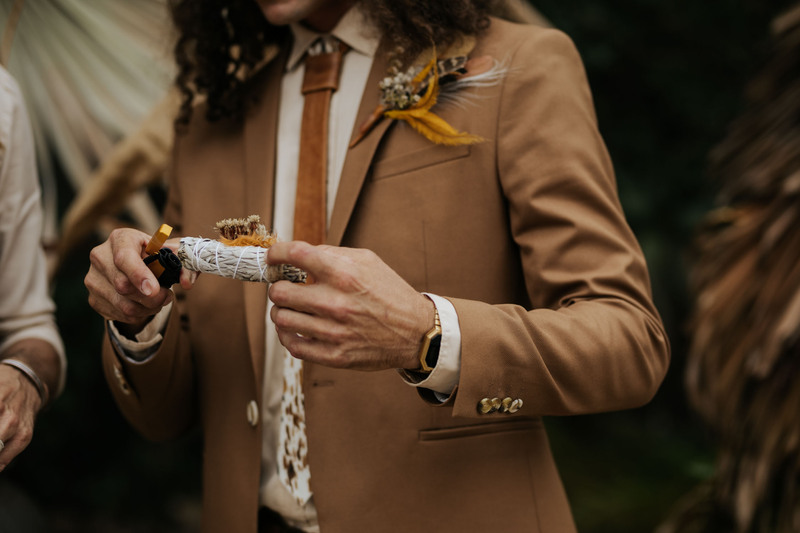 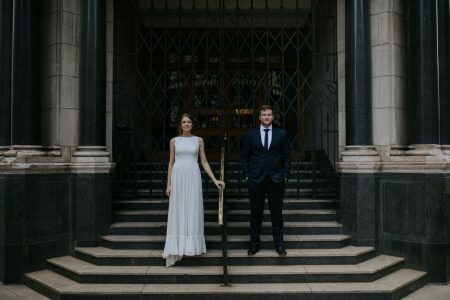 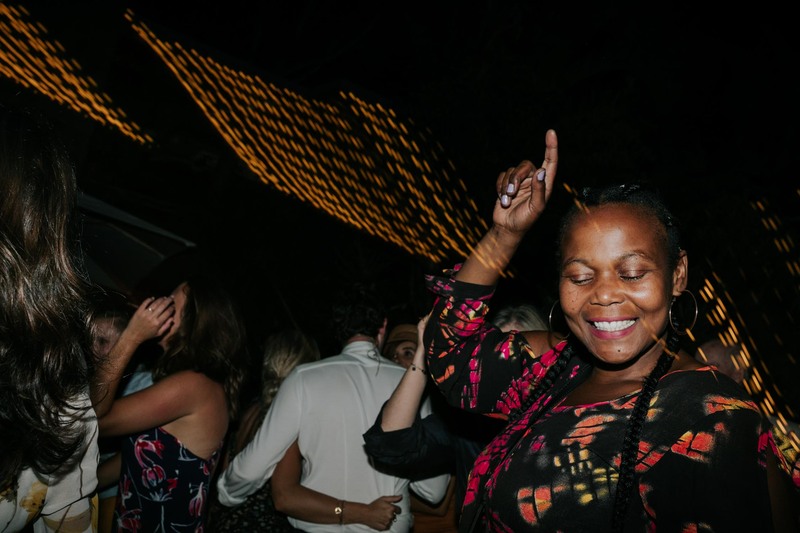 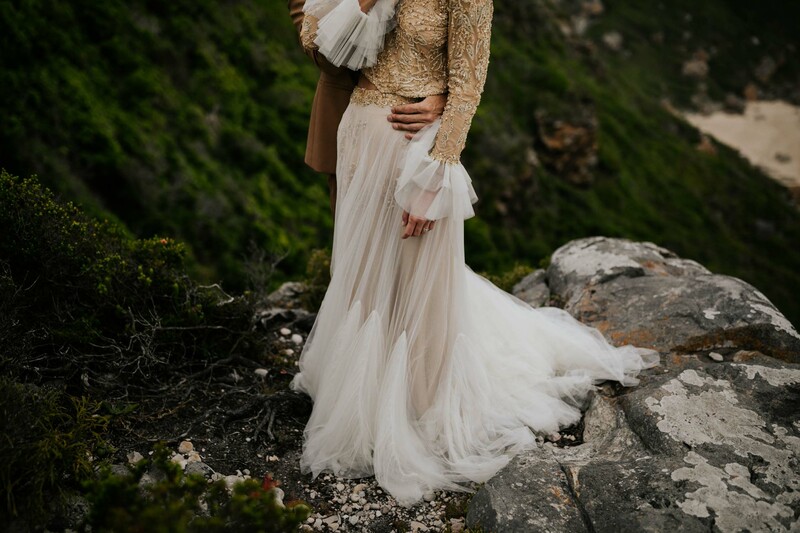 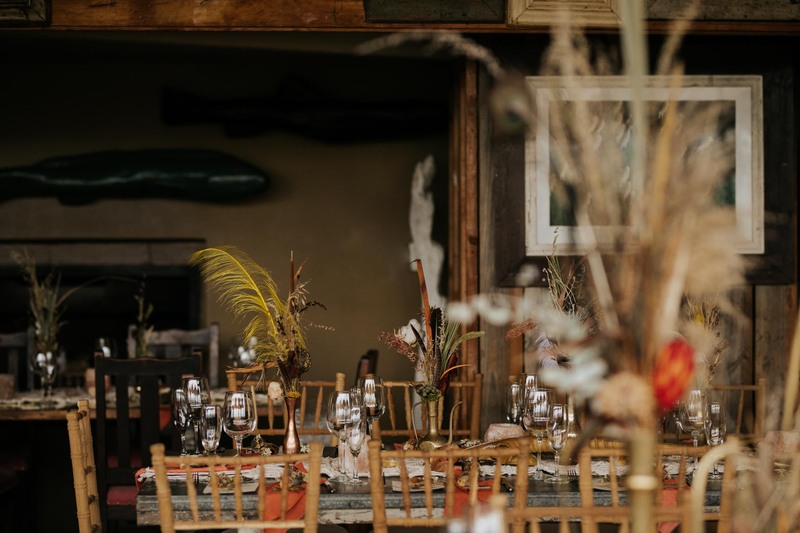 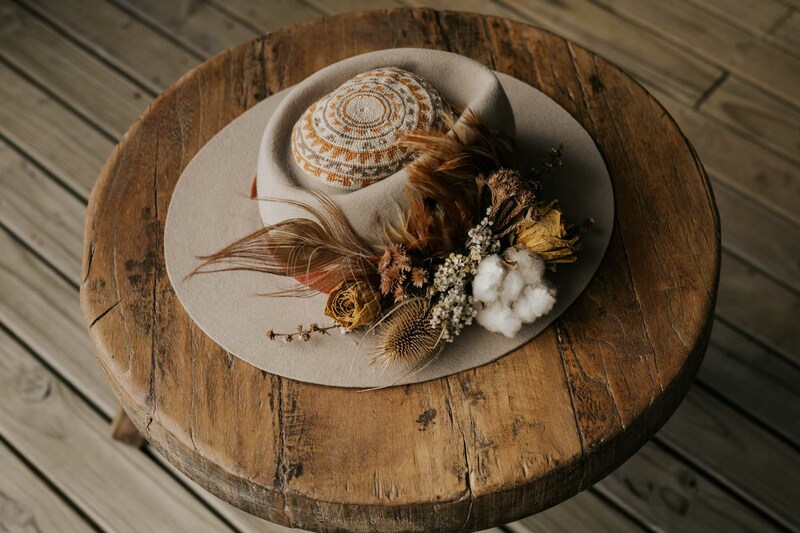 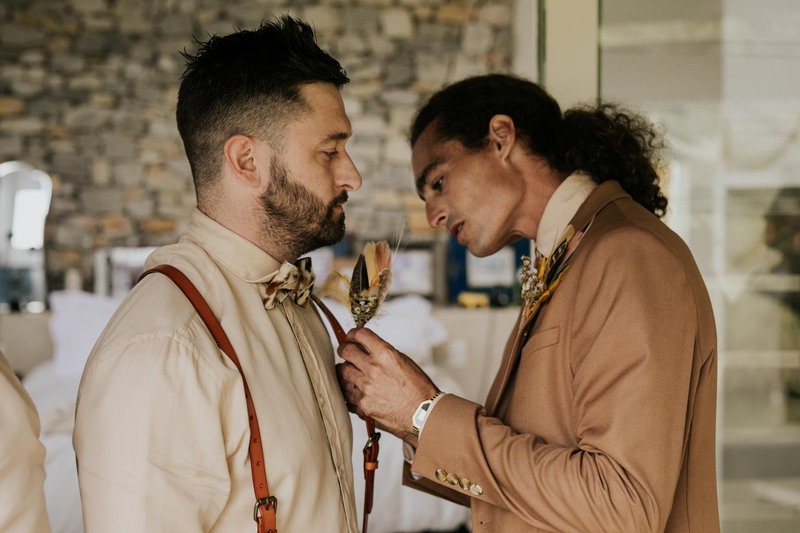 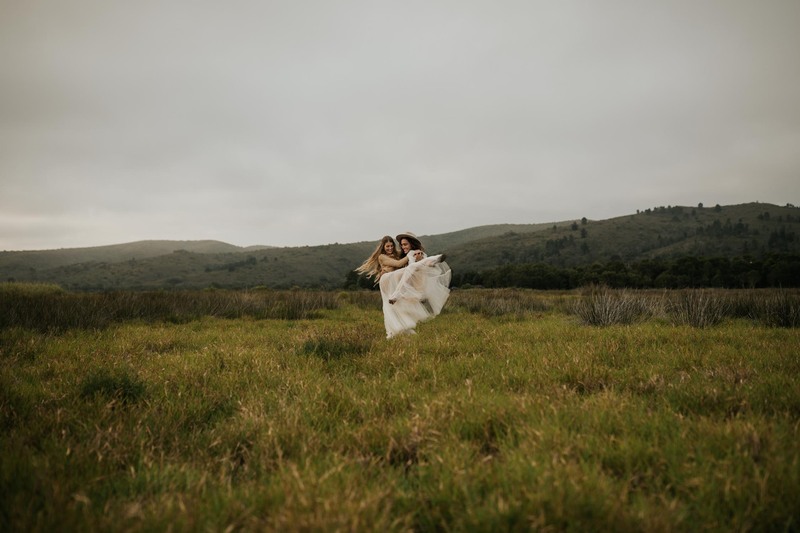 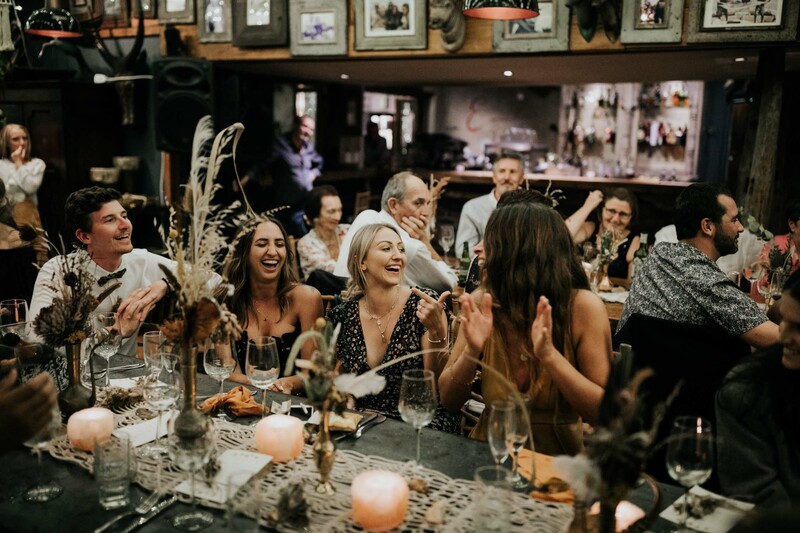 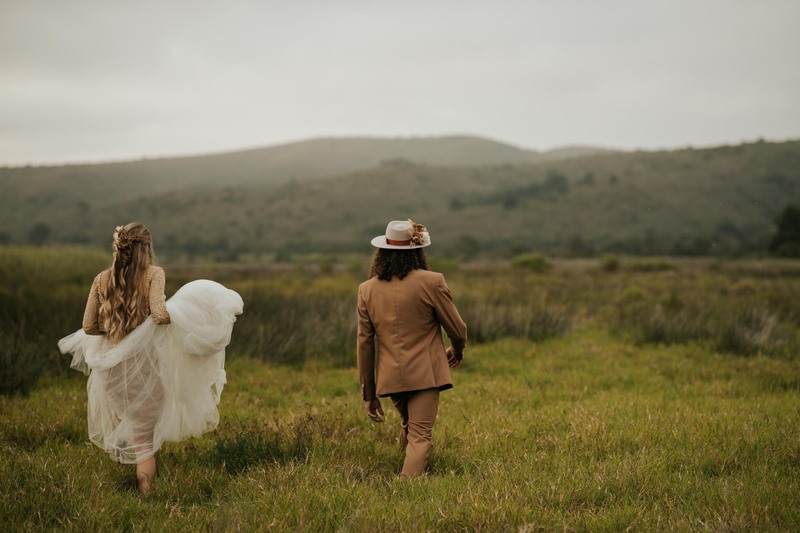 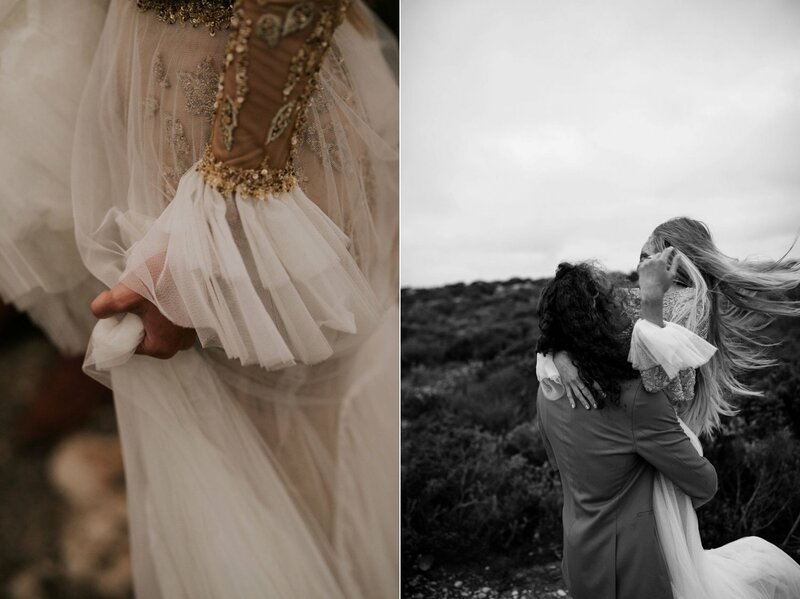 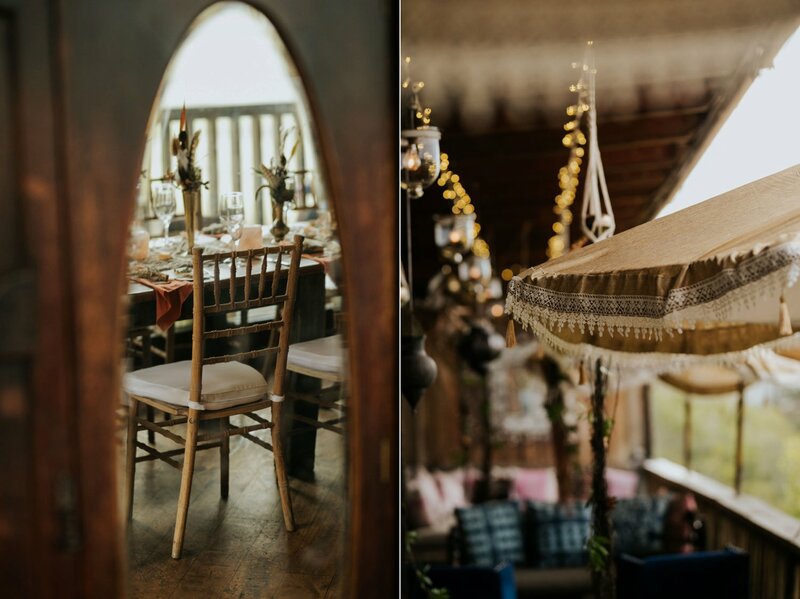 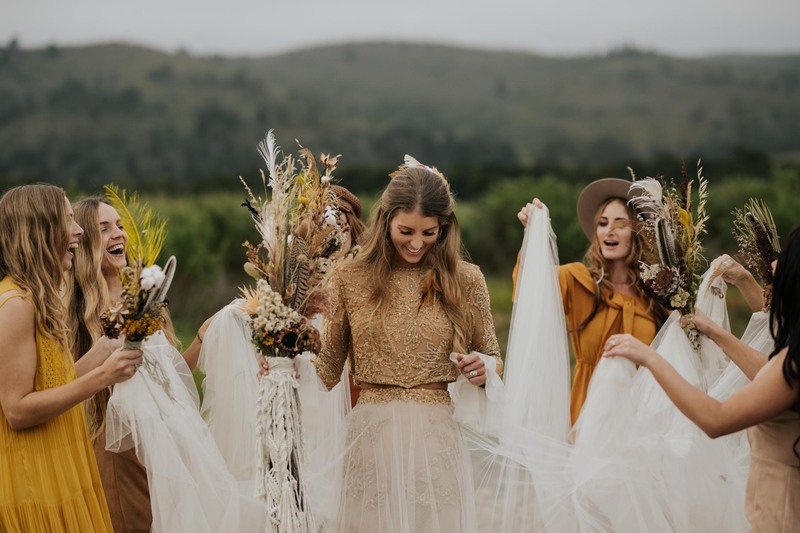 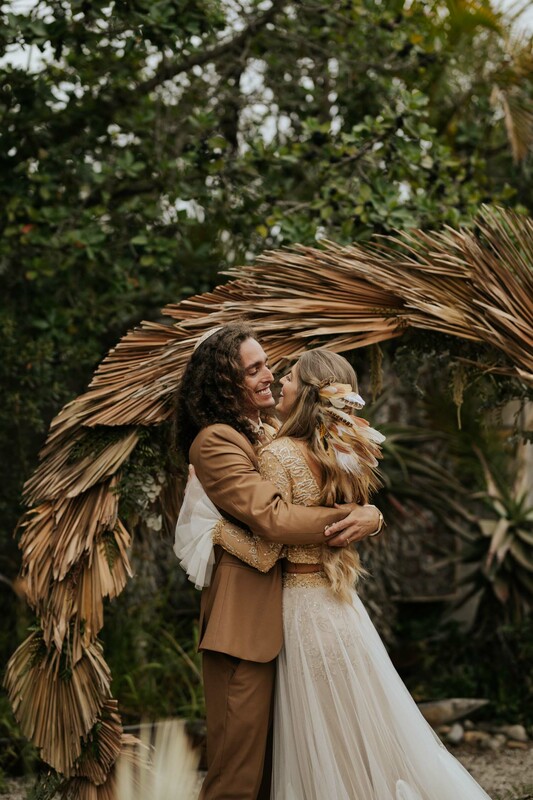 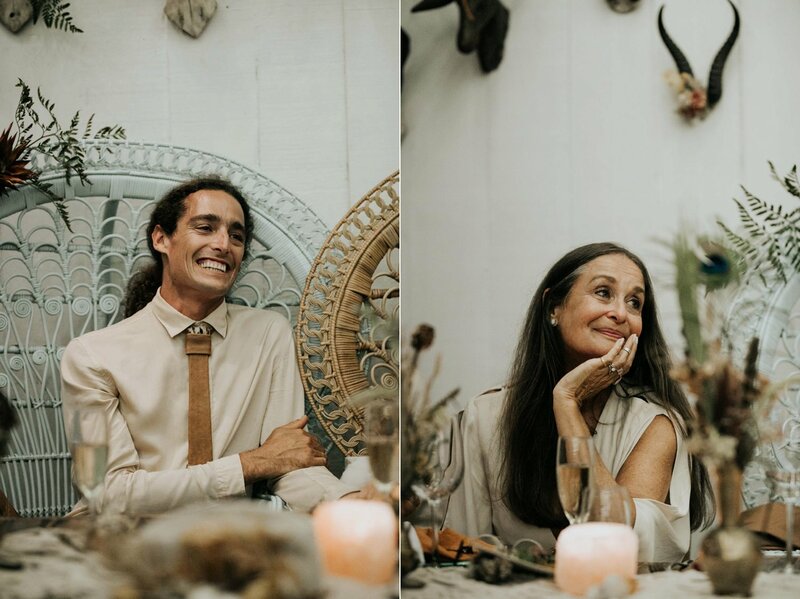 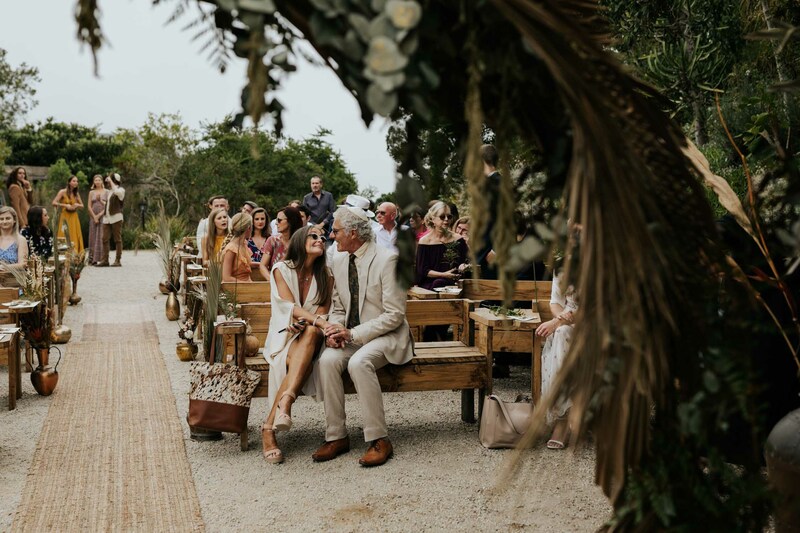 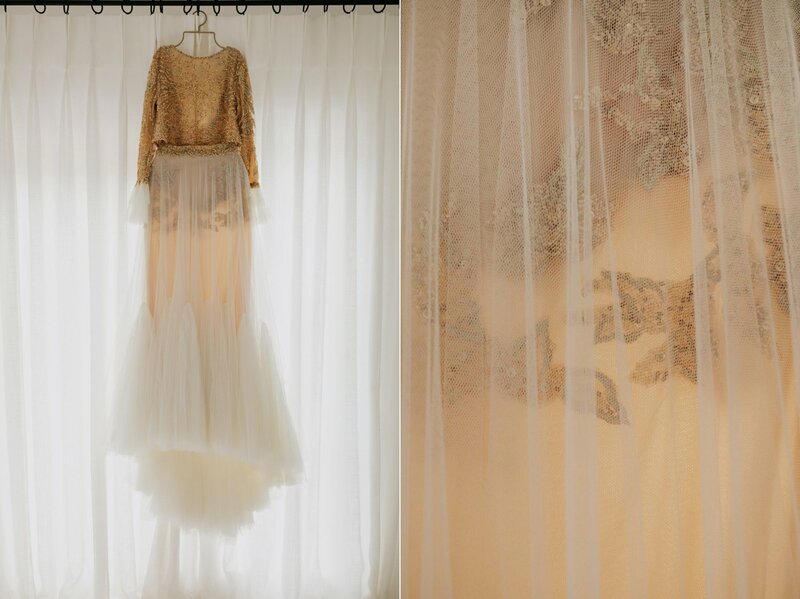 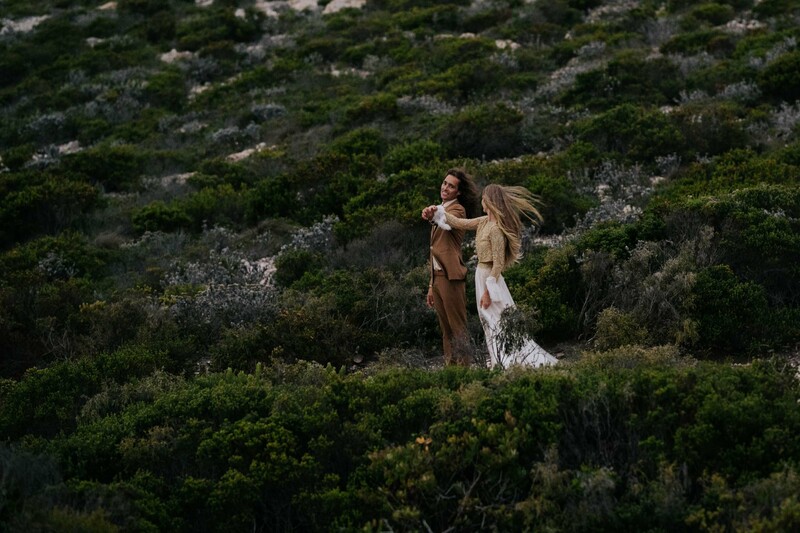 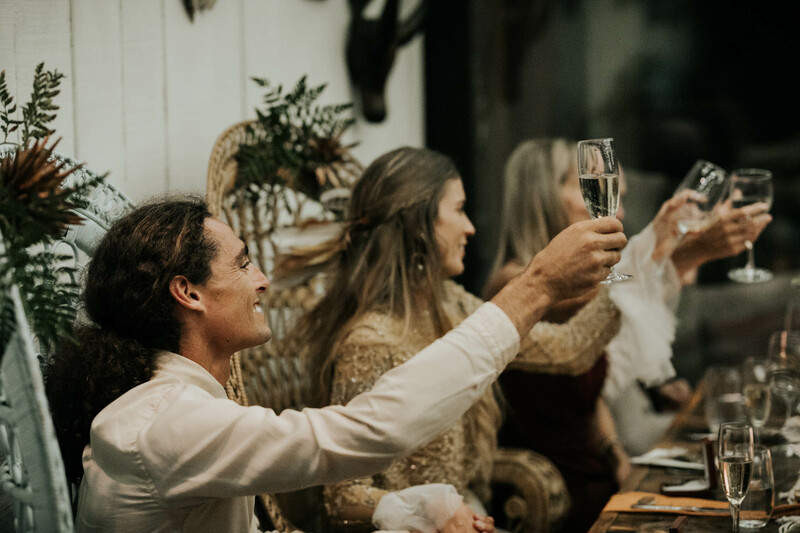 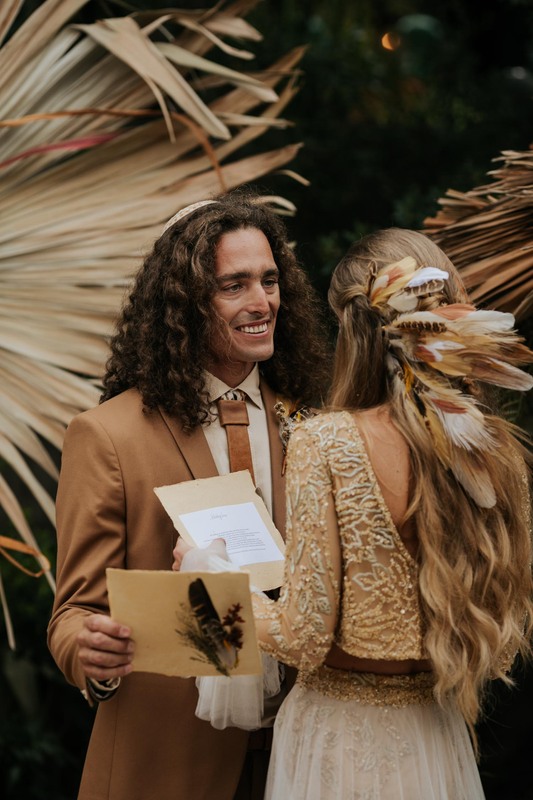 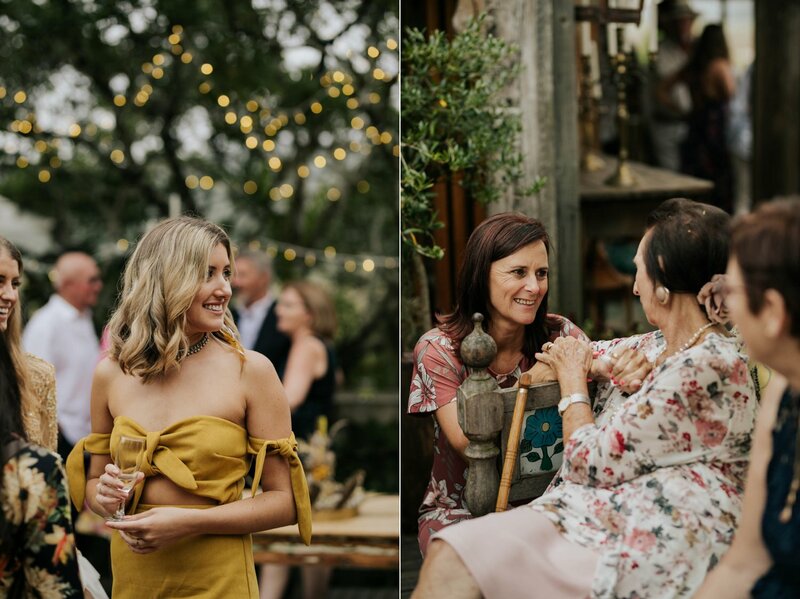 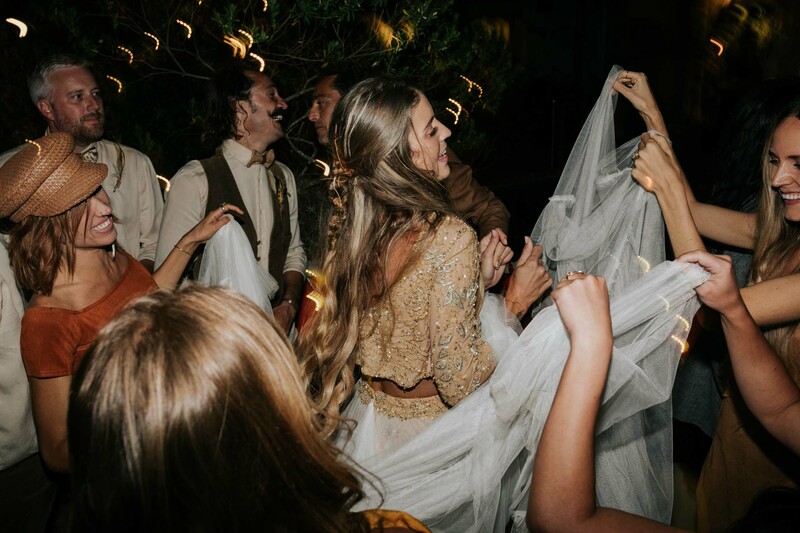 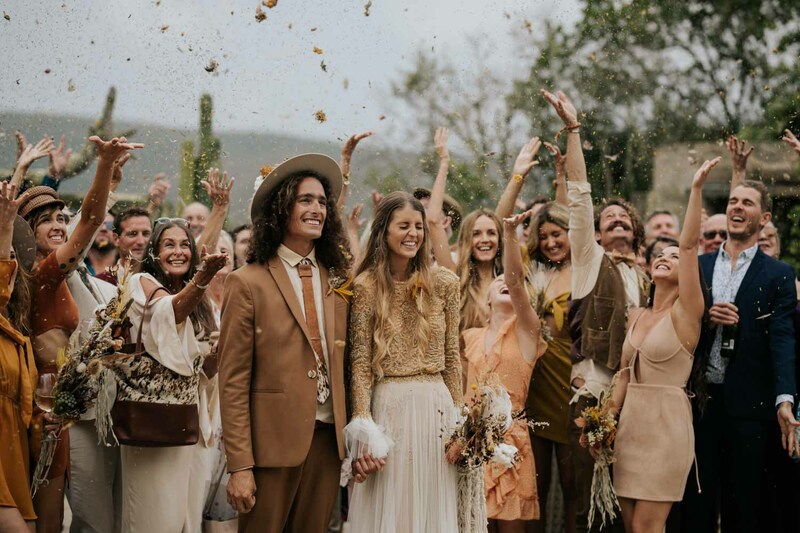 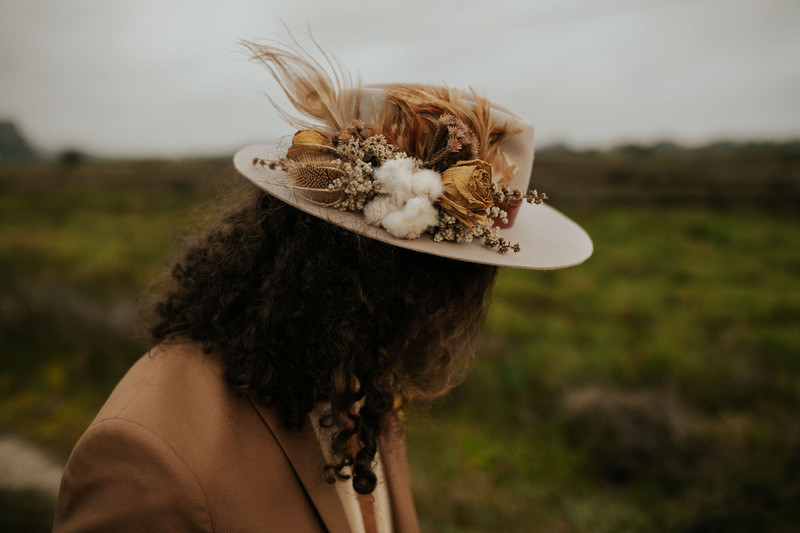 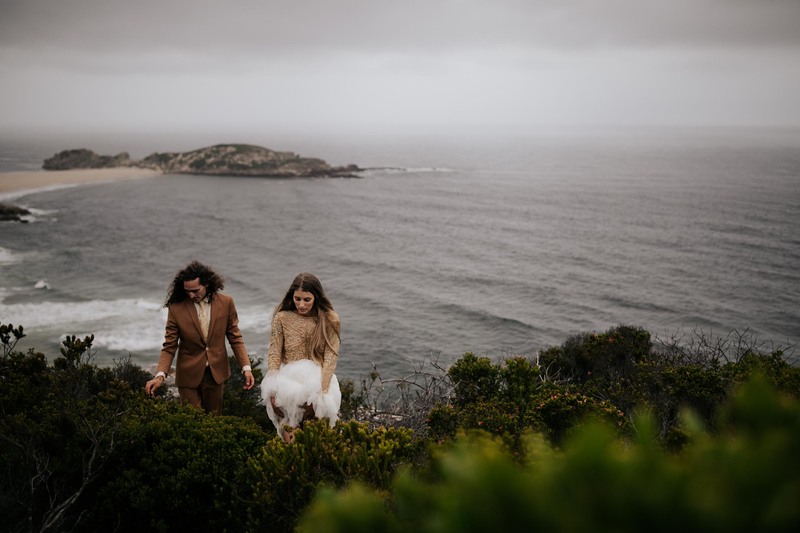 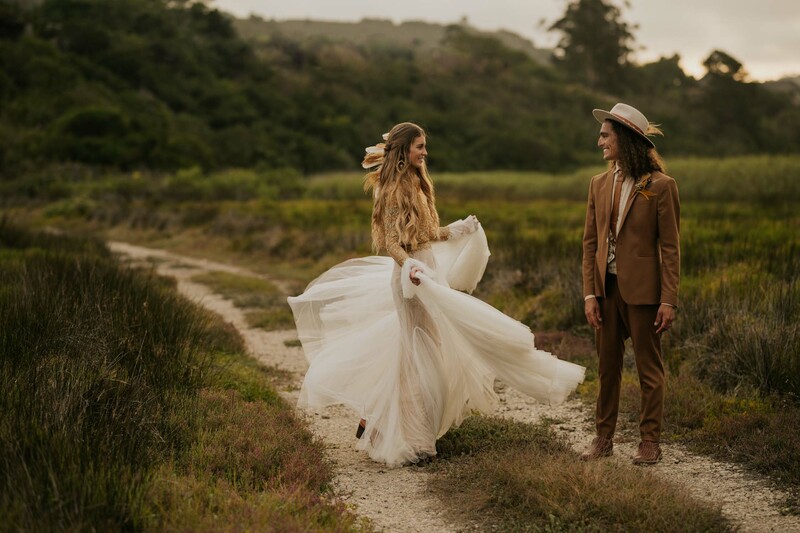 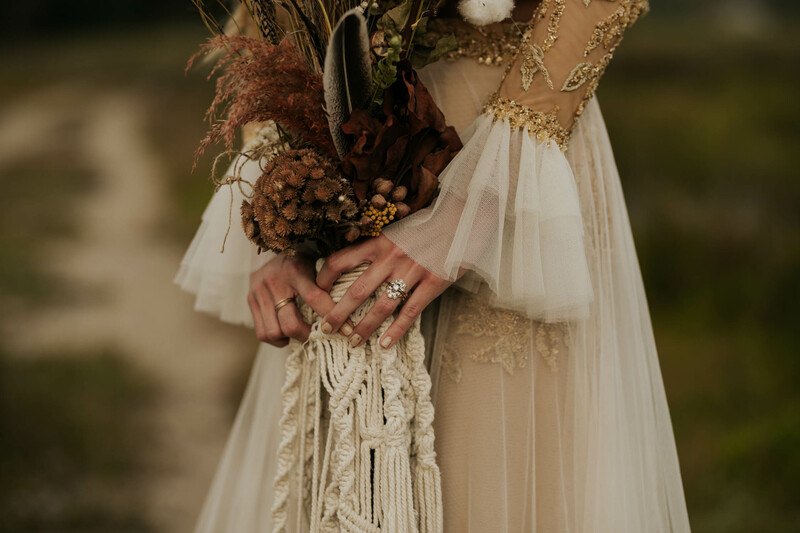 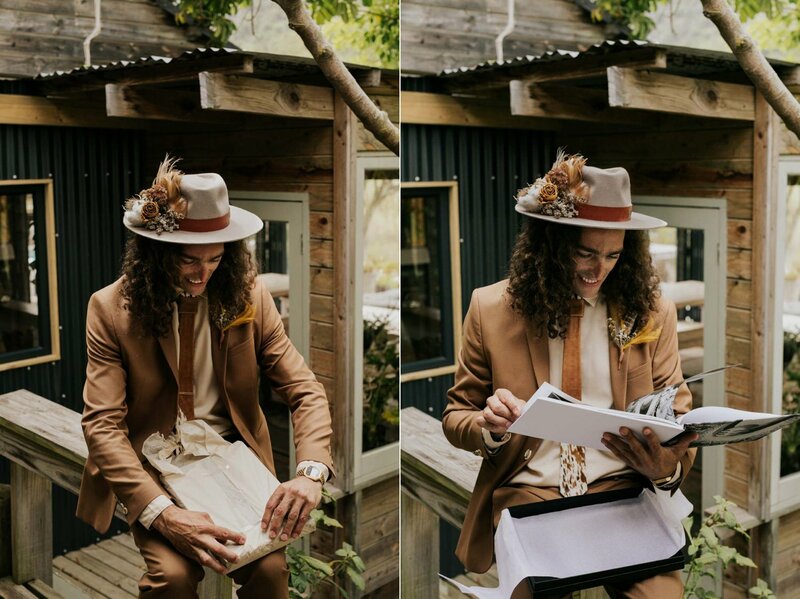 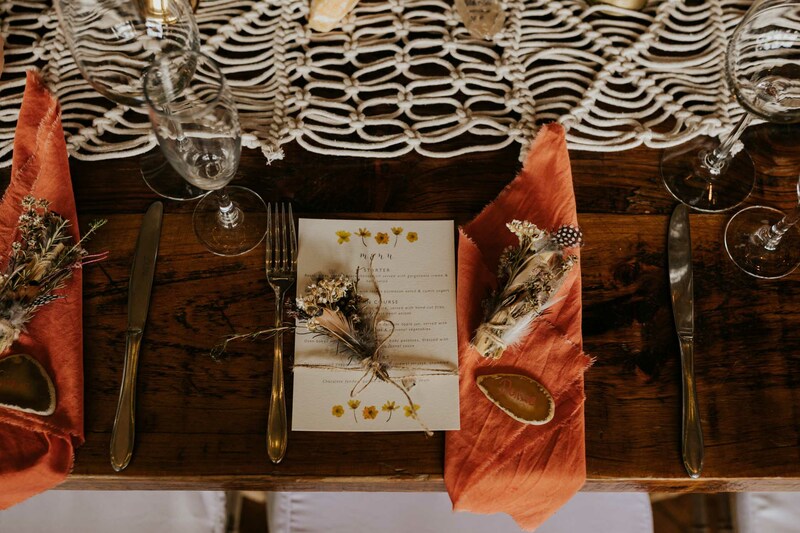 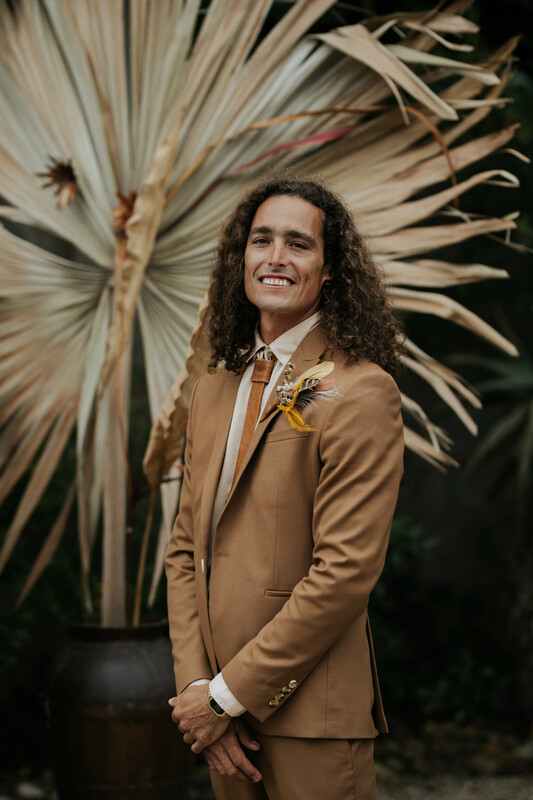 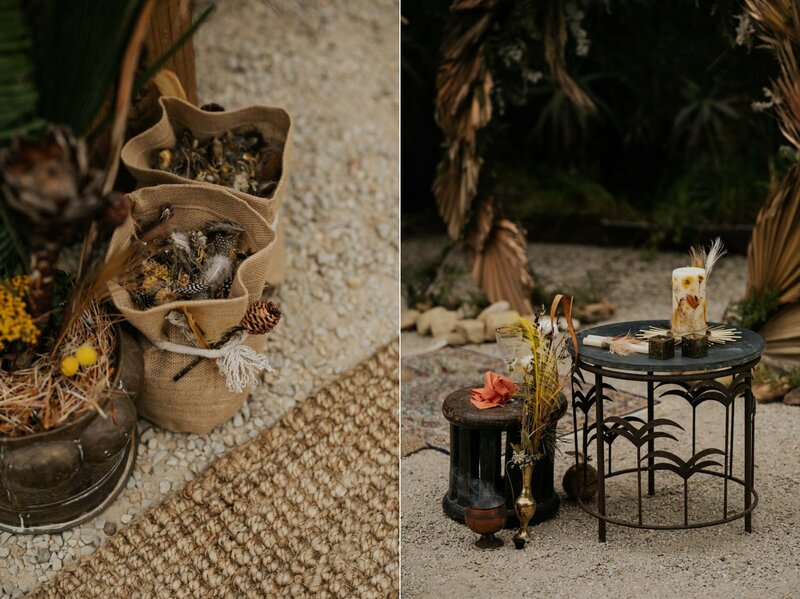 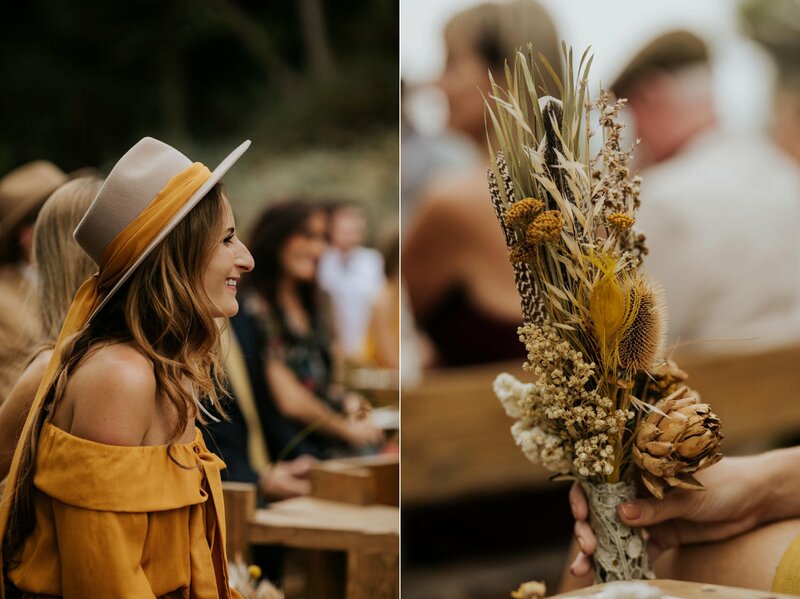 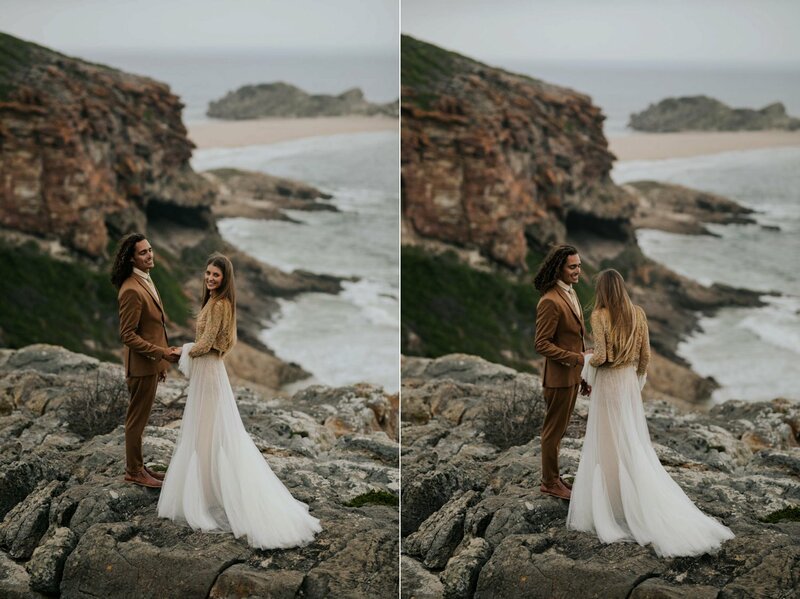 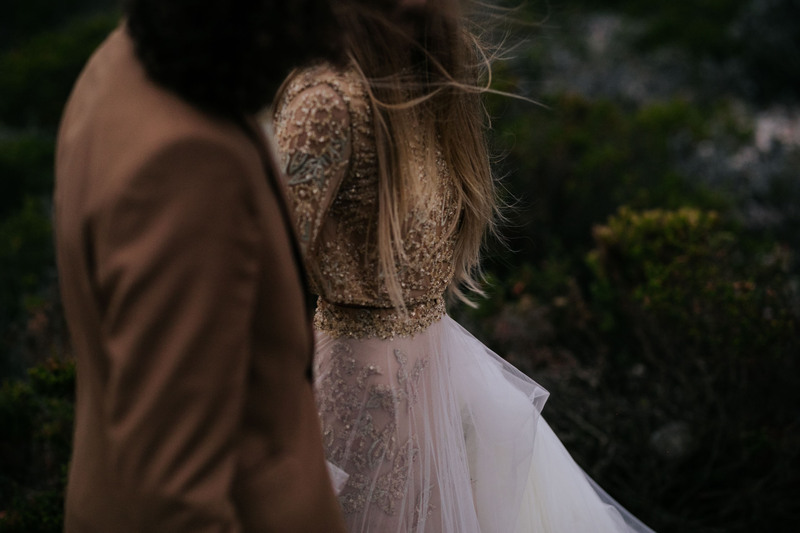 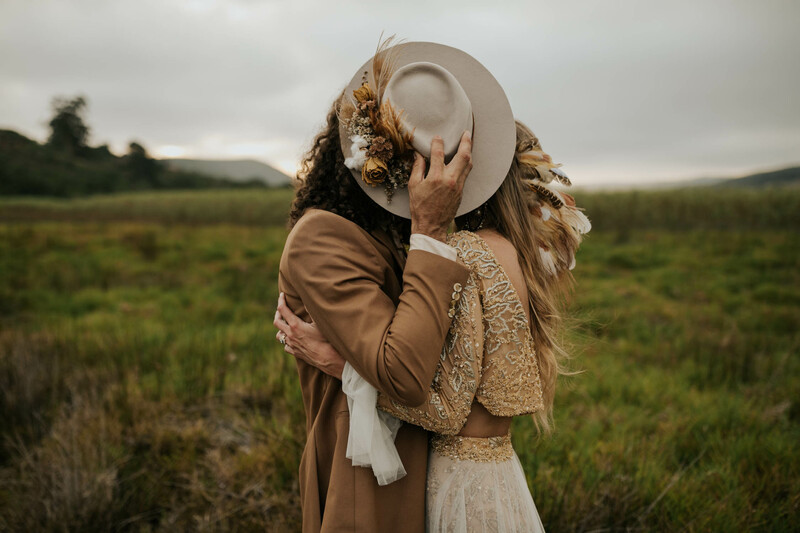 We live our lives in a very neutral colour pallet filled with earthy tones and nature’s influence so our wedding day became an exaggeration of our everyday world that we treasure. 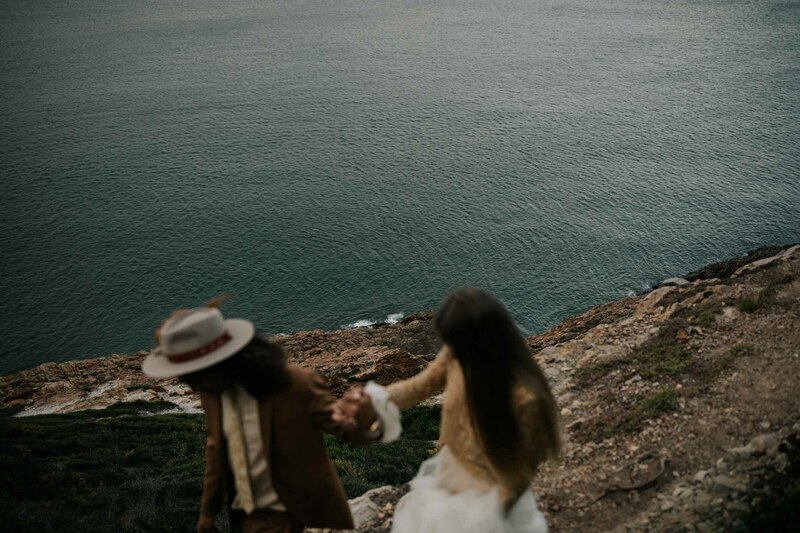 The colours we chose spoke to both of us and set free our creativity. 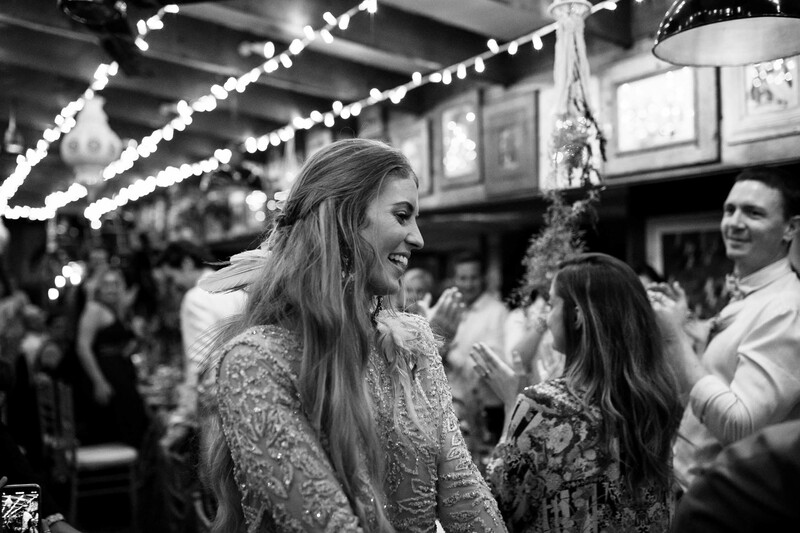 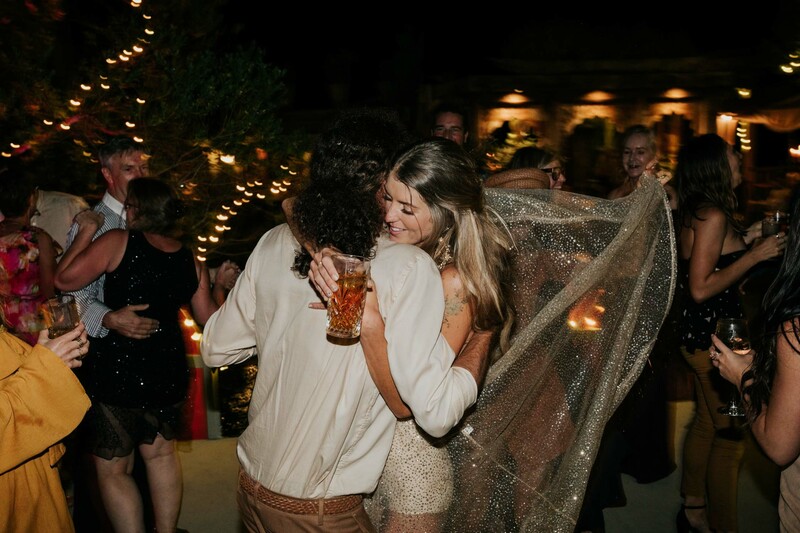 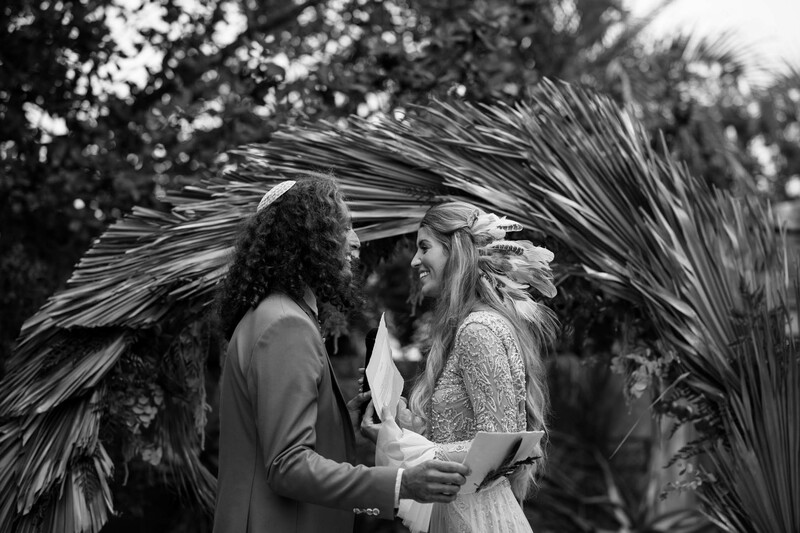 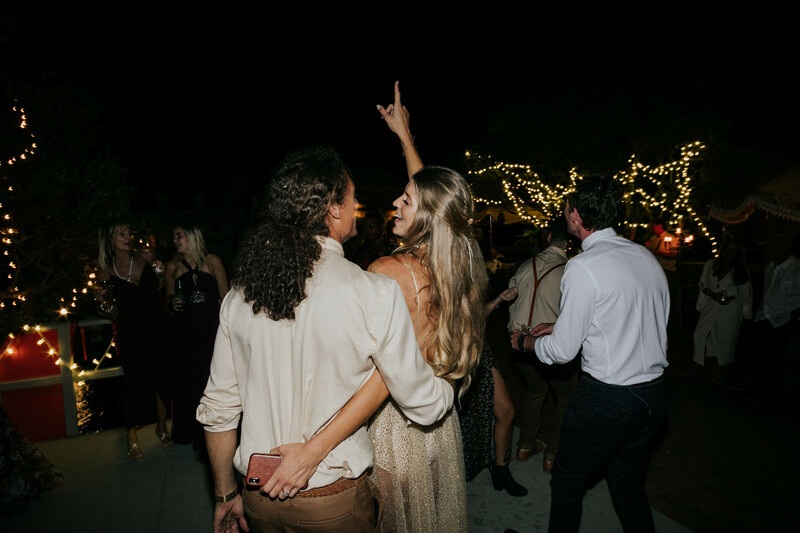 Walking into the reception is a feeling that will live with us forever. 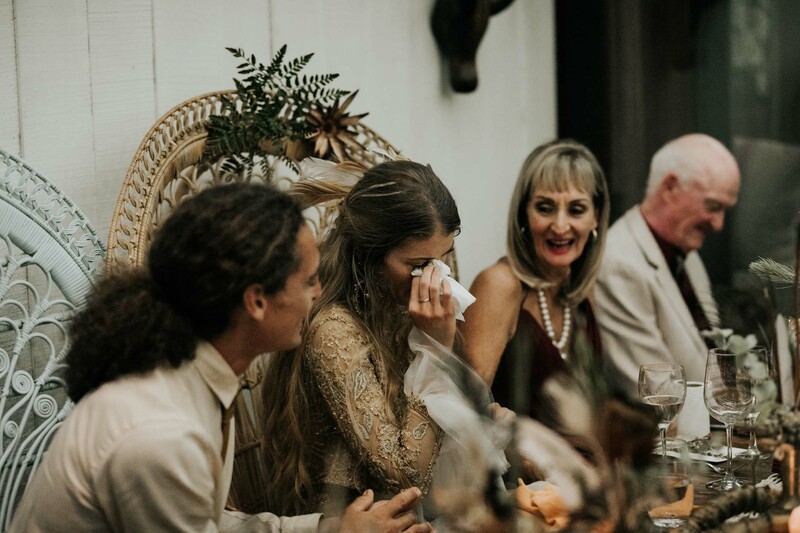 Writing this, I still get goosebumps. 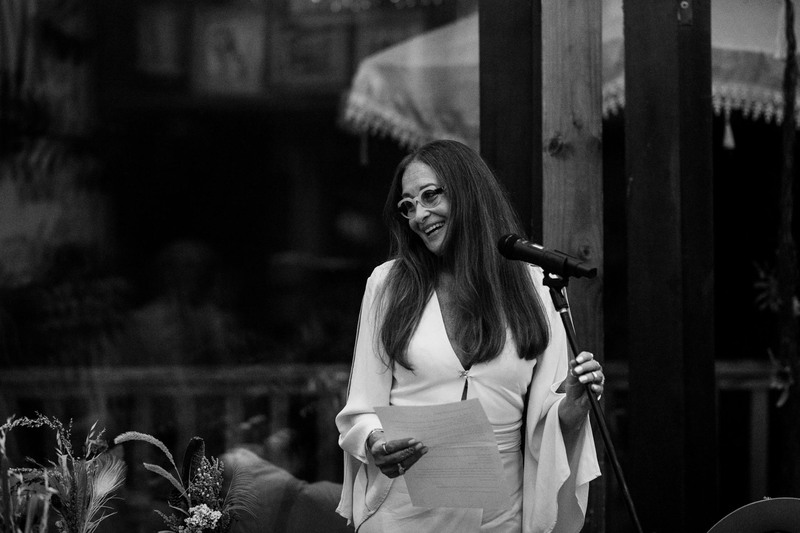 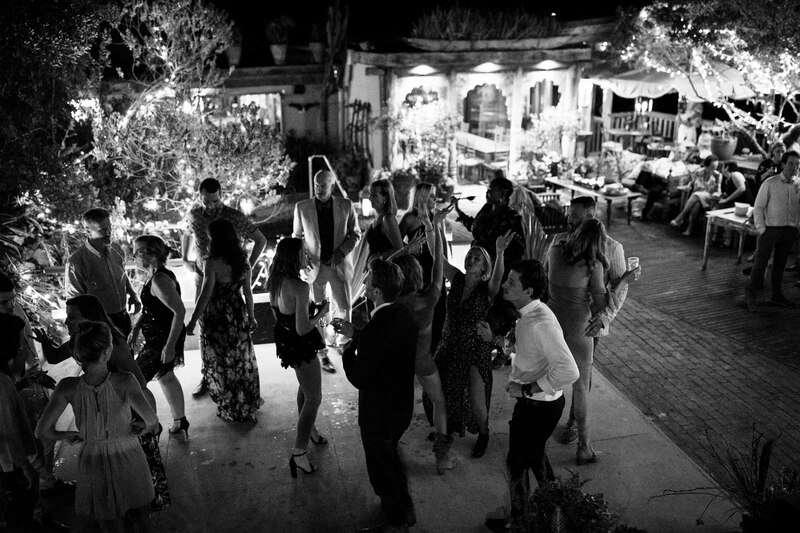 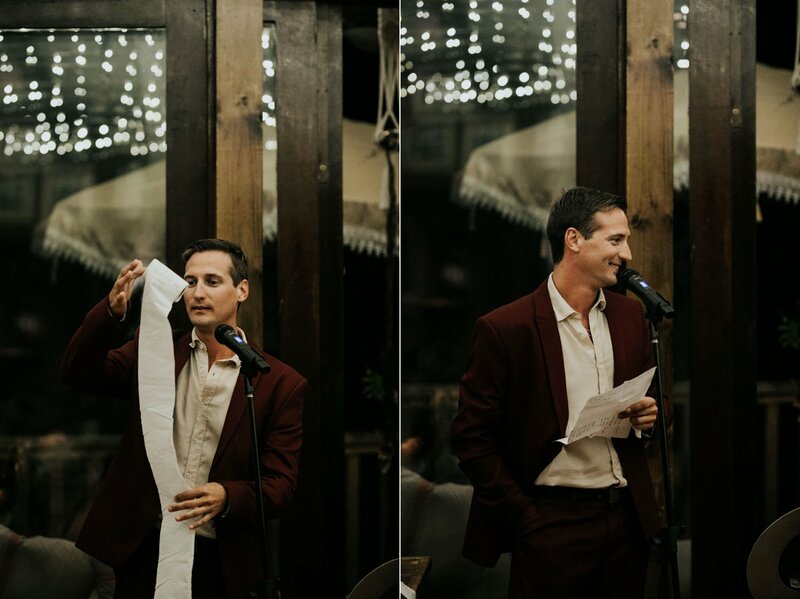 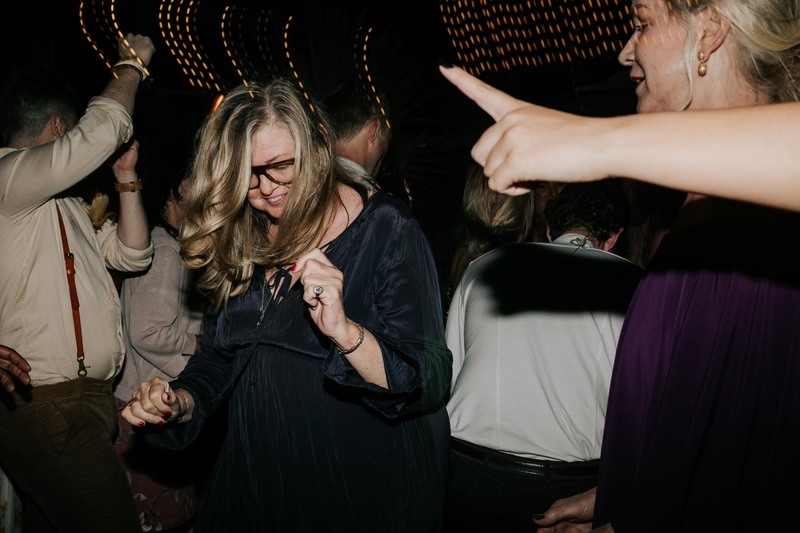 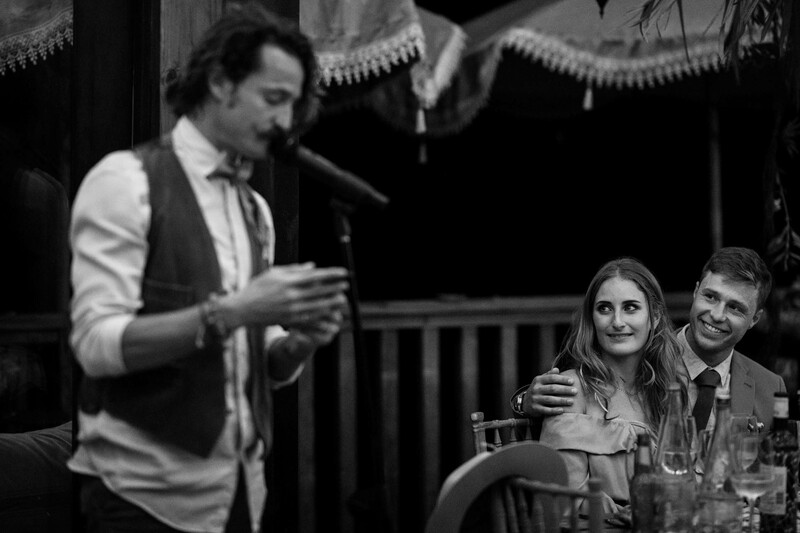 The energy that our guests brought and shared with us in that short minute was incomparable. 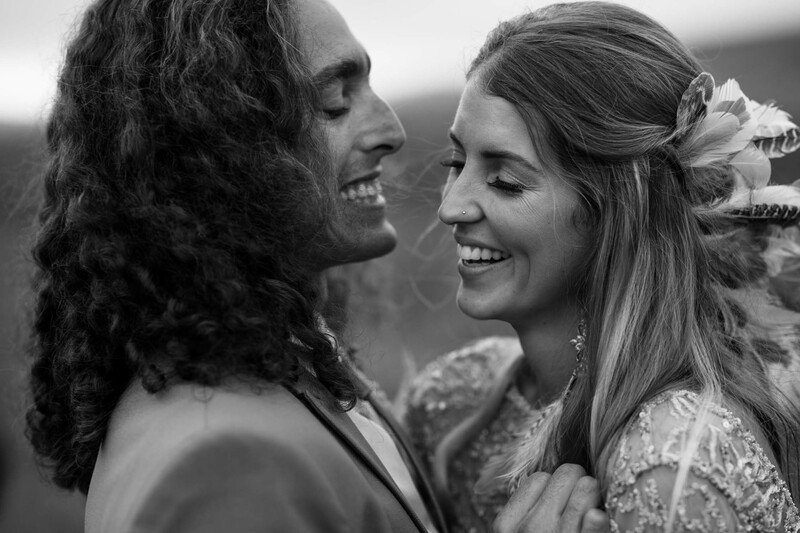 They ignited our souls and showered us in love. 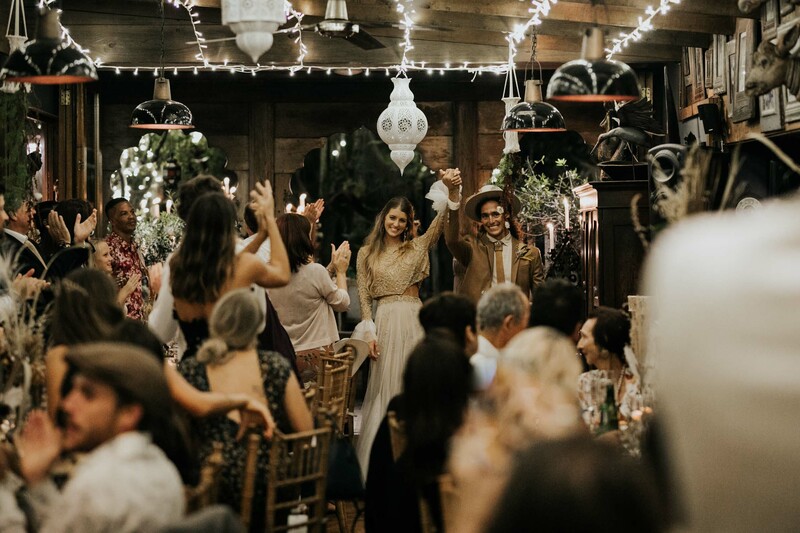 It was very intimate and the space we walked through allowed us to look in everyone’s eyes, hear their cheers and feel their blessings. 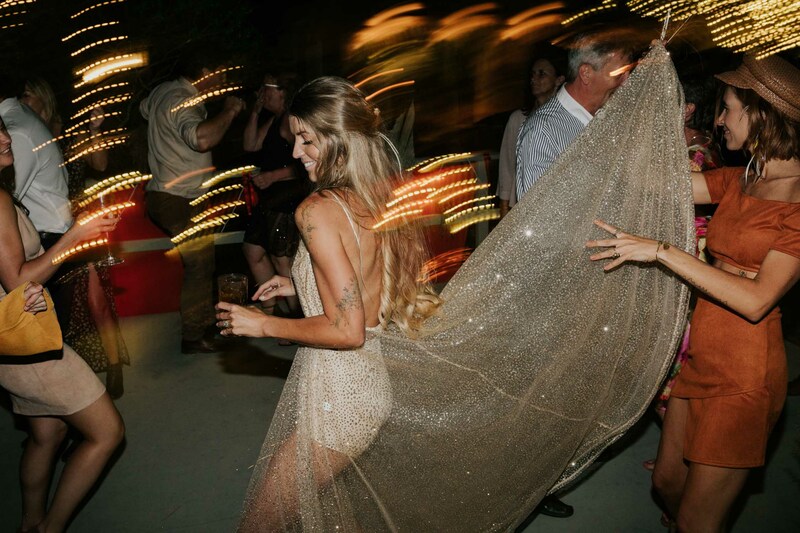 It was like riding a magic carpet from the entrance to our table. 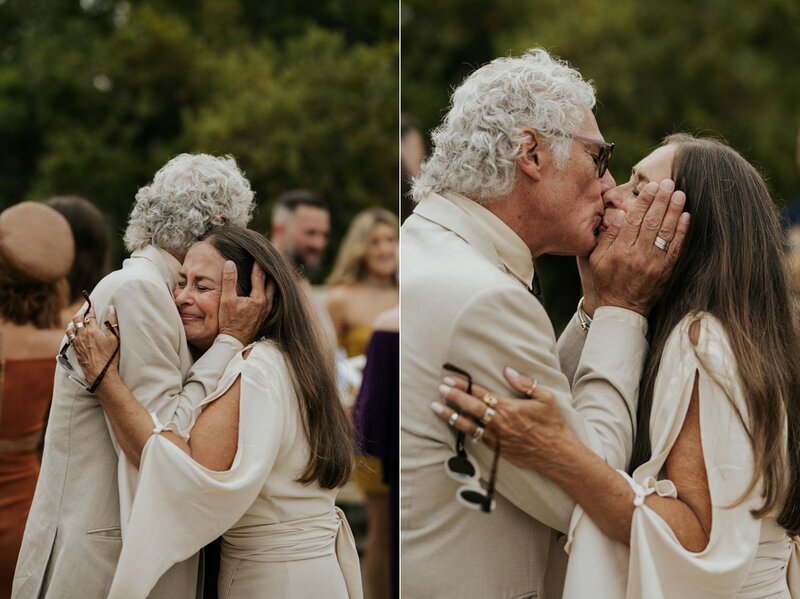 The most beautiful moment at the end of that walk was seeing our parents, their eyes flooding with joy. 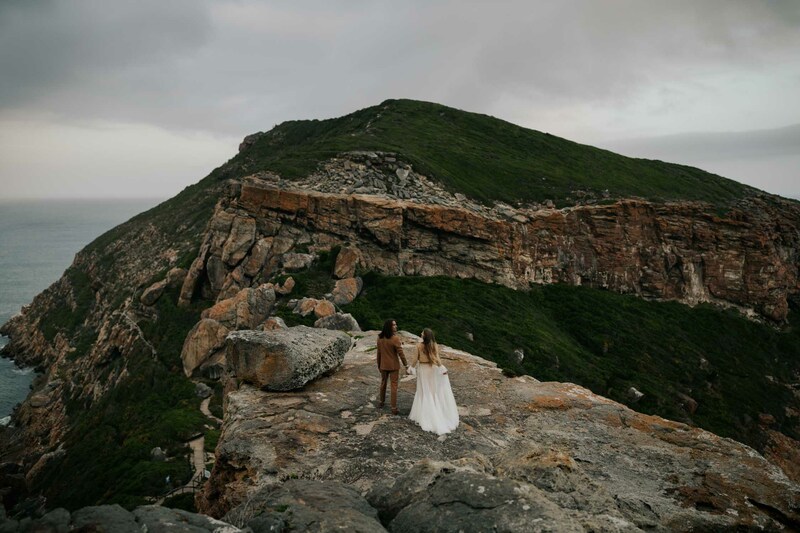 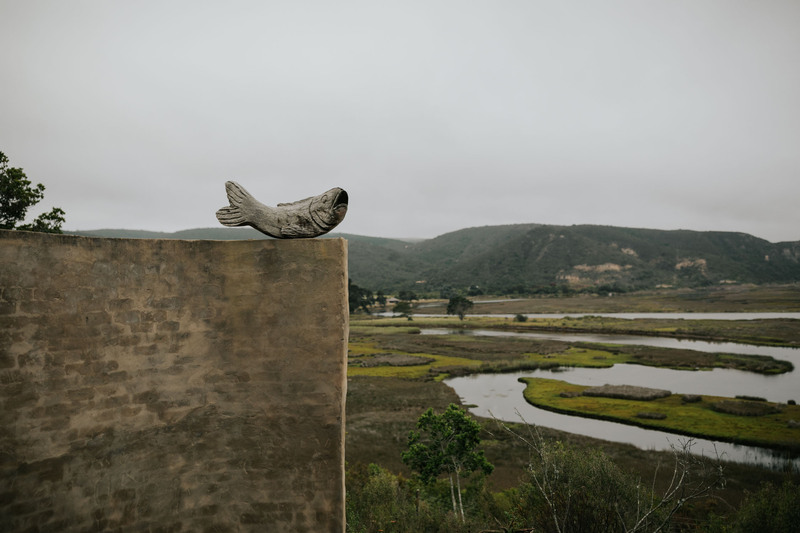 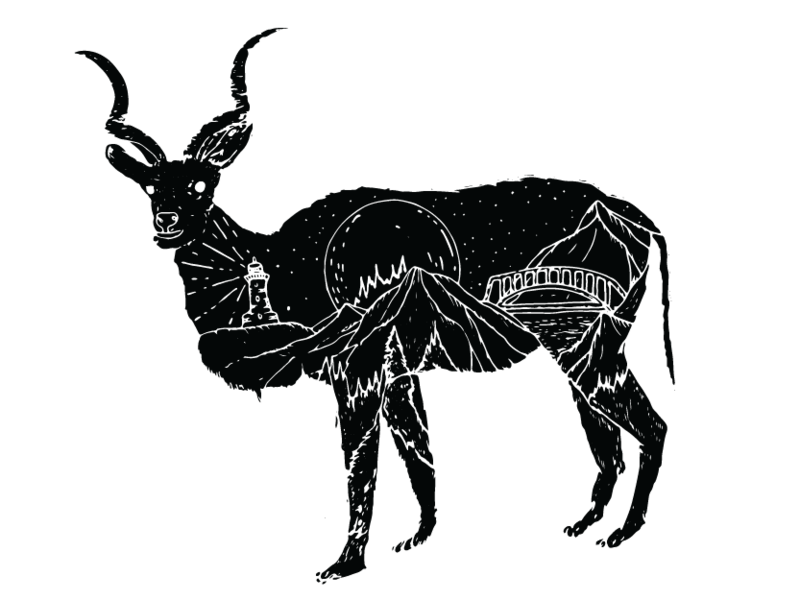 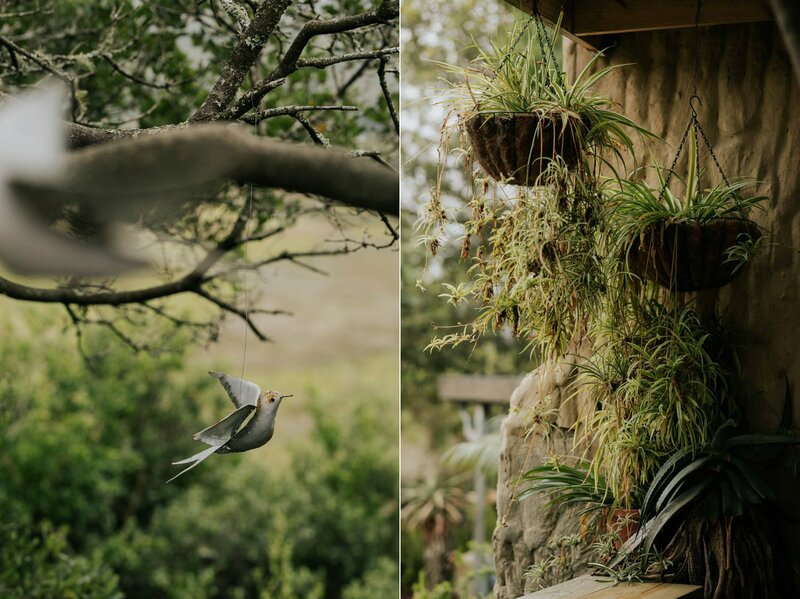 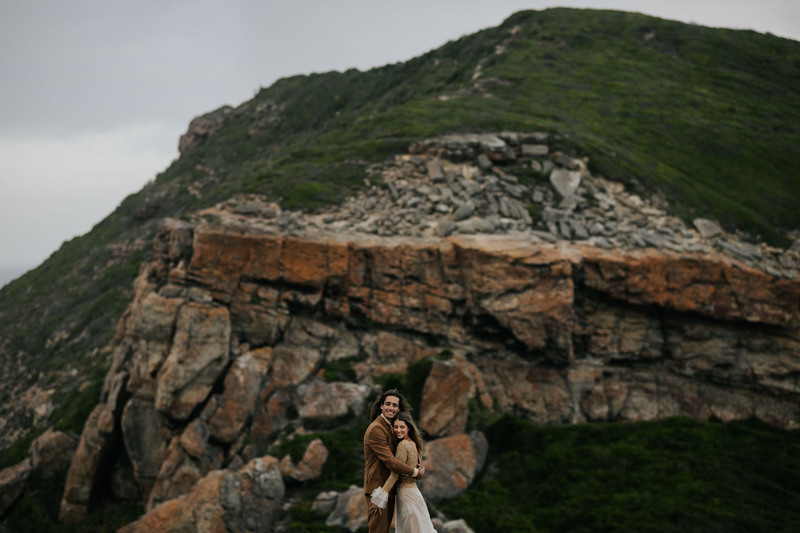 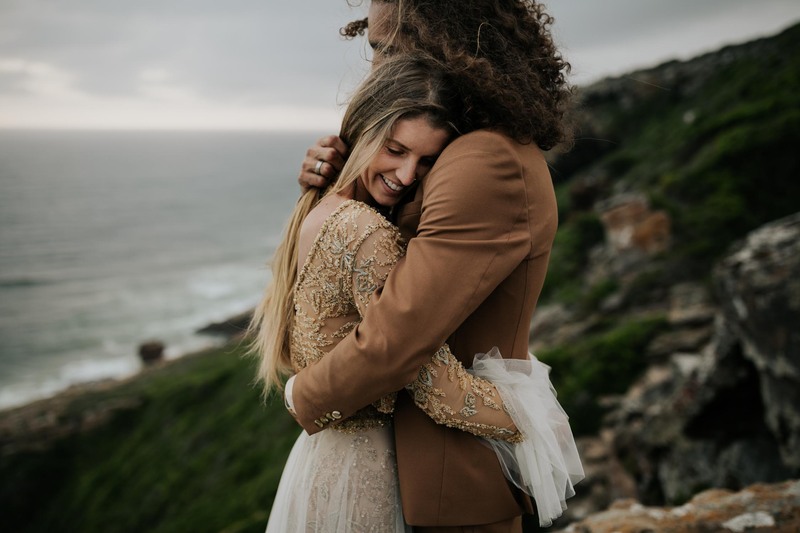 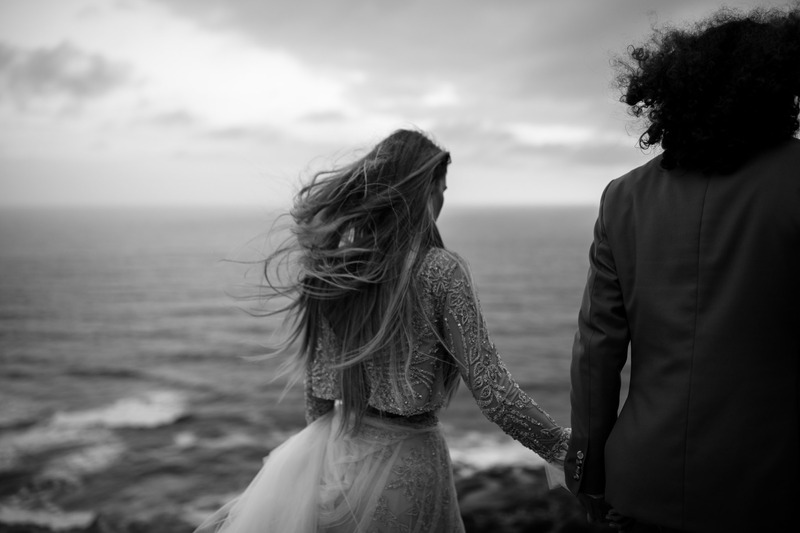 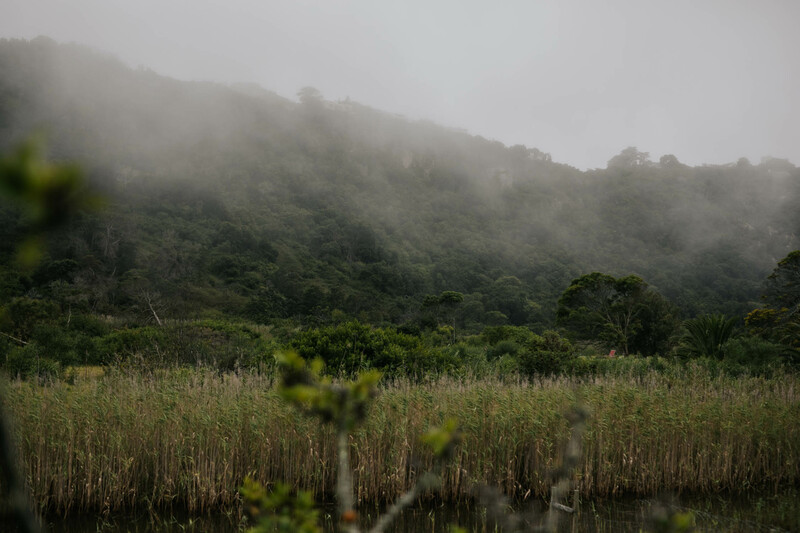 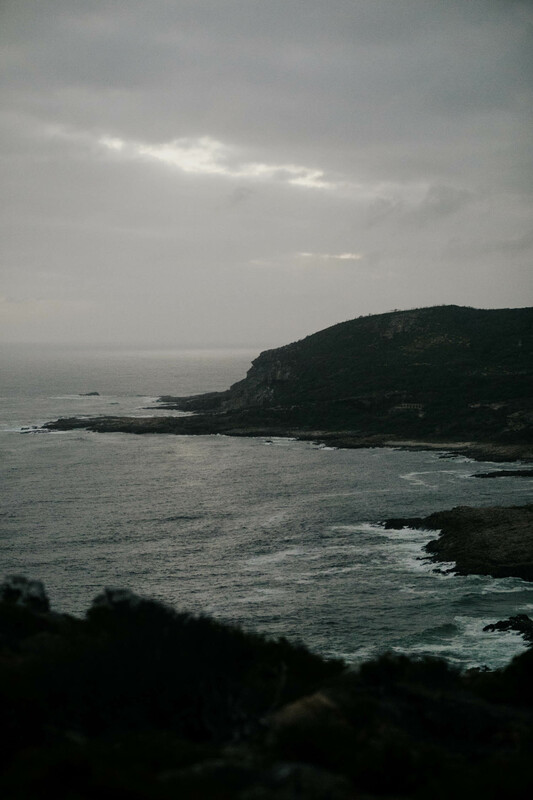 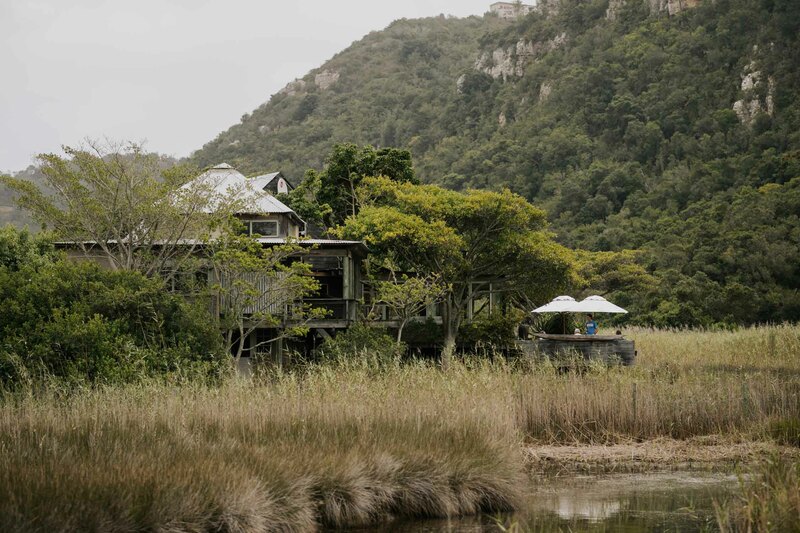 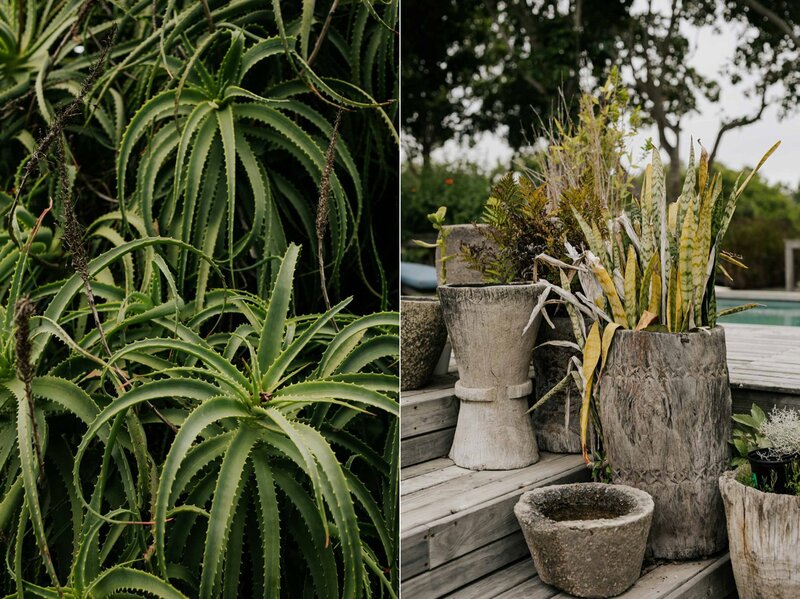 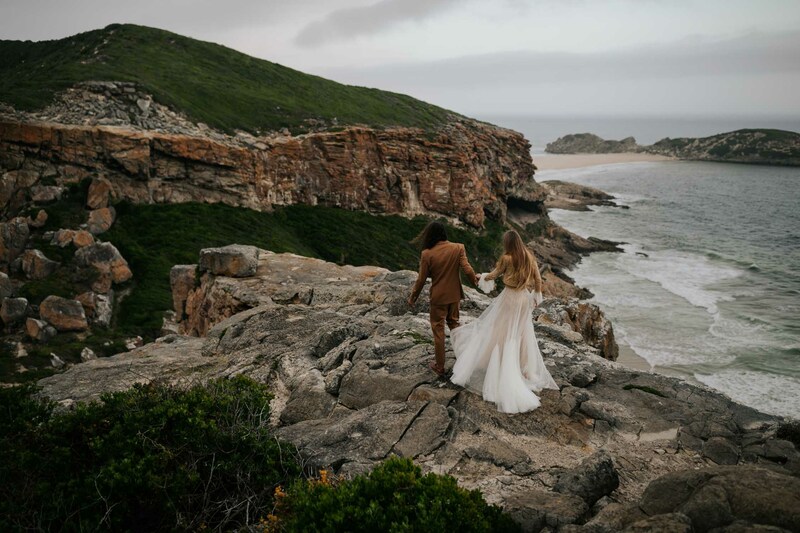 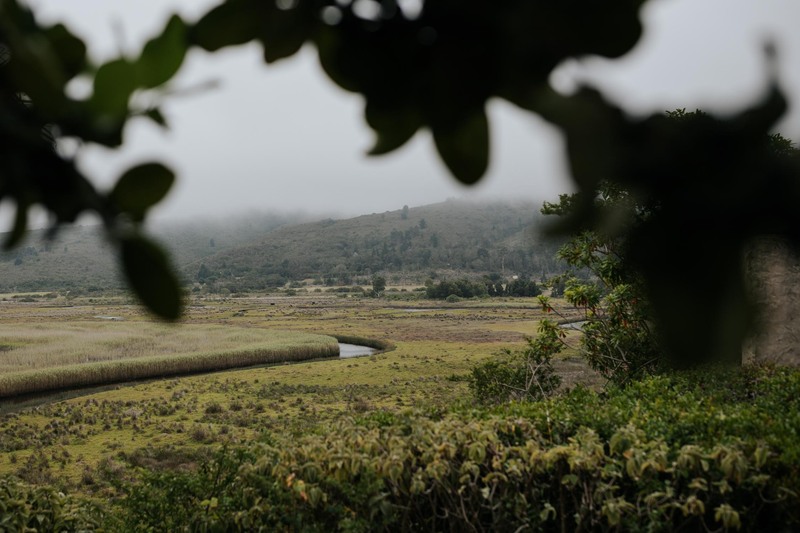 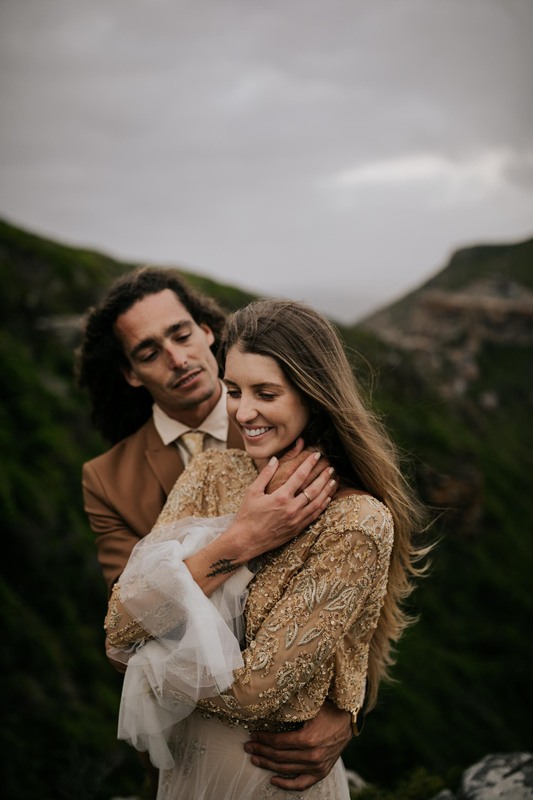 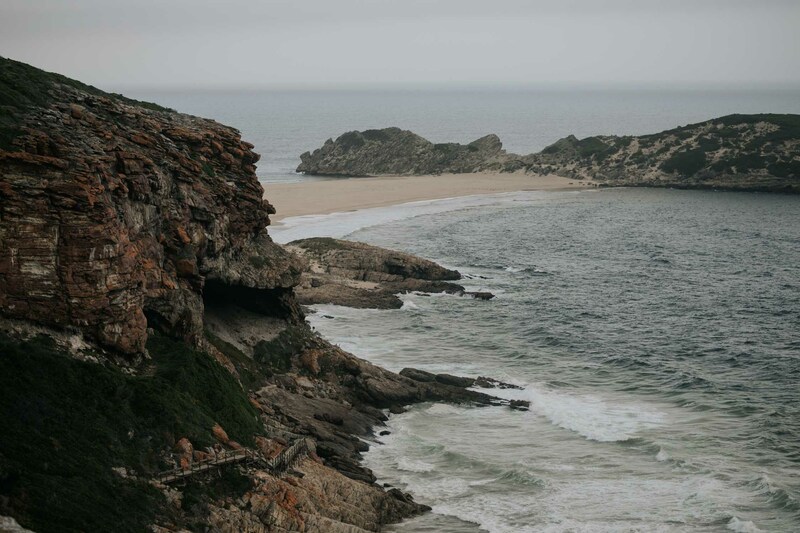 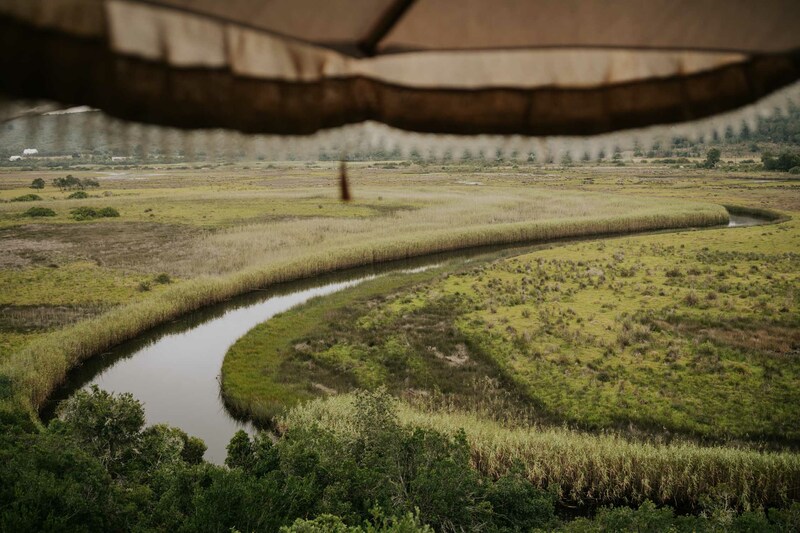 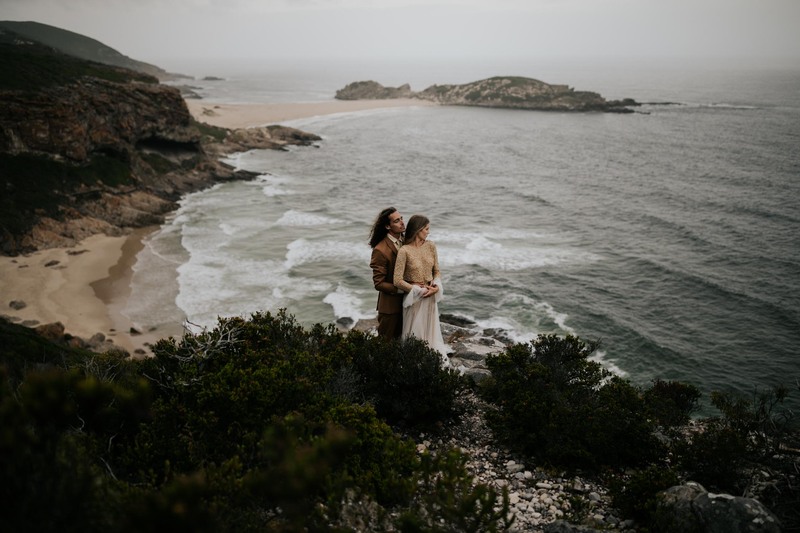 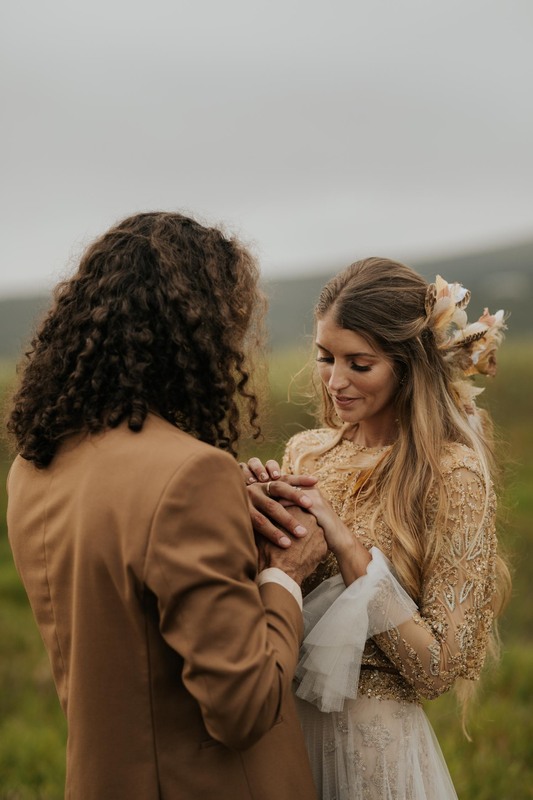 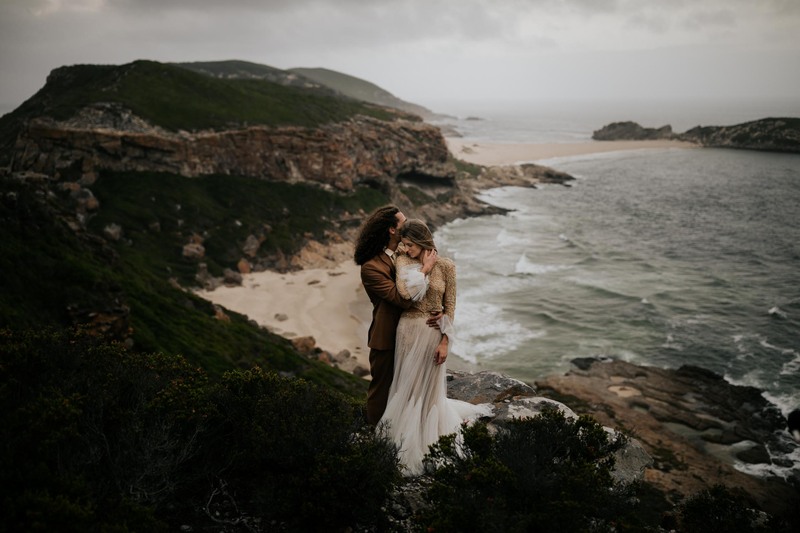 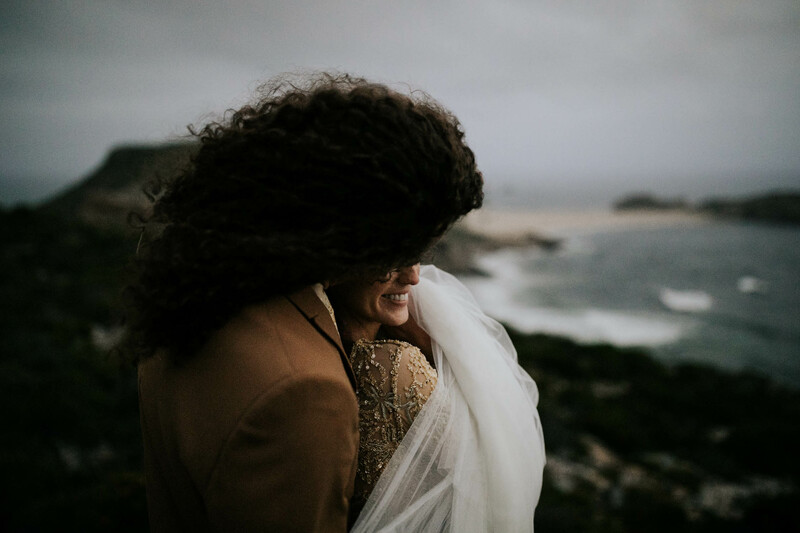 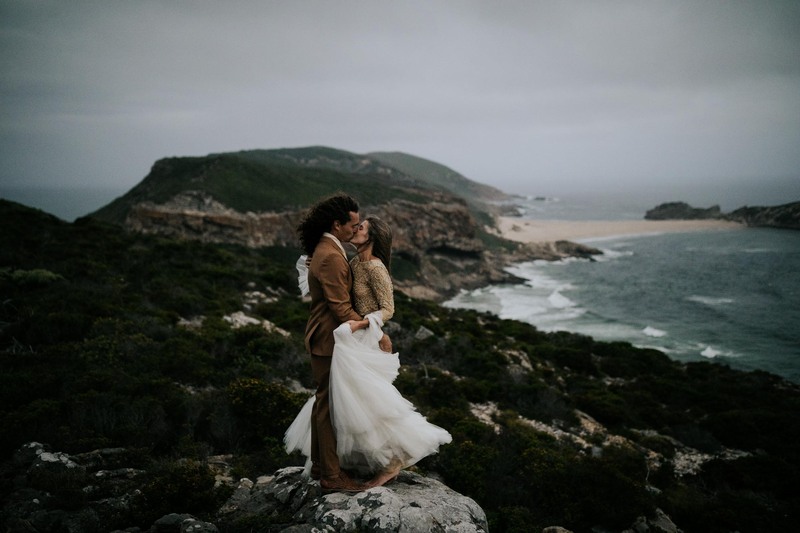 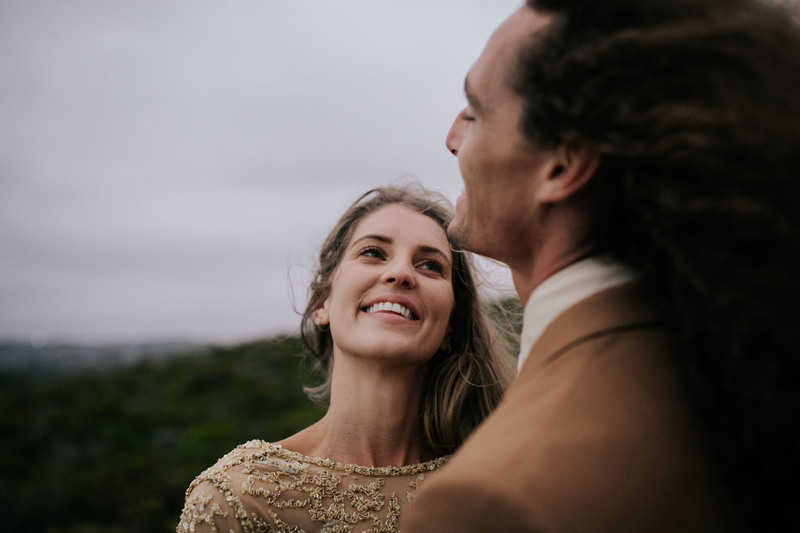 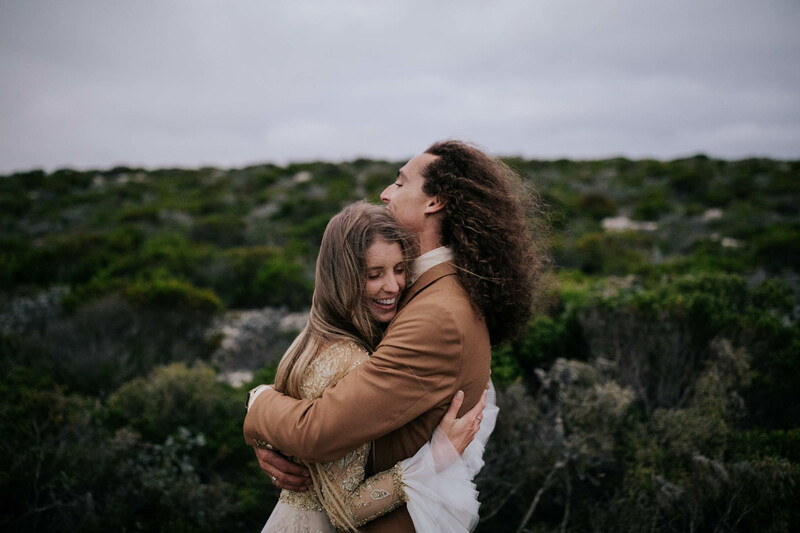 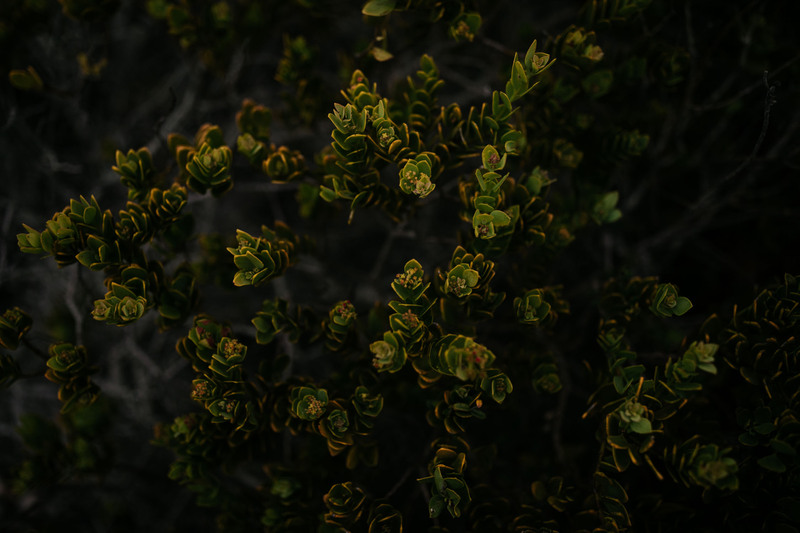 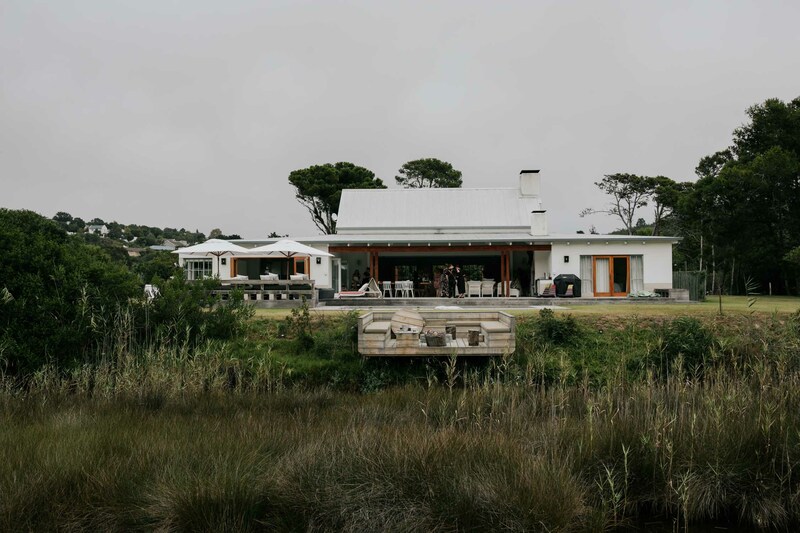 We ventured with Manu and Ash to the Robberg Nature Reserve, a World Heritage Site showcasing the breathtaking natural beauty of the Garden Route. 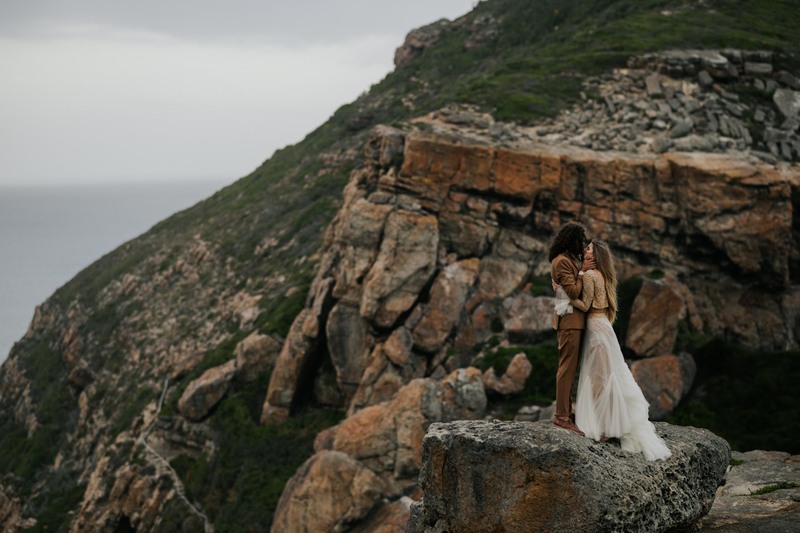 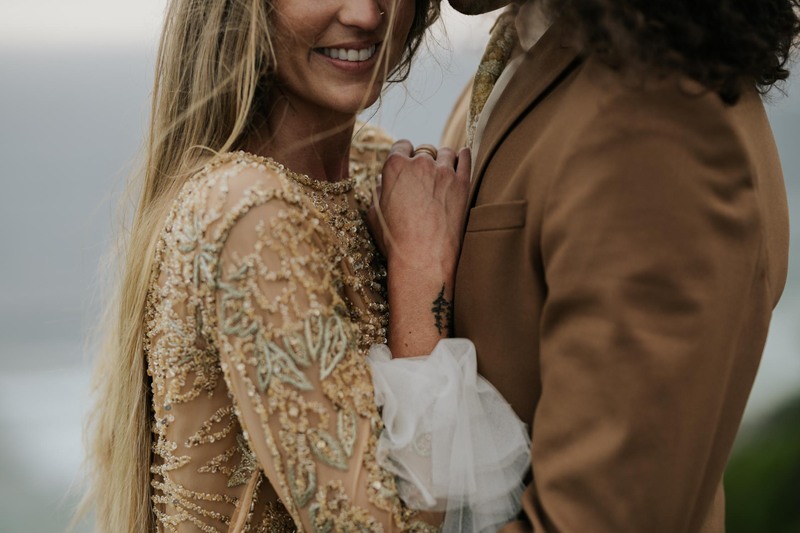 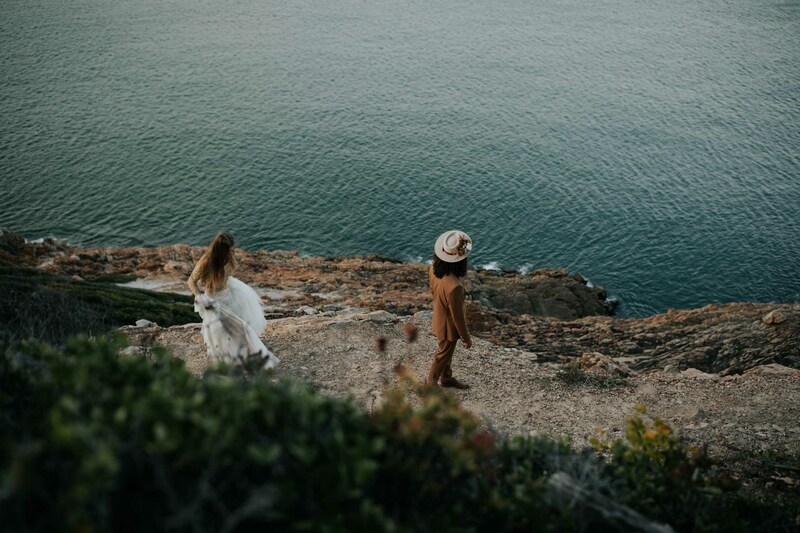 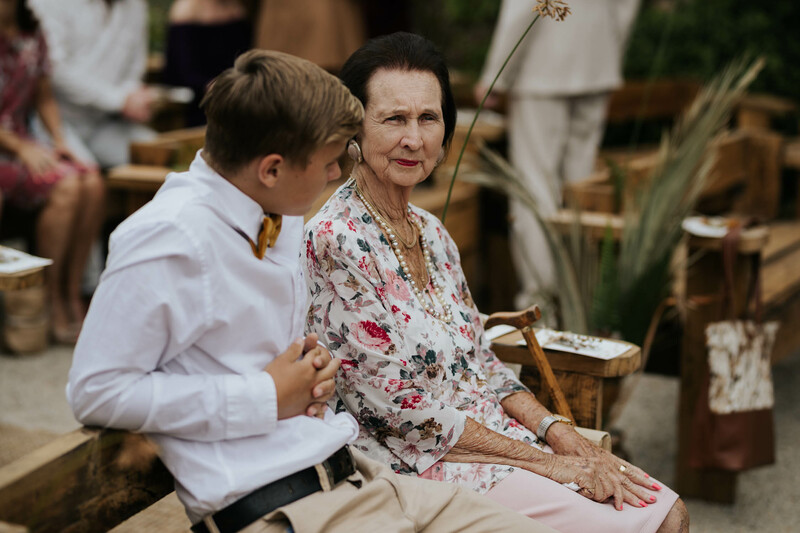 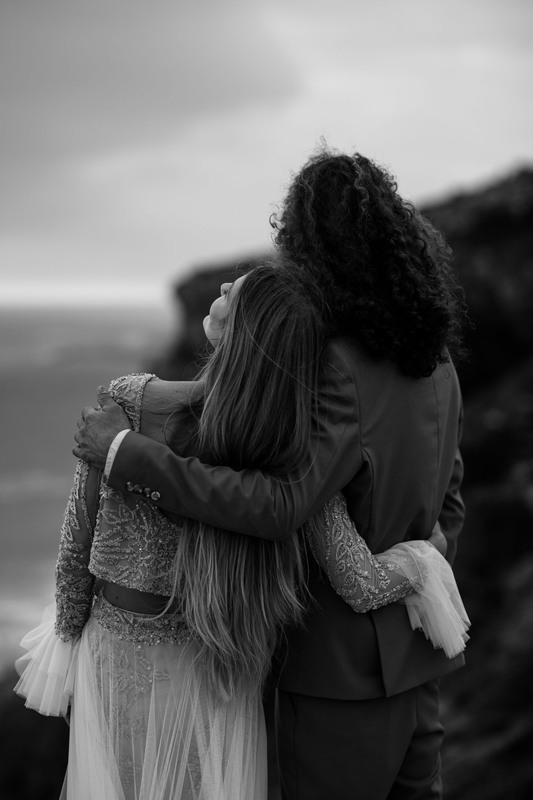 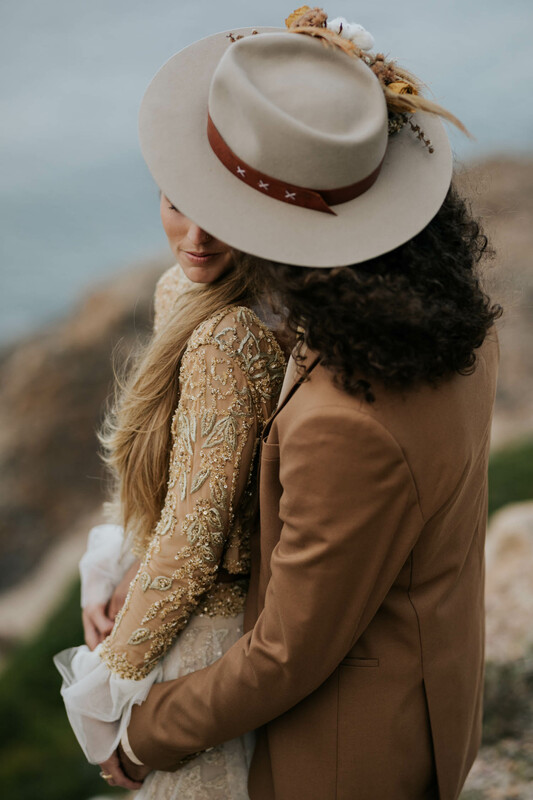 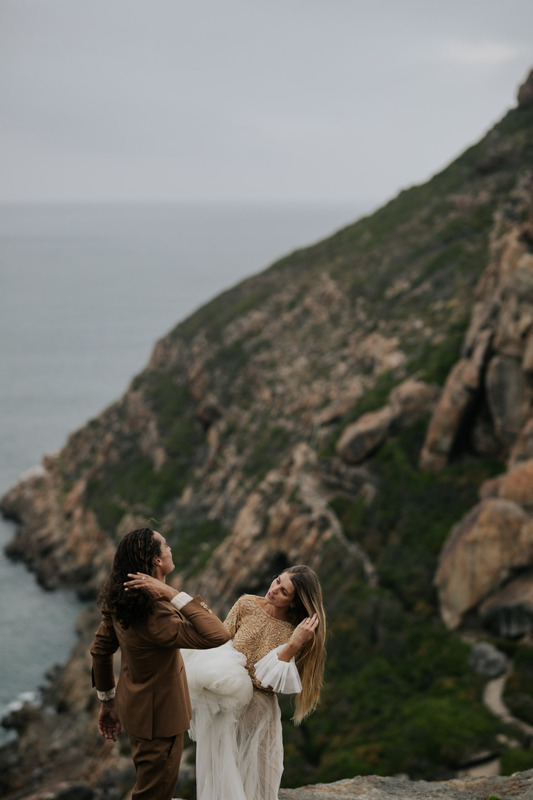 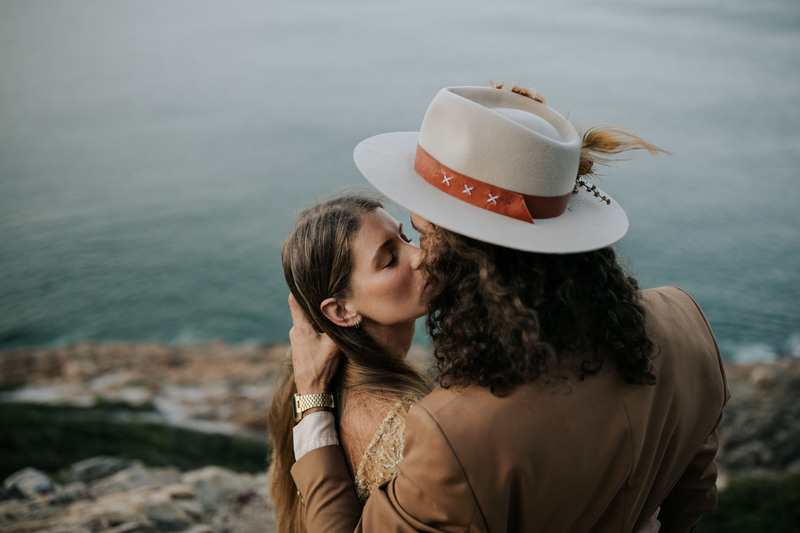 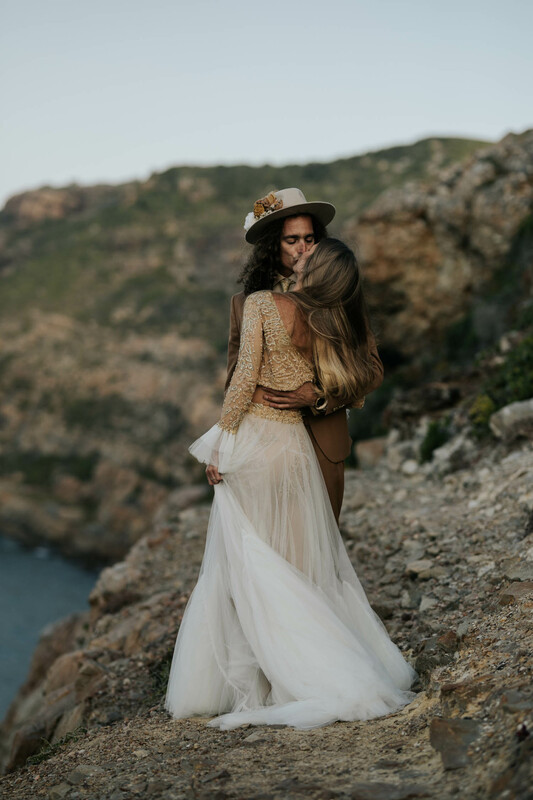 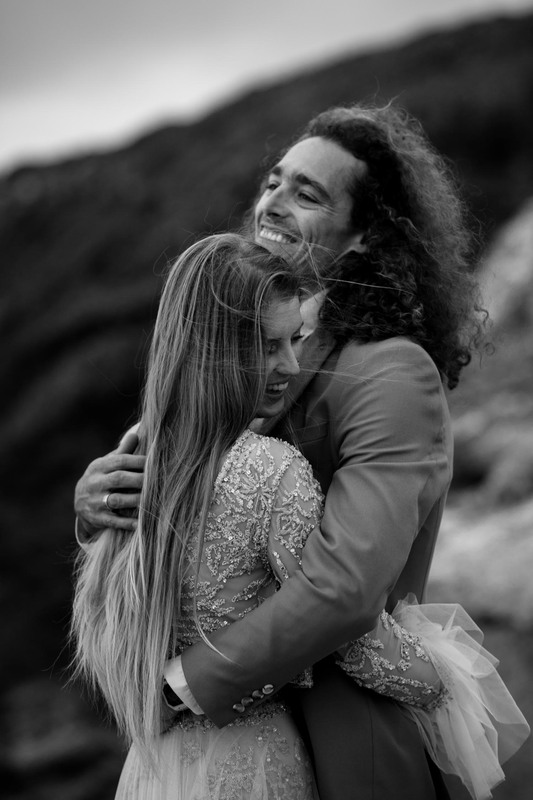 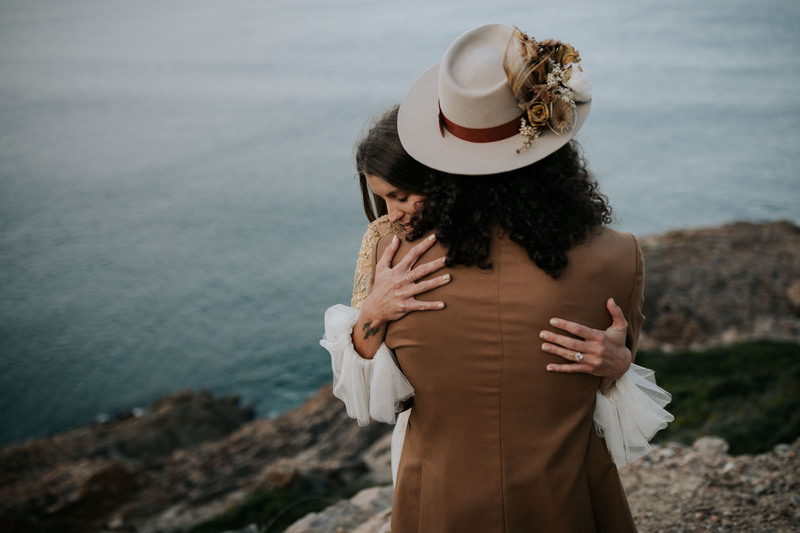 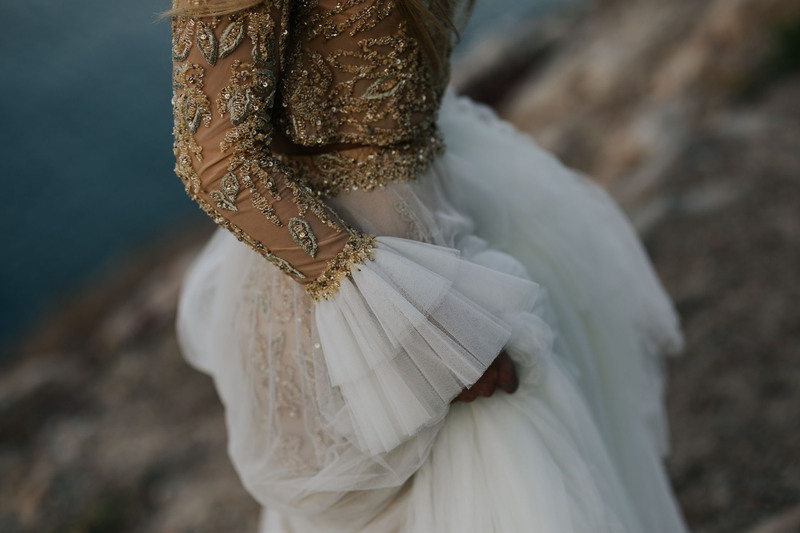 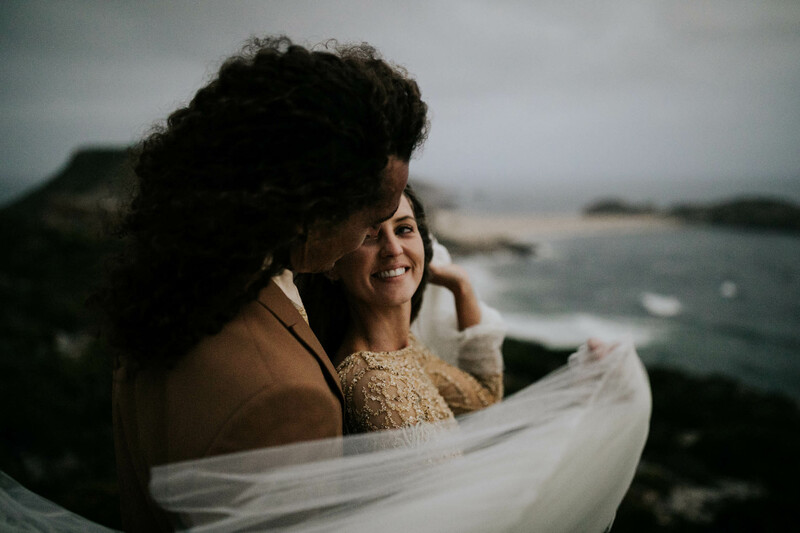 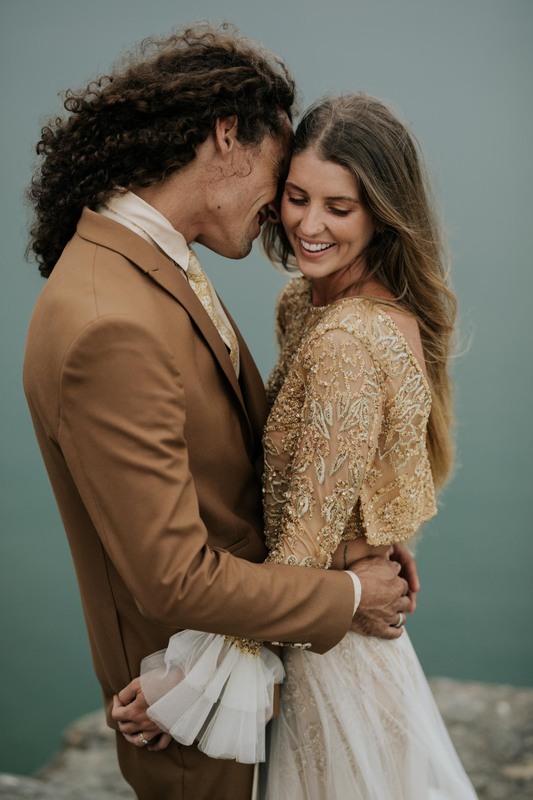 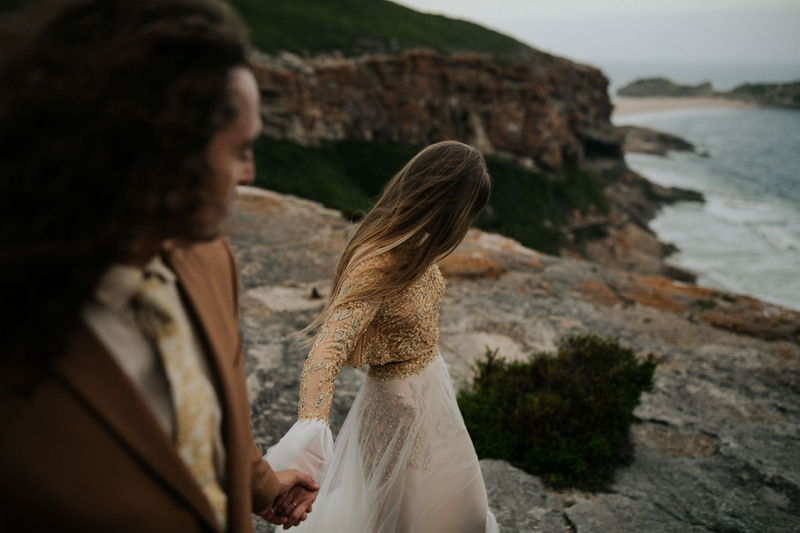 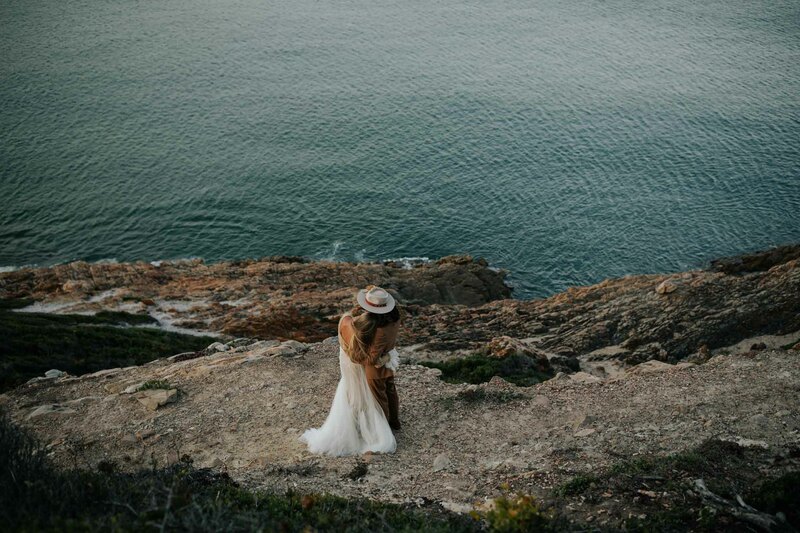 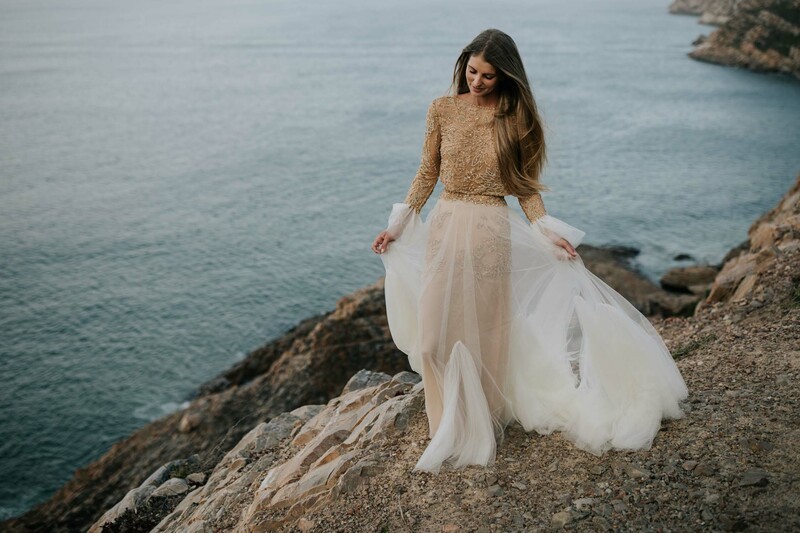 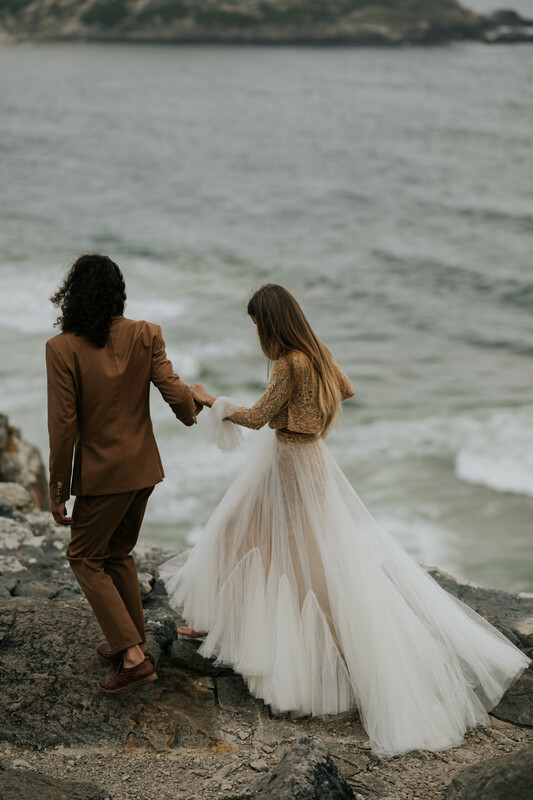 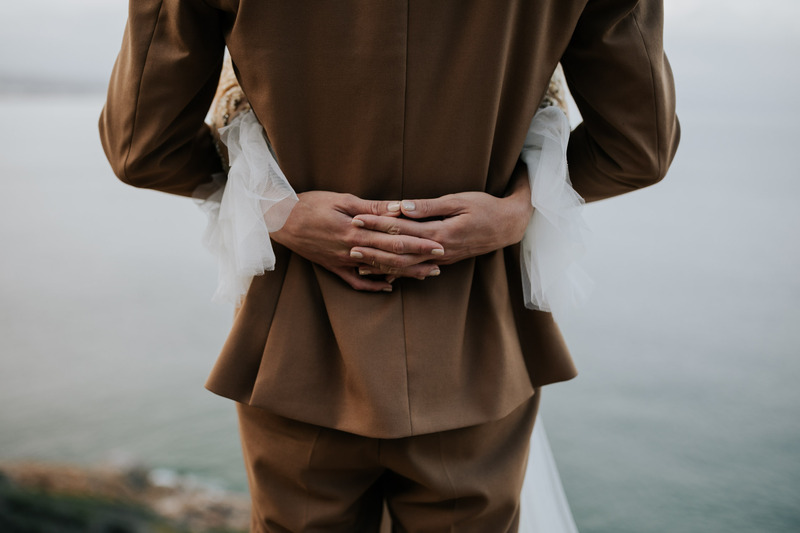 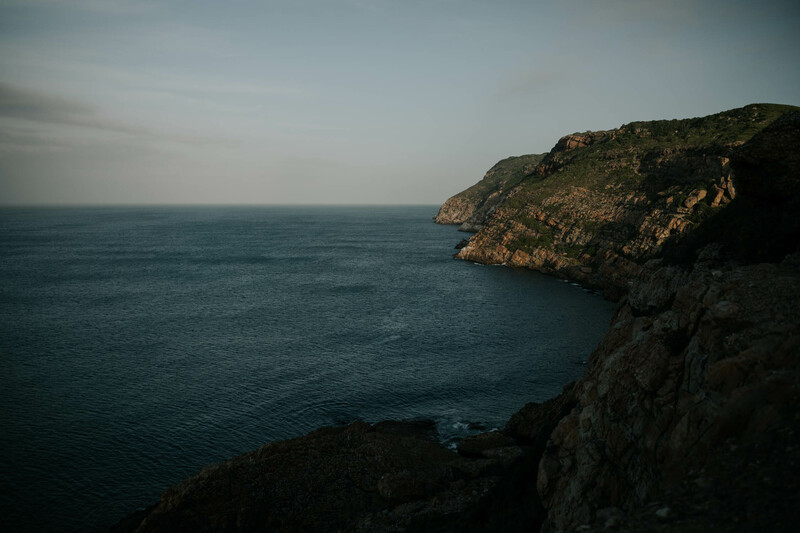 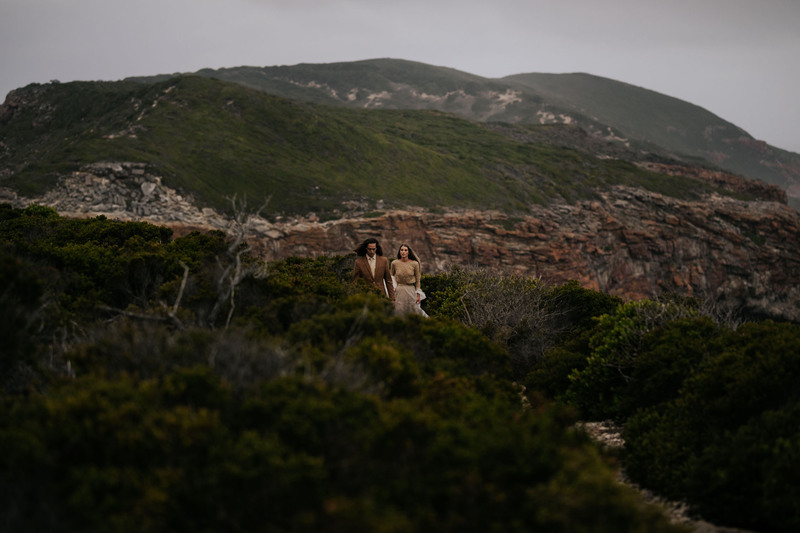 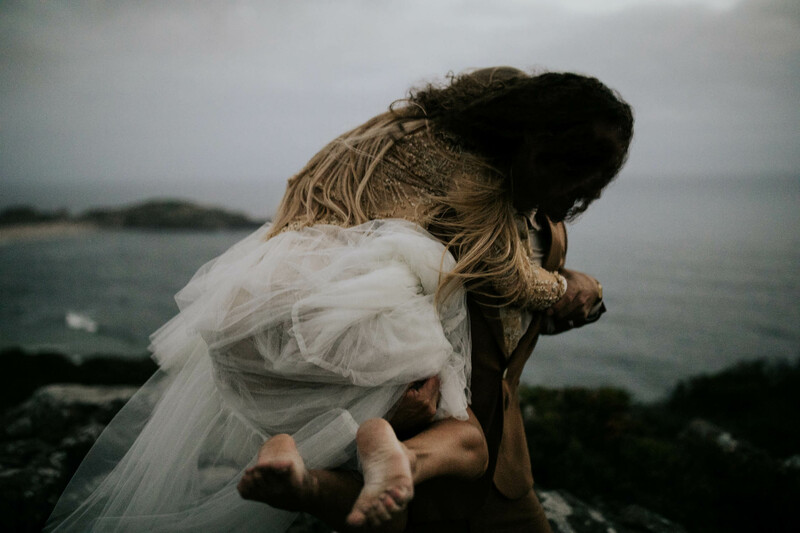 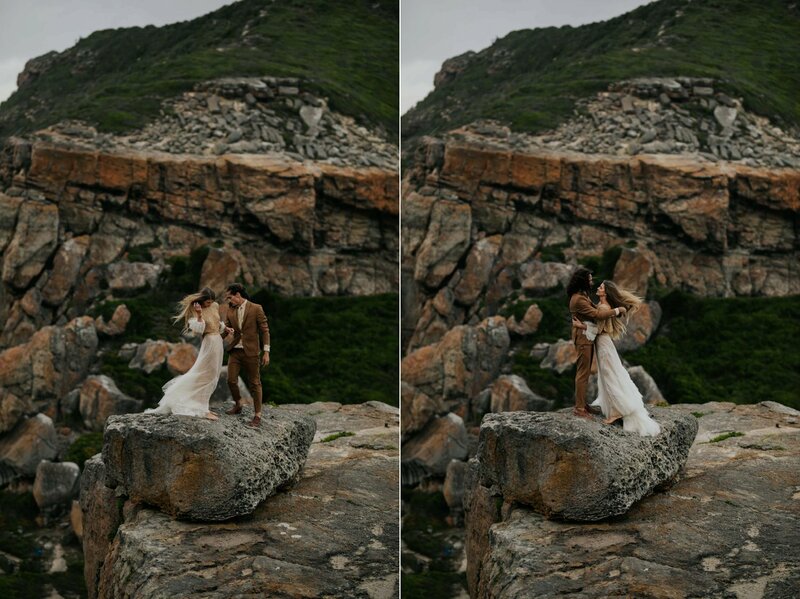 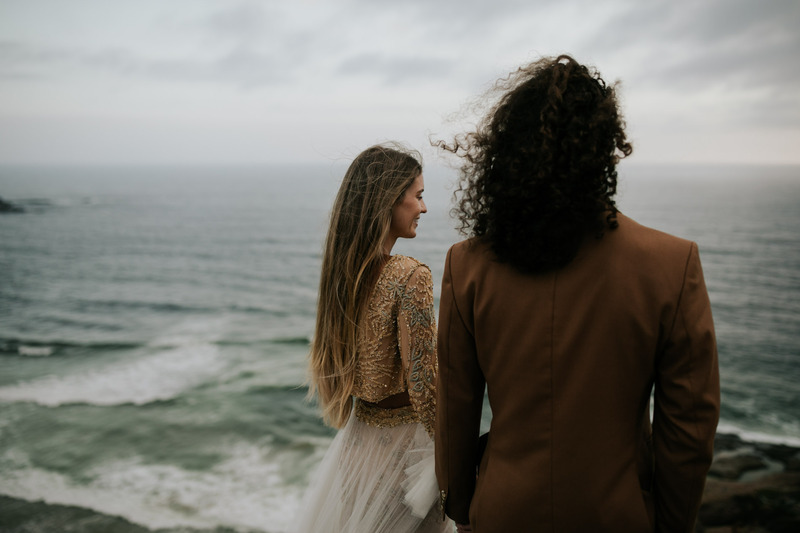 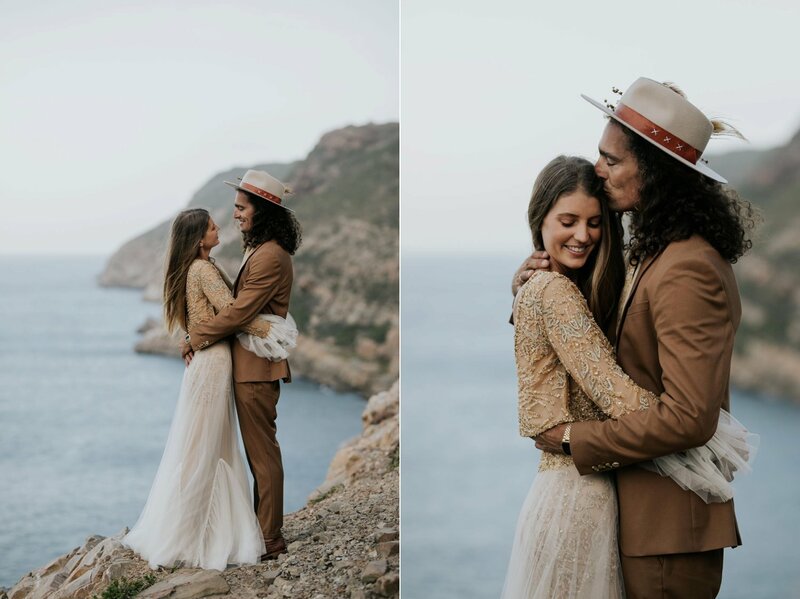 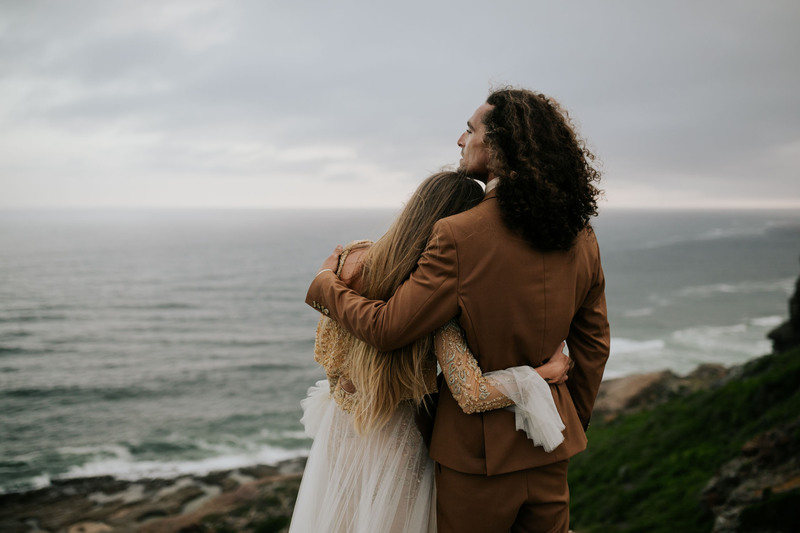 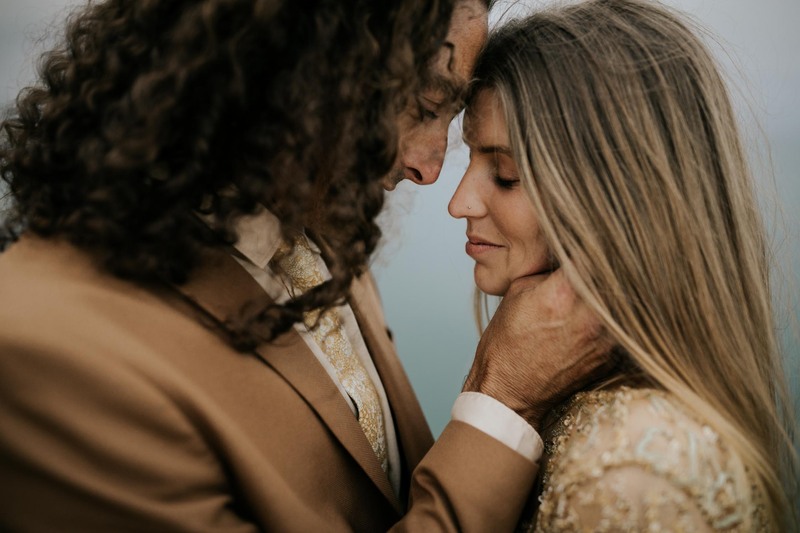 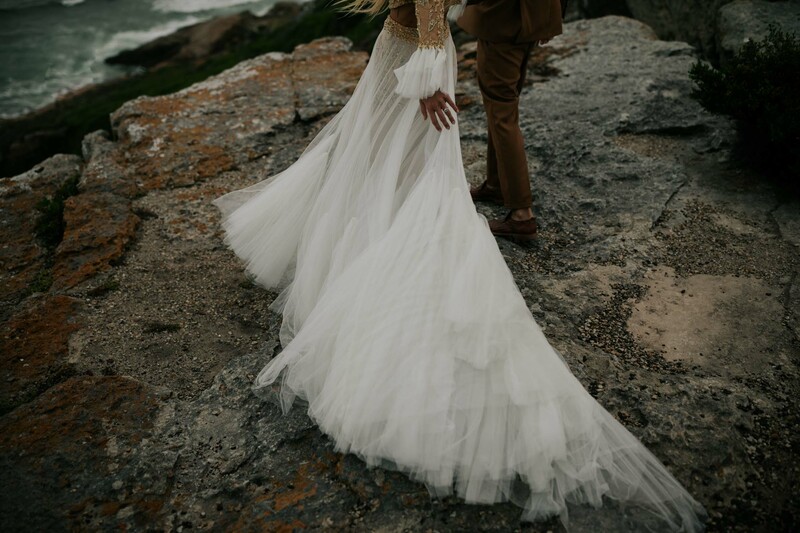 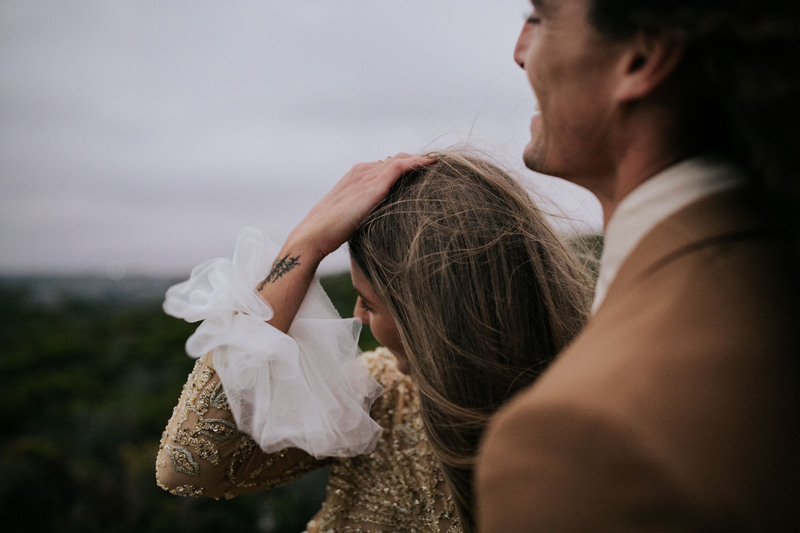 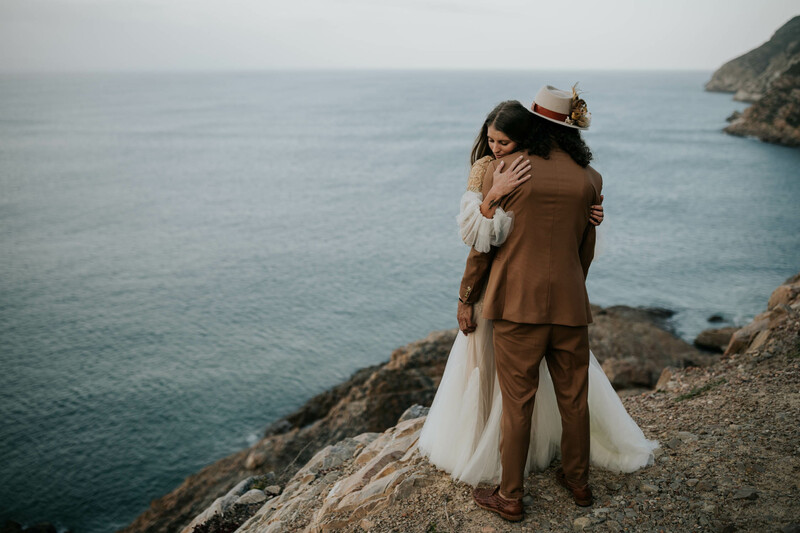 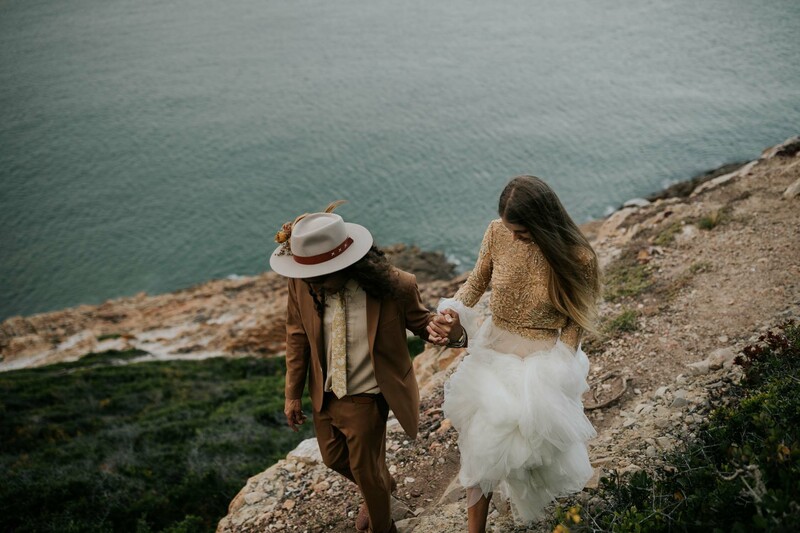 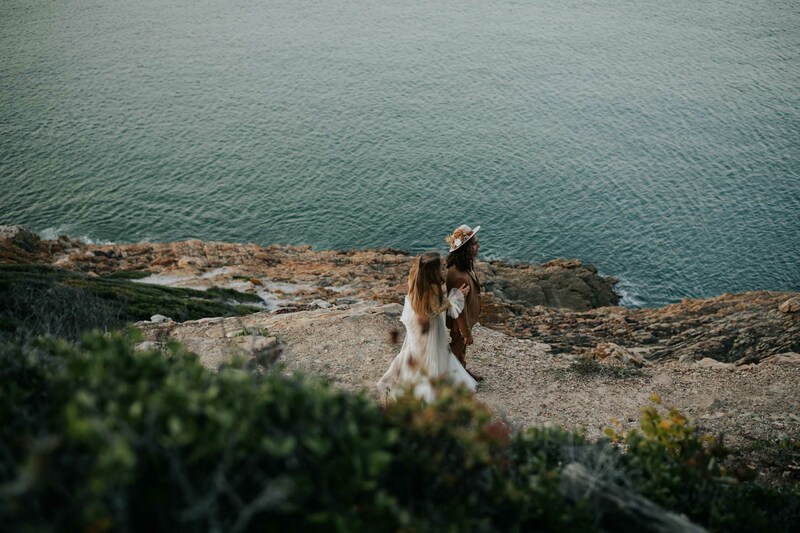 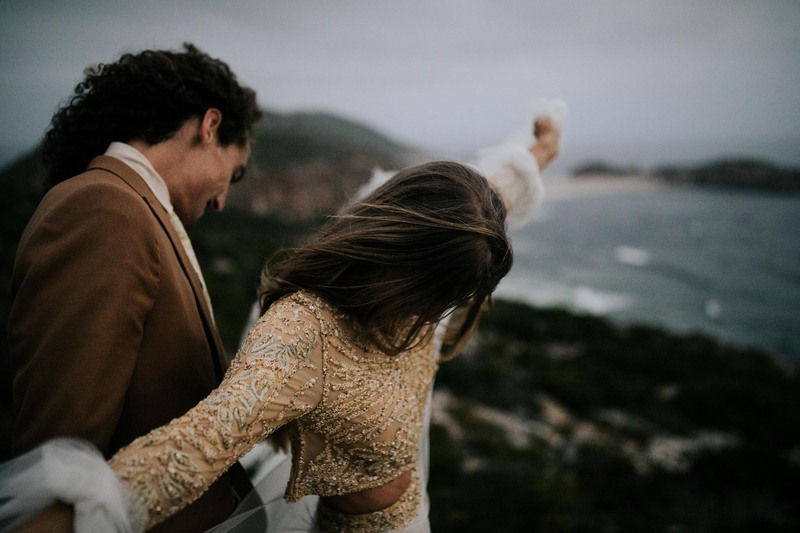 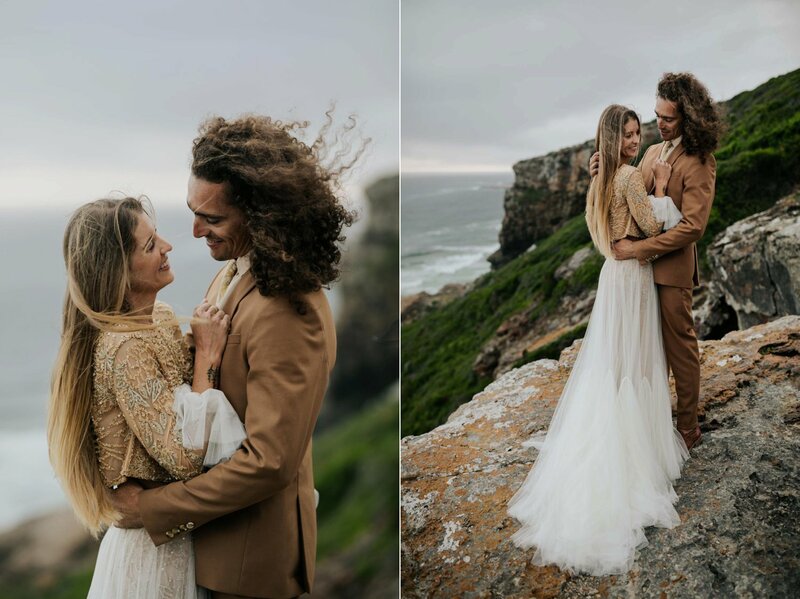 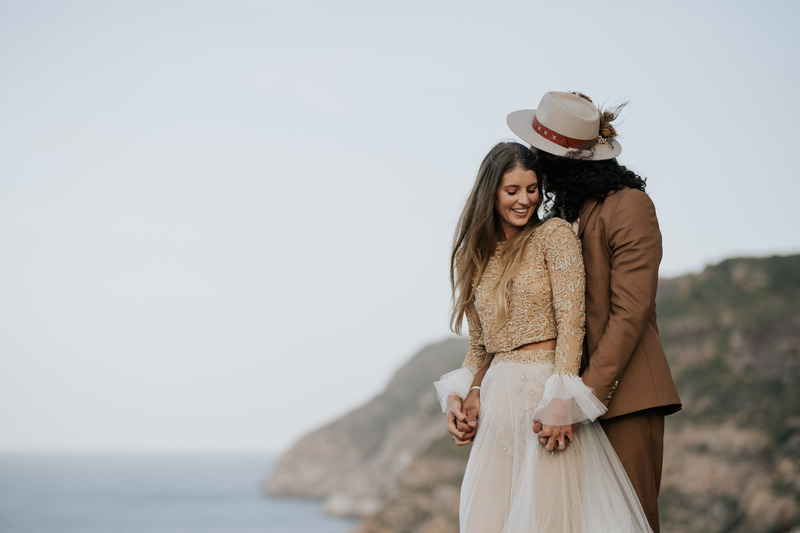 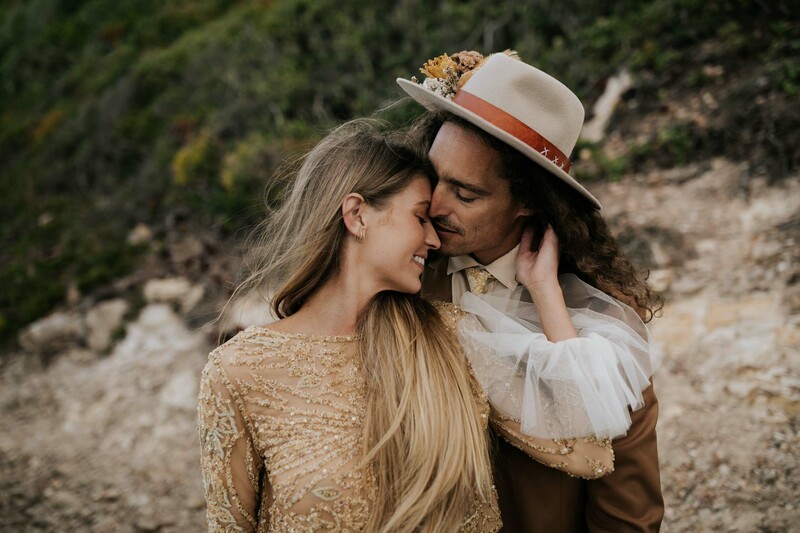 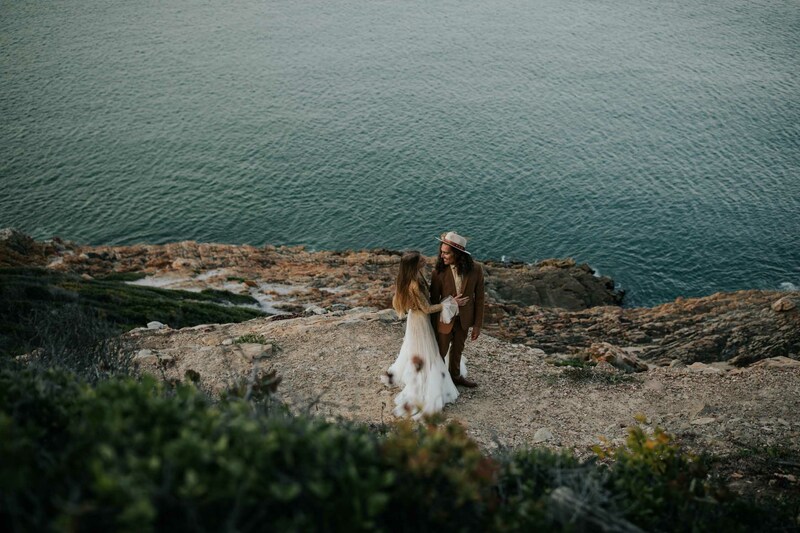 They did the first look on the side of a cliff overlooking the turquoise ocean – their love and connection was tangible! 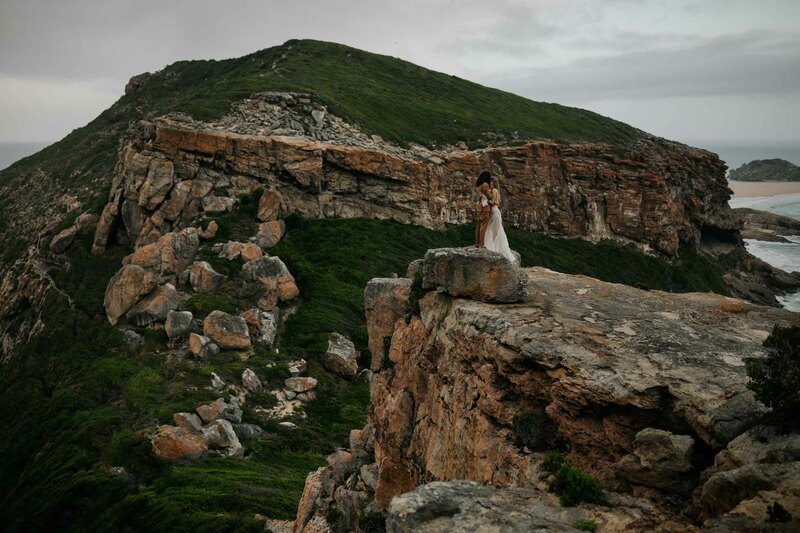 We love hiking into wild places to photograph these day before, or day after shoots. 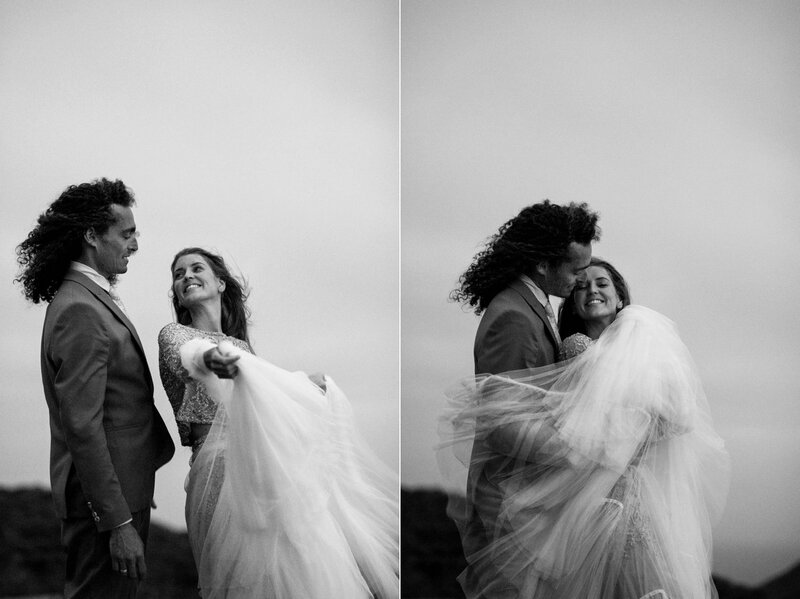 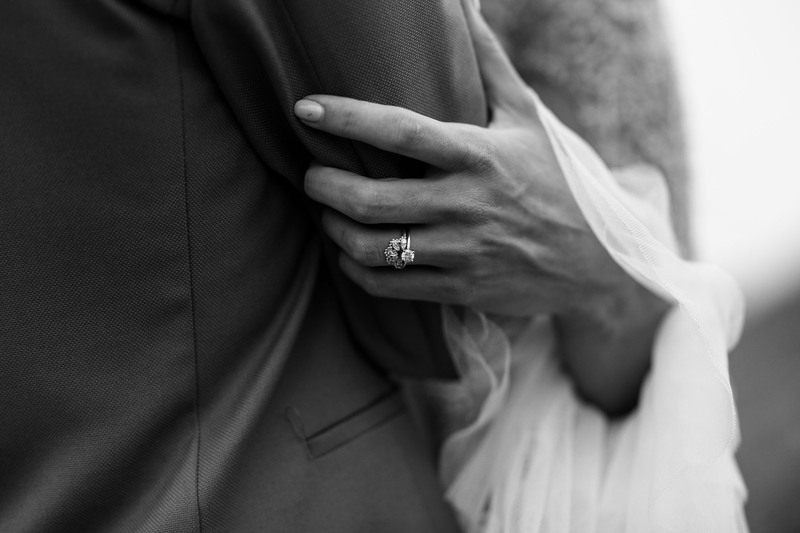 Our hearts were exploding with every click of the shutter!